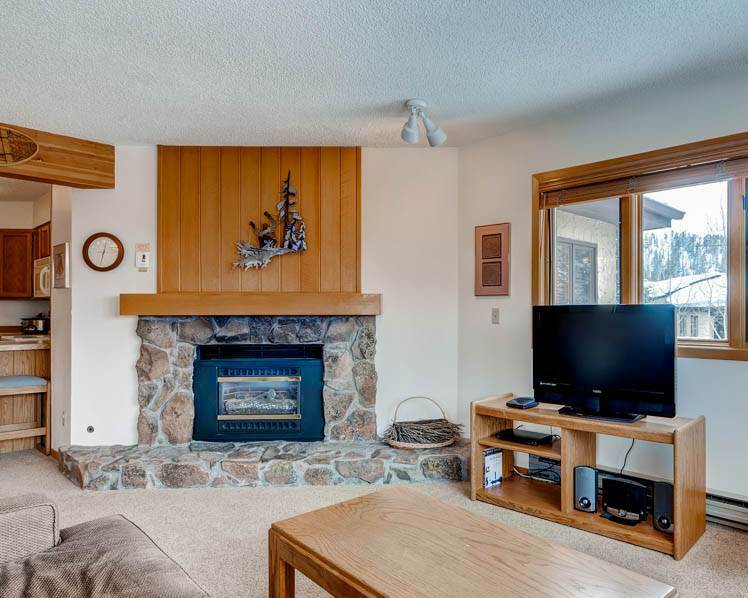 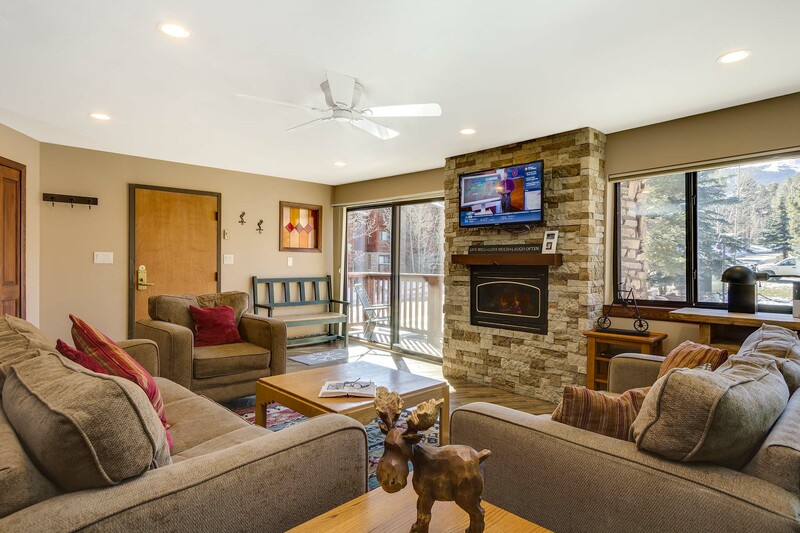 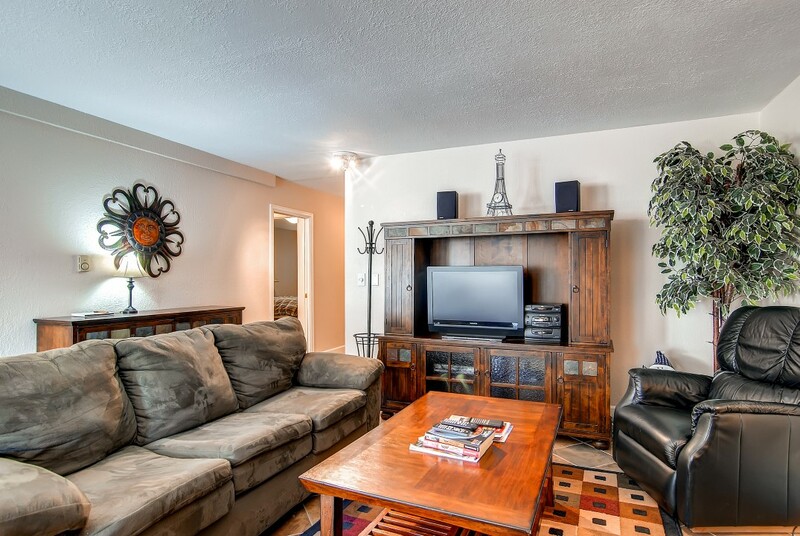 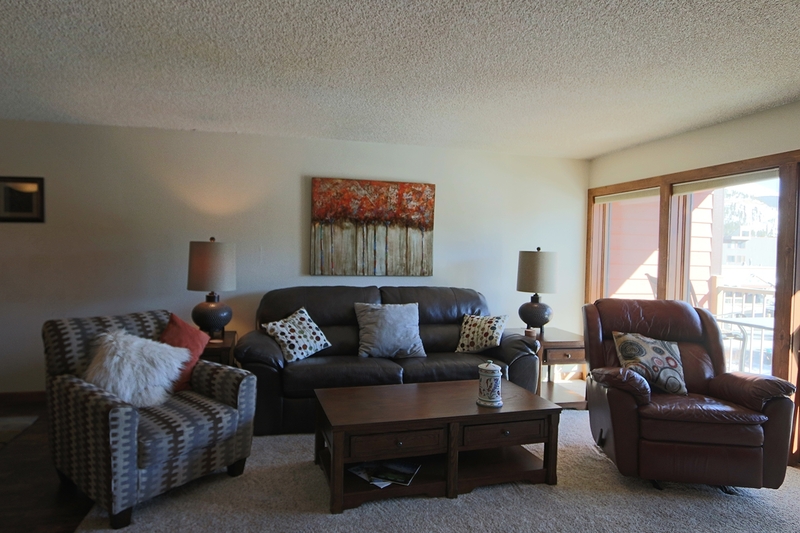 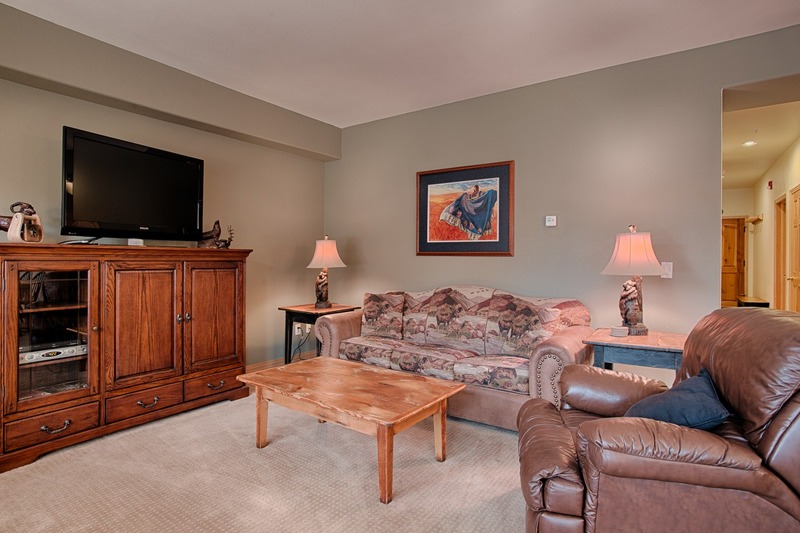 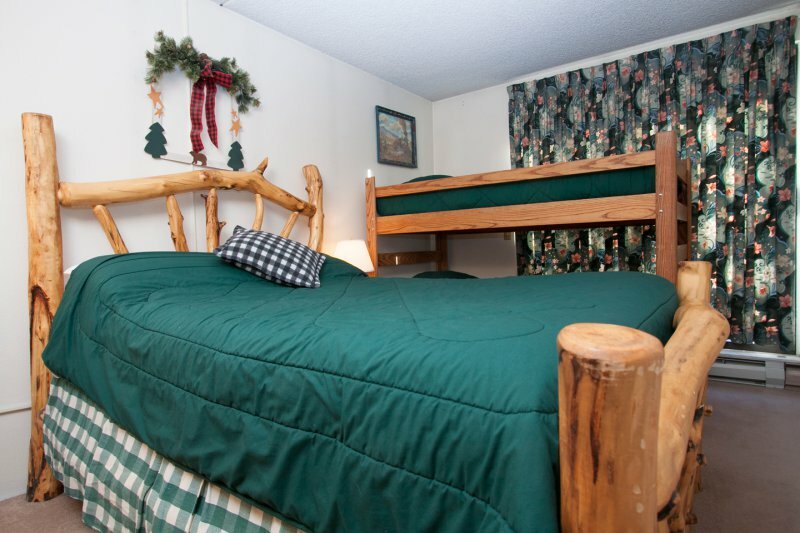 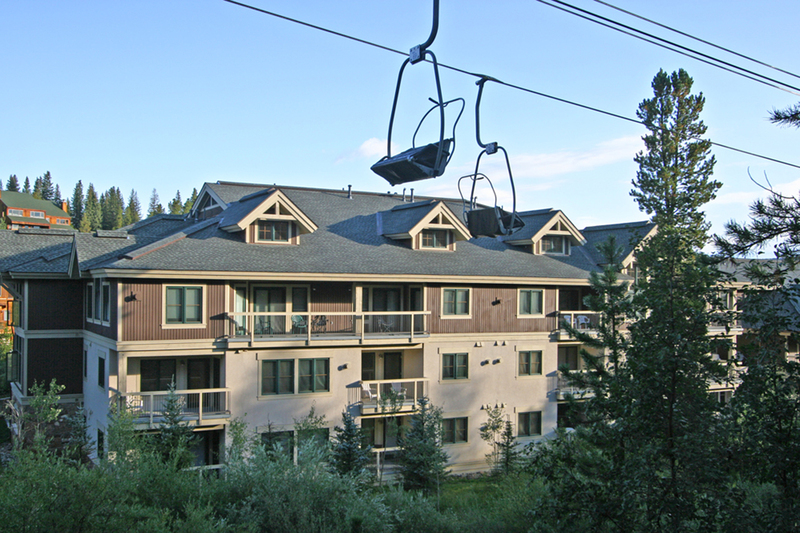 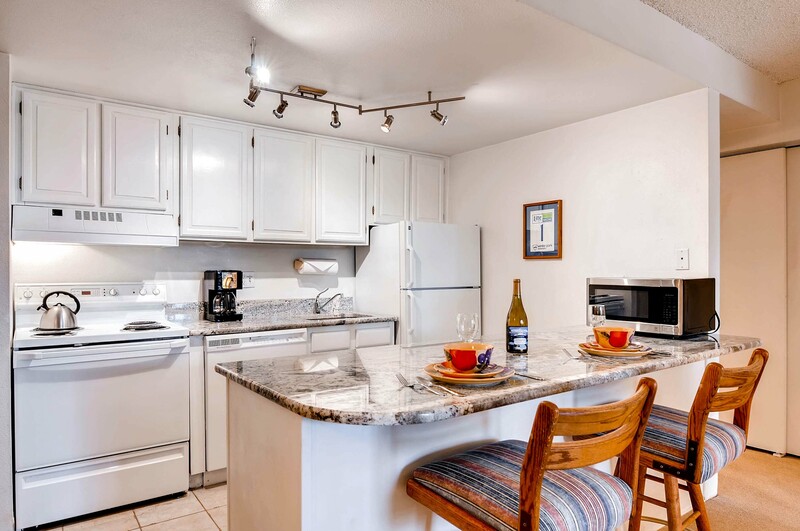 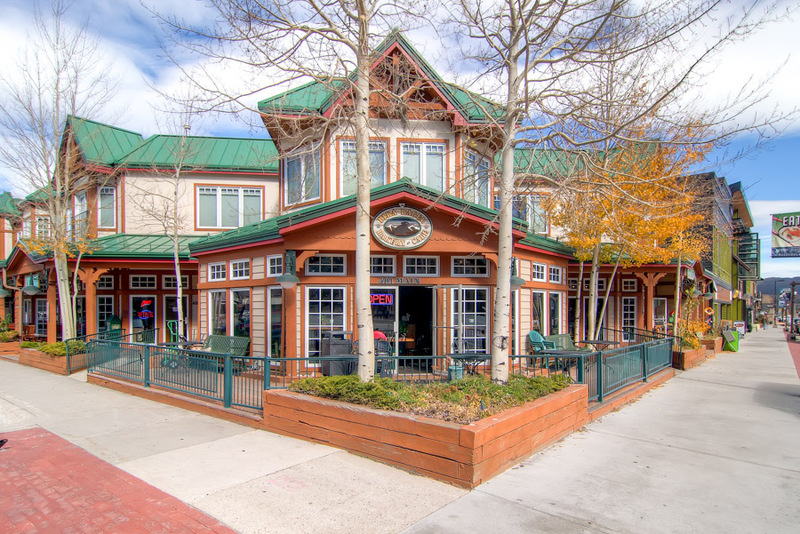 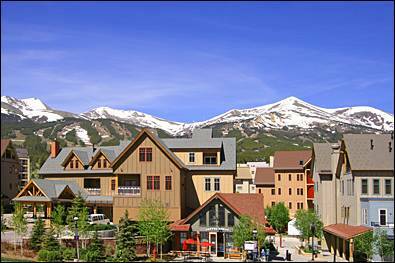 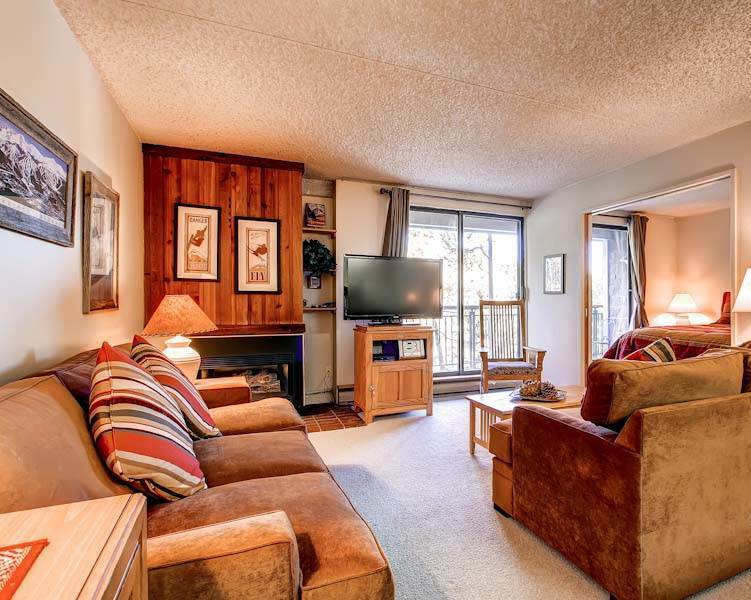 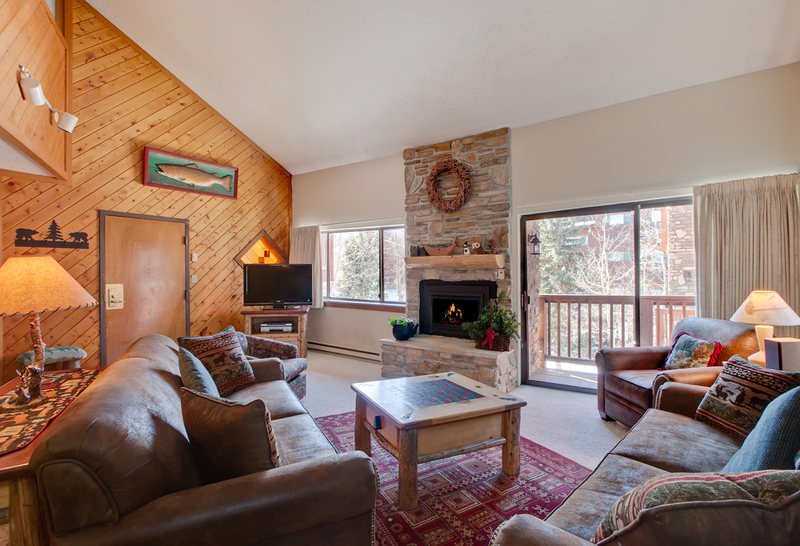 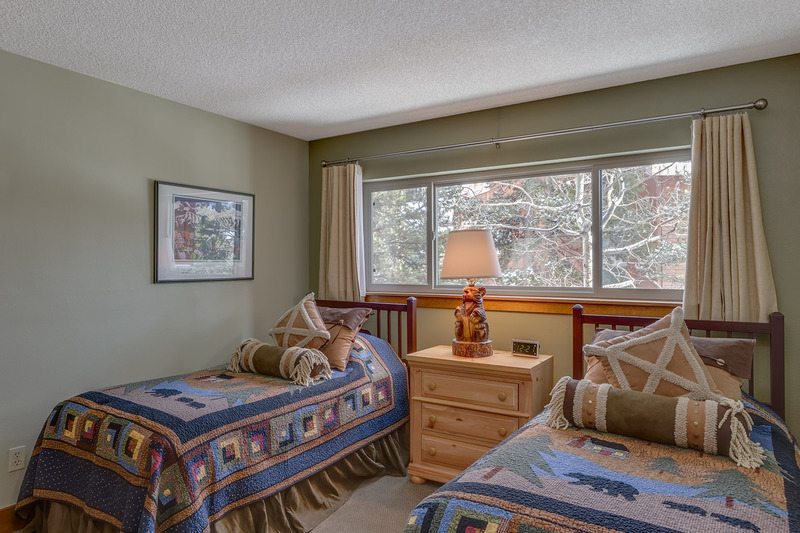 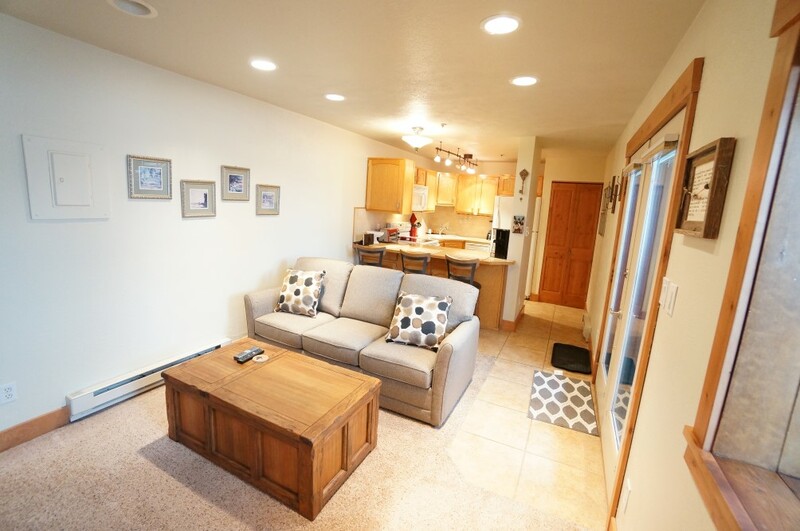 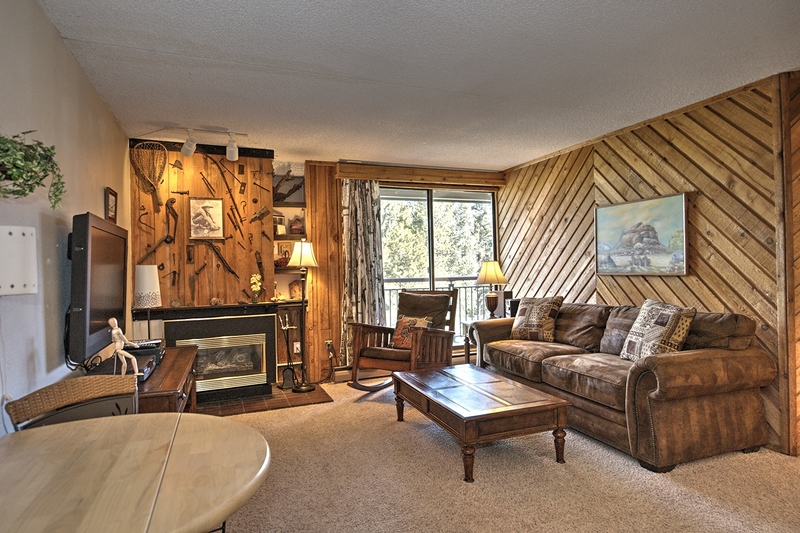 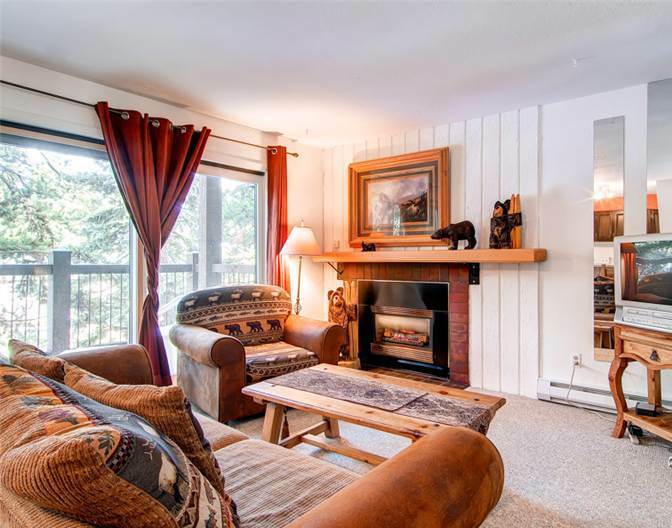 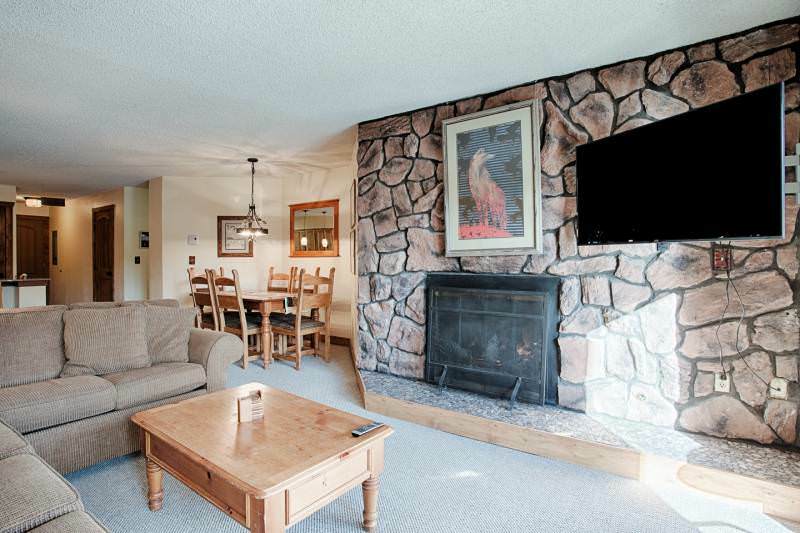 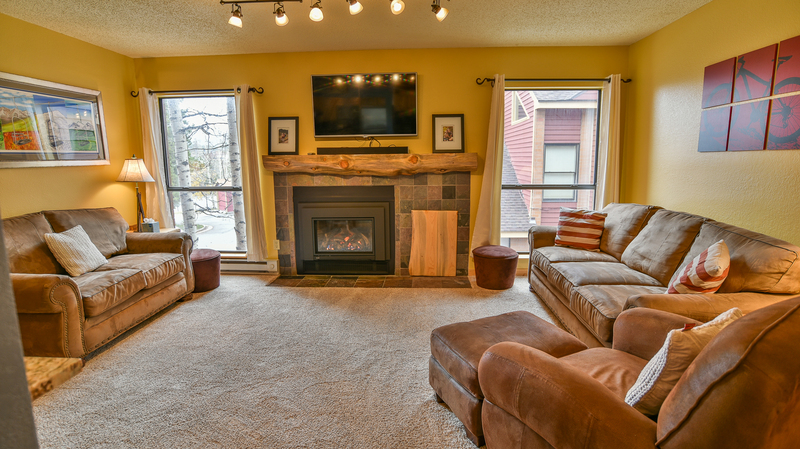 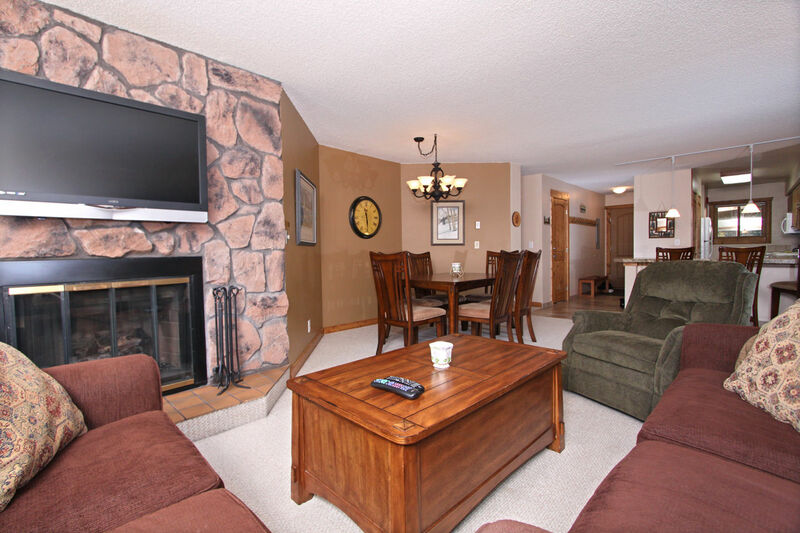 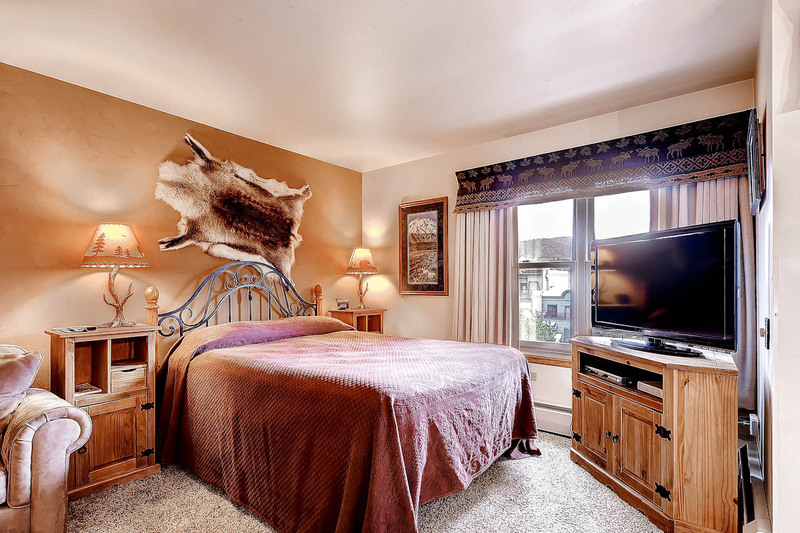 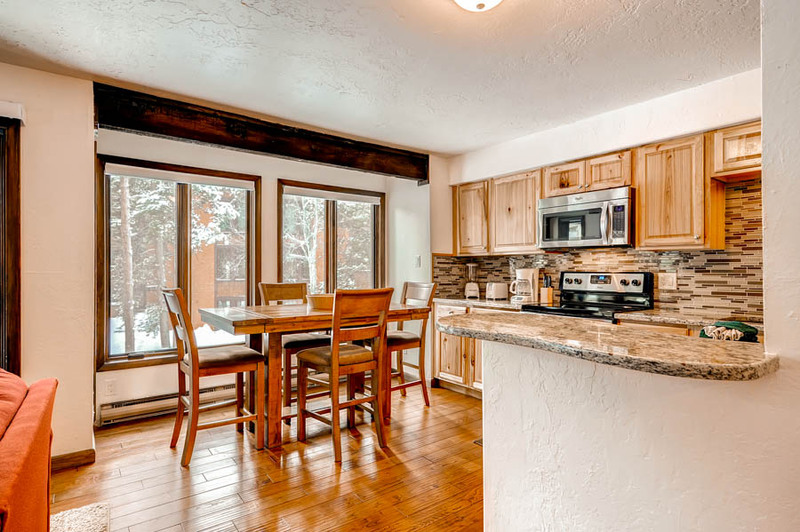 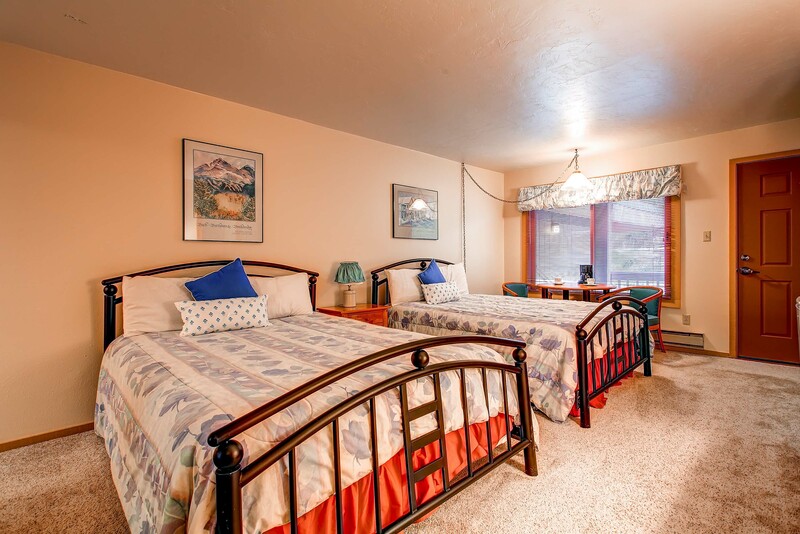 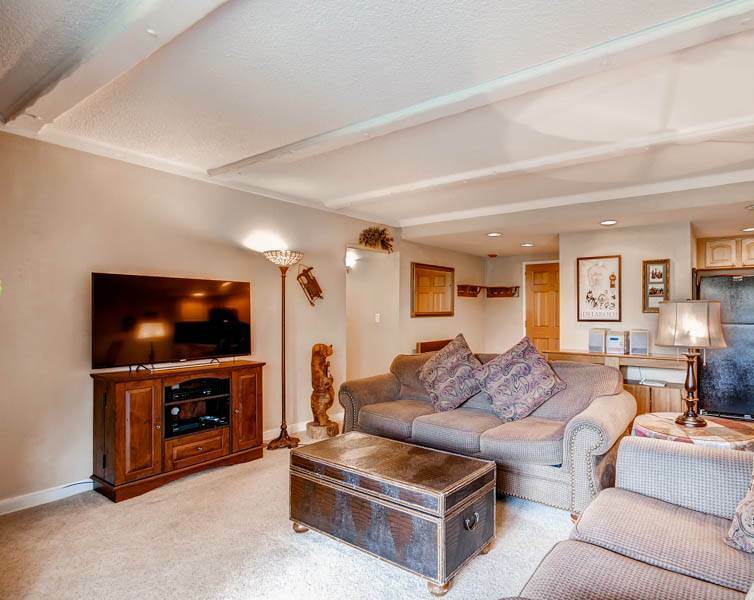 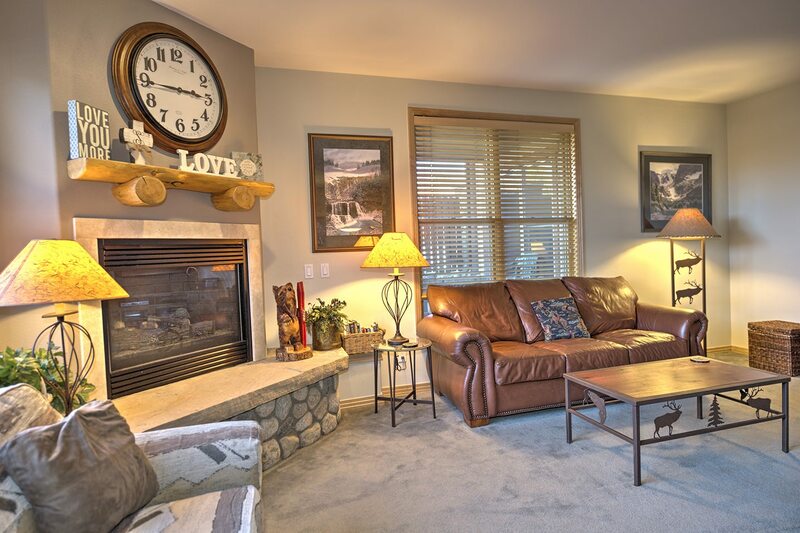 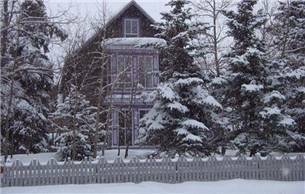 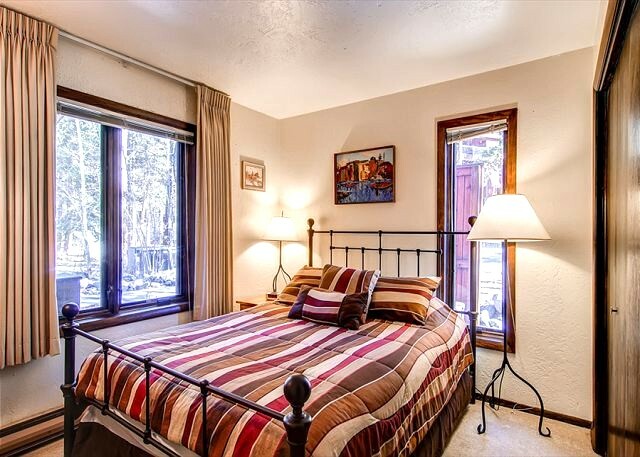 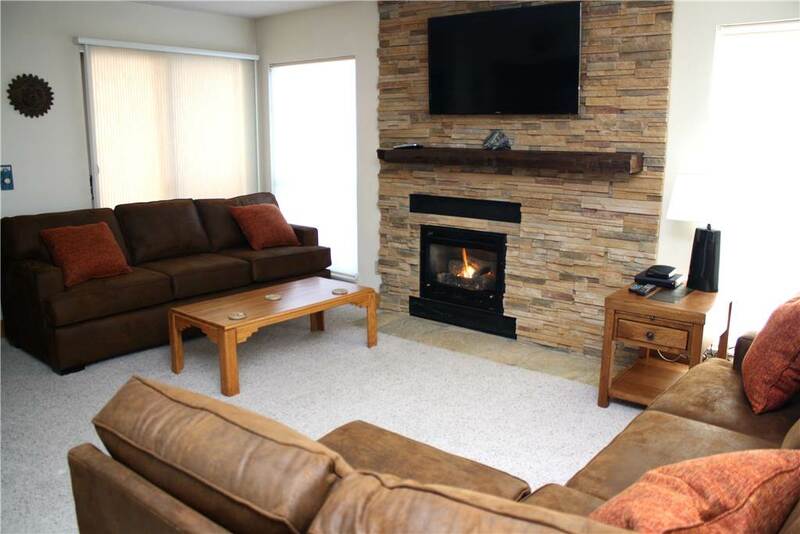 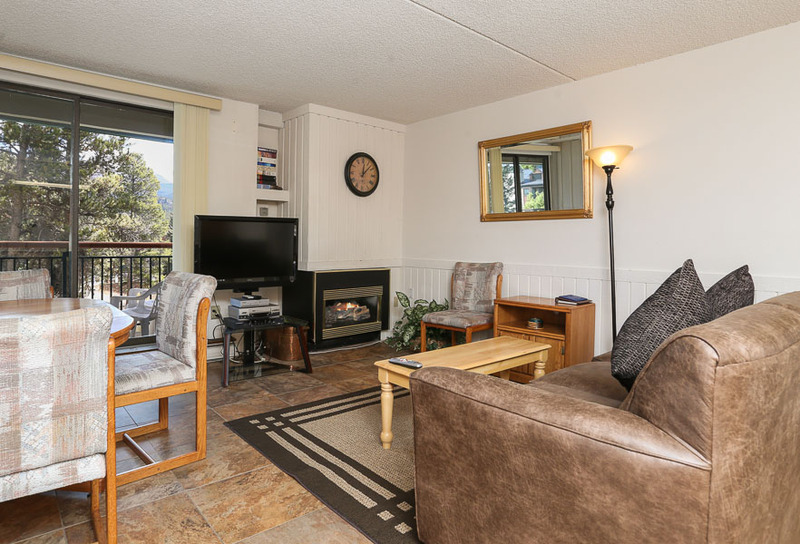 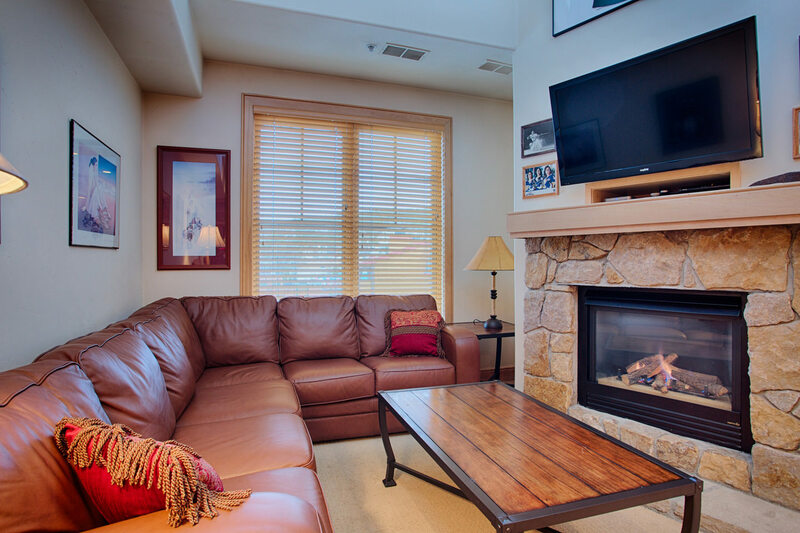 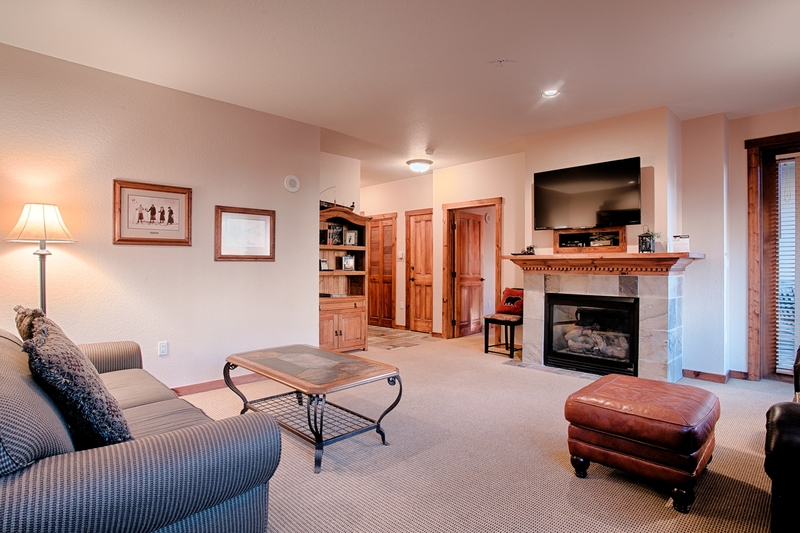 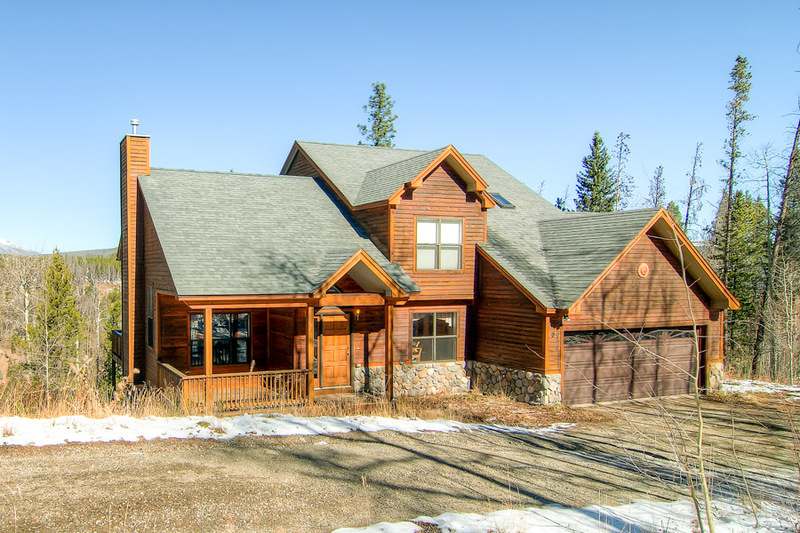 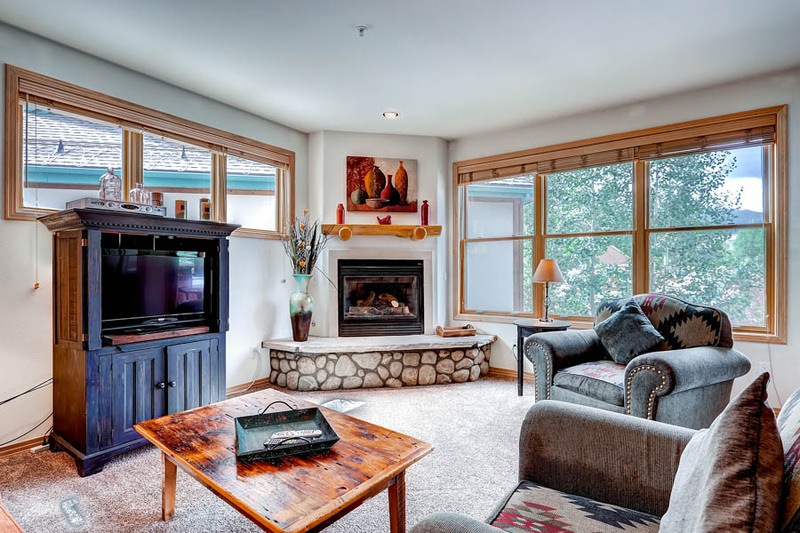 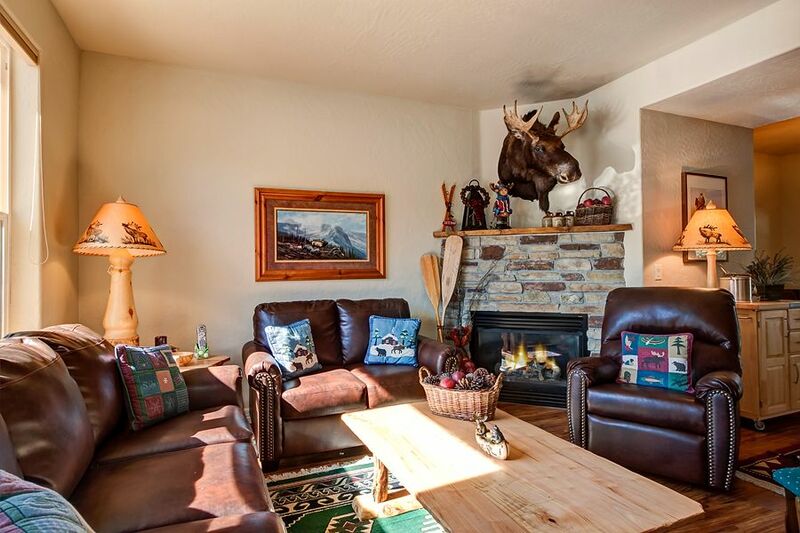 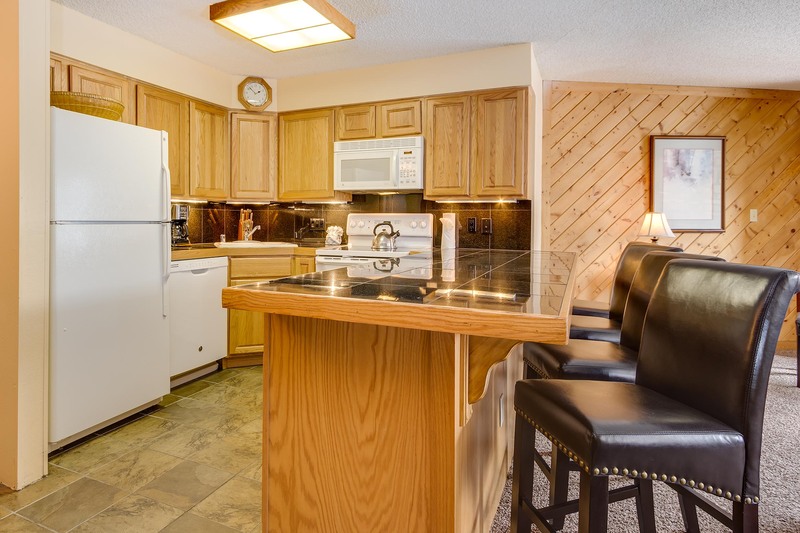 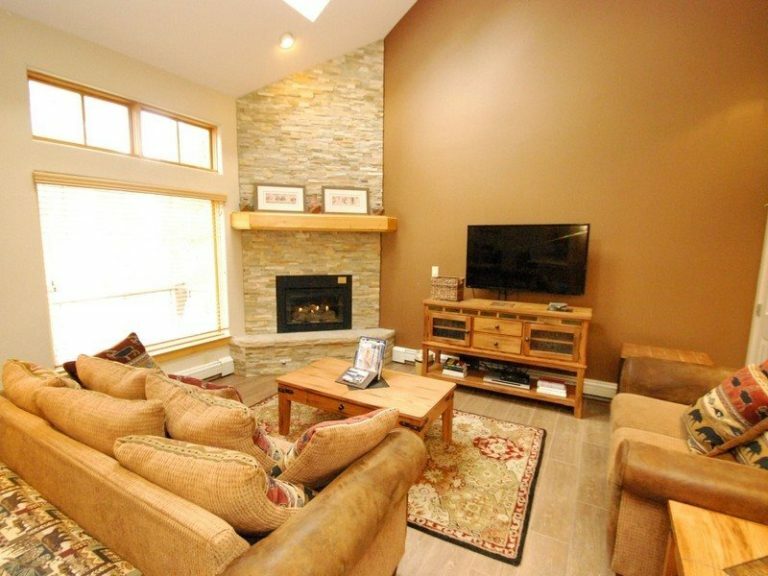 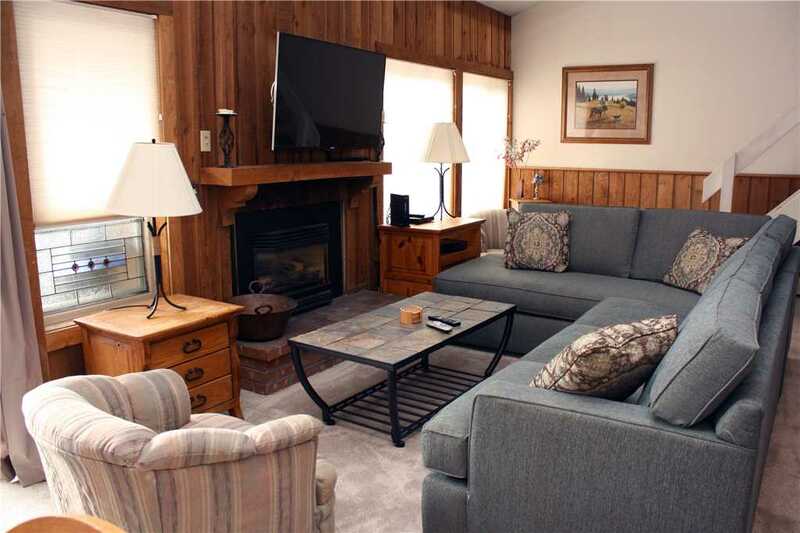 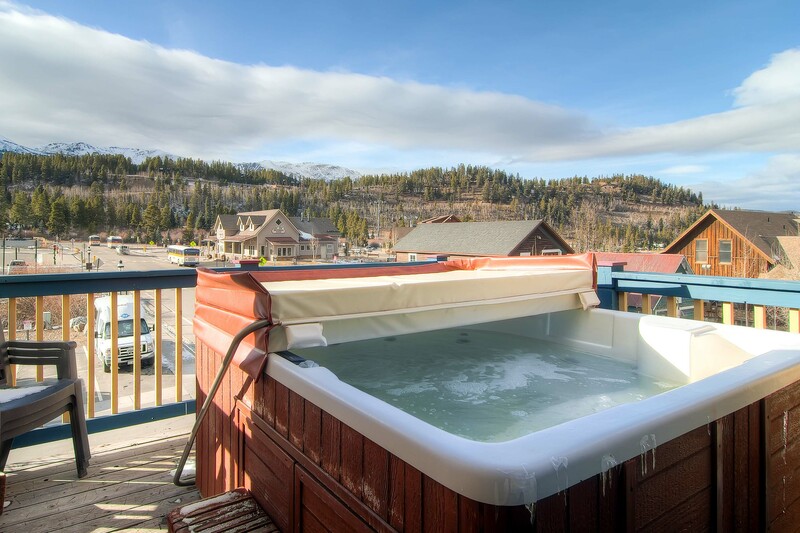 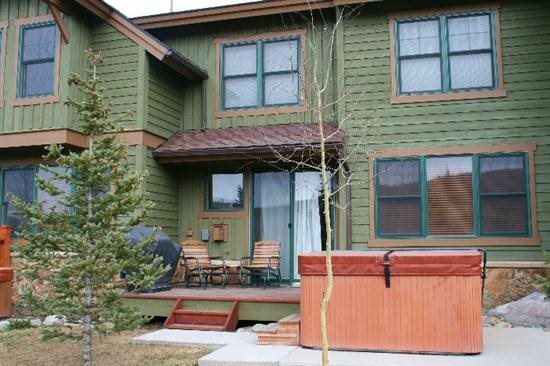 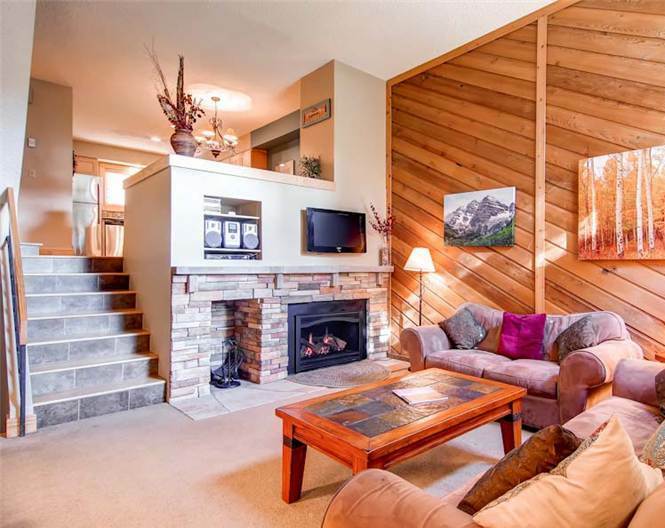 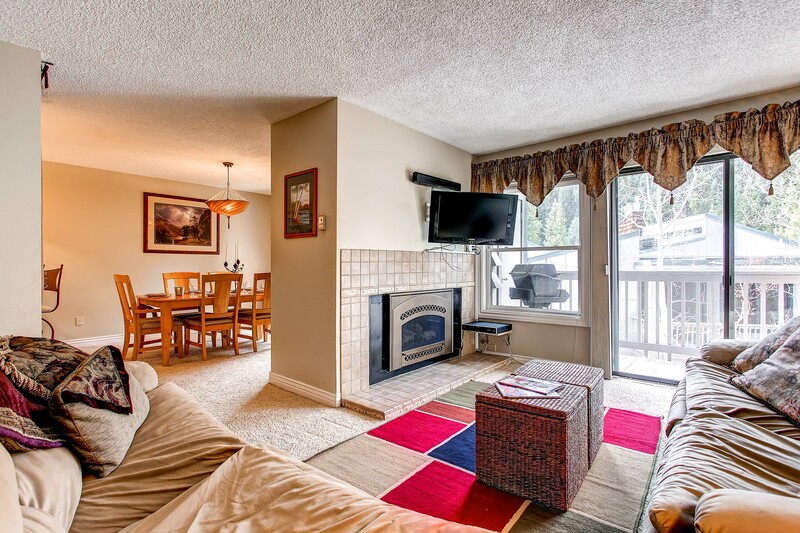 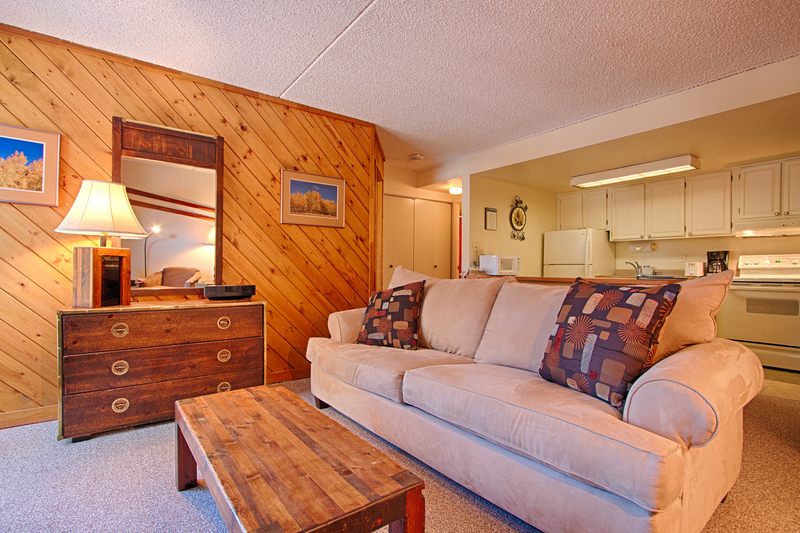 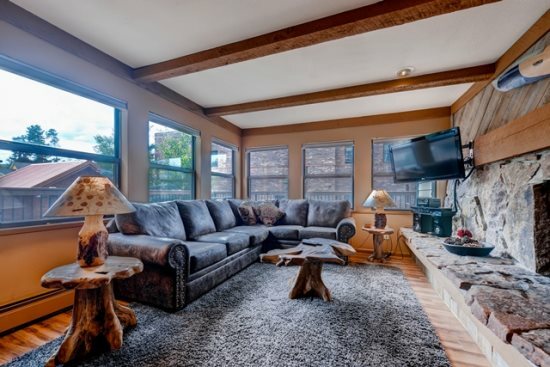 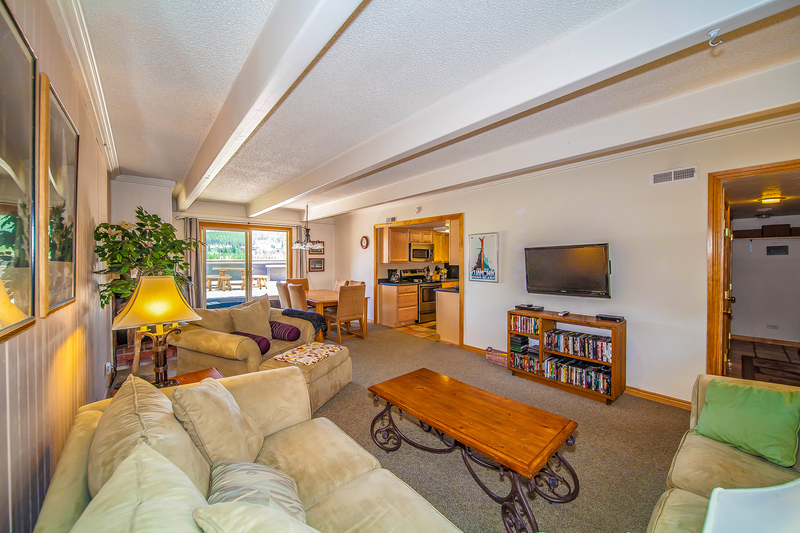 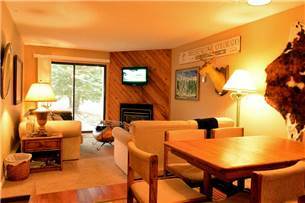 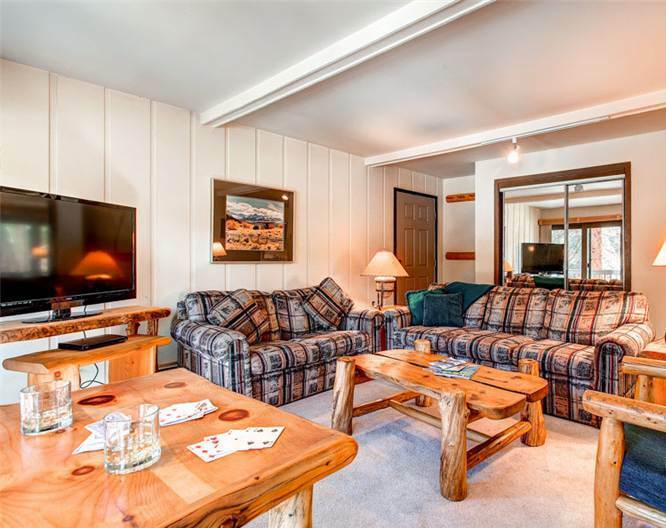 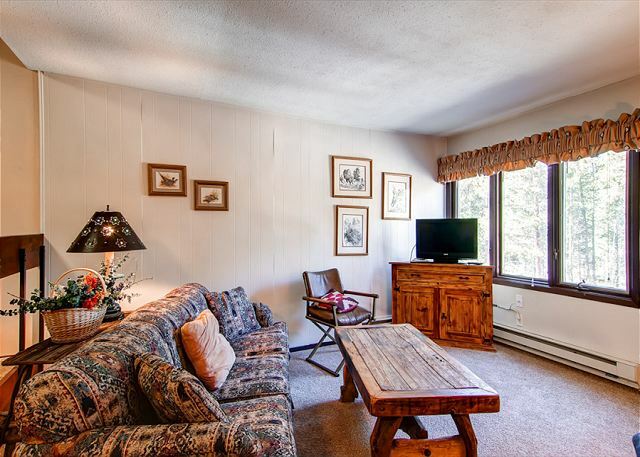 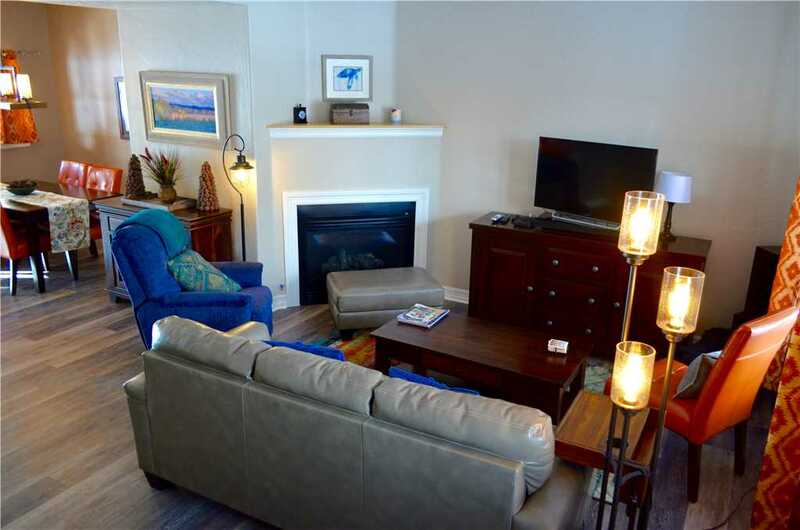 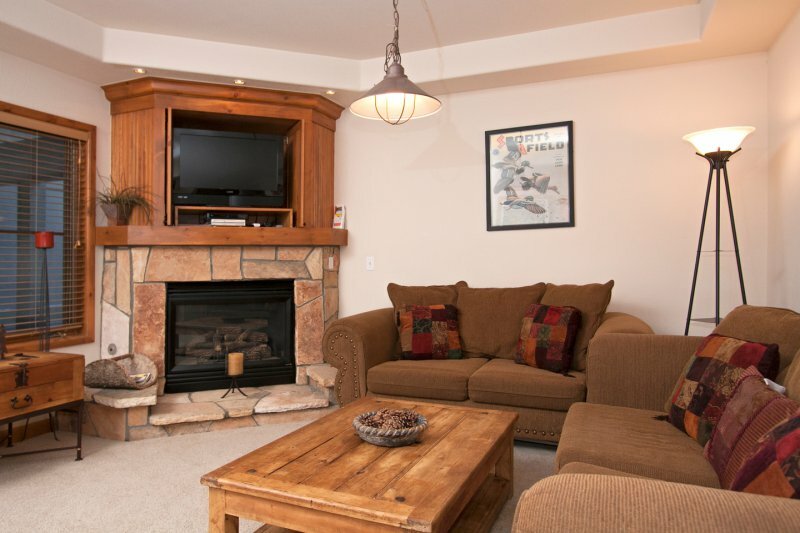 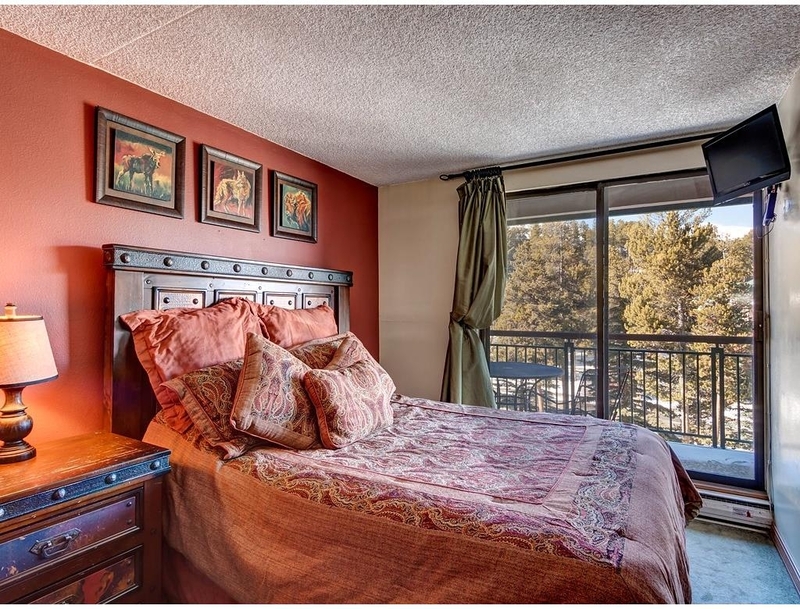 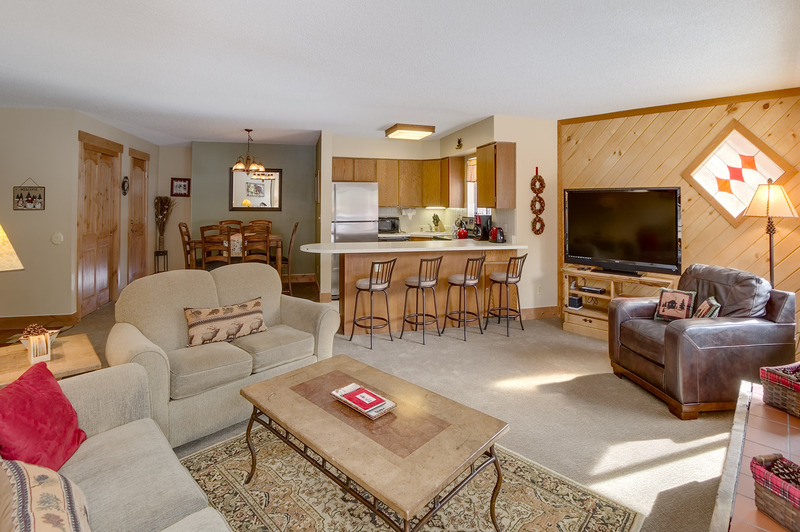 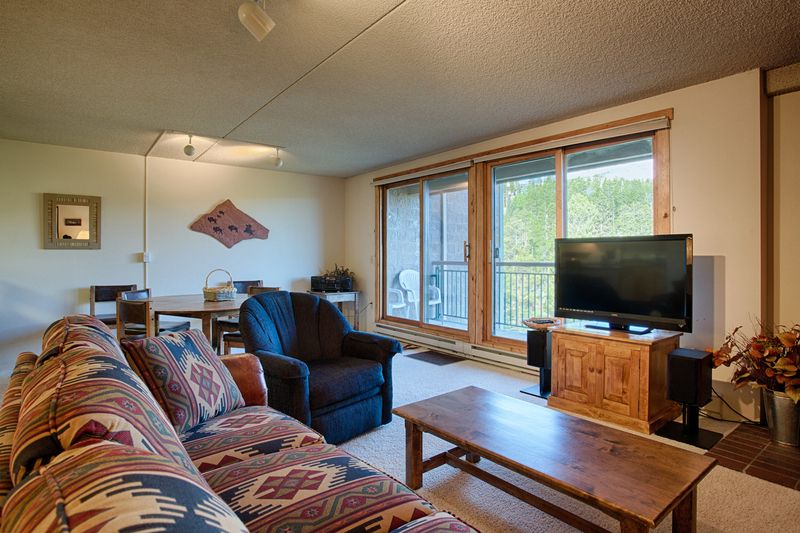 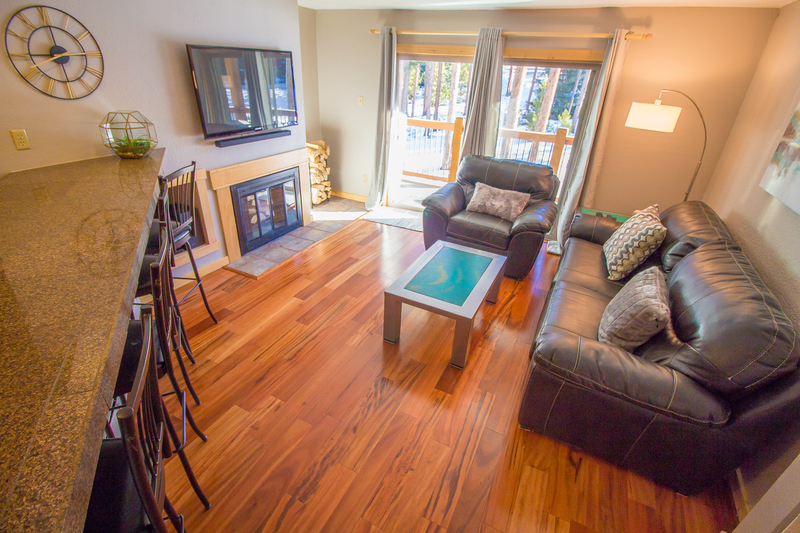 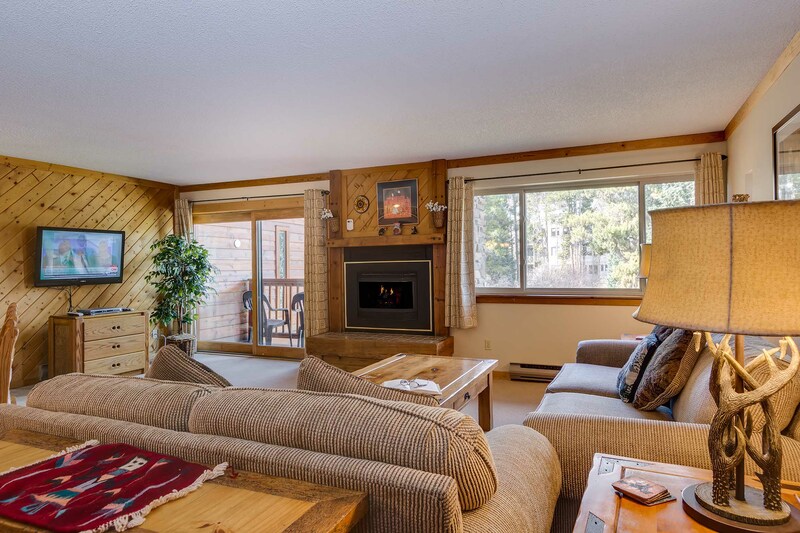 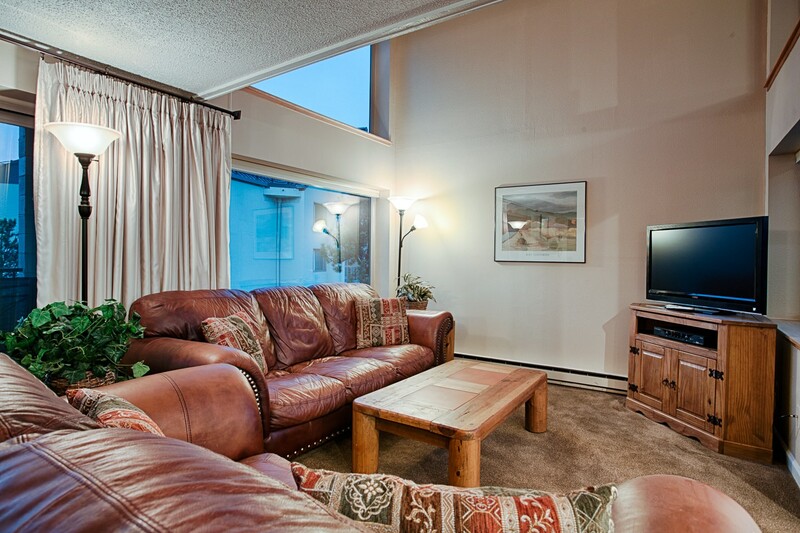 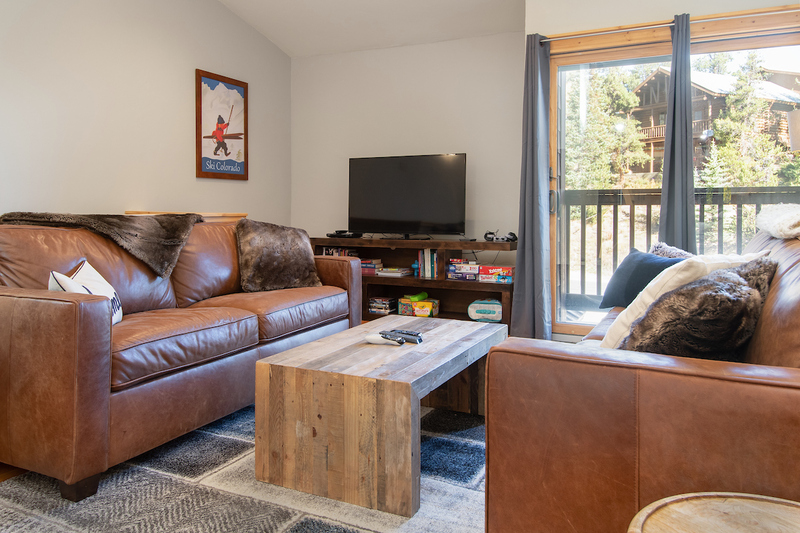 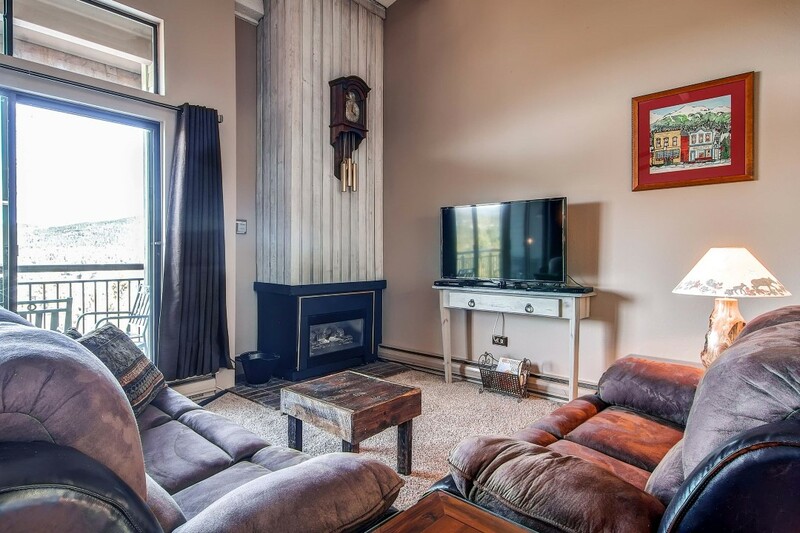 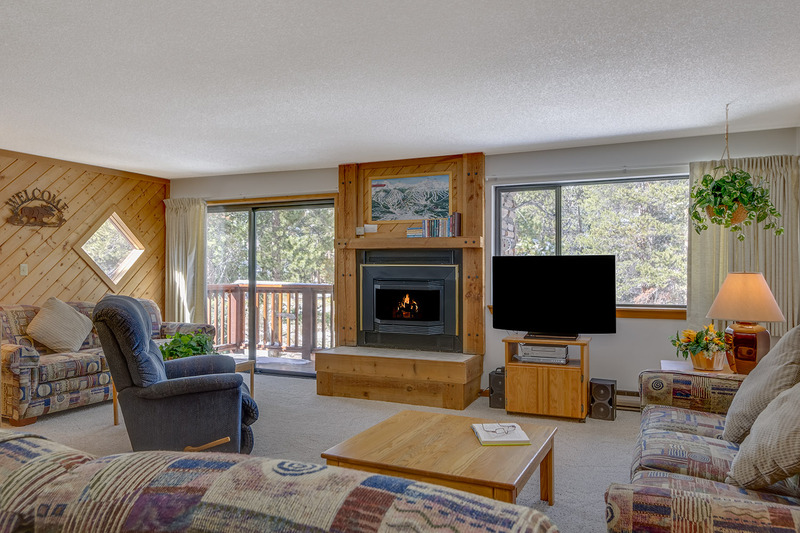 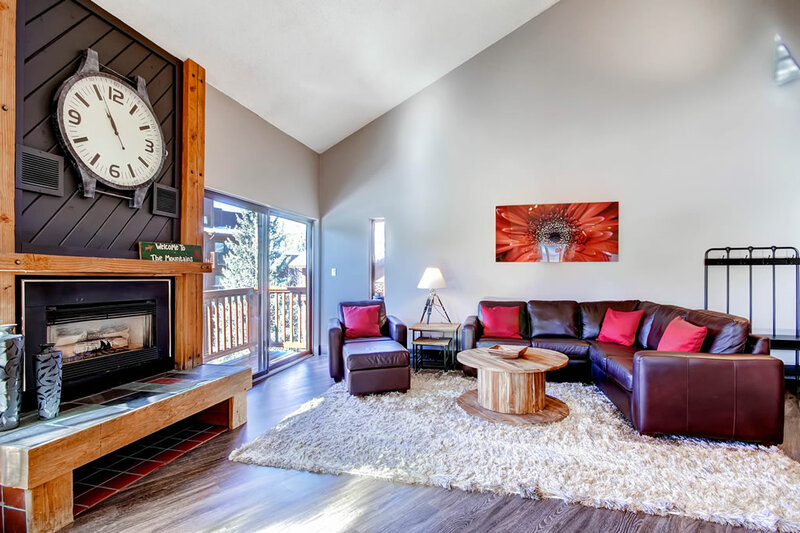 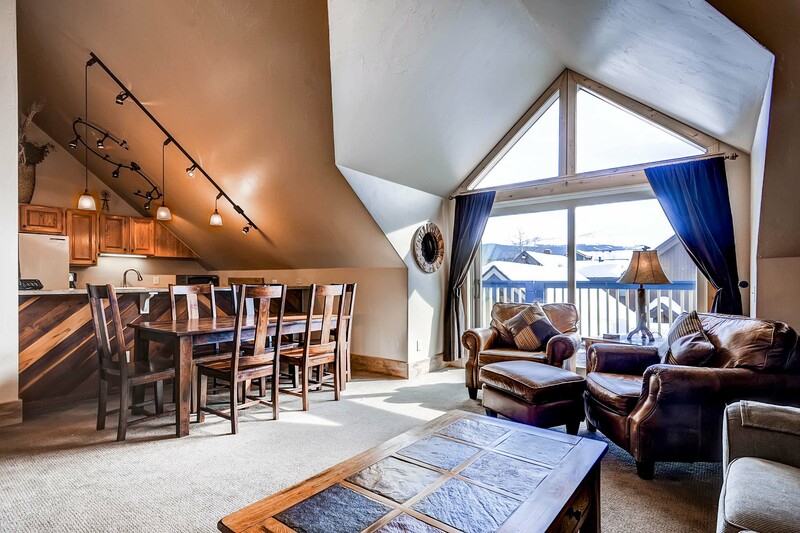 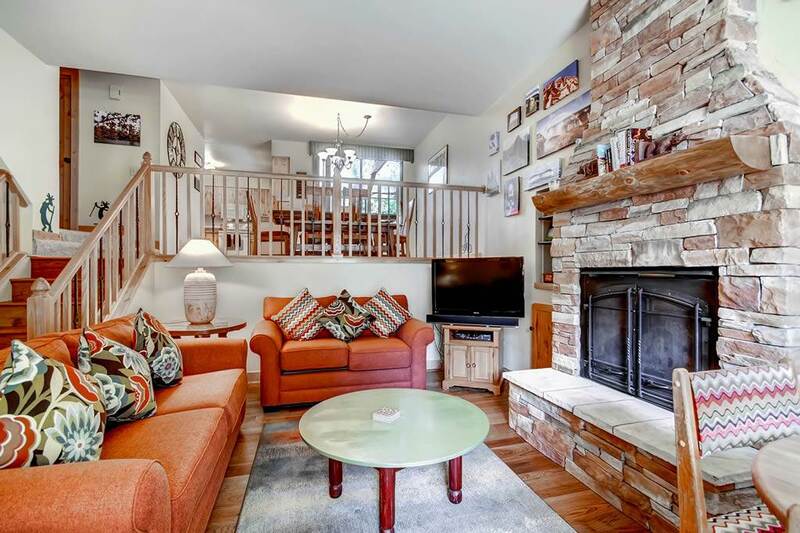 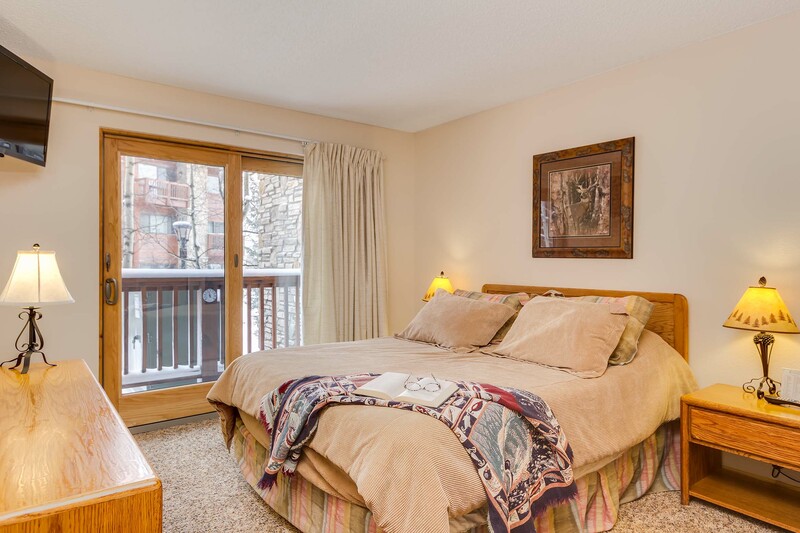 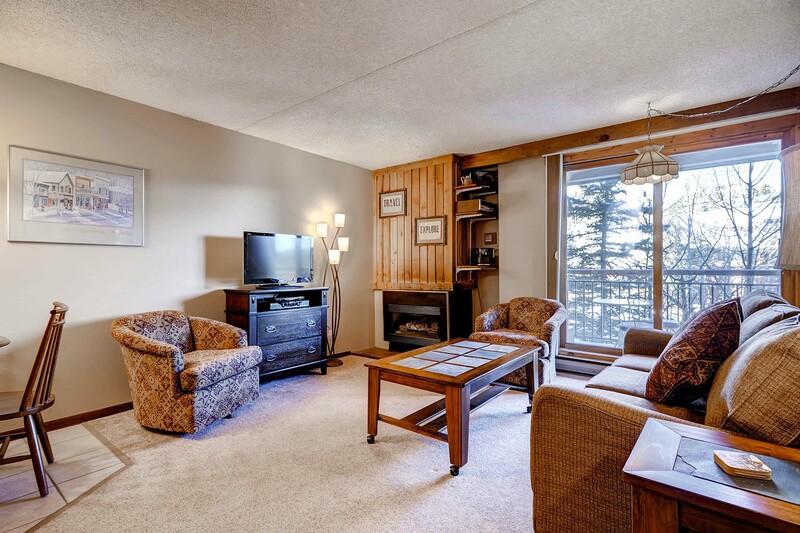 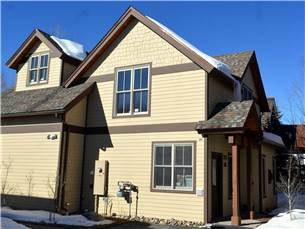 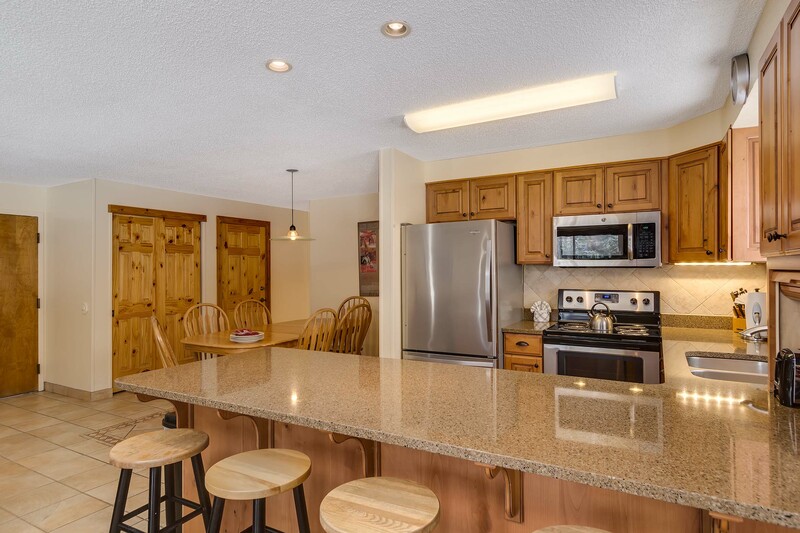 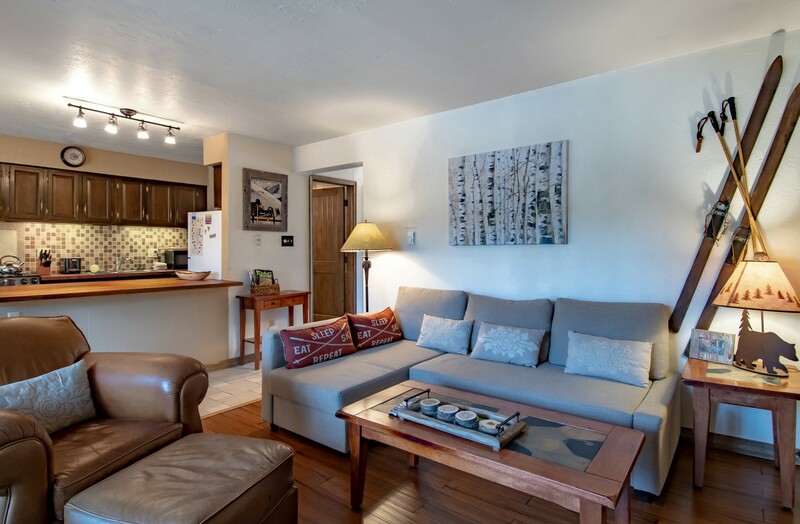 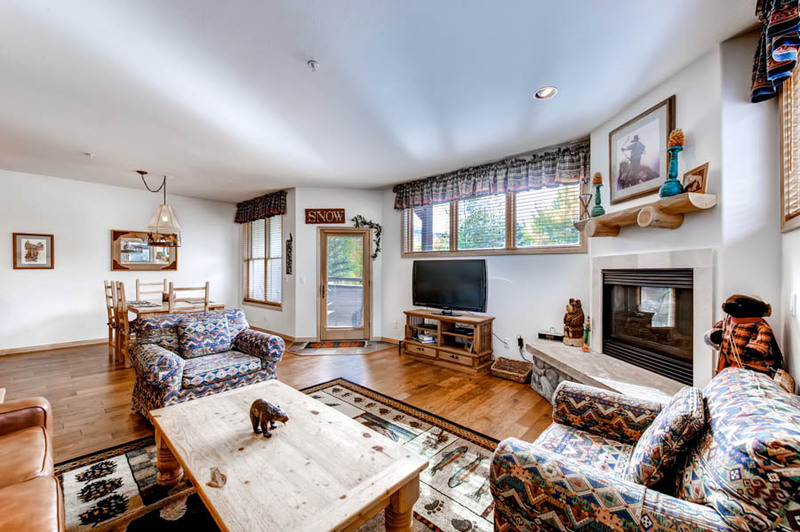 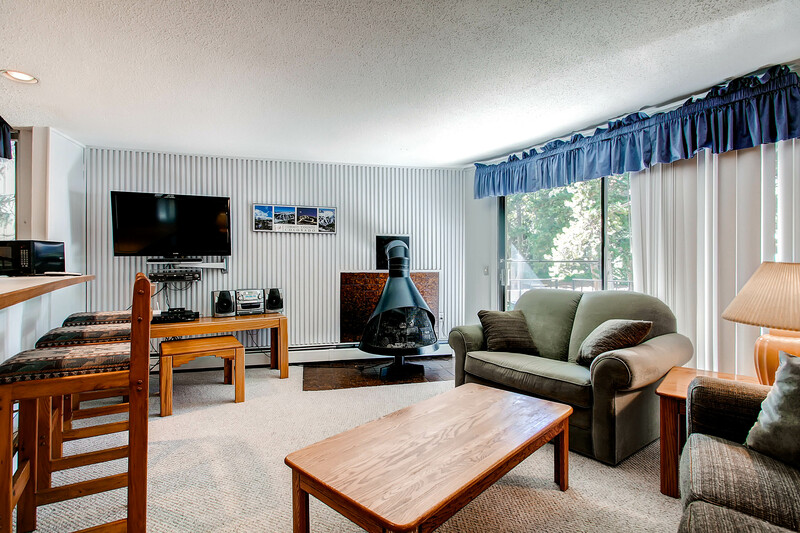 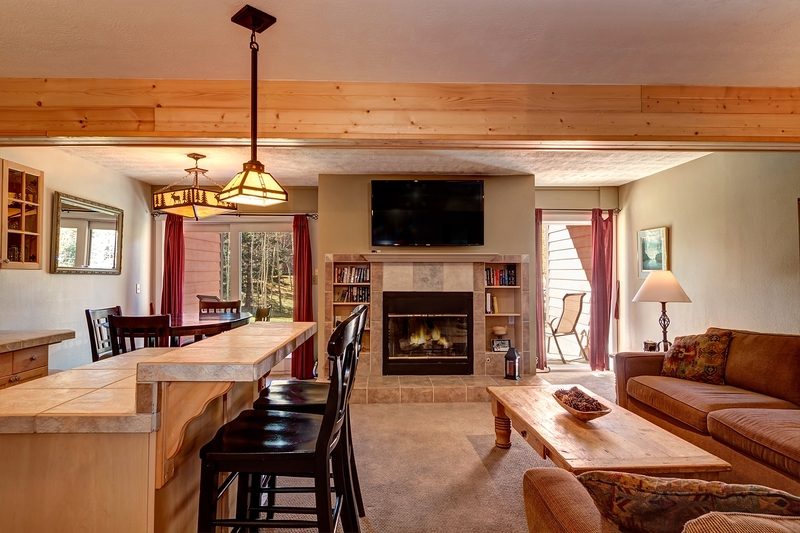 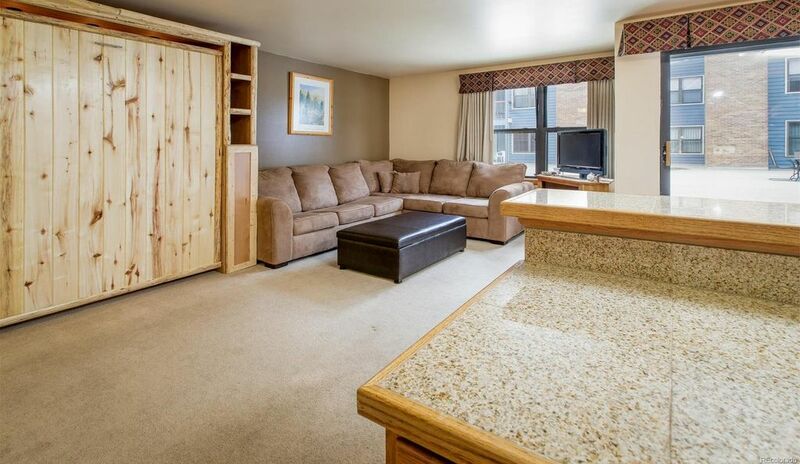 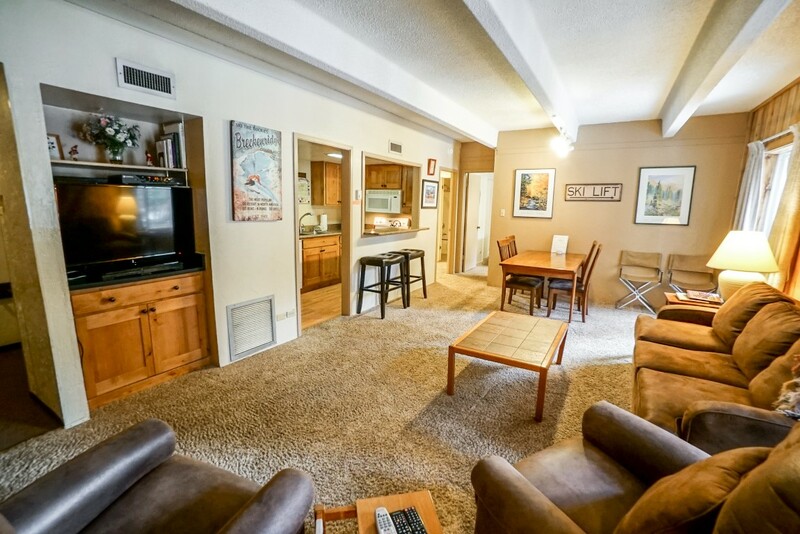 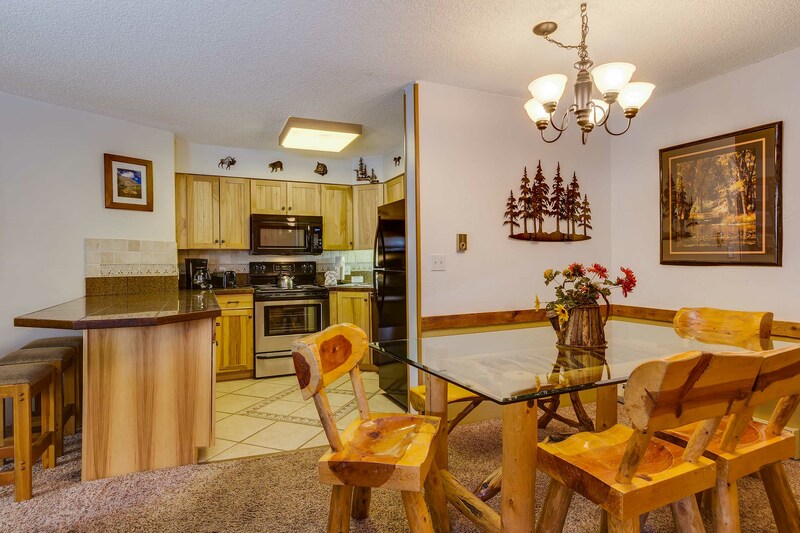 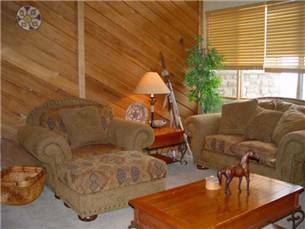 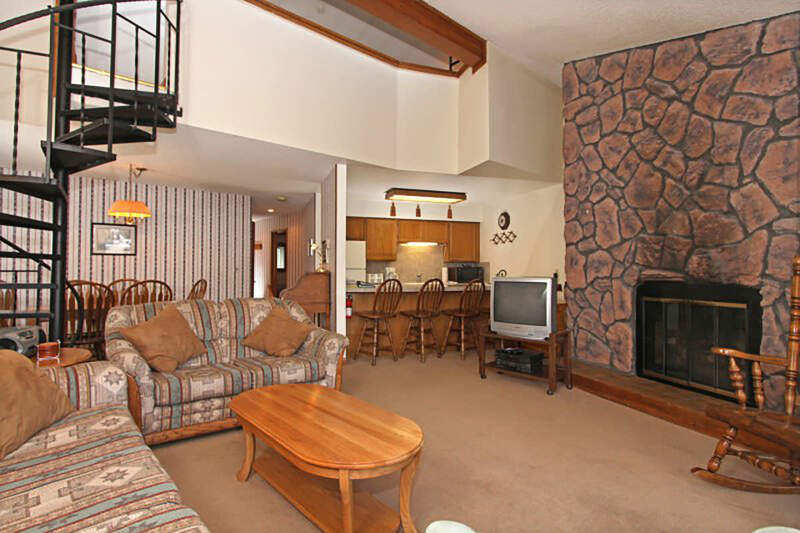 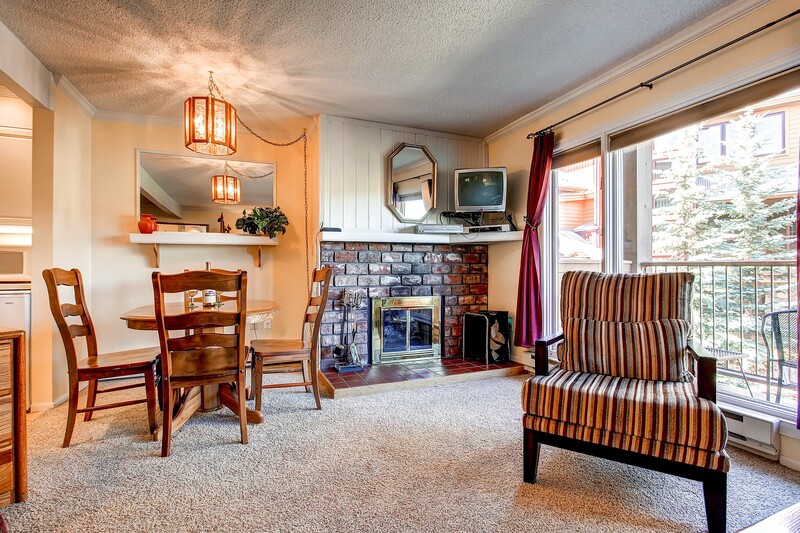 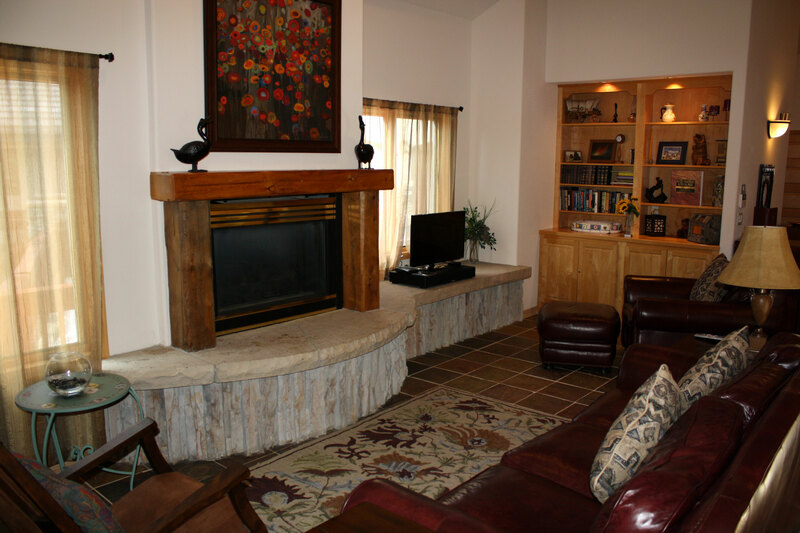 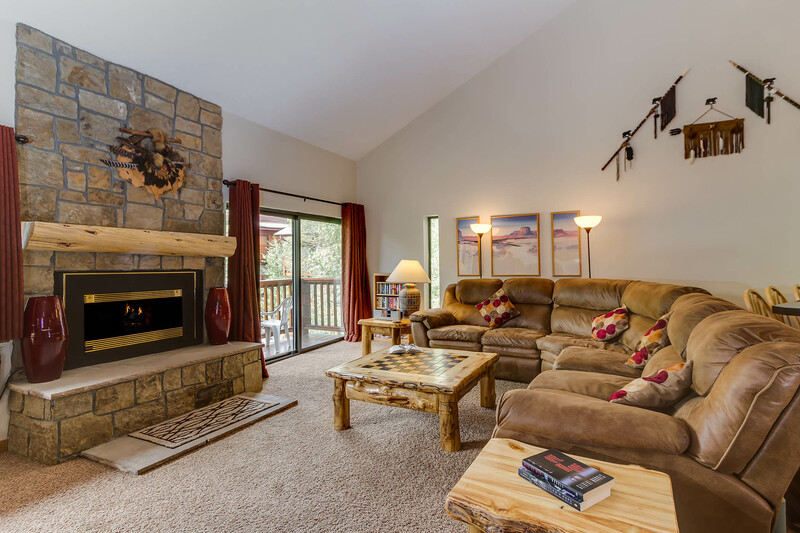 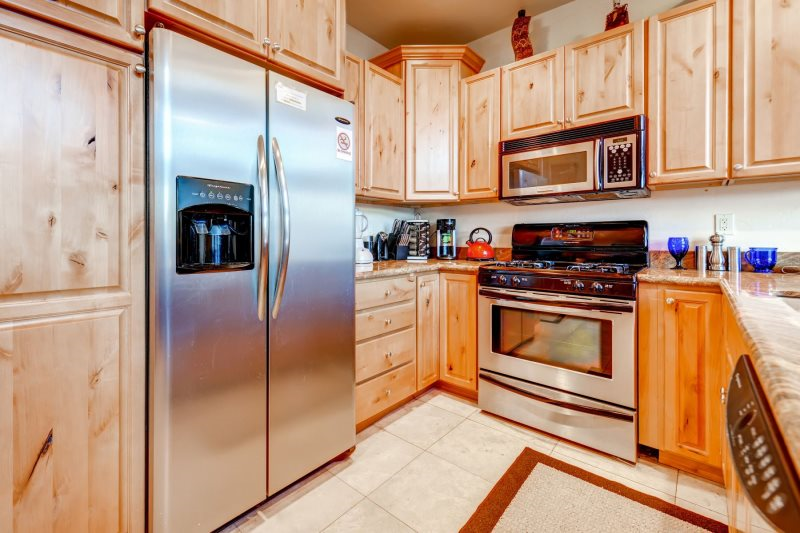 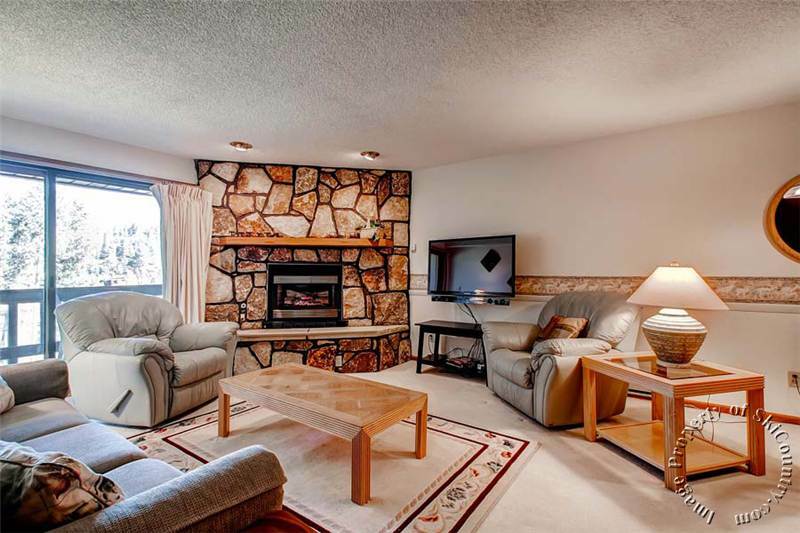 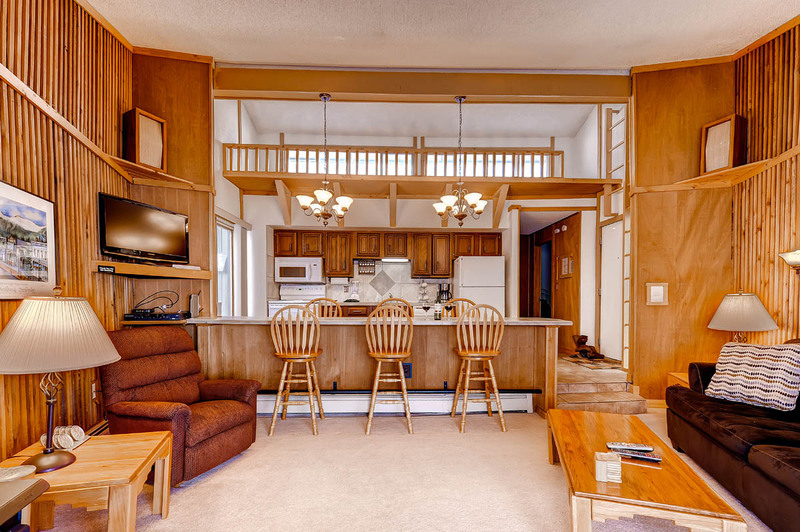 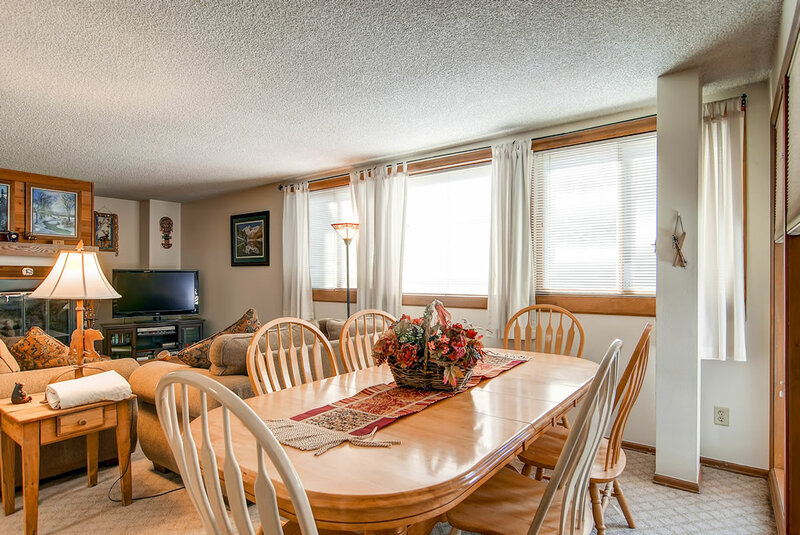 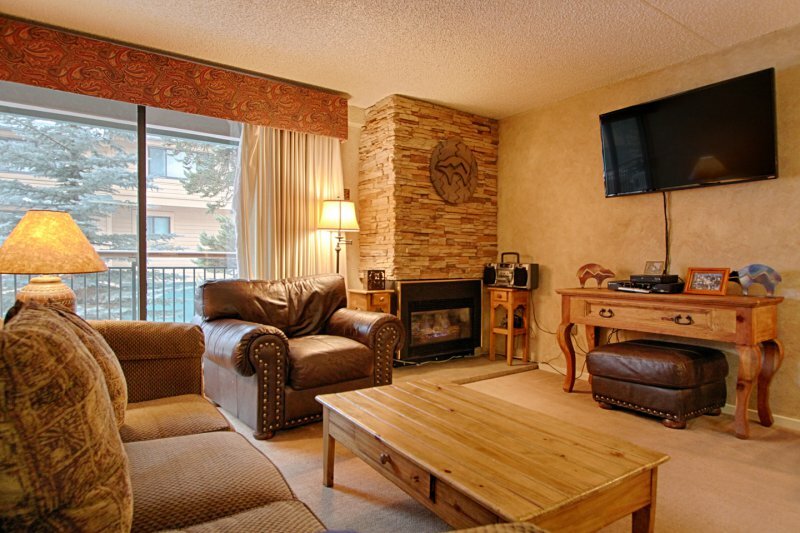 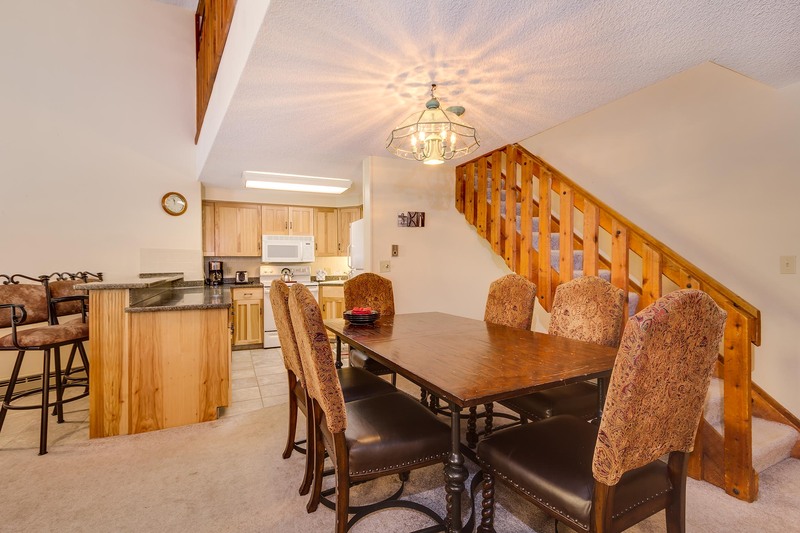 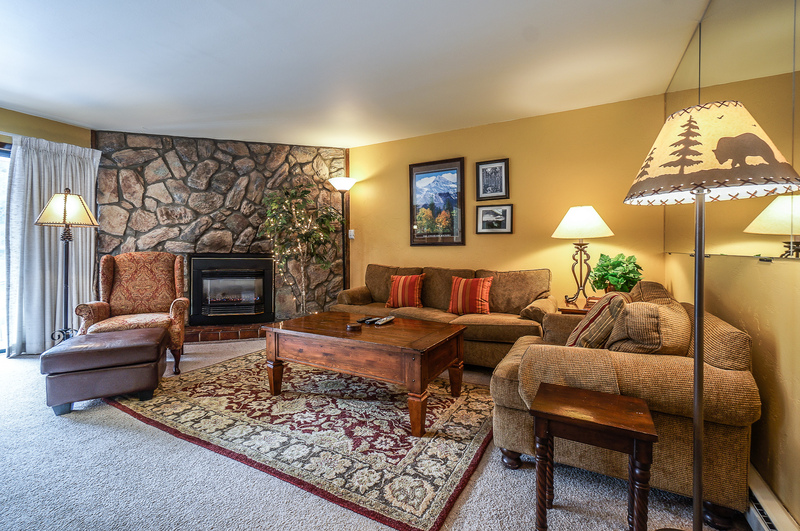 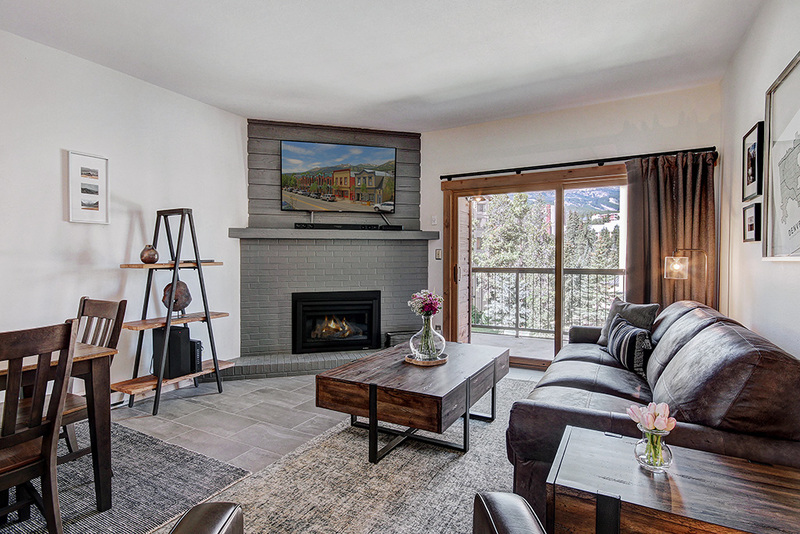 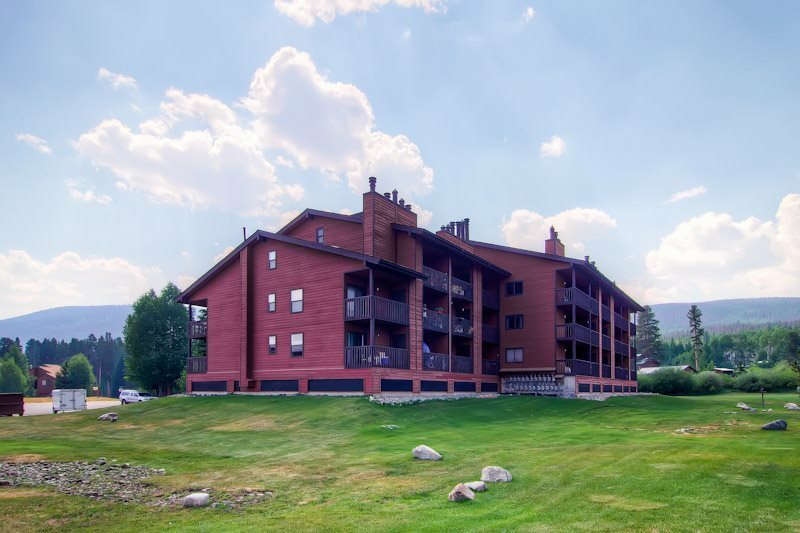 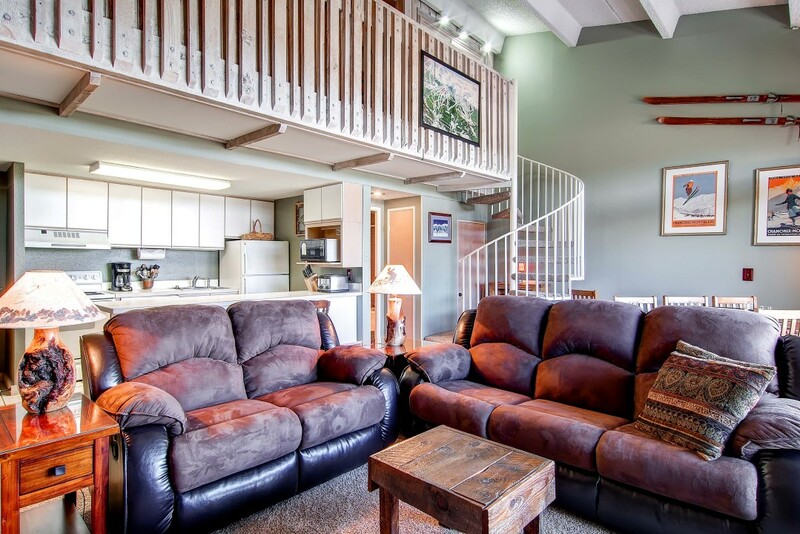 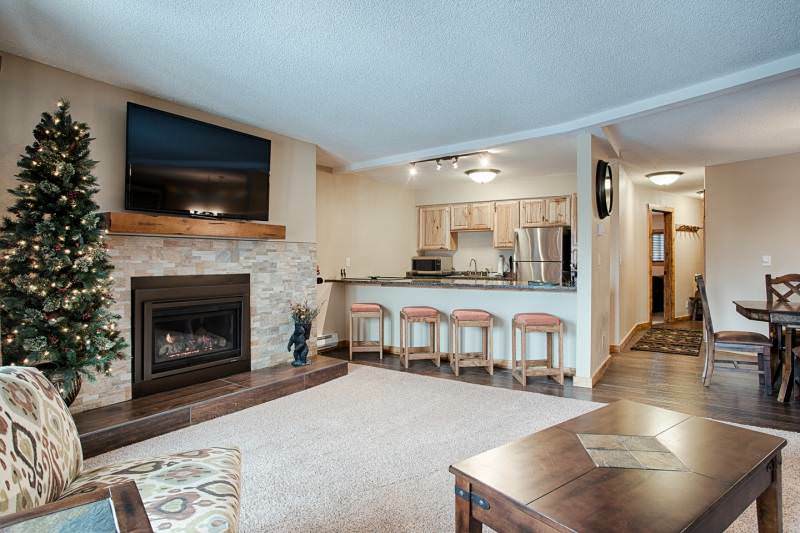 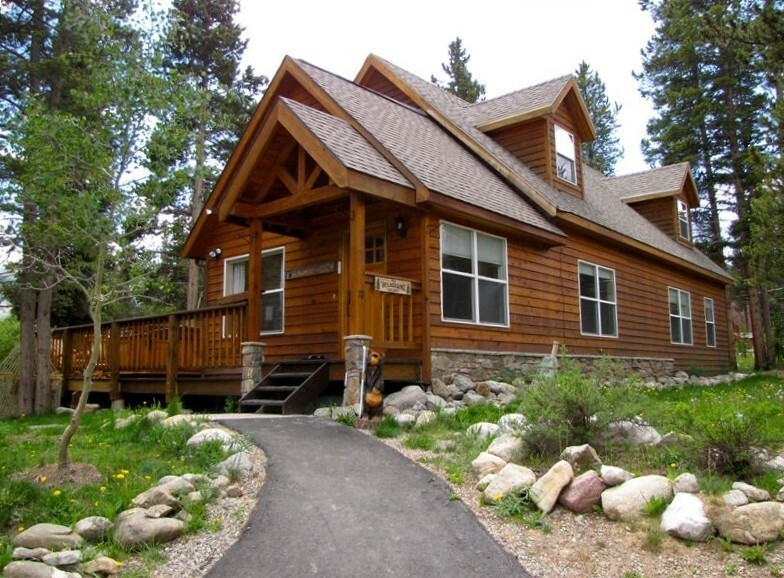 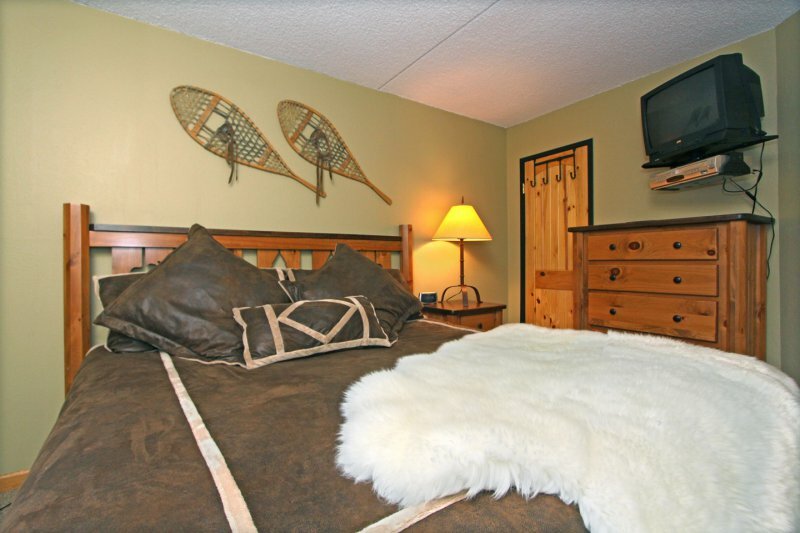 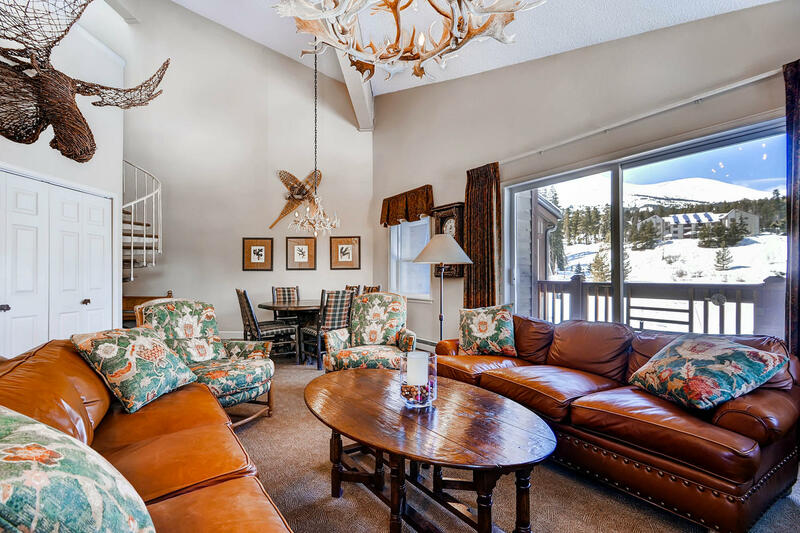 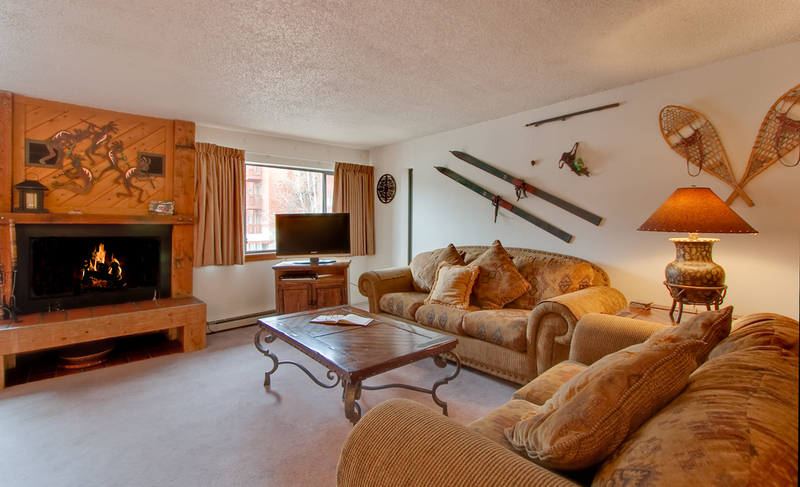 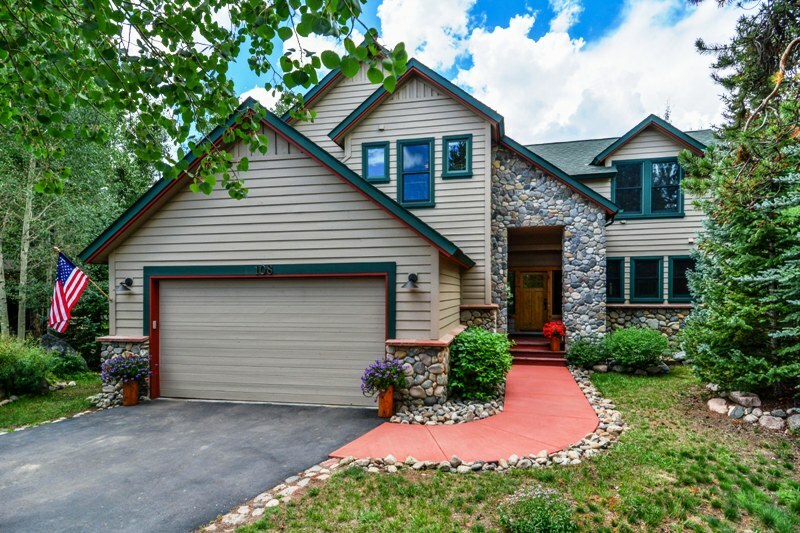 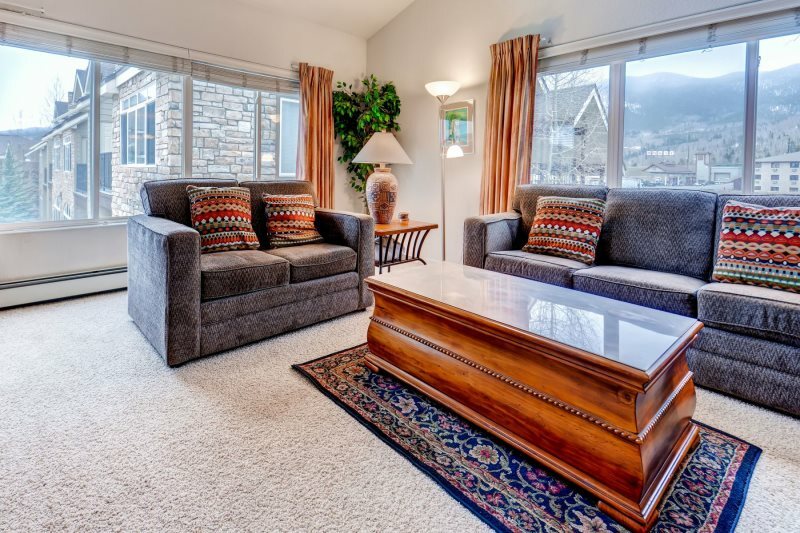 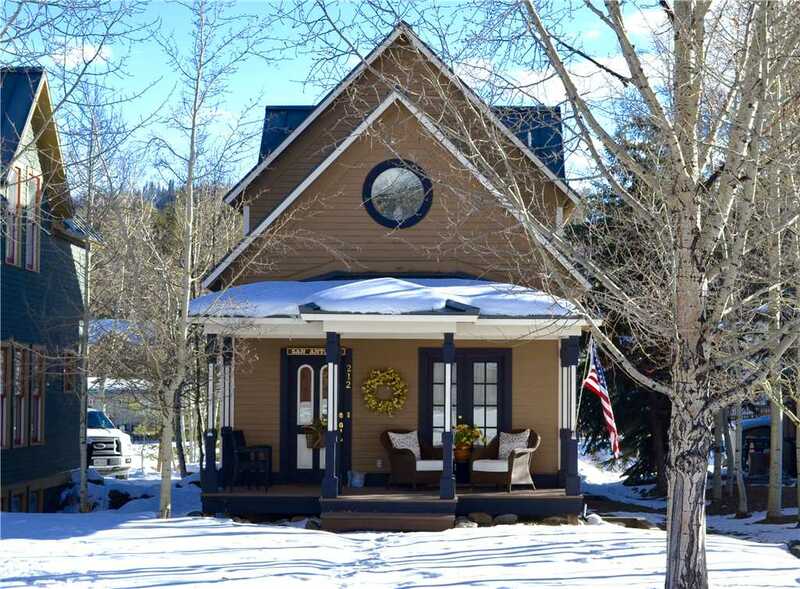 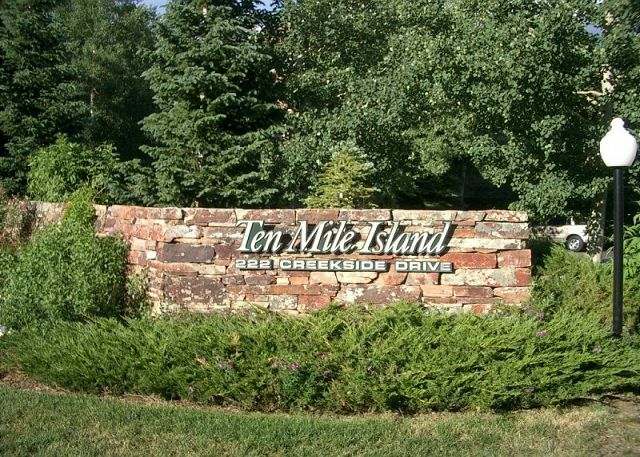 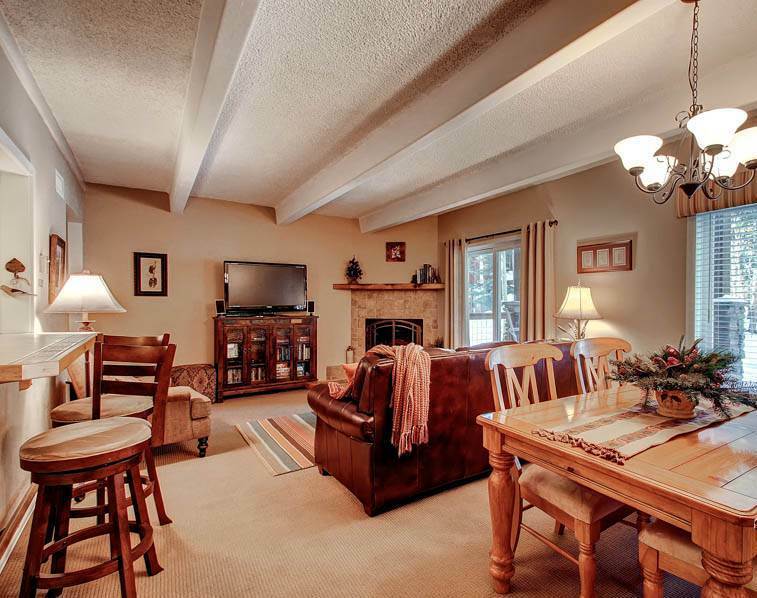 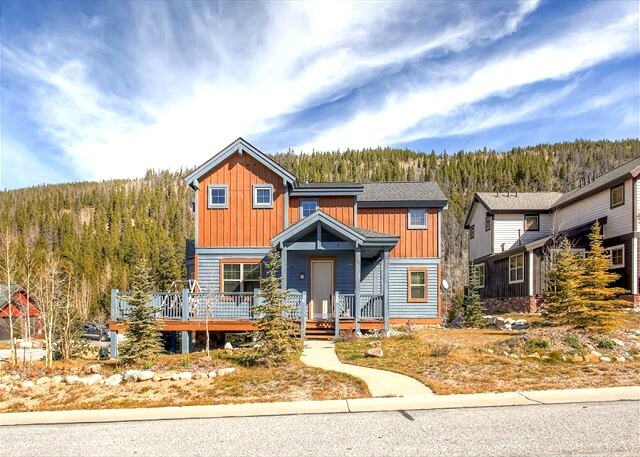 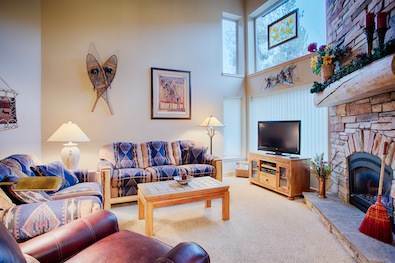 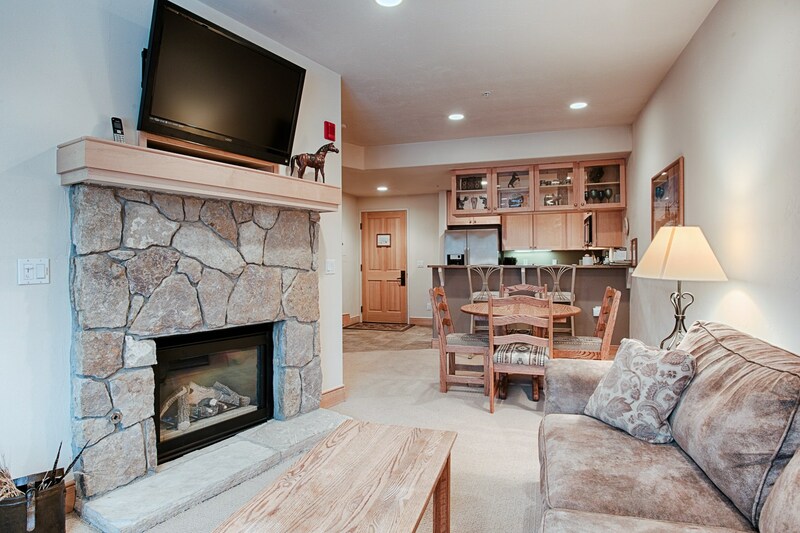 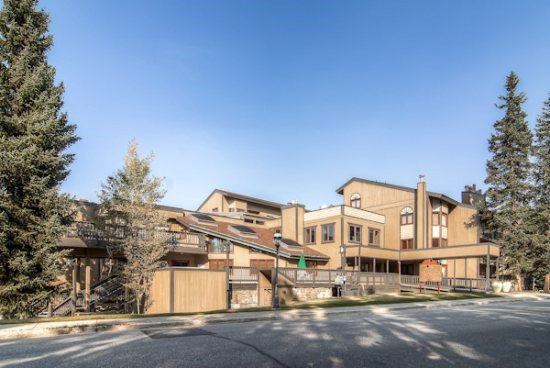 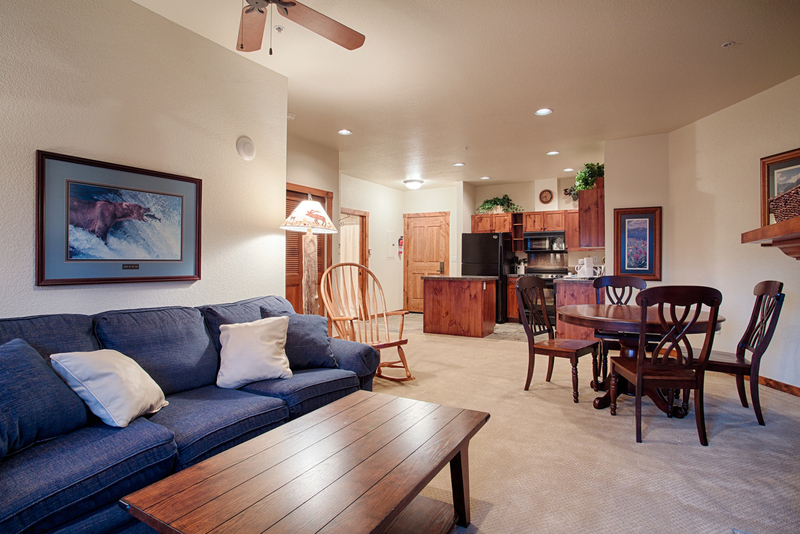 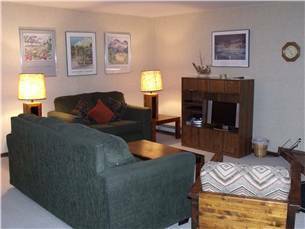 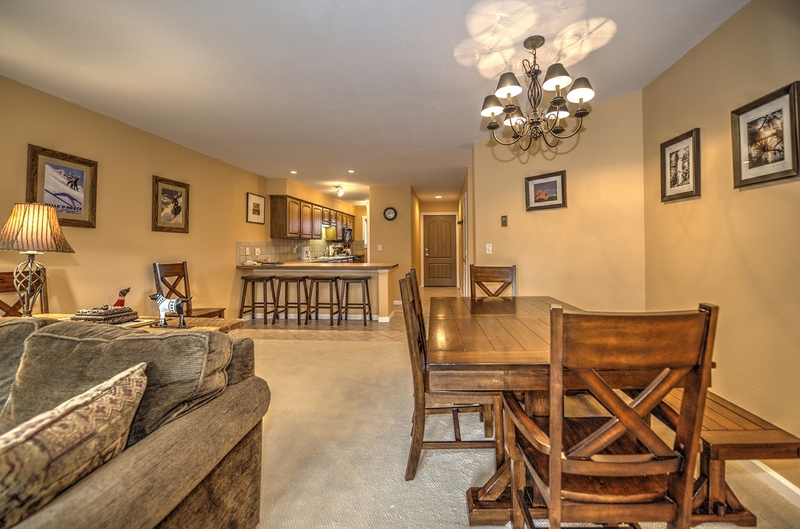 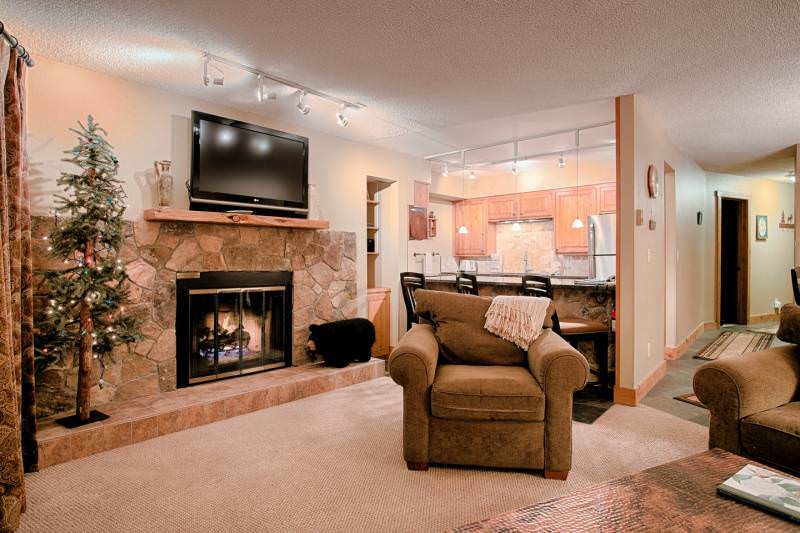 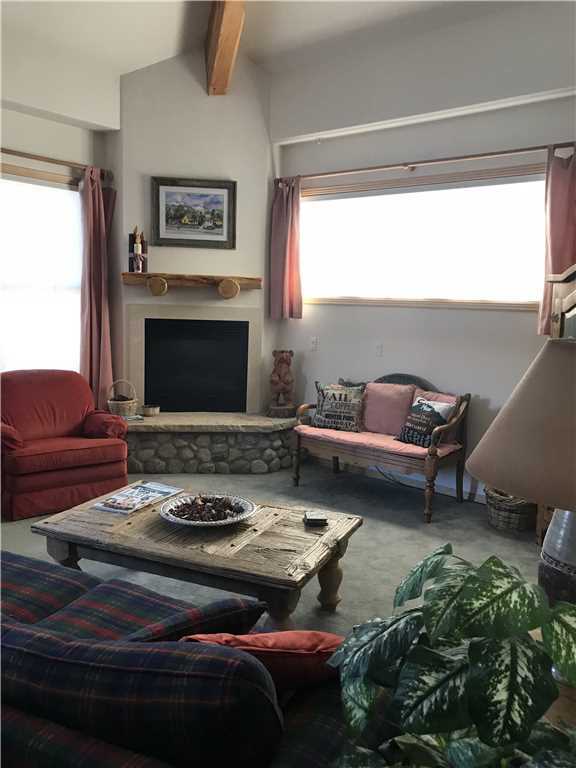 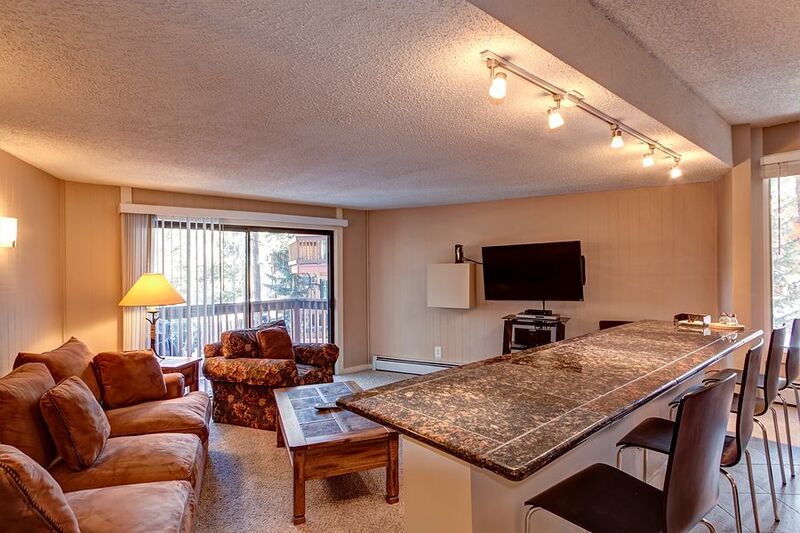 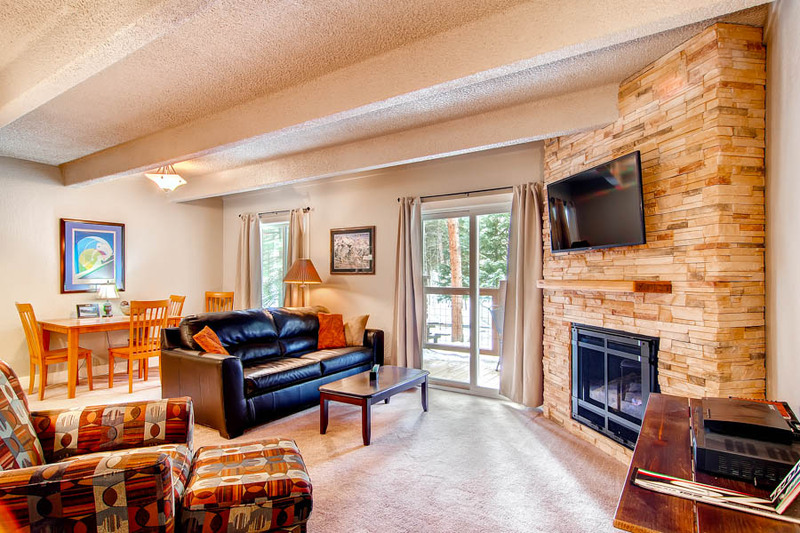 High-quality furnishings, mountain views and a great location steps away from the community pool and hot tubs make 15C a wonderful vacation choice. 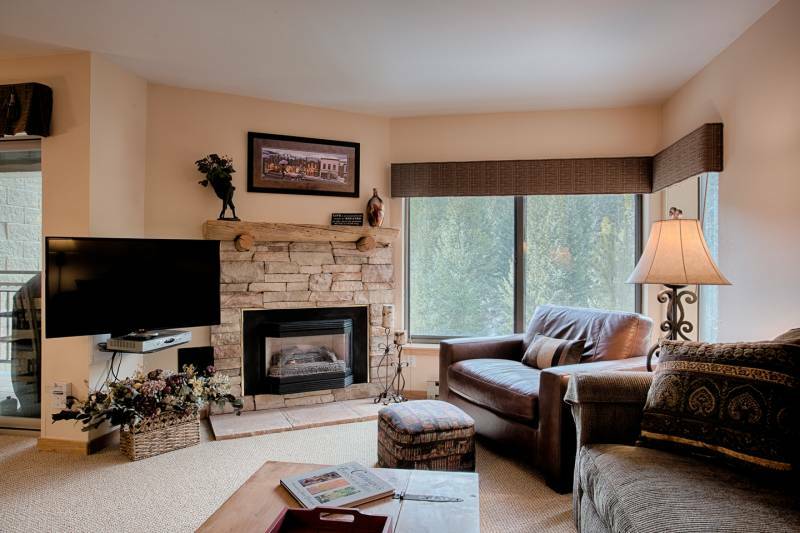 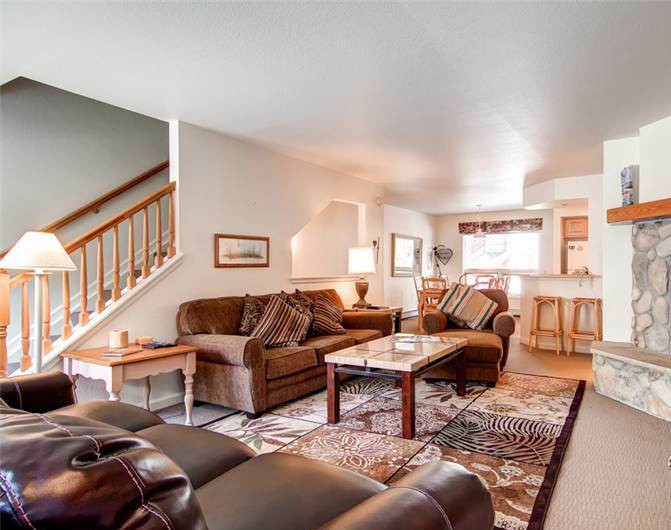 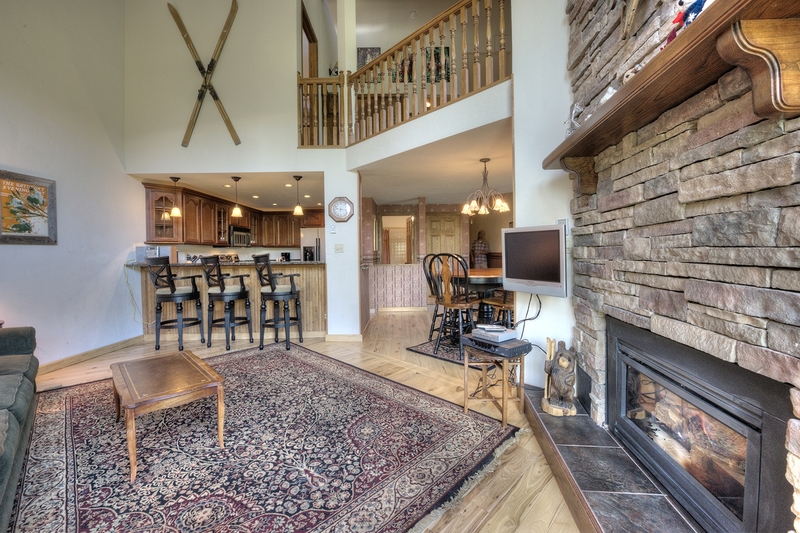 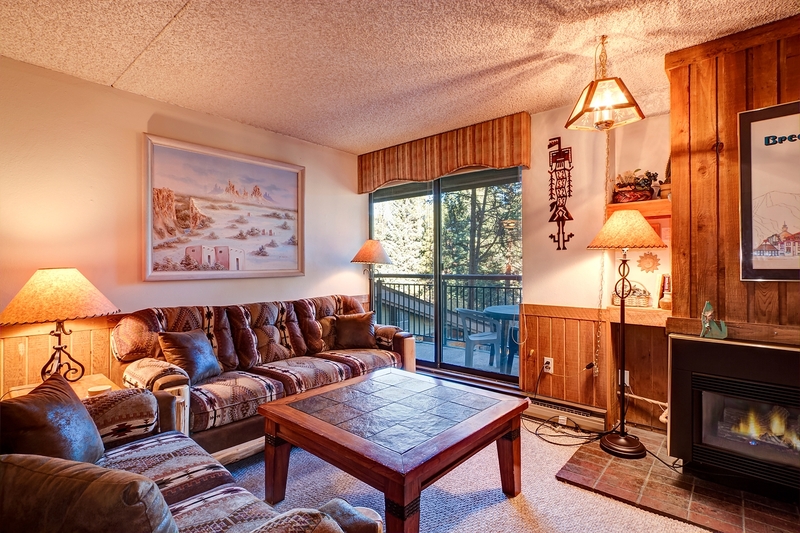 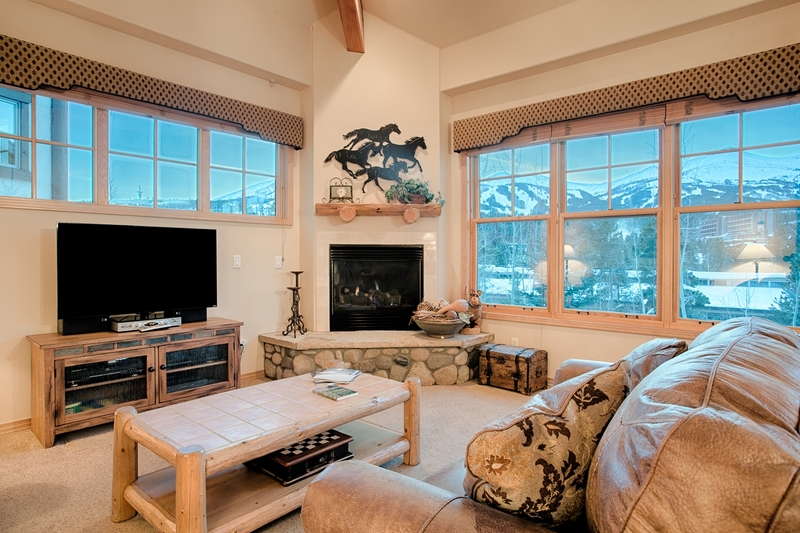 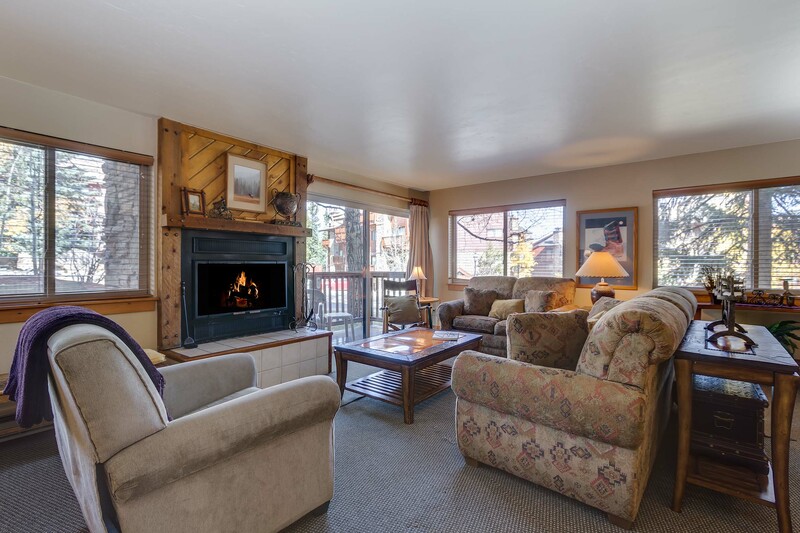 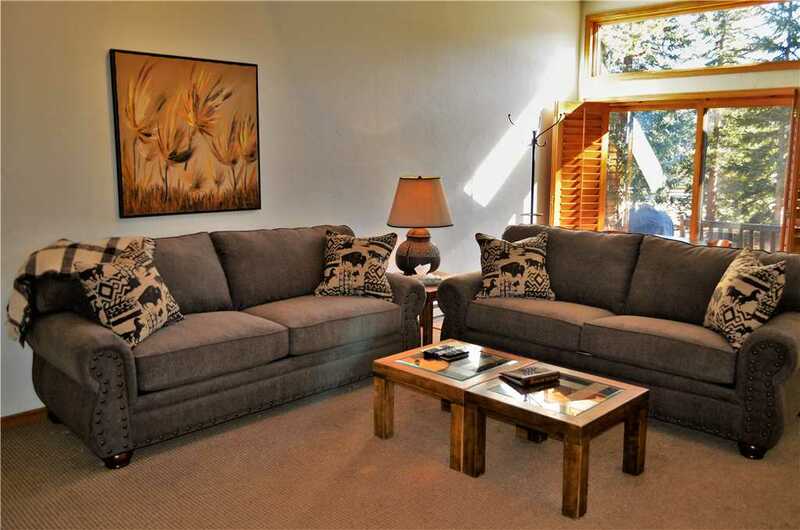 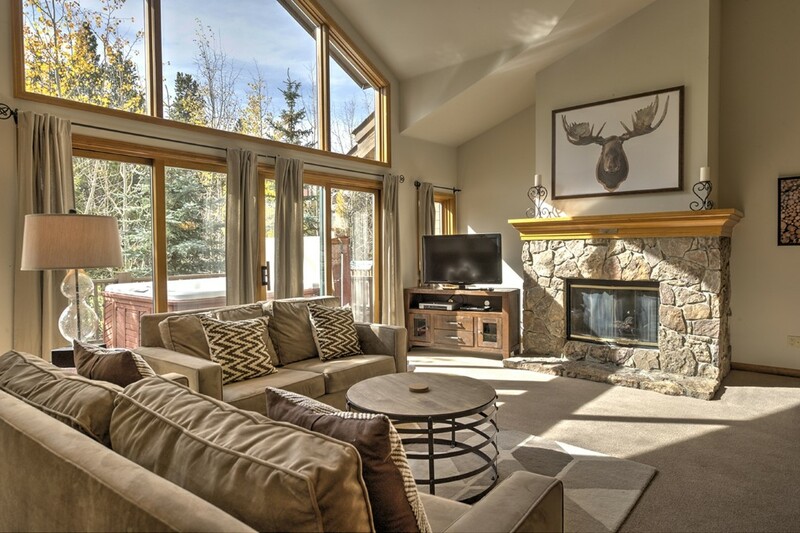 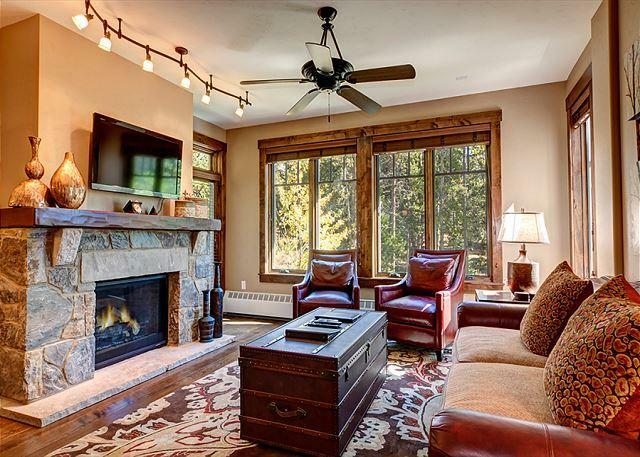 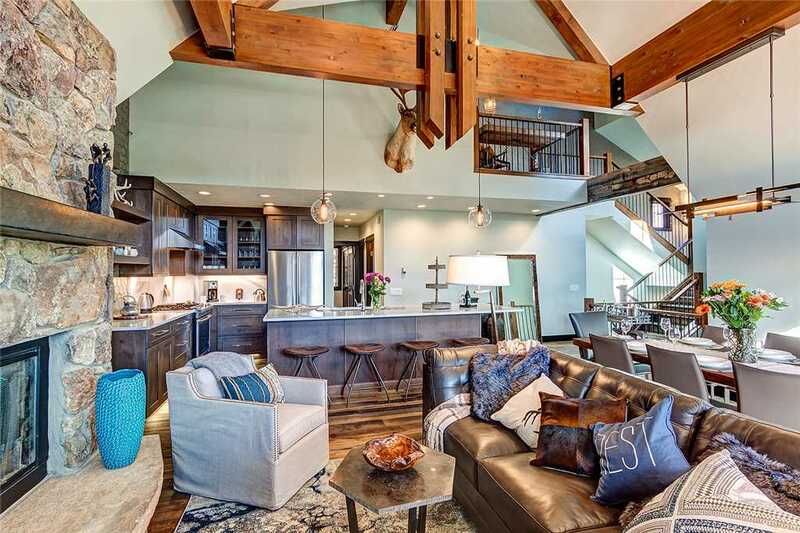 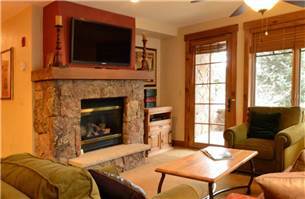 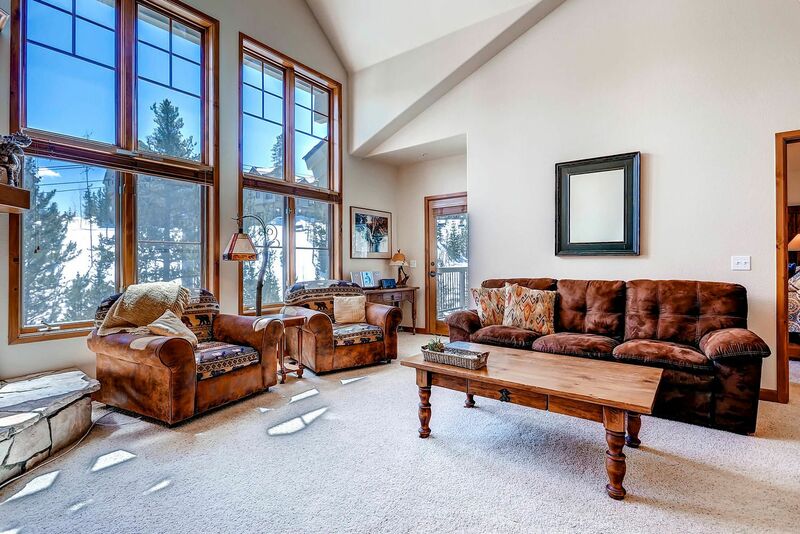 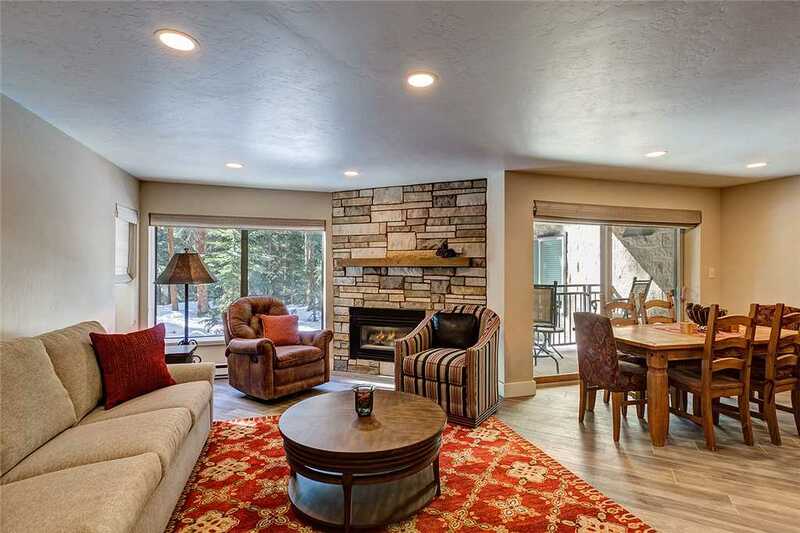 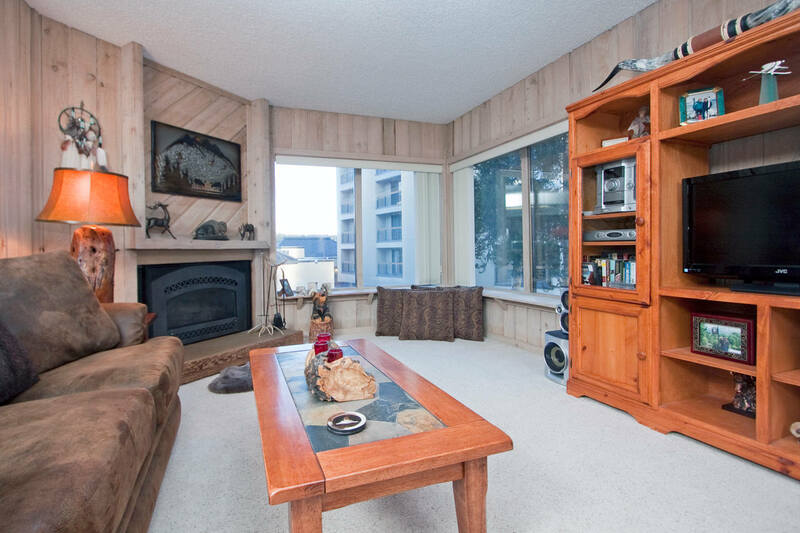 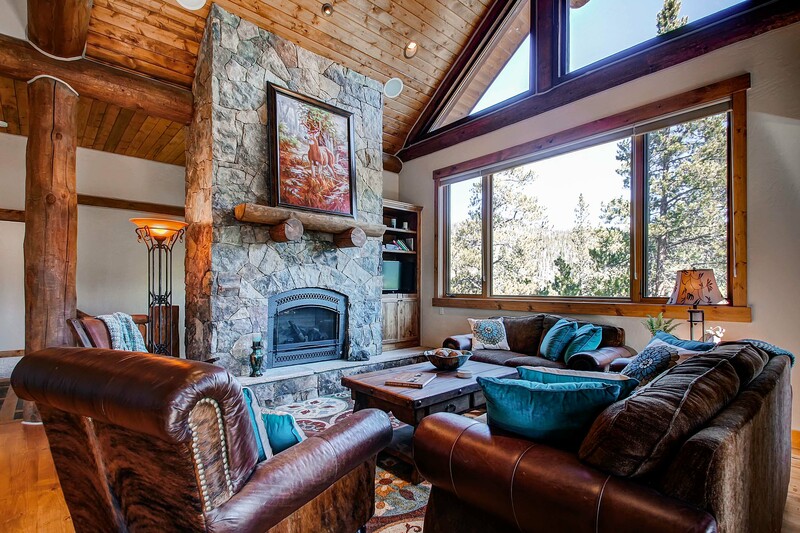 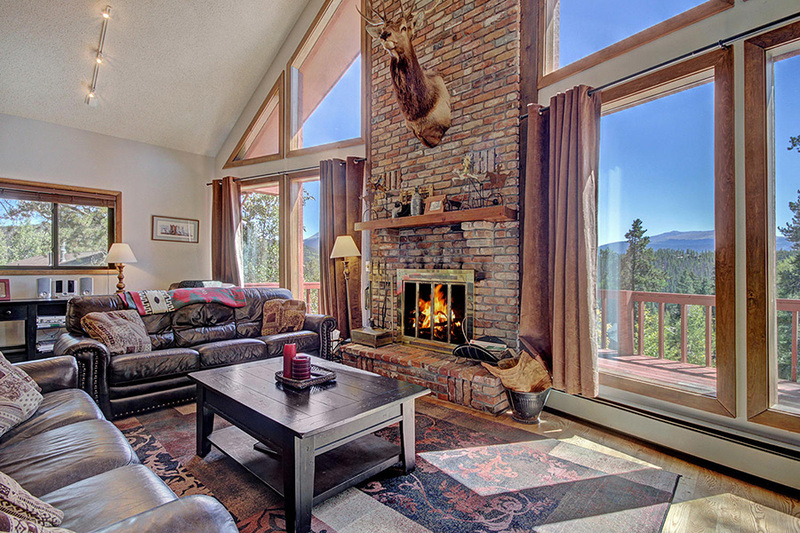 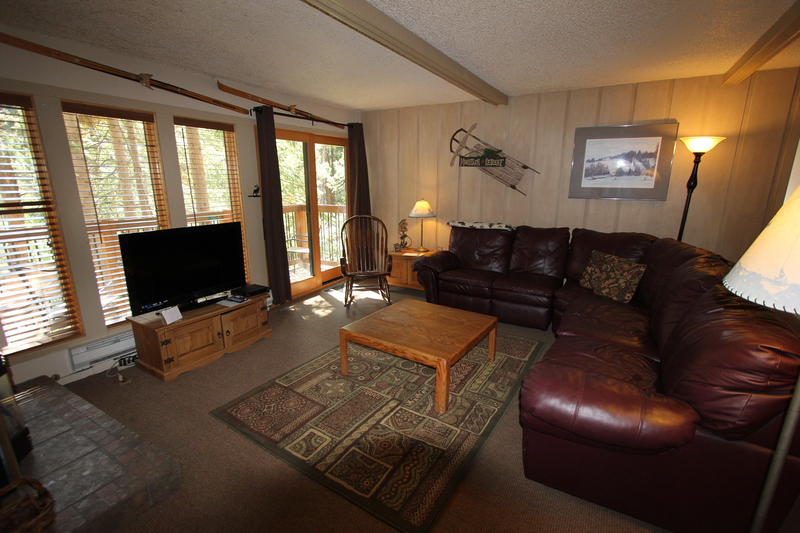 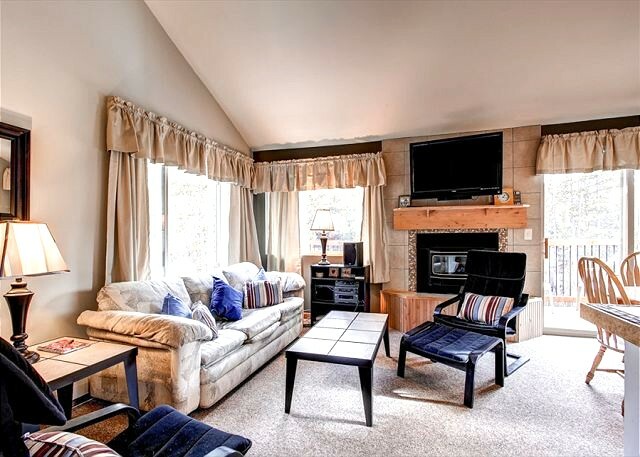 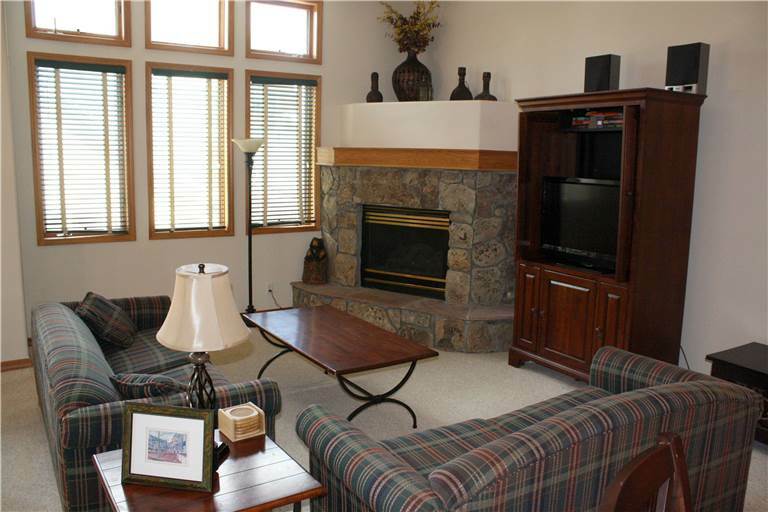 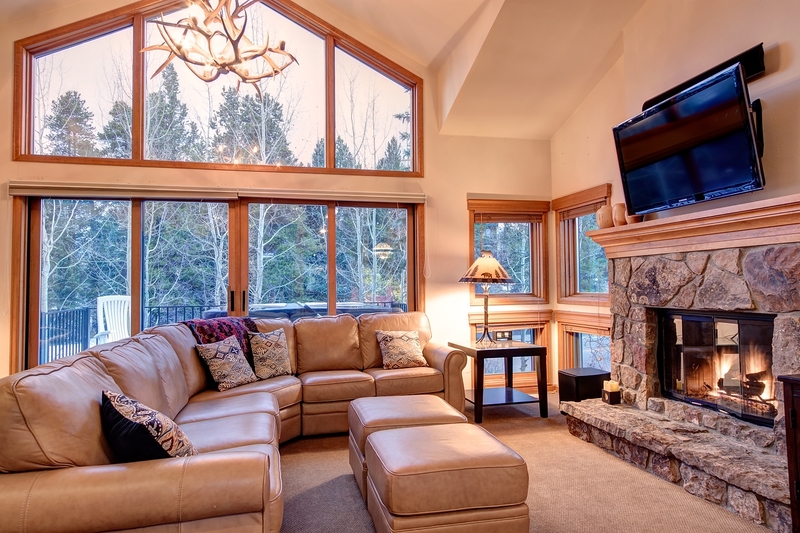 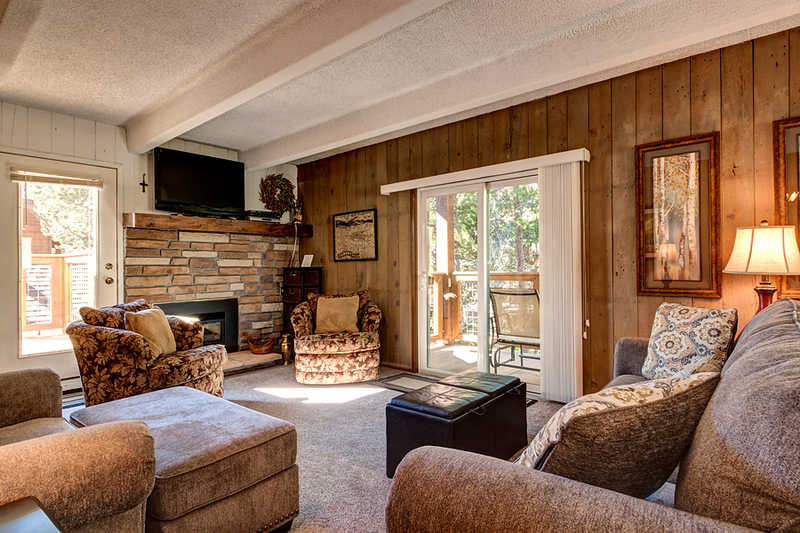 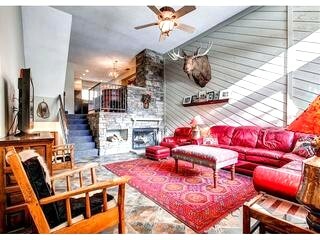 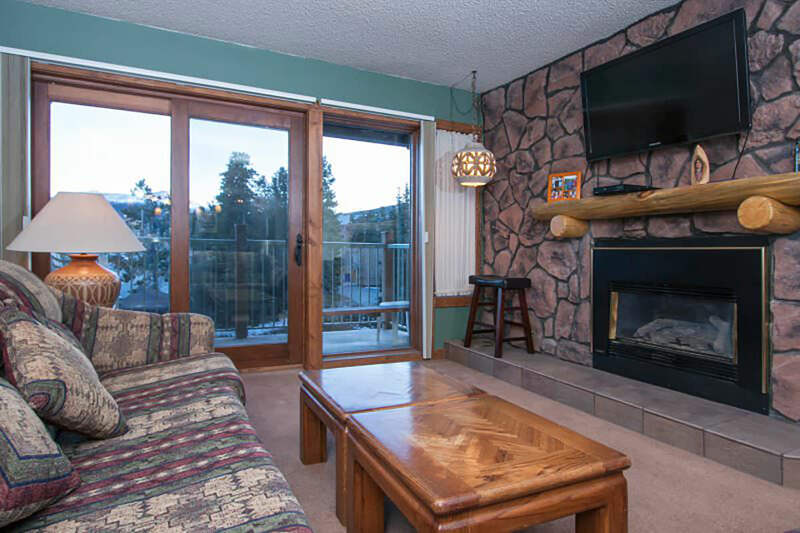 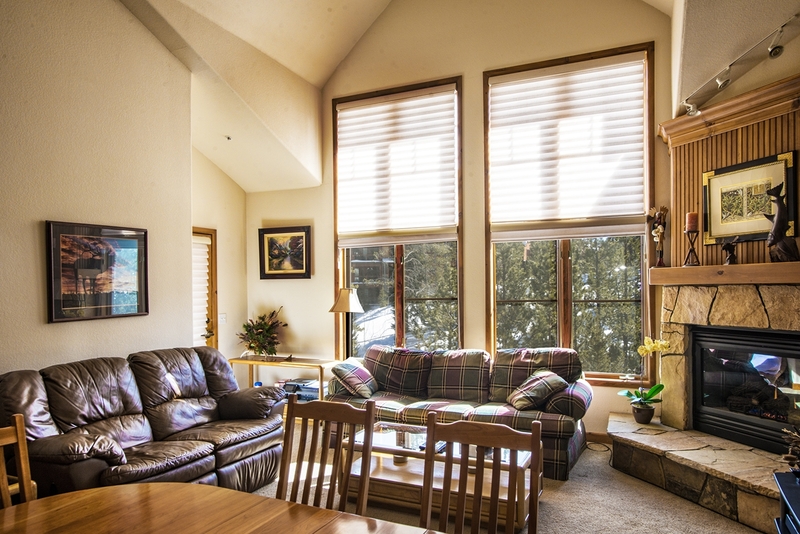 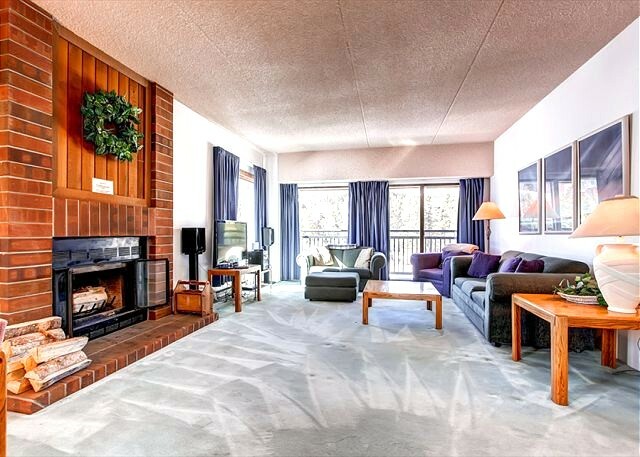 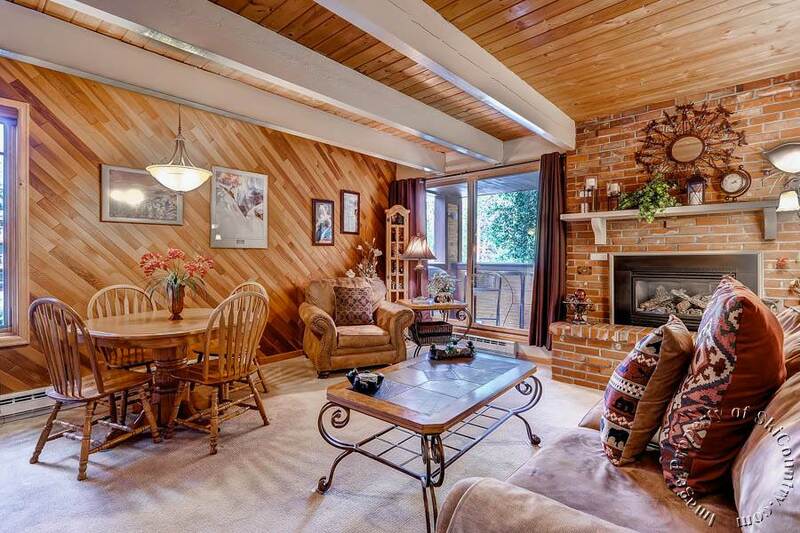 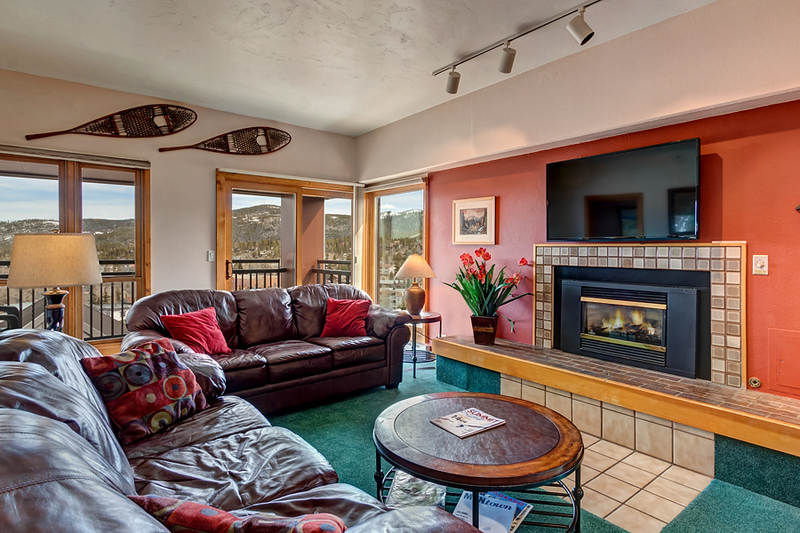 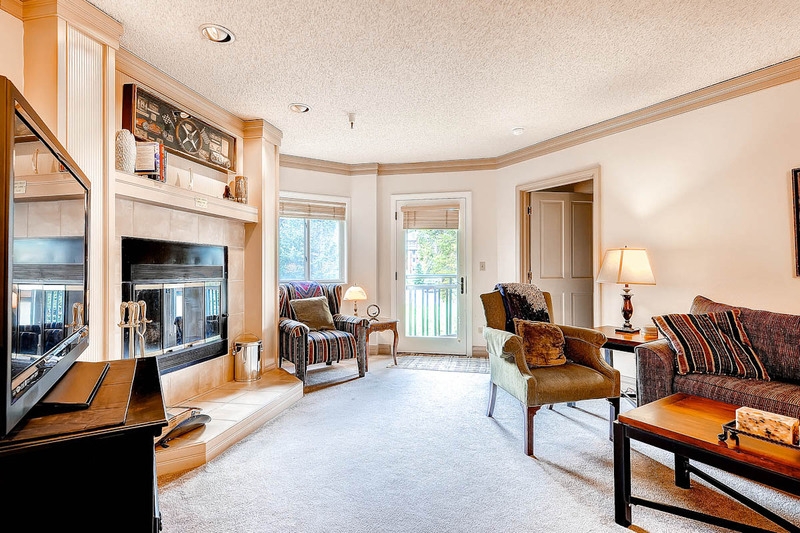 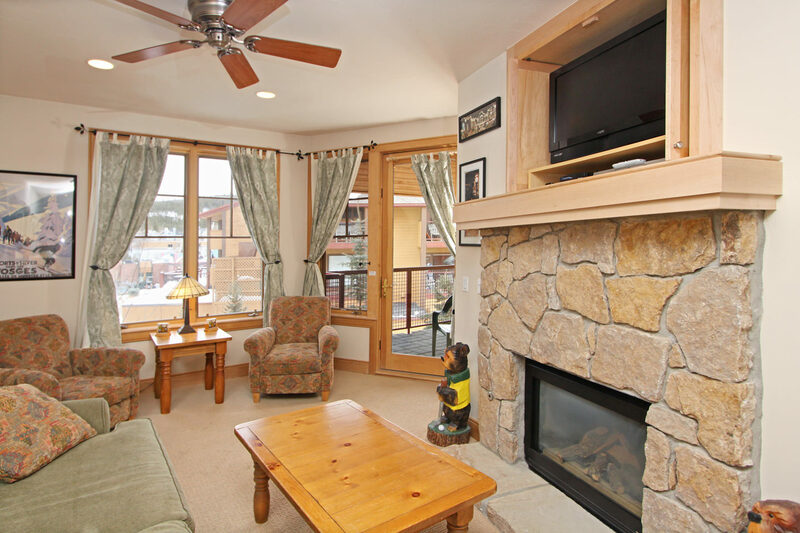 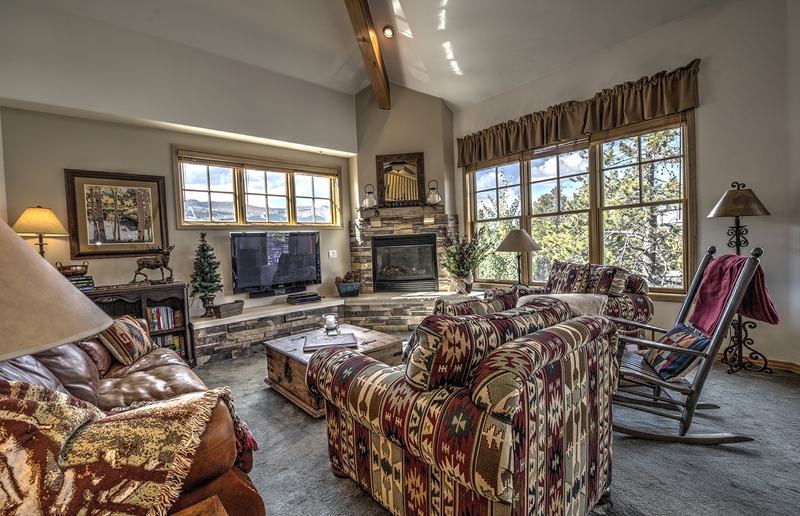 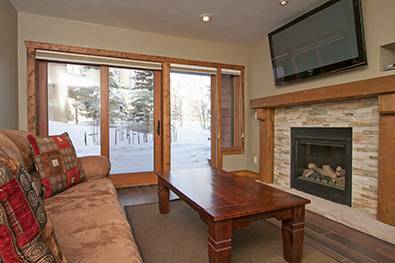 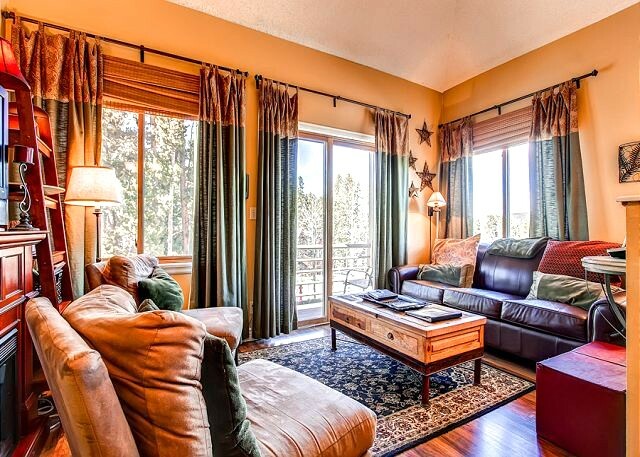 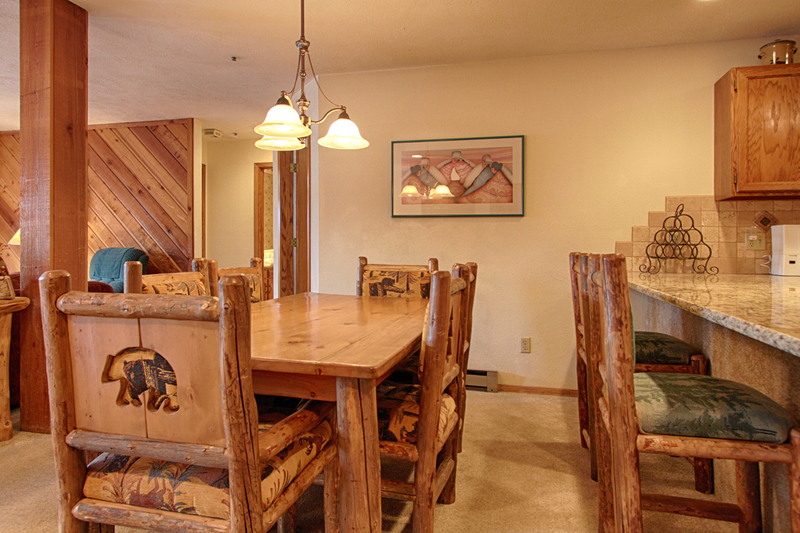 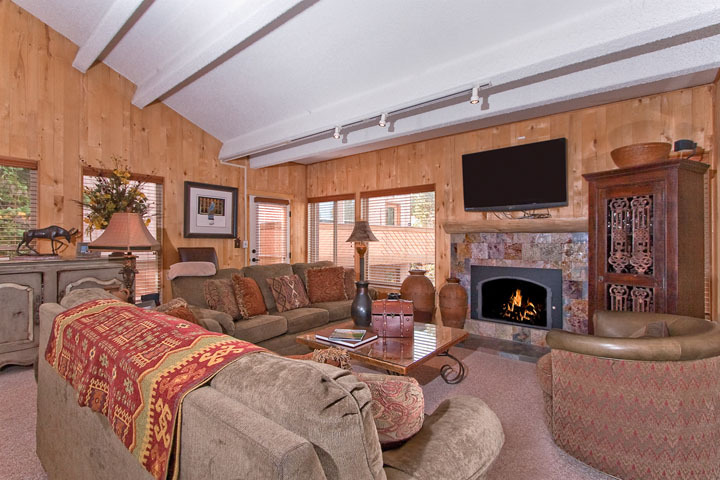 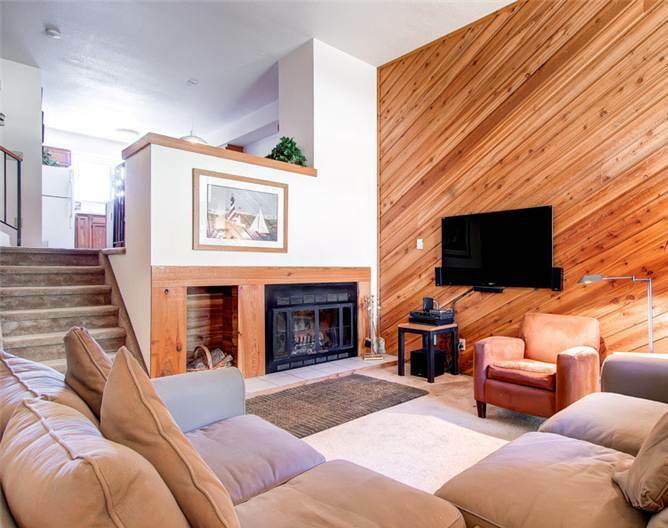 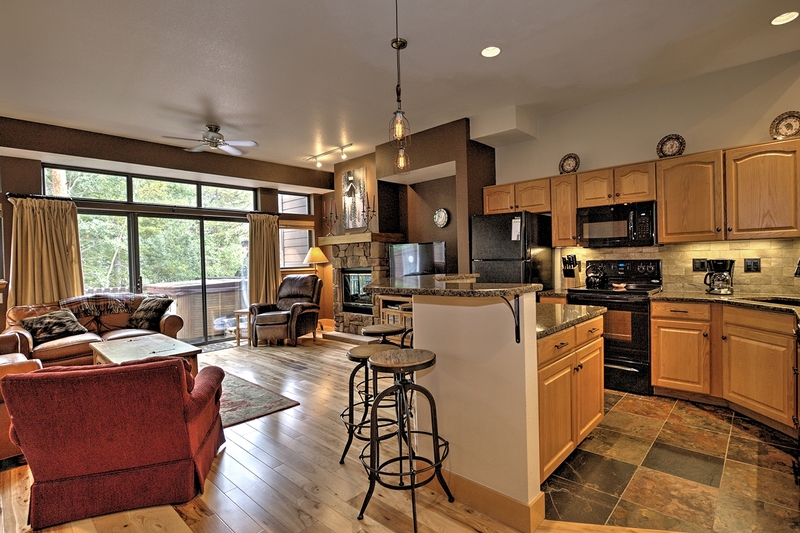 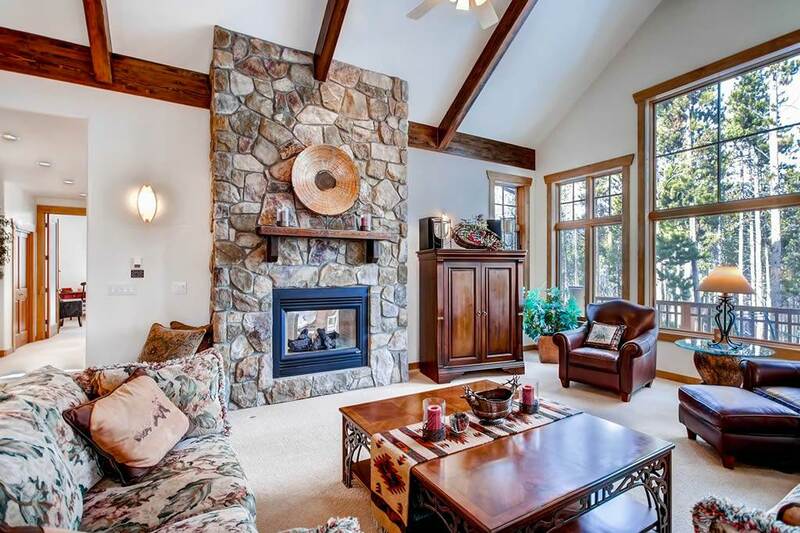 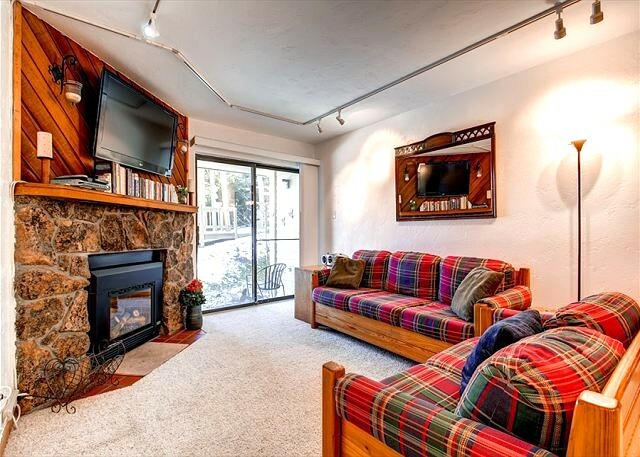 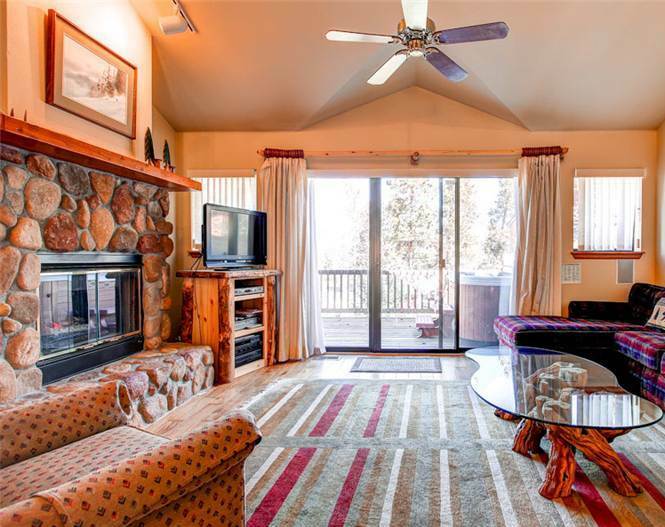 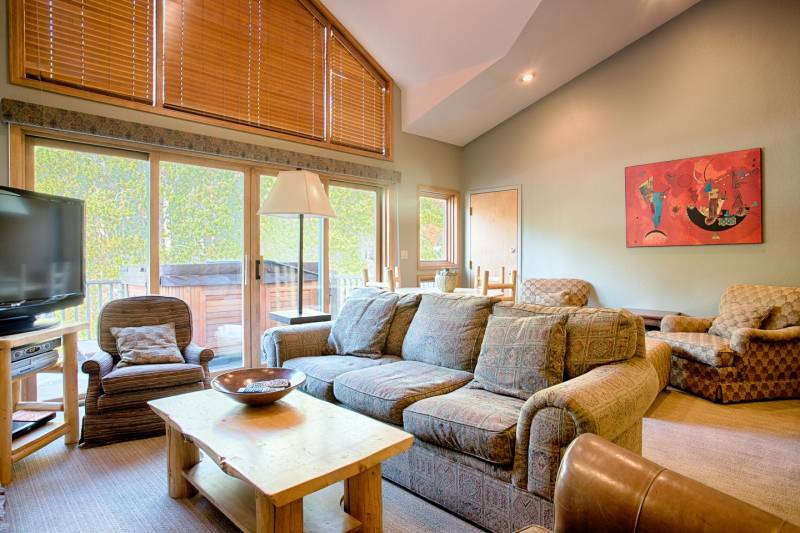 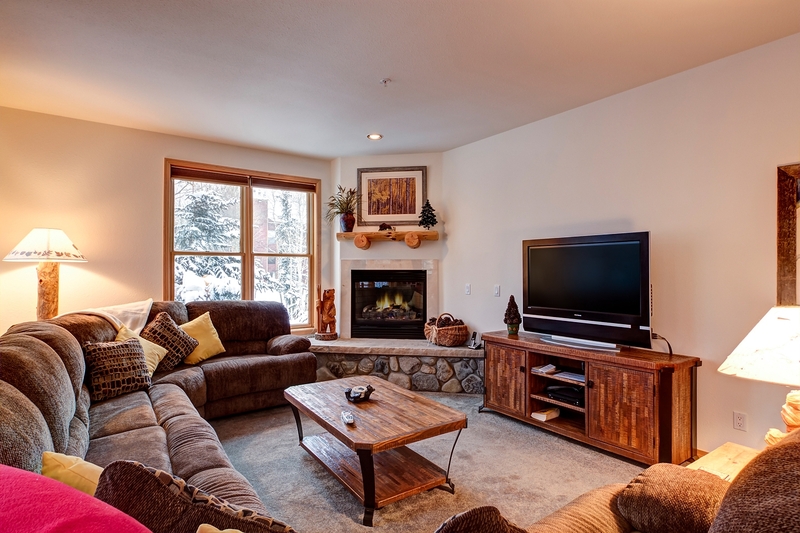 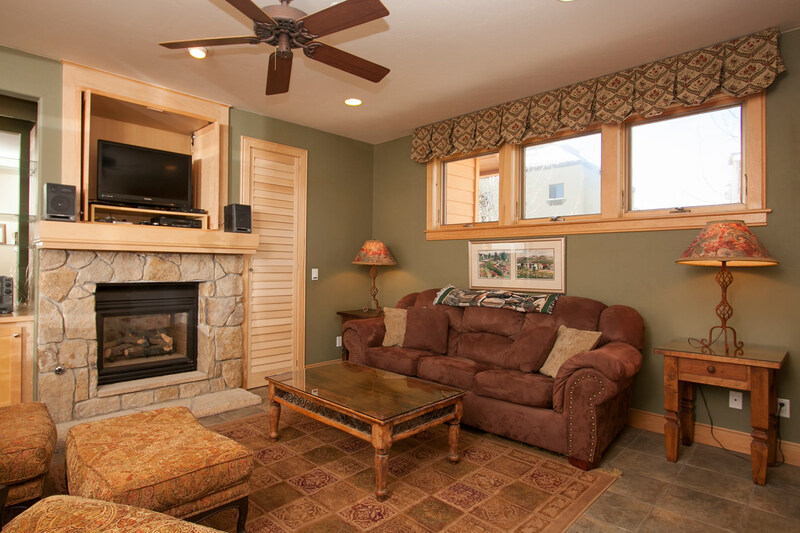 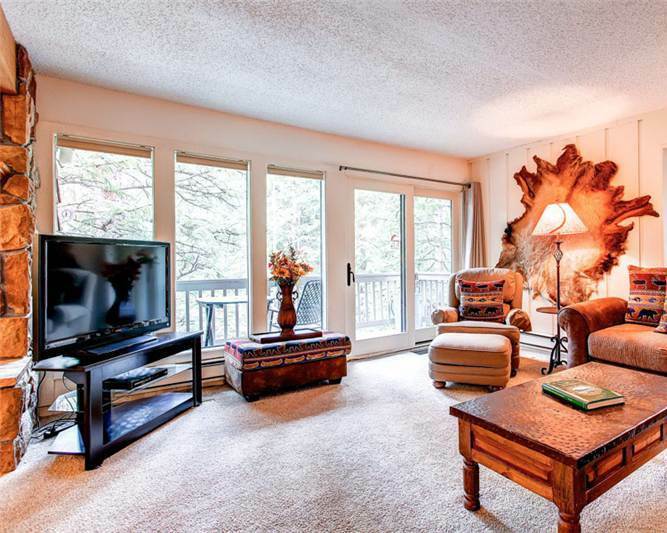 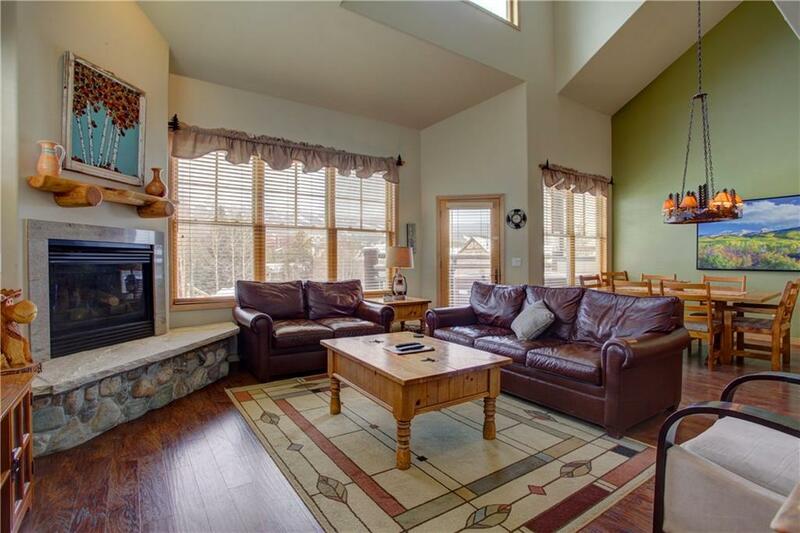 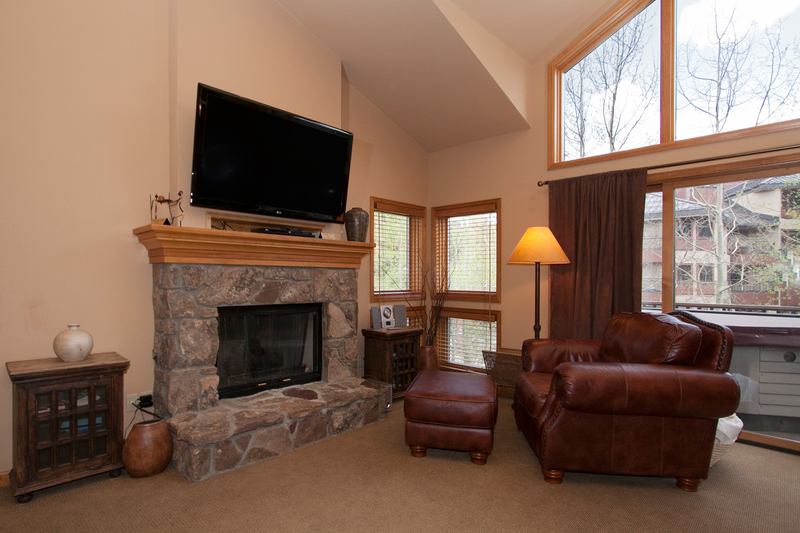 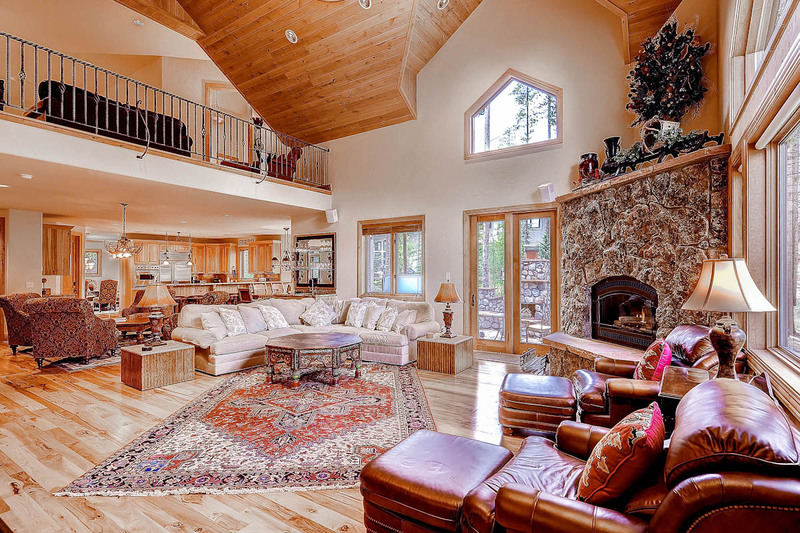 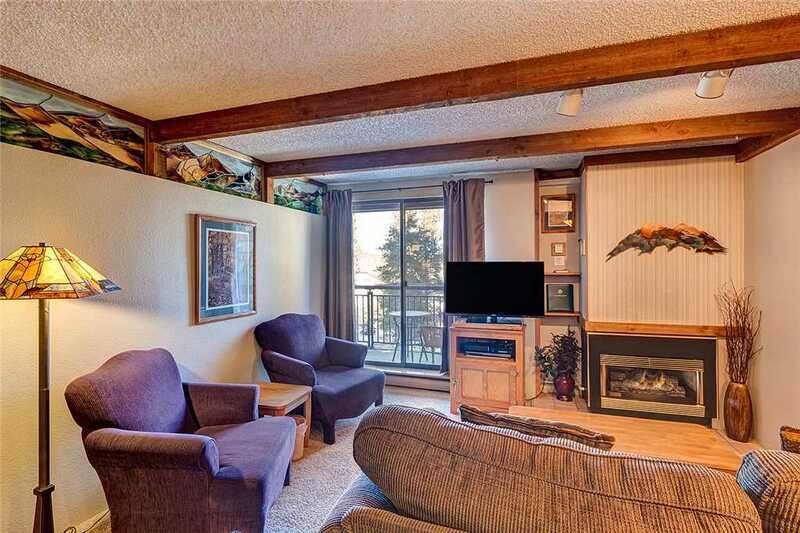 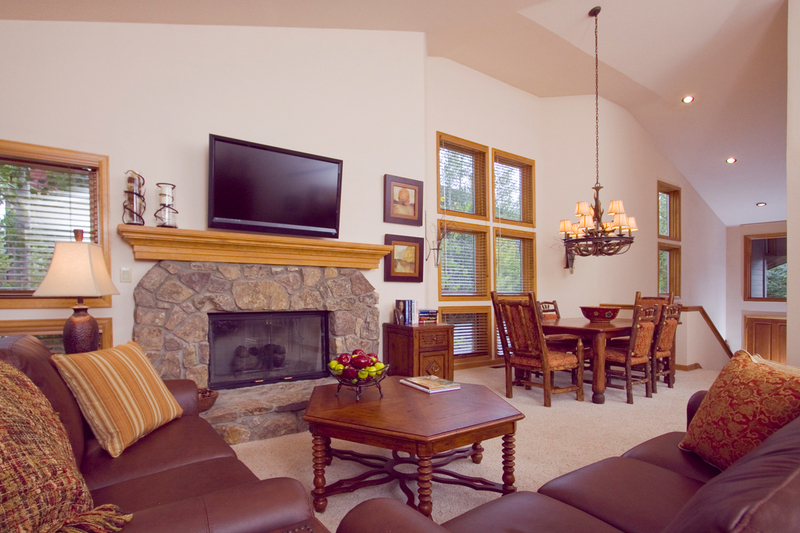 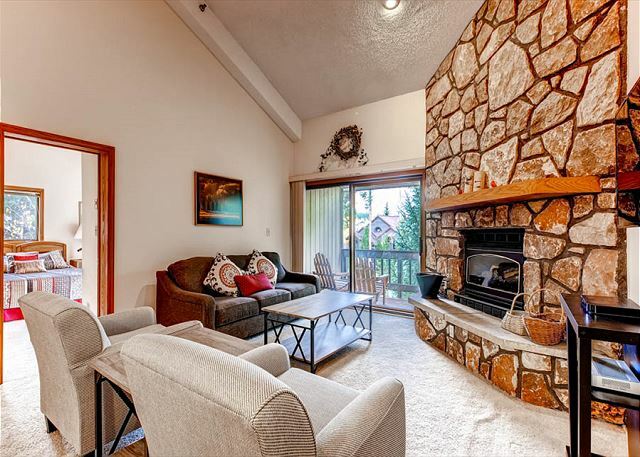 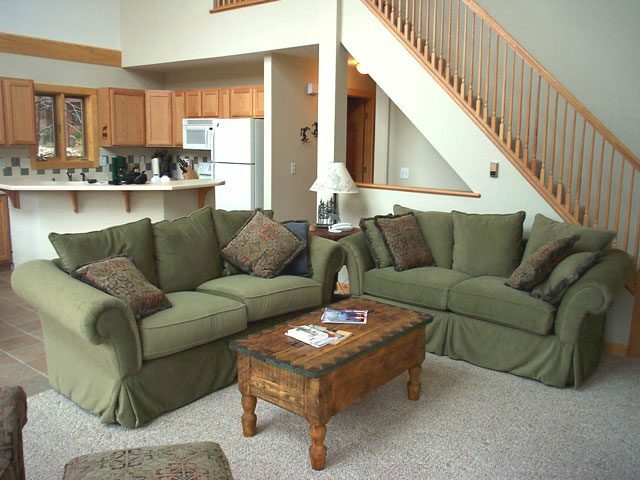 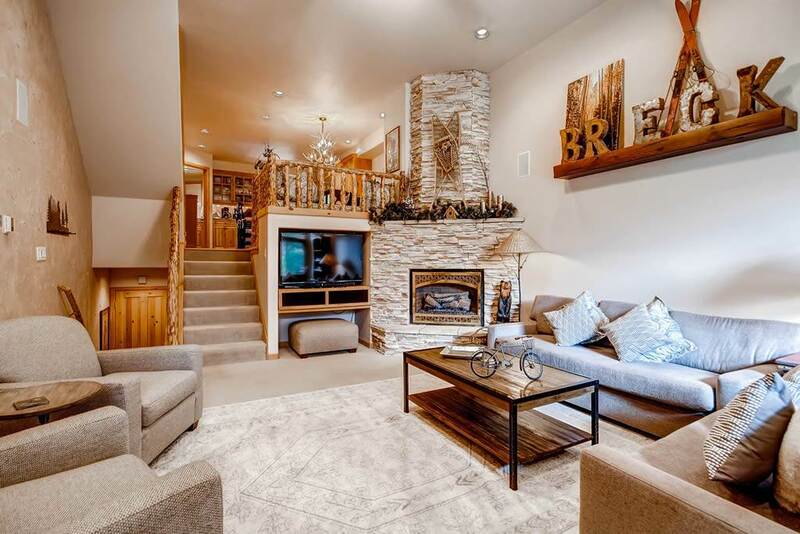 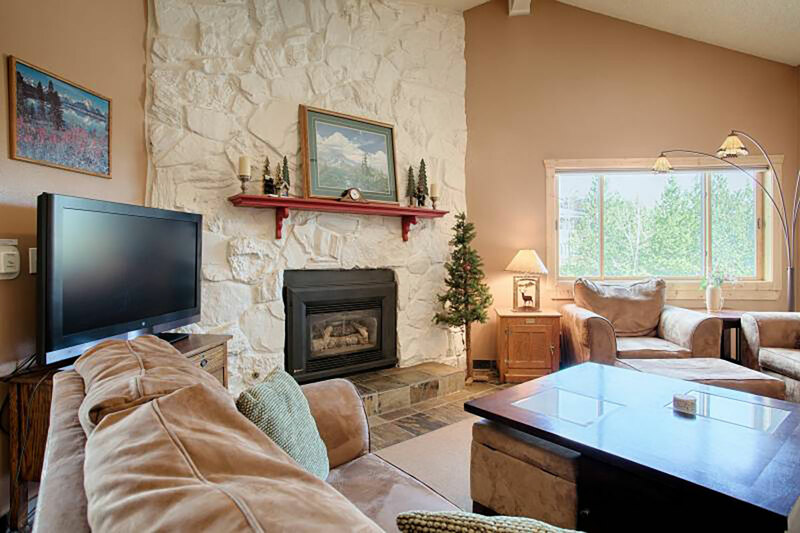 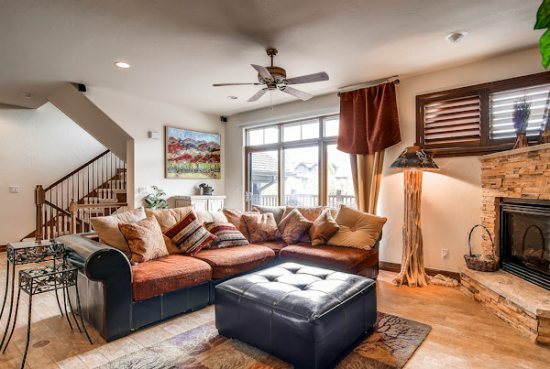 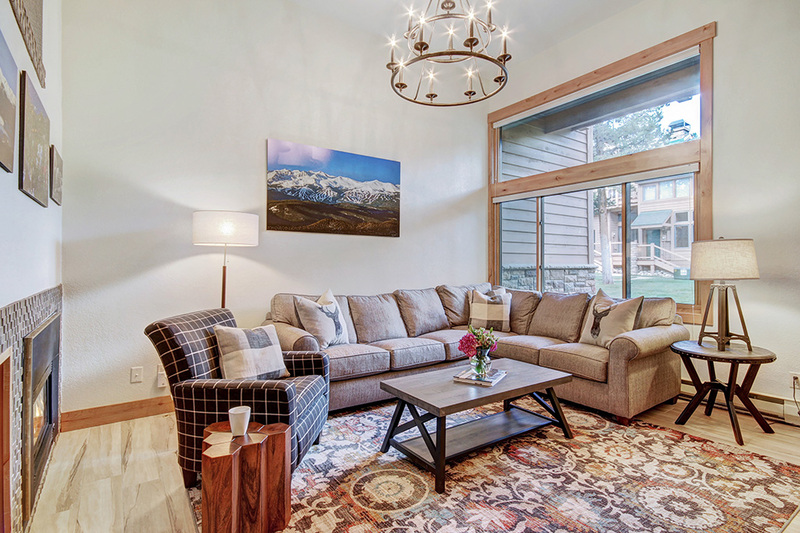 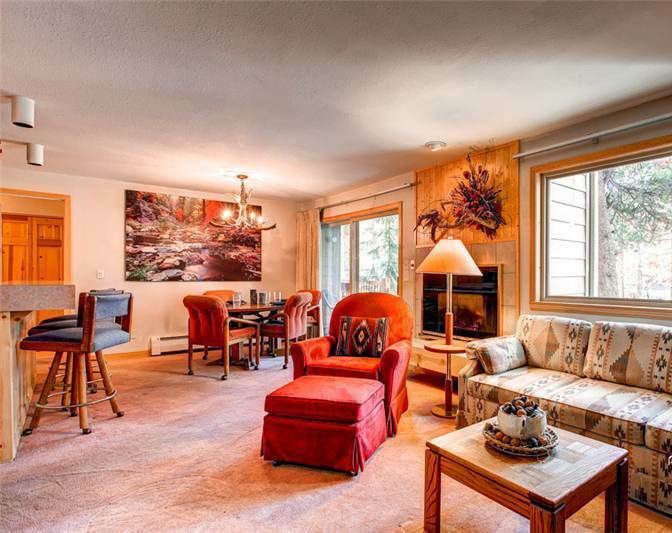 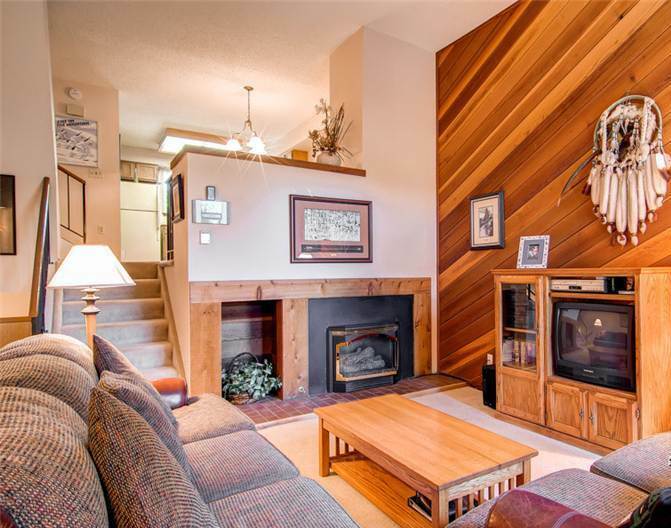 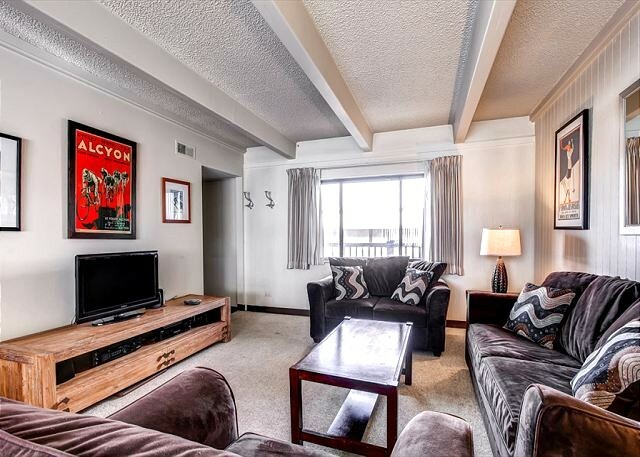 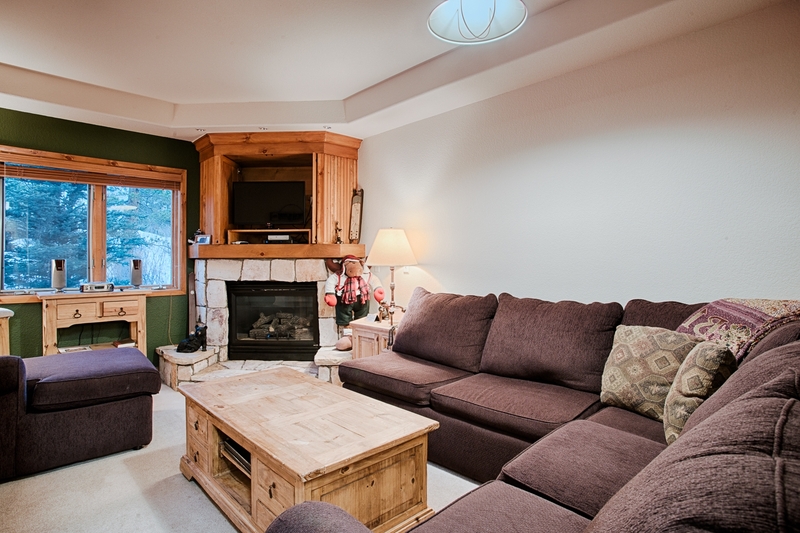 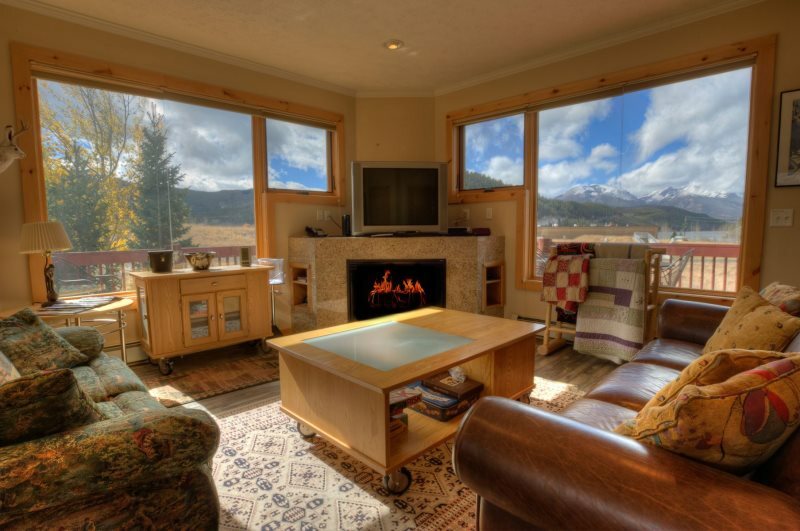 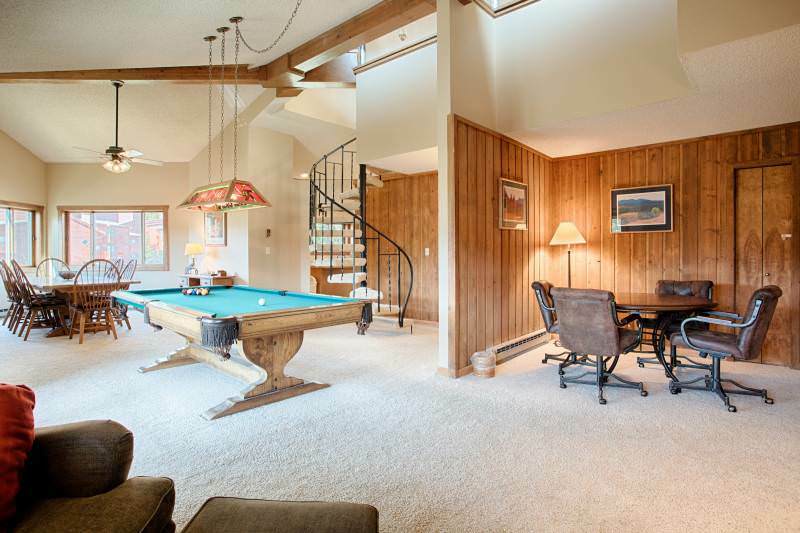 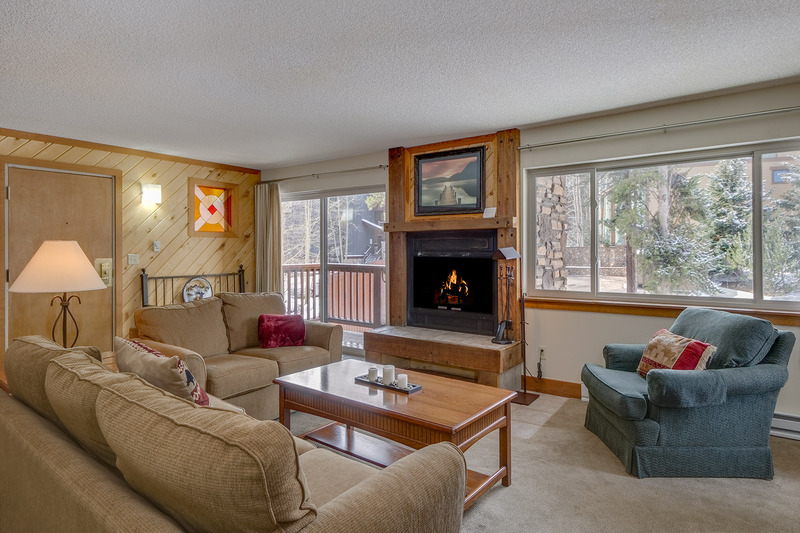 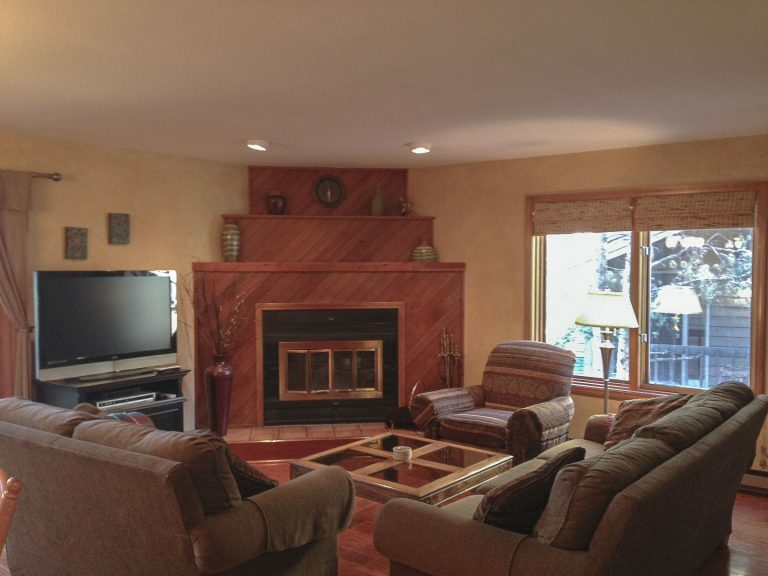 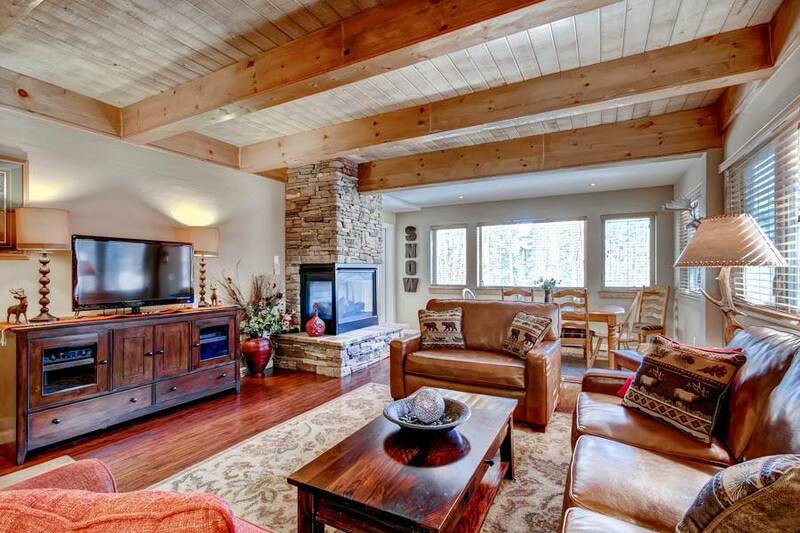 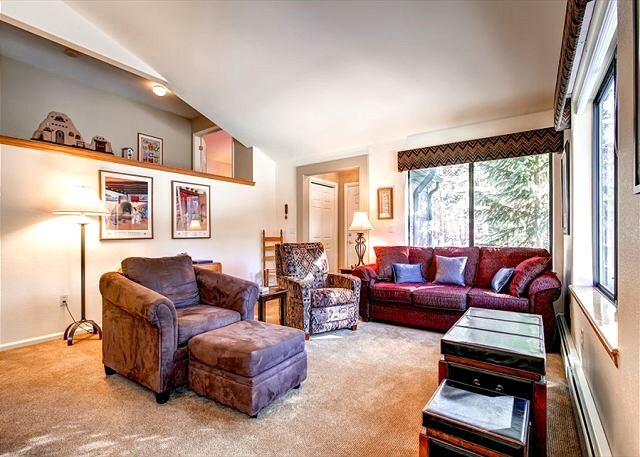 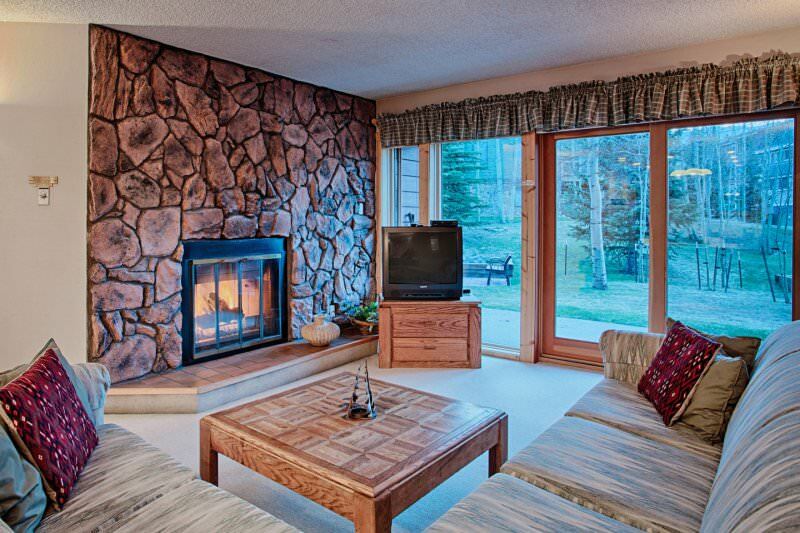 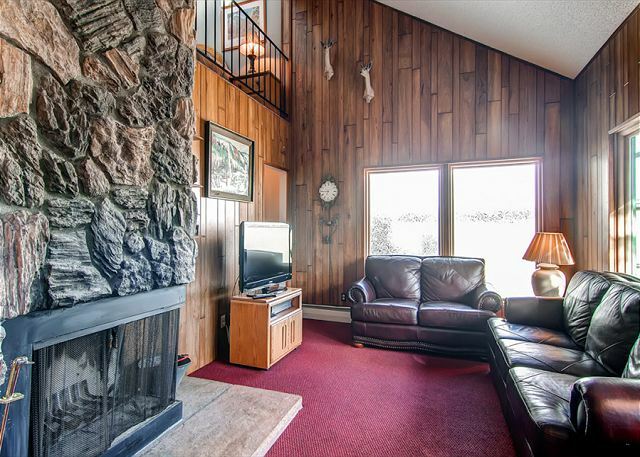 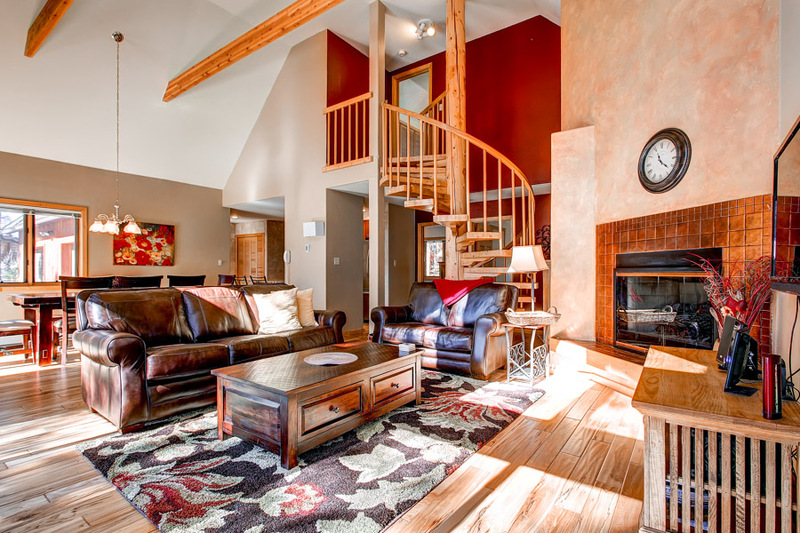 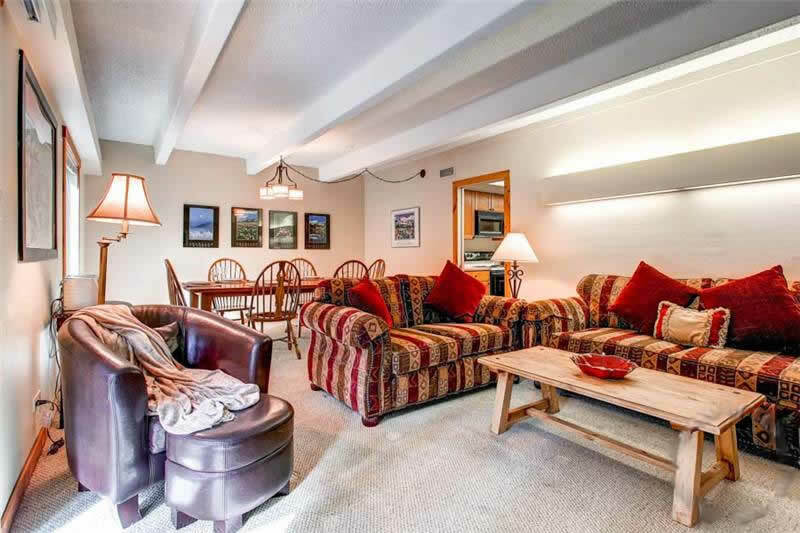 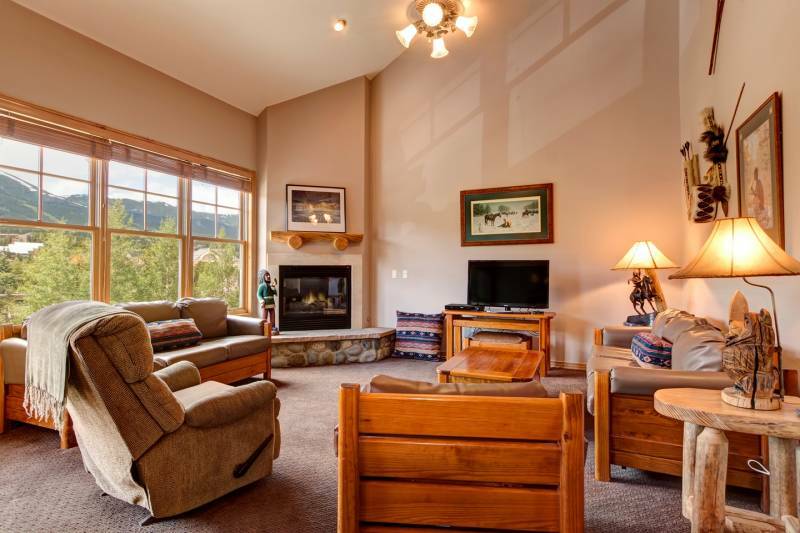 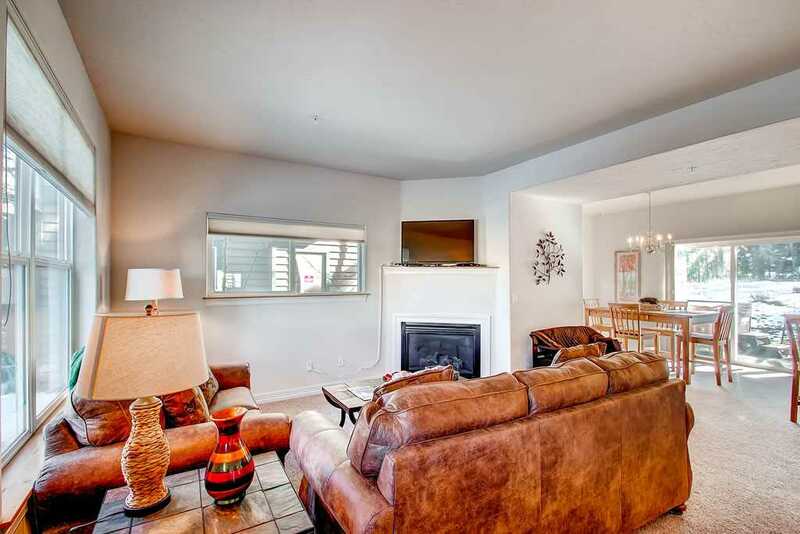 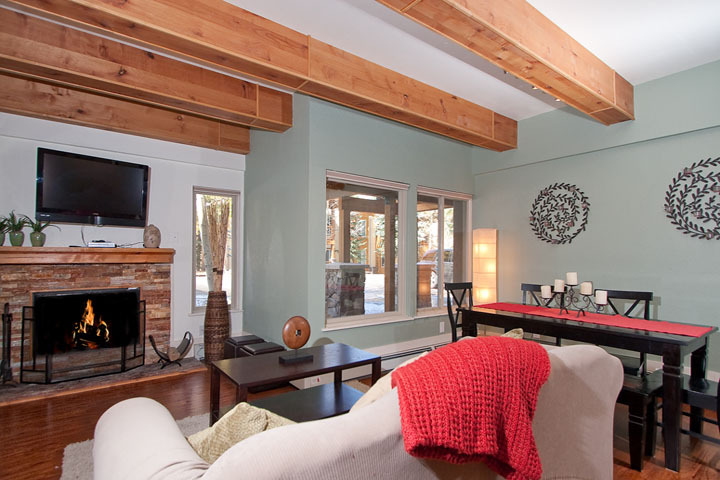 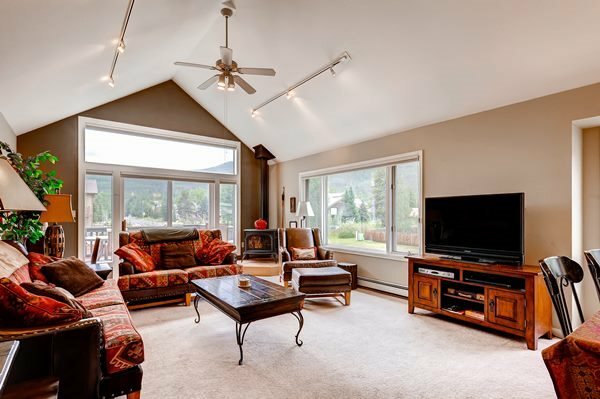 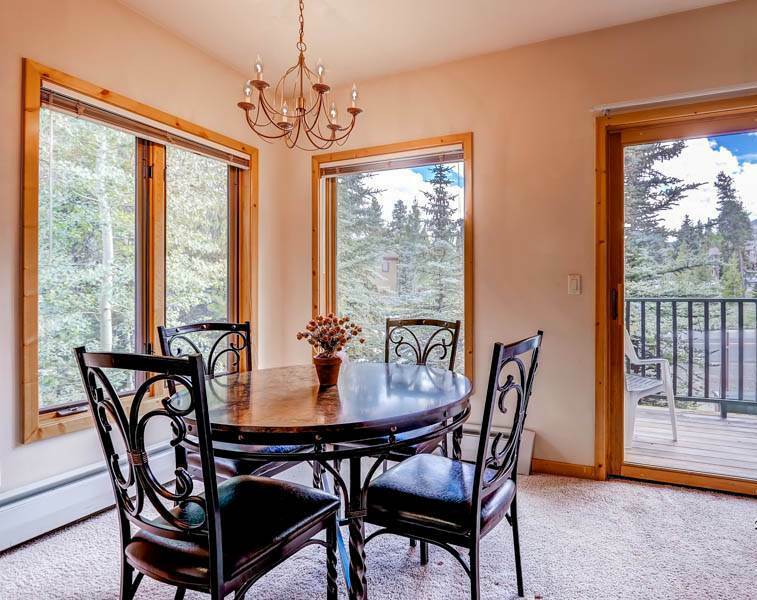 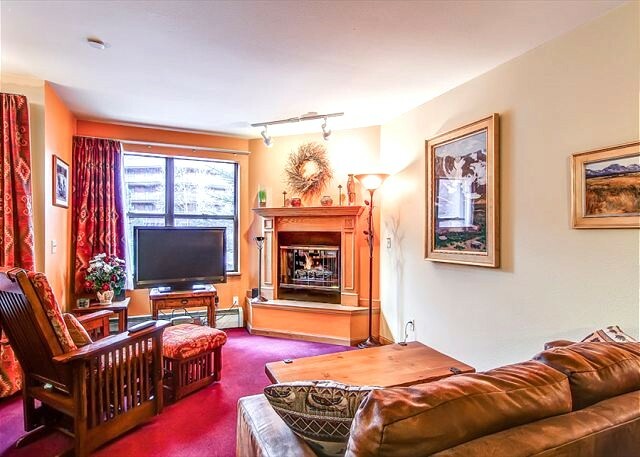 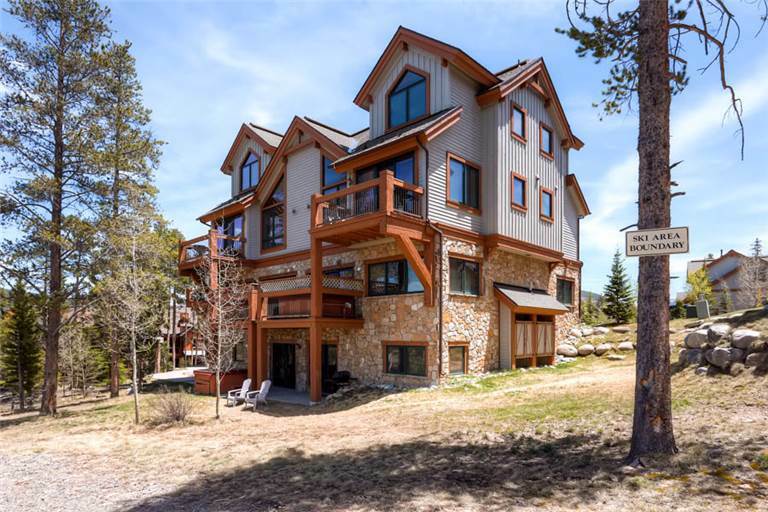 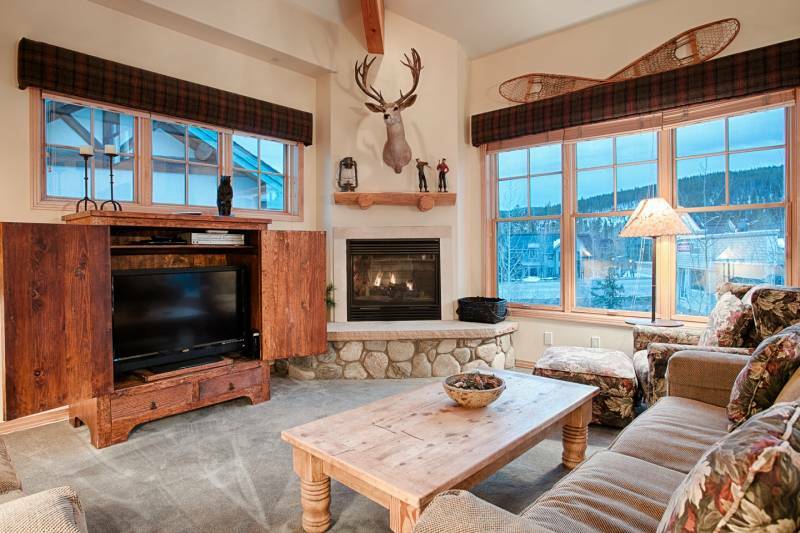 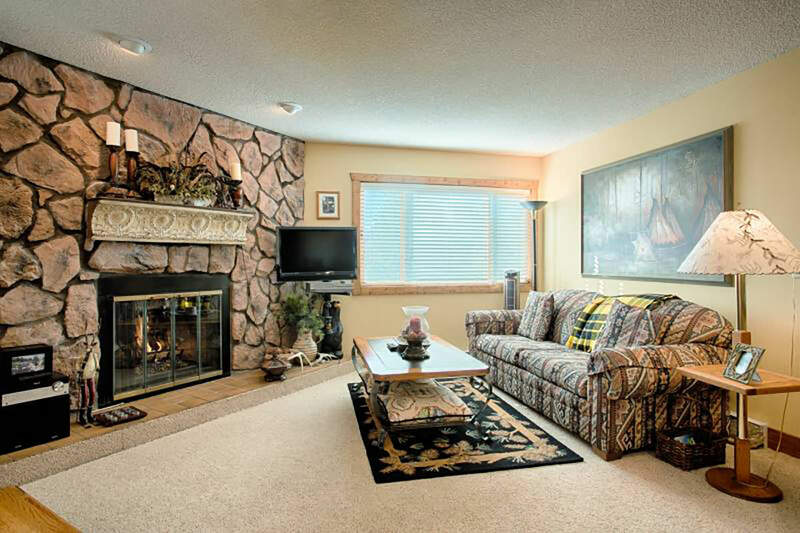 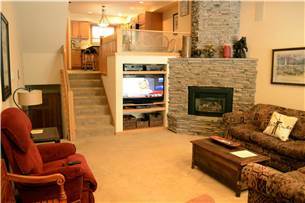 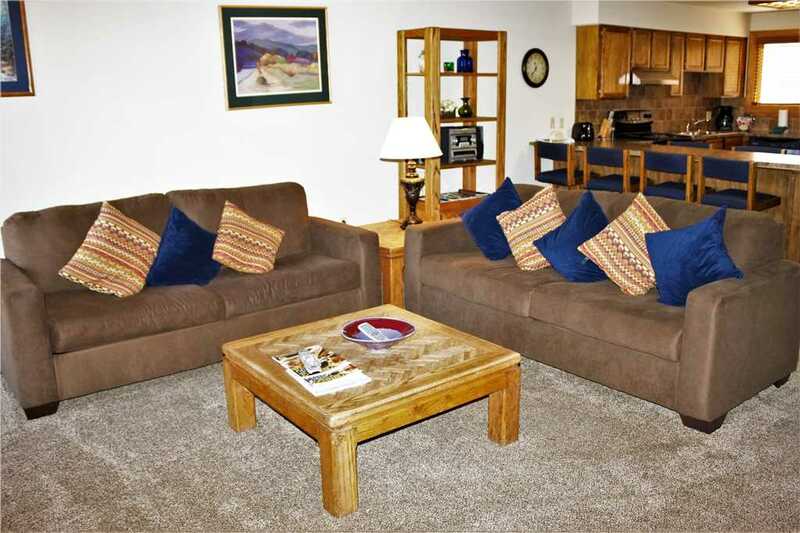 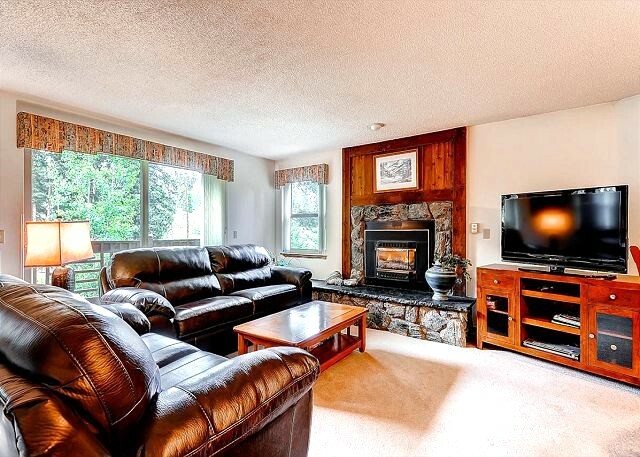 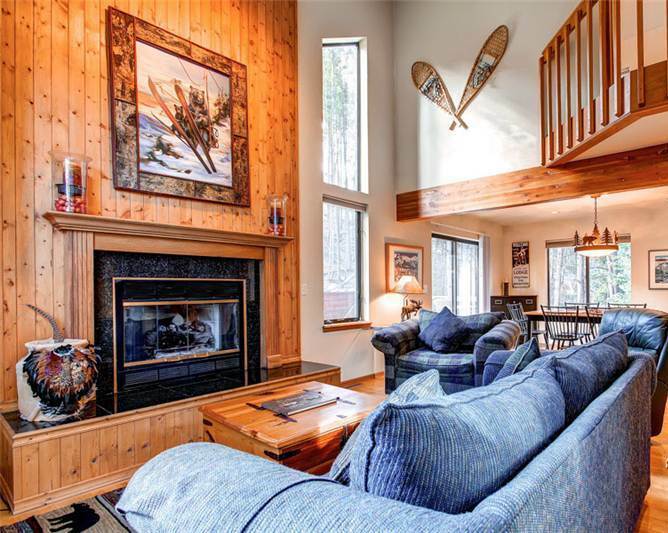 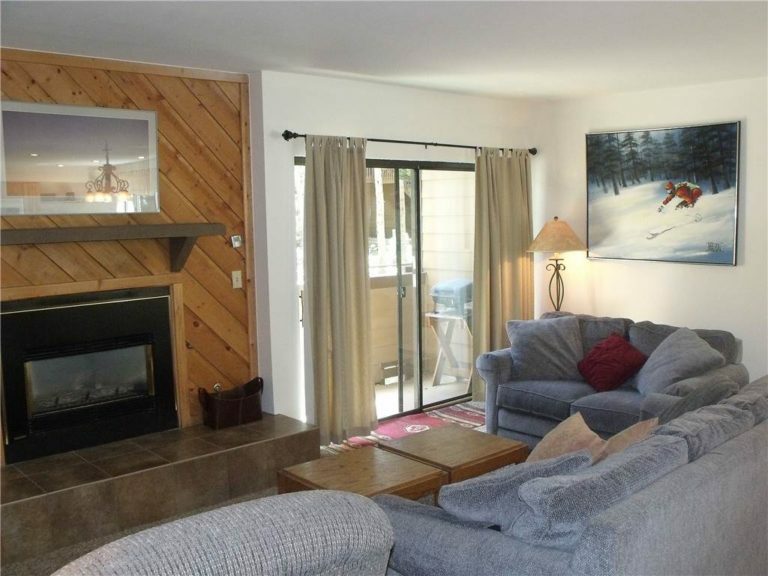 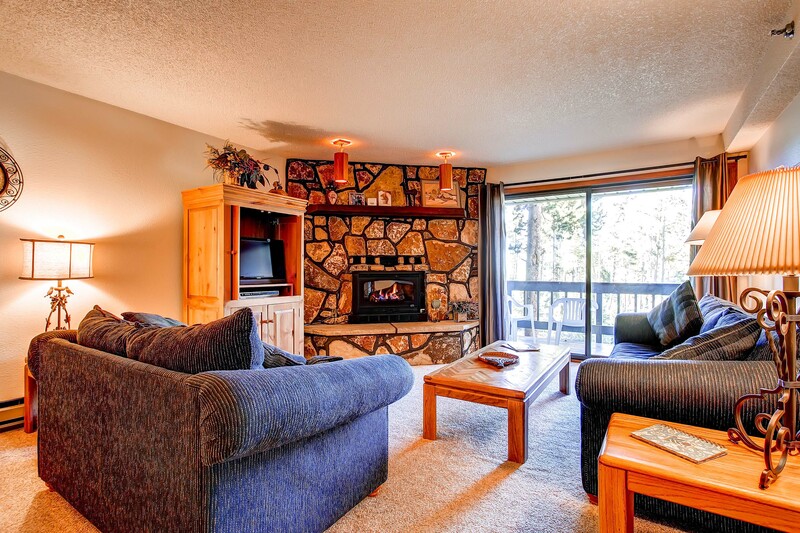 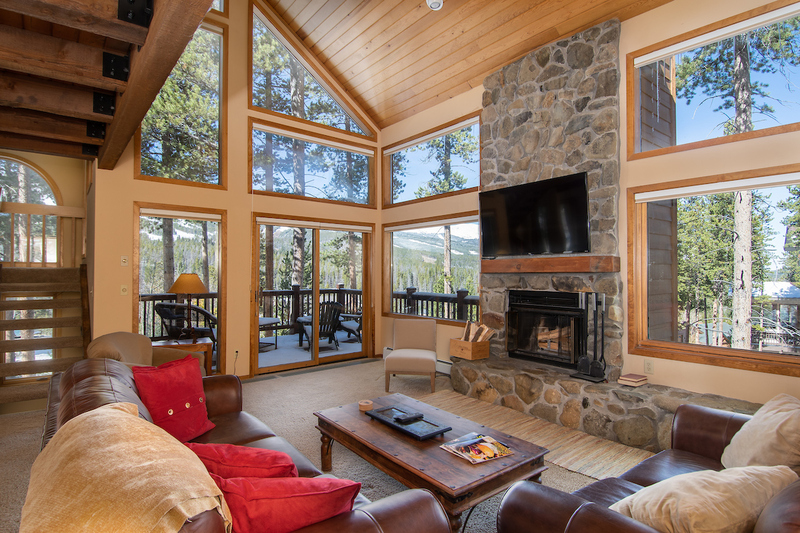 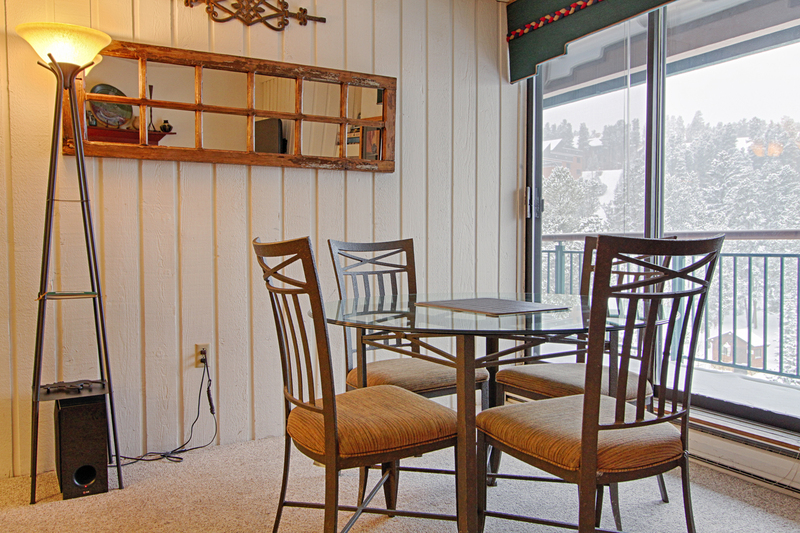 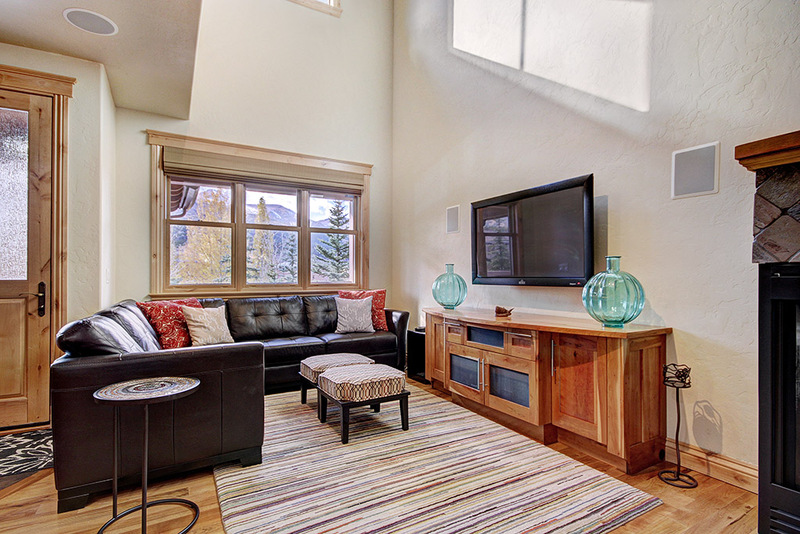 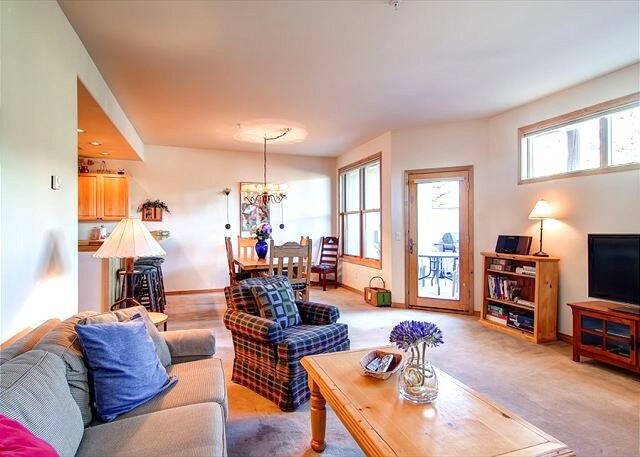 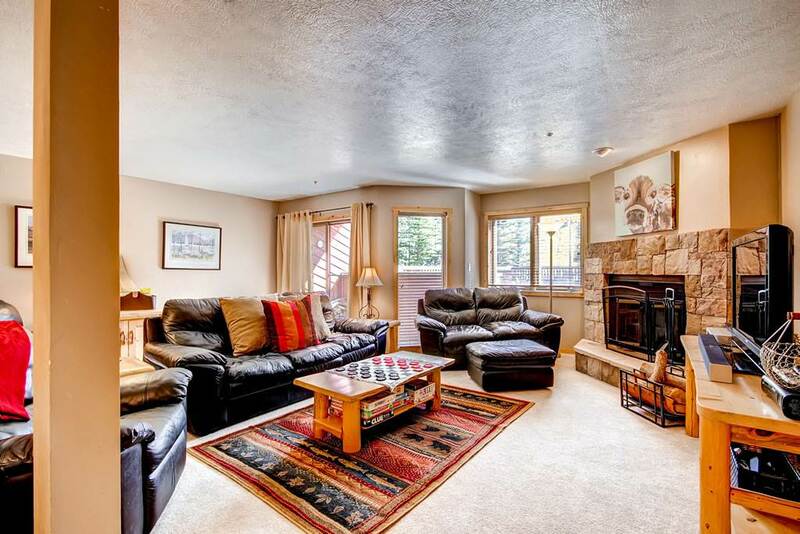 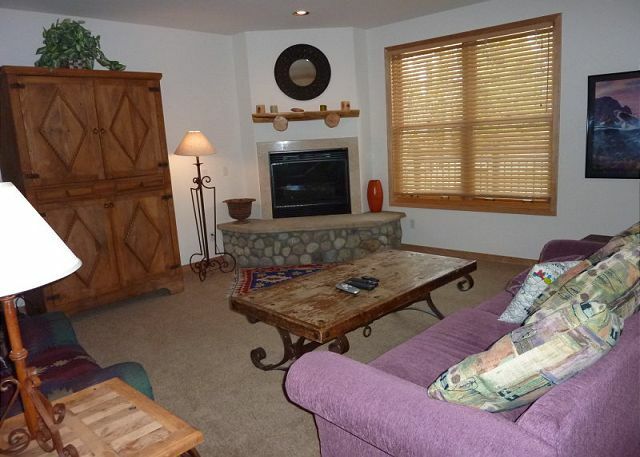 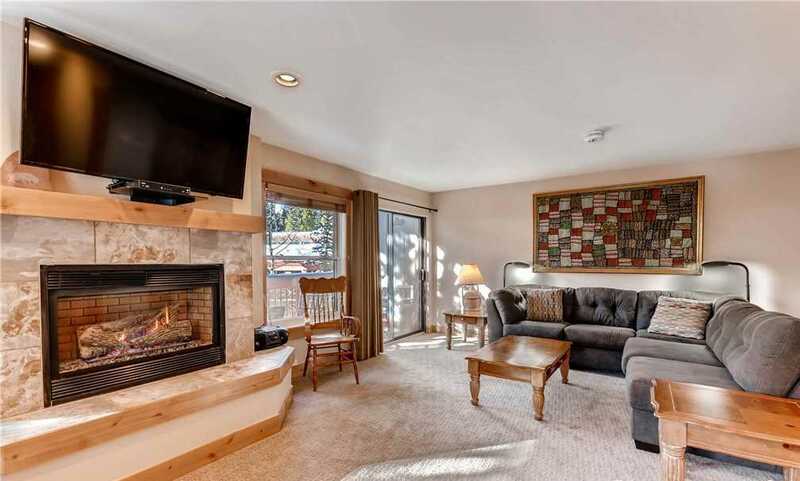 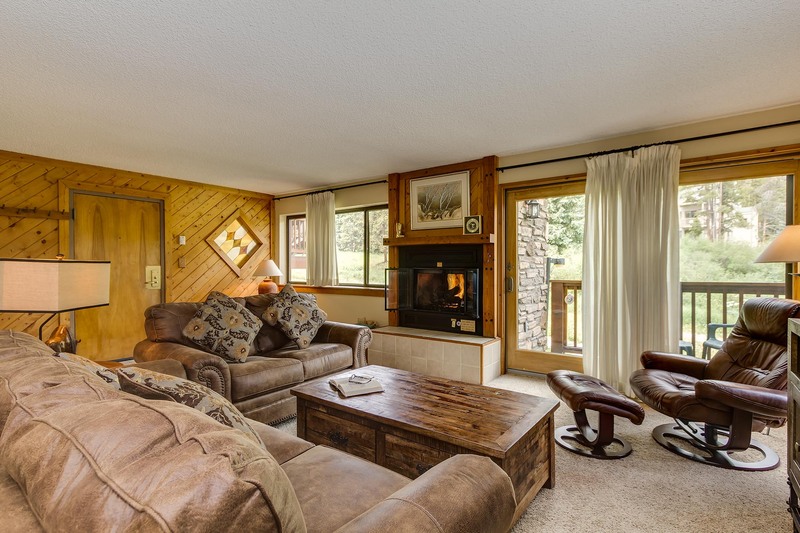 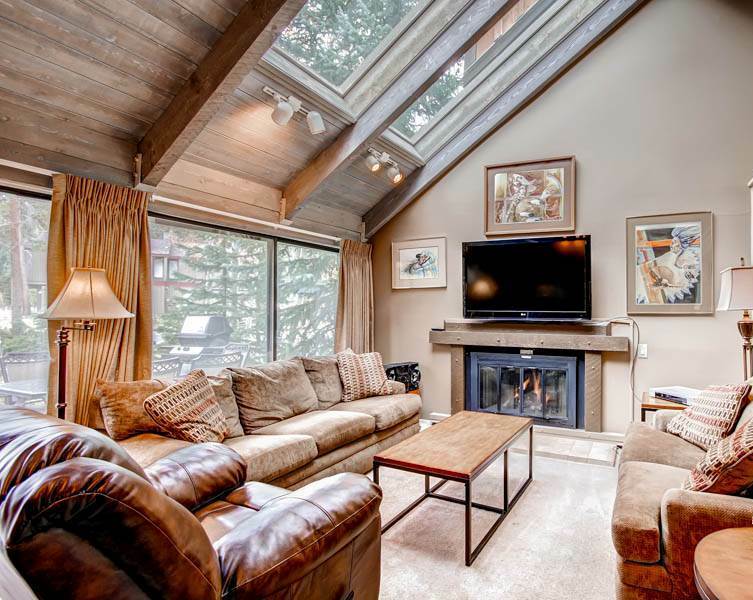 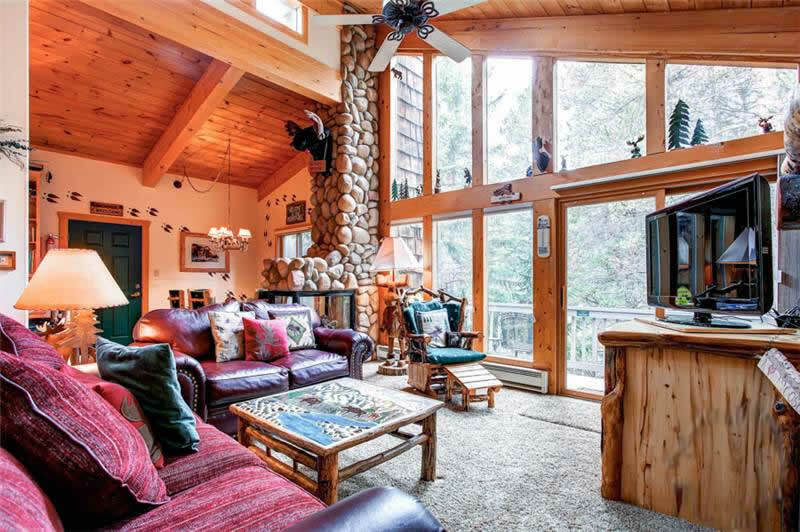 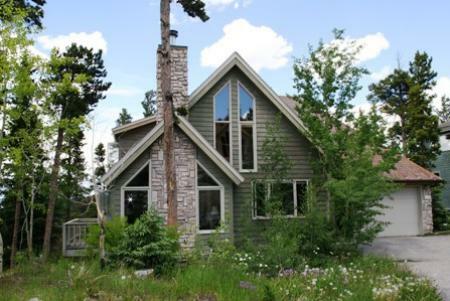 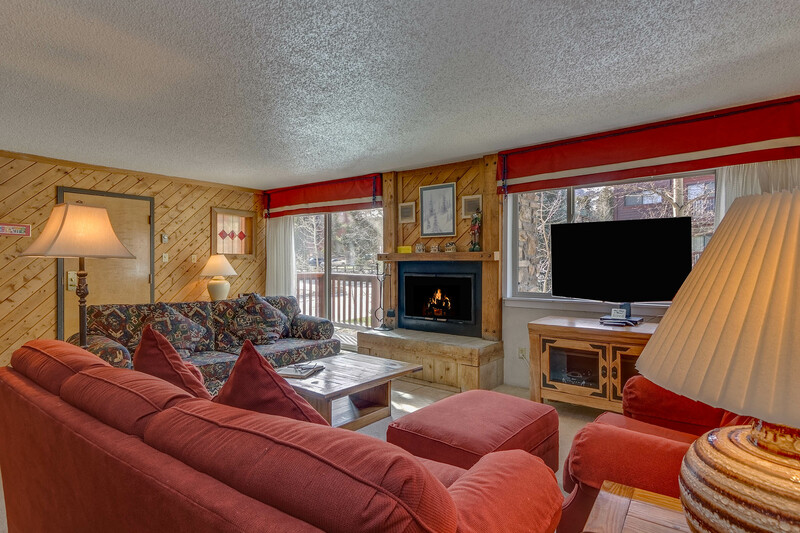 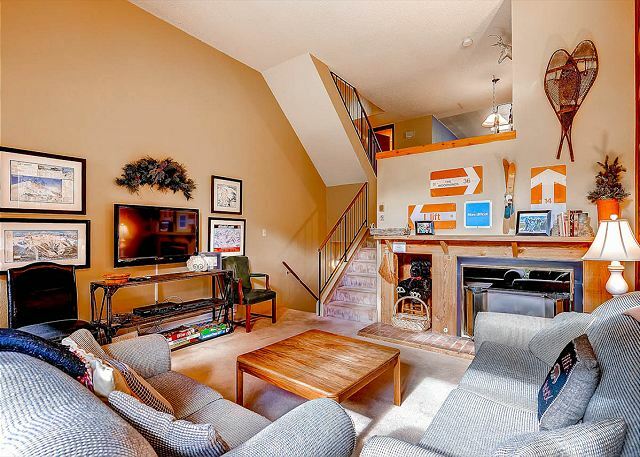 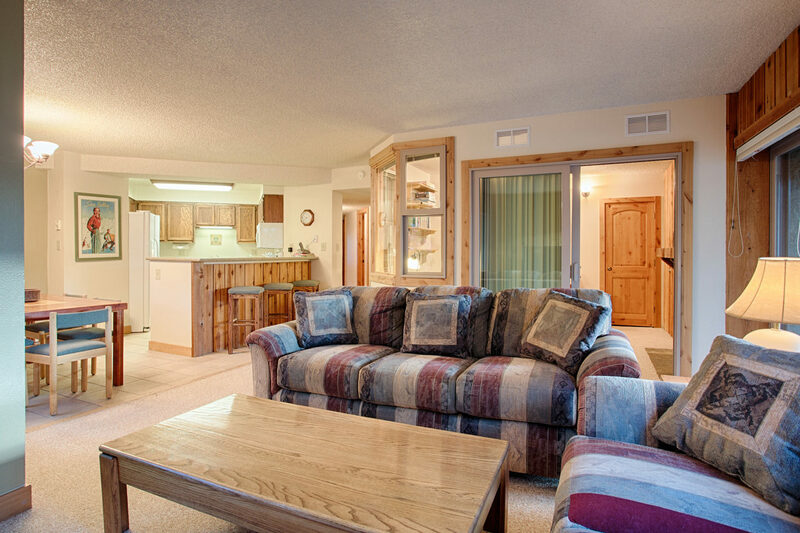 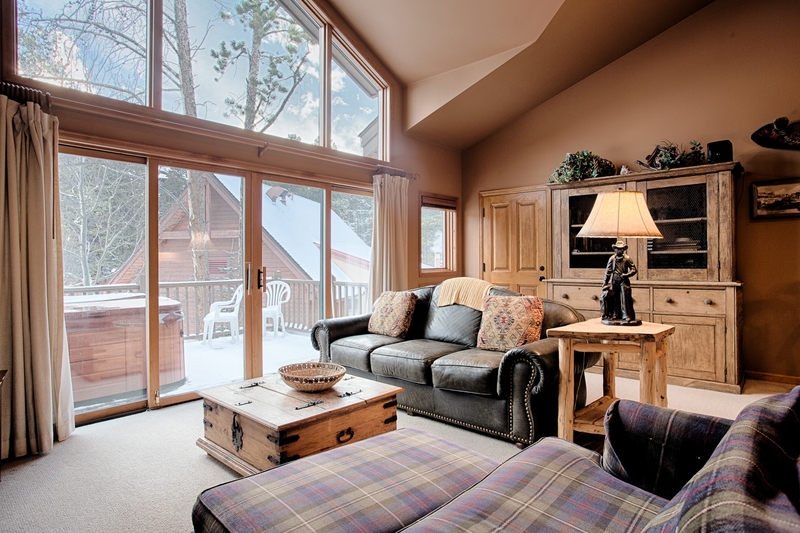 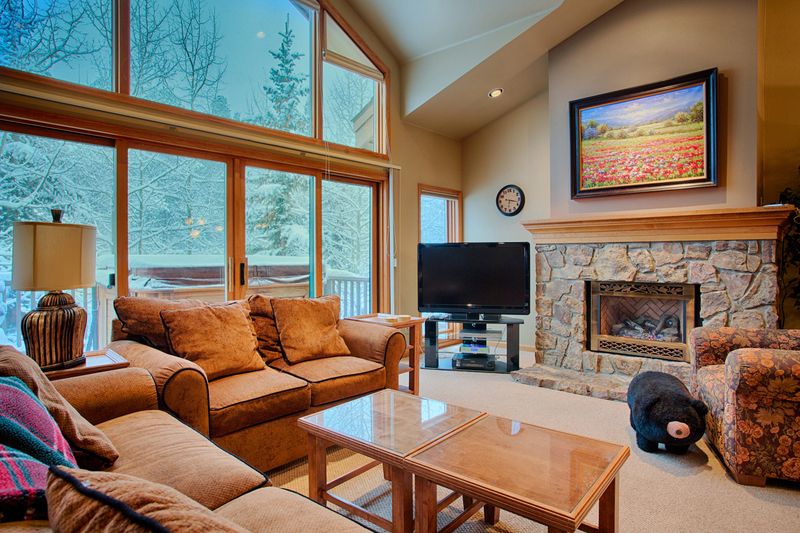 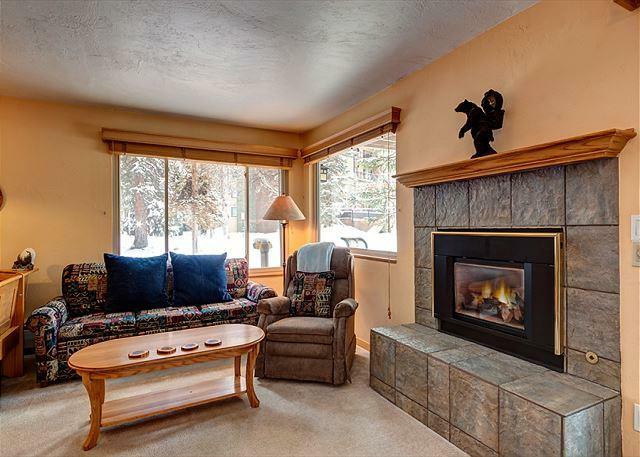 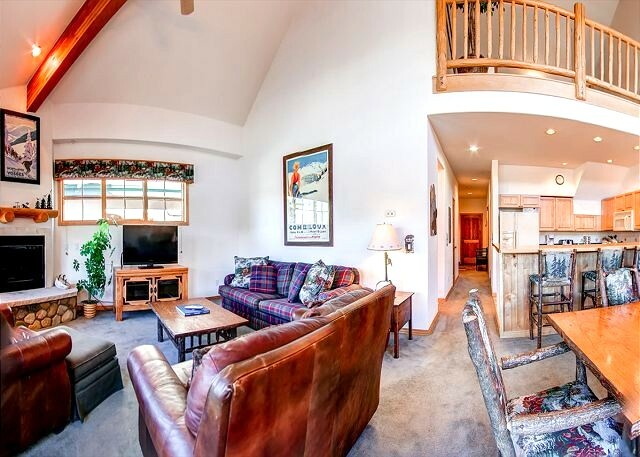 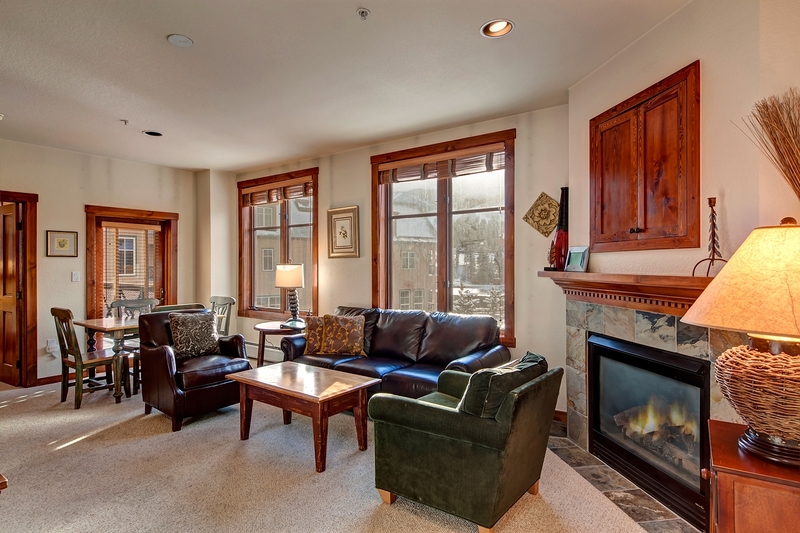 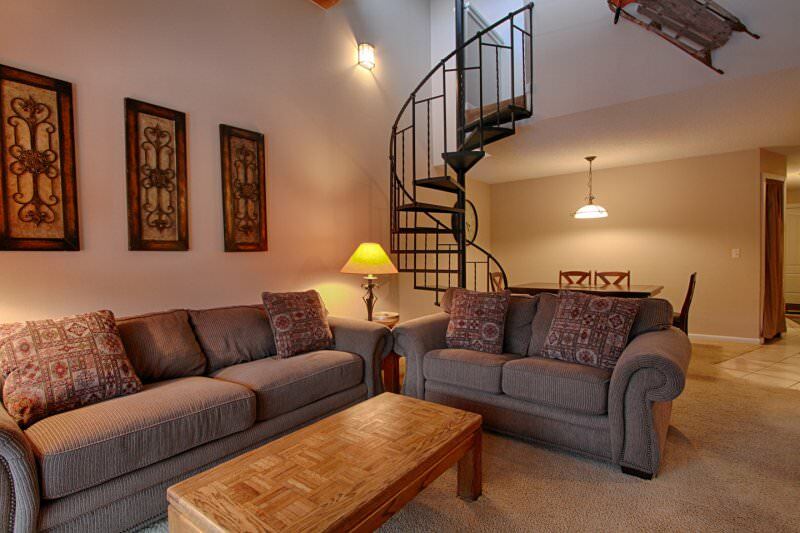 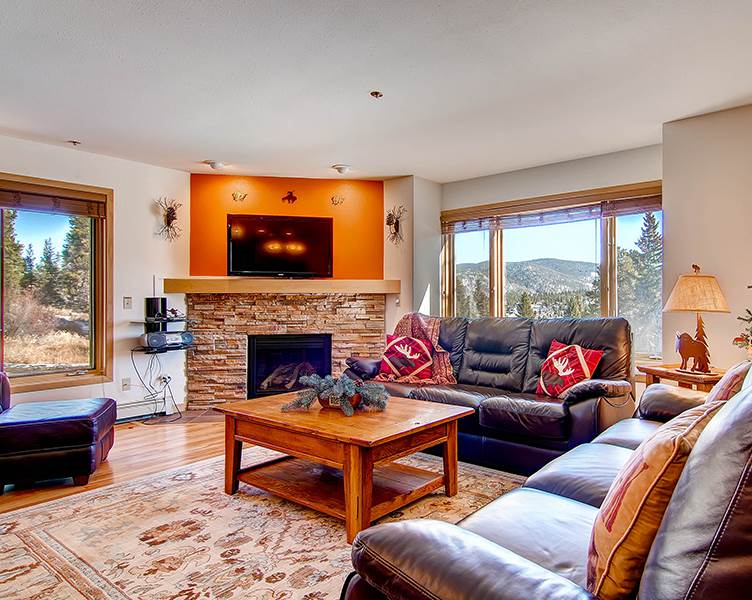 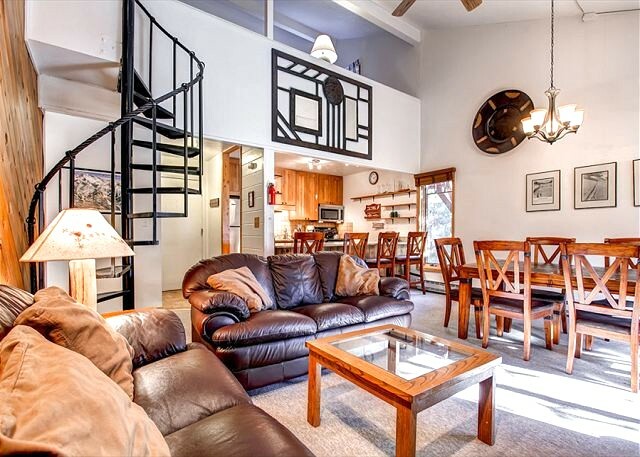 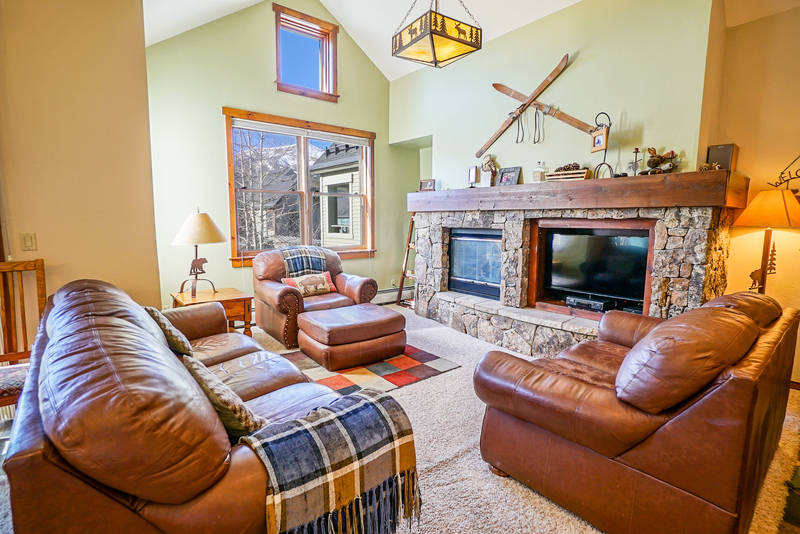 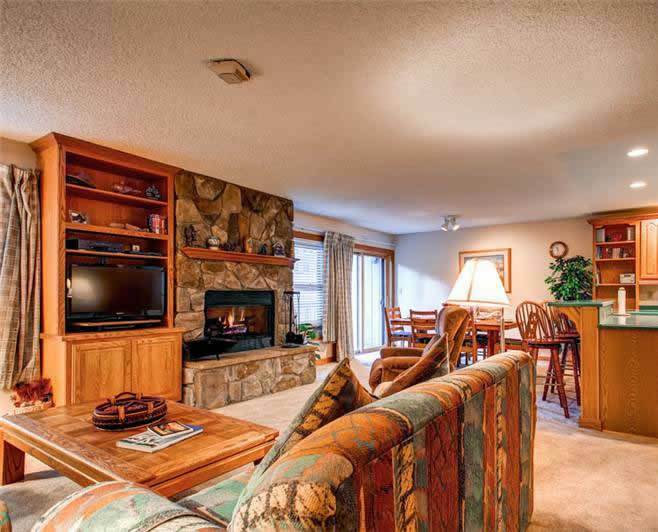 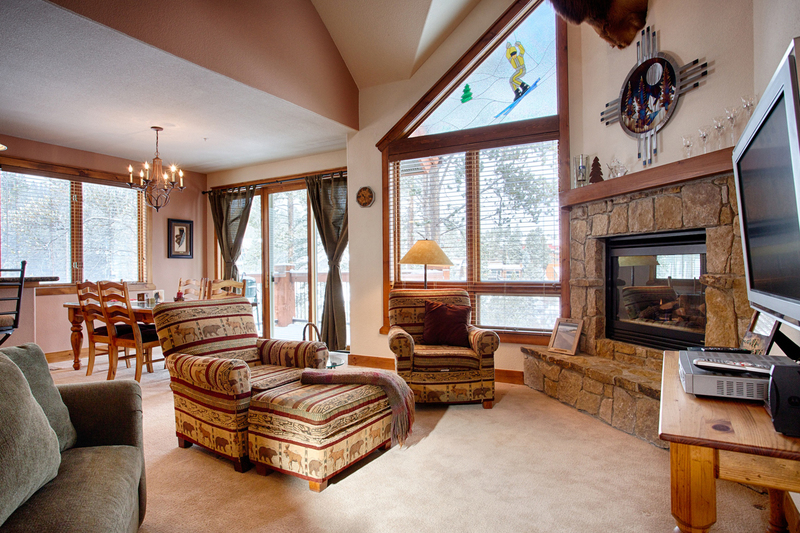 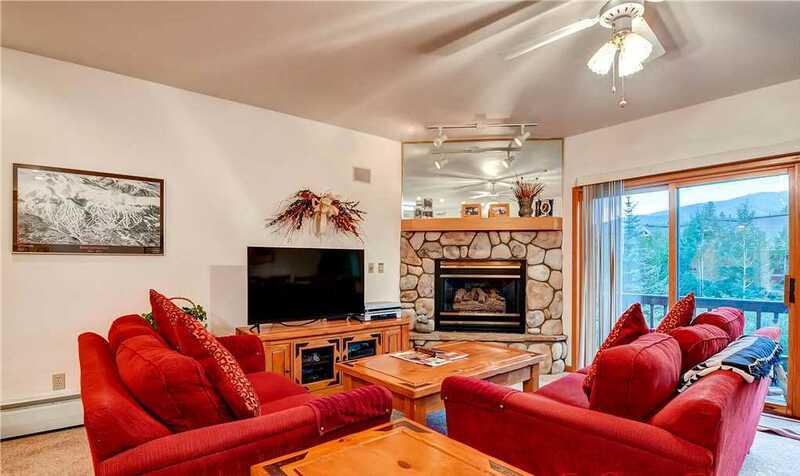 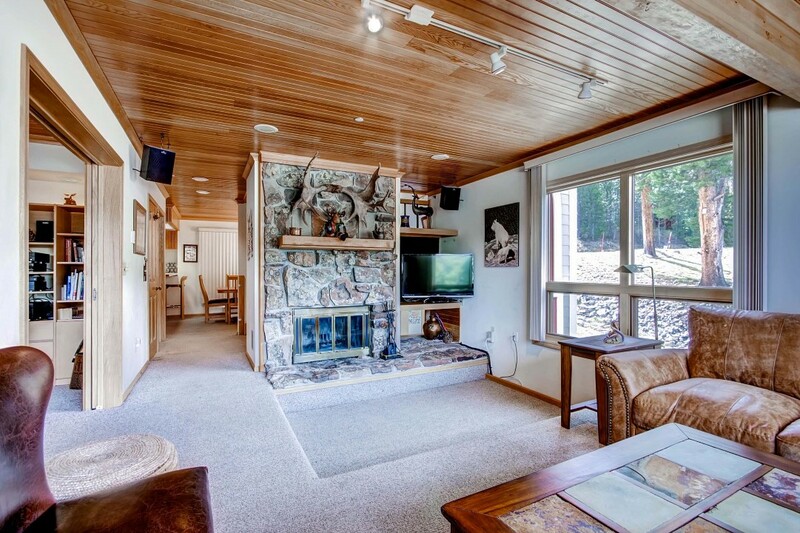 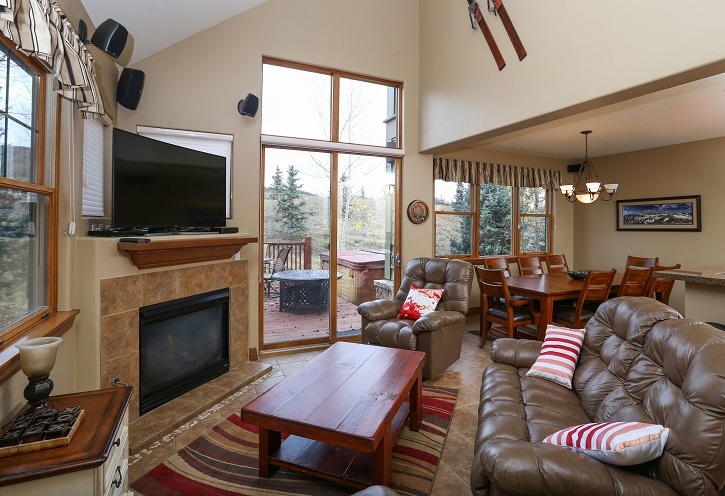 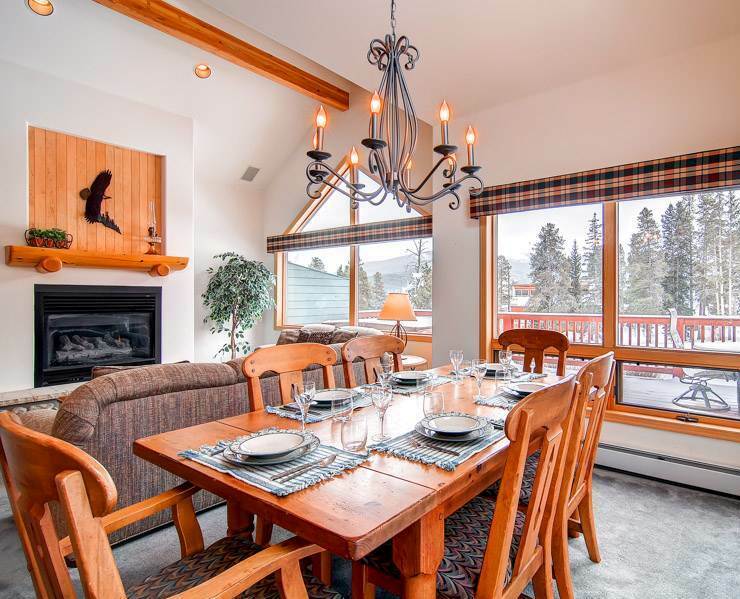 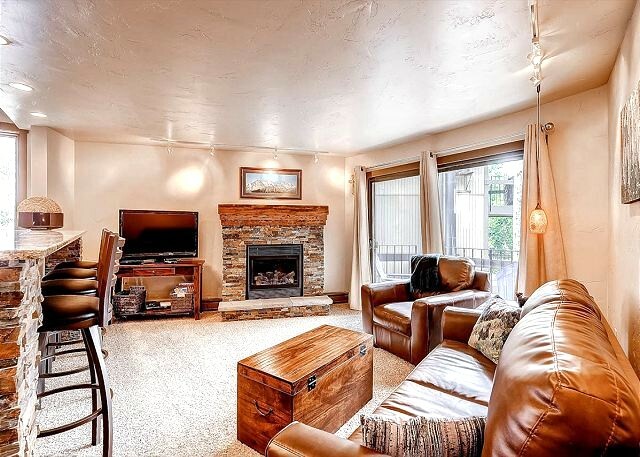 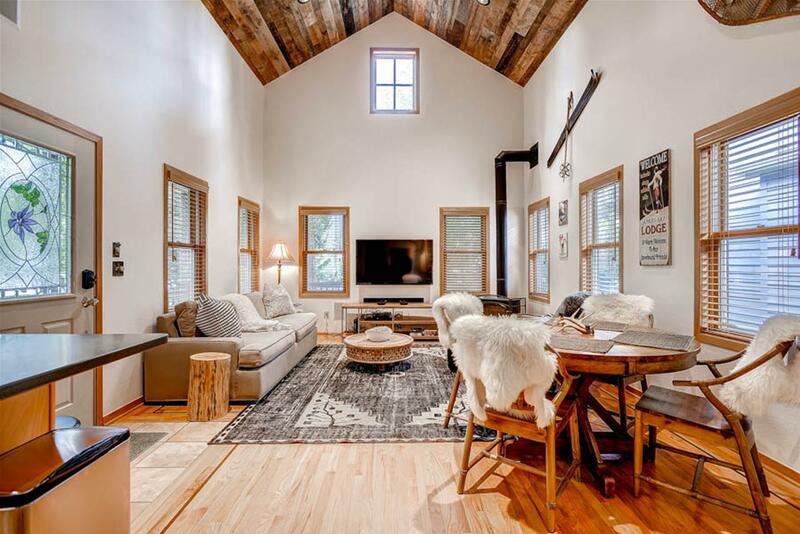 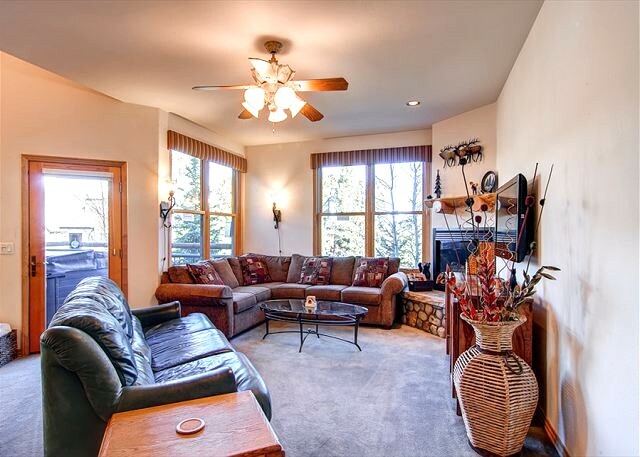 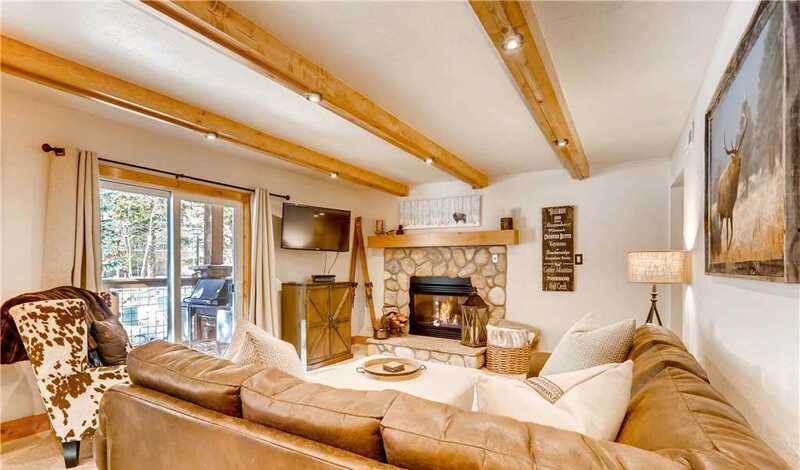 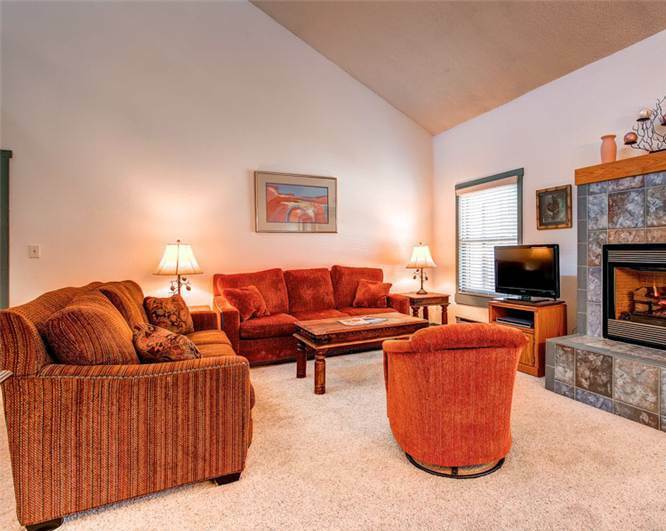 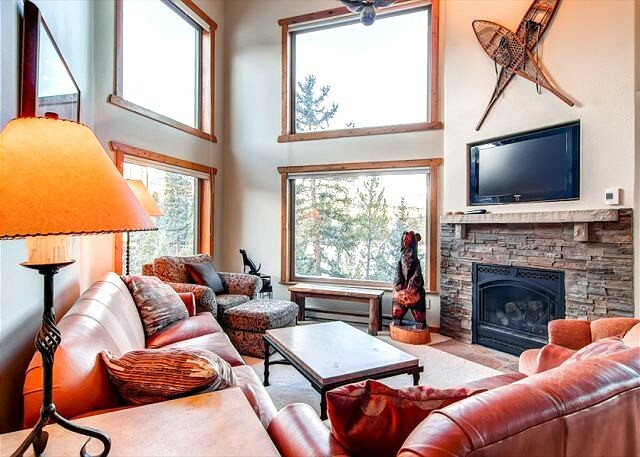 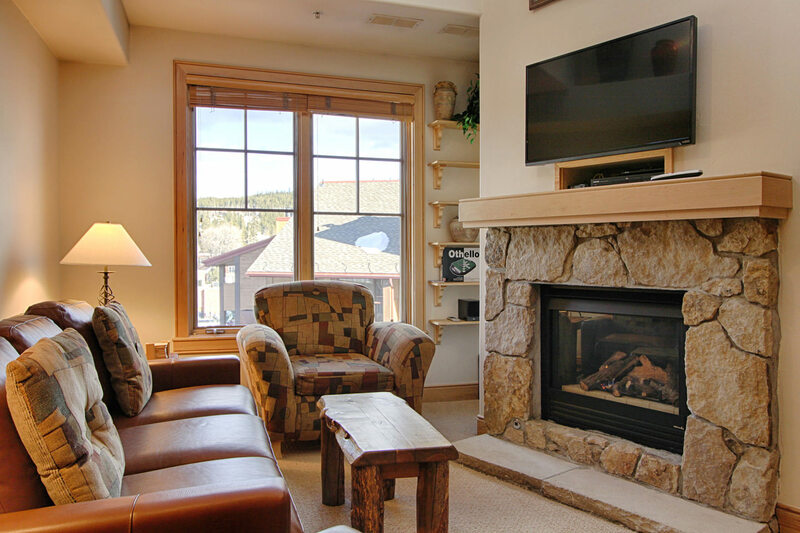 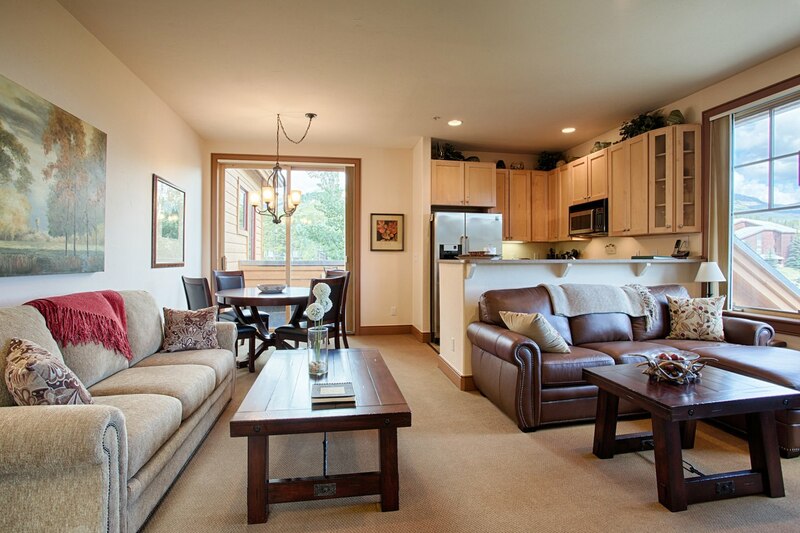 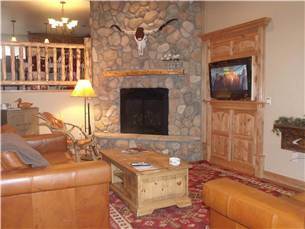 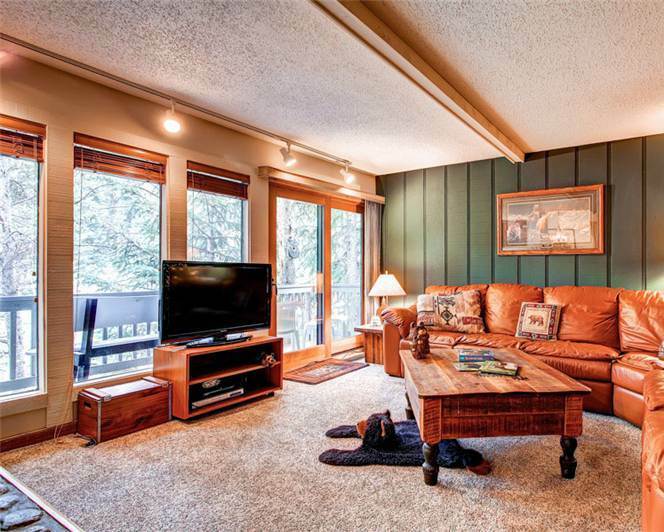 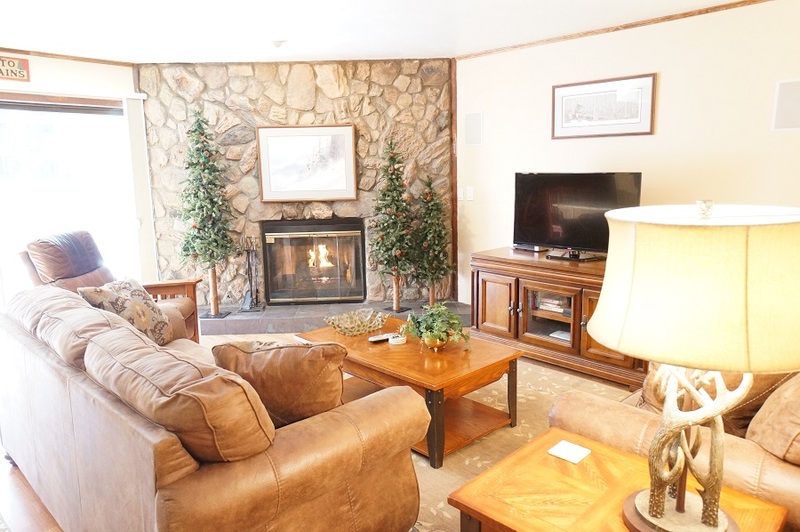 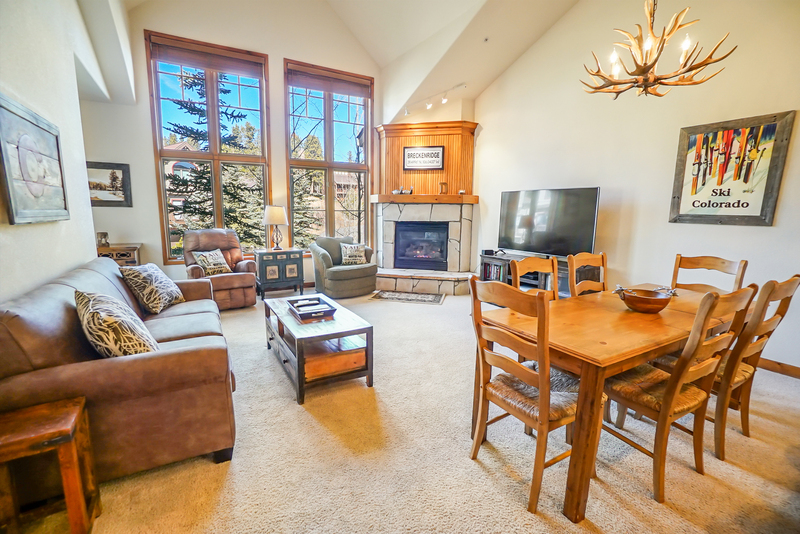 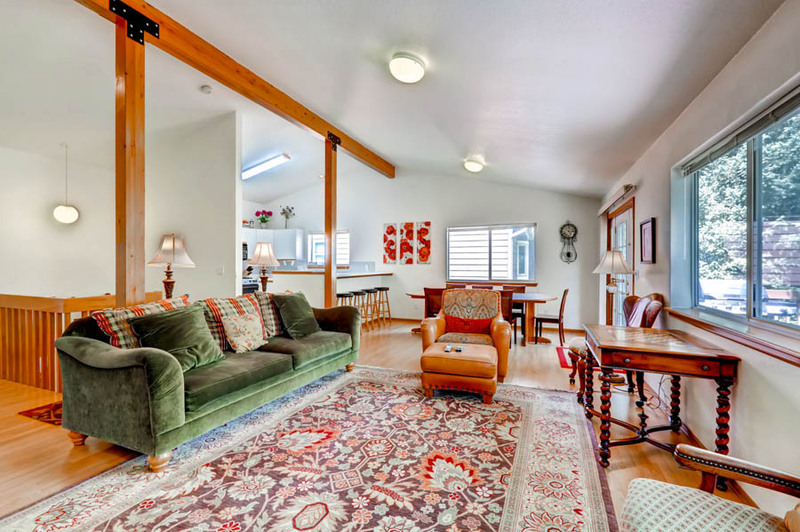 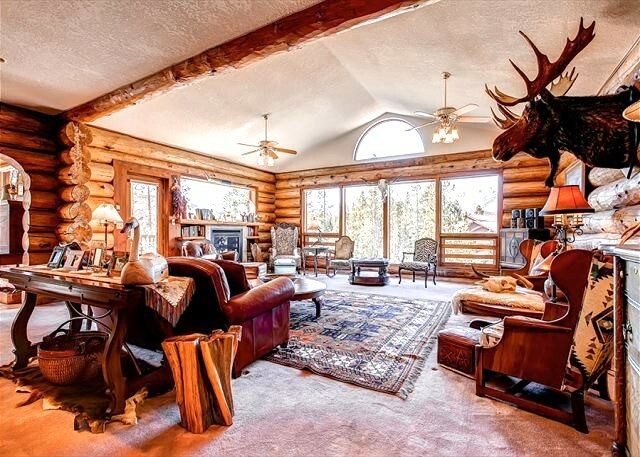 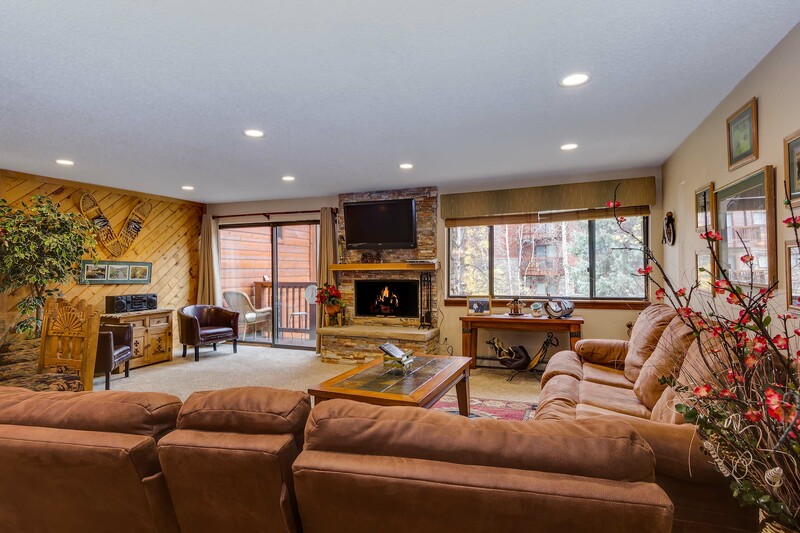 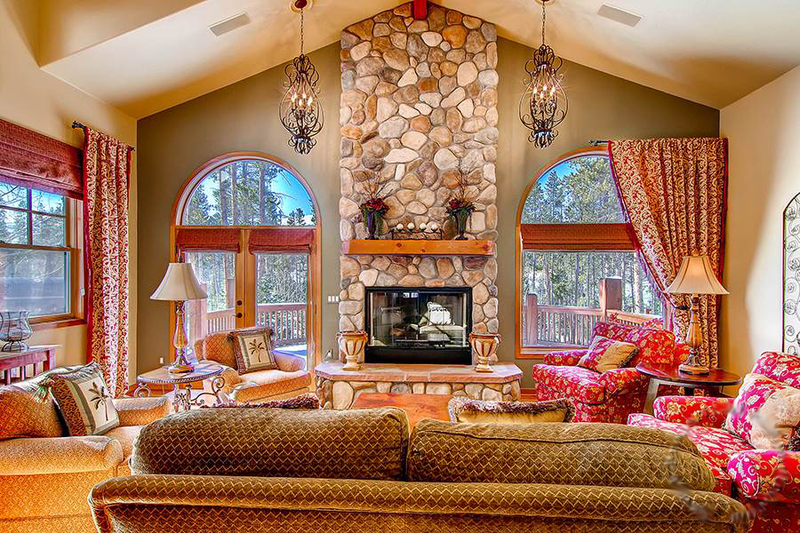 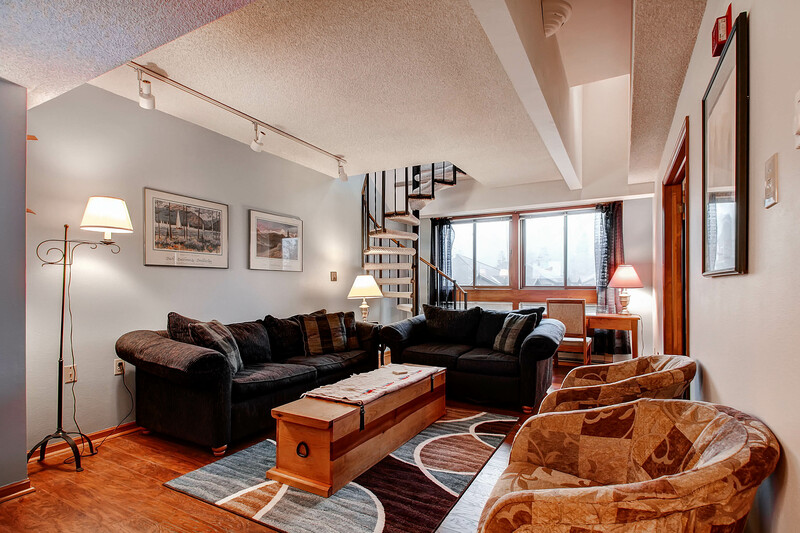 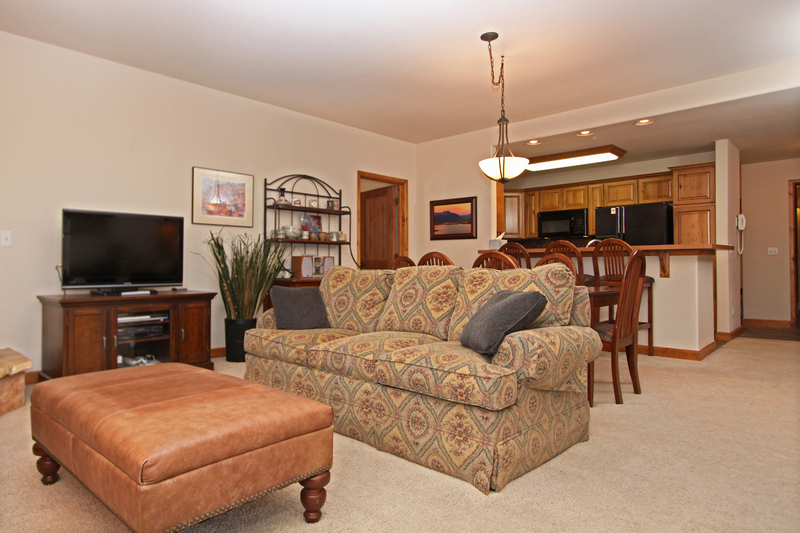 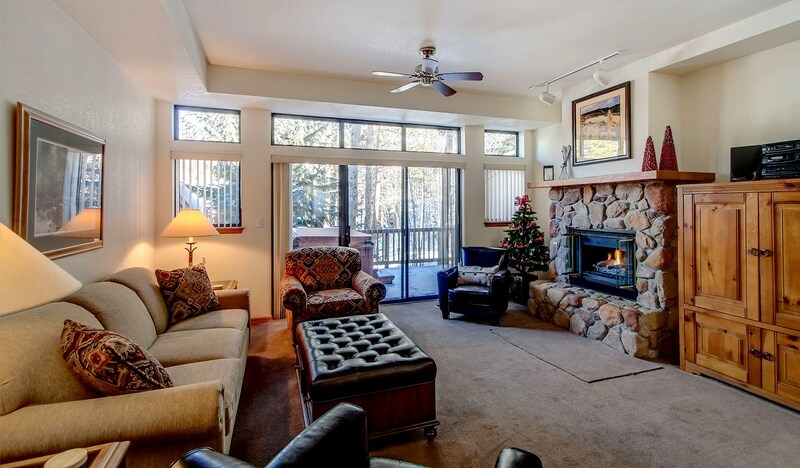 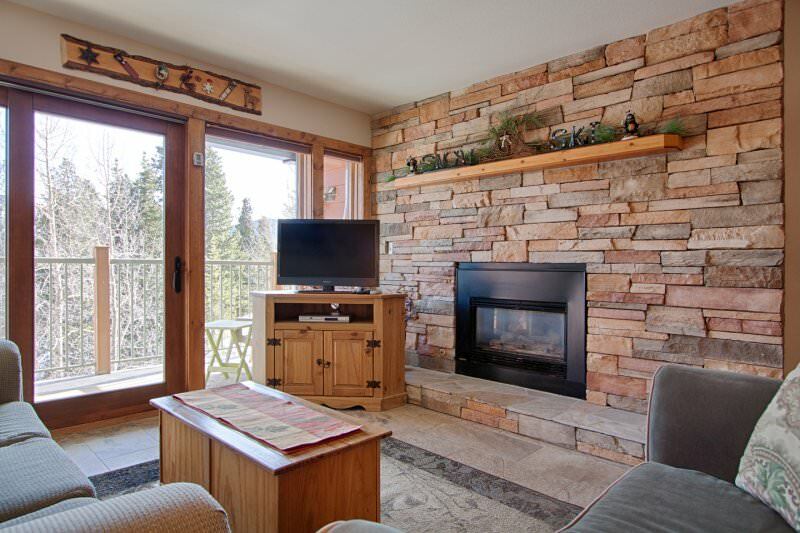 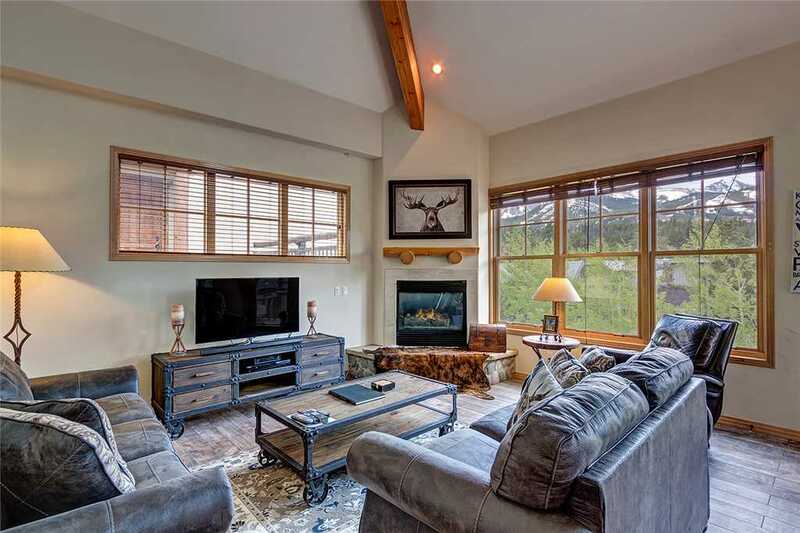 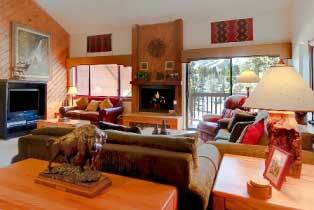 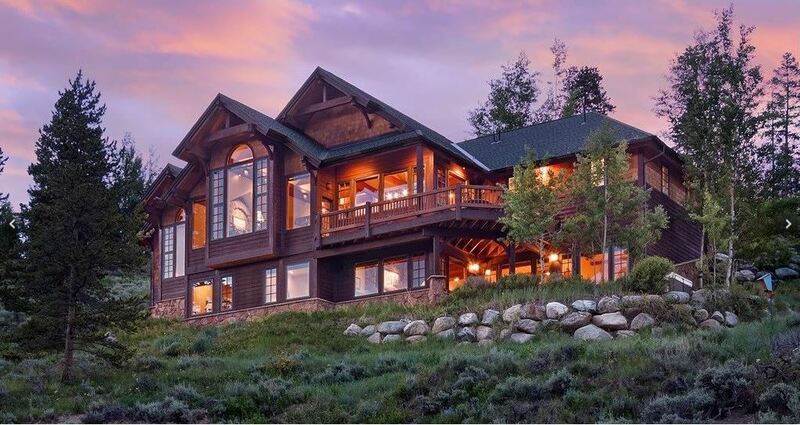 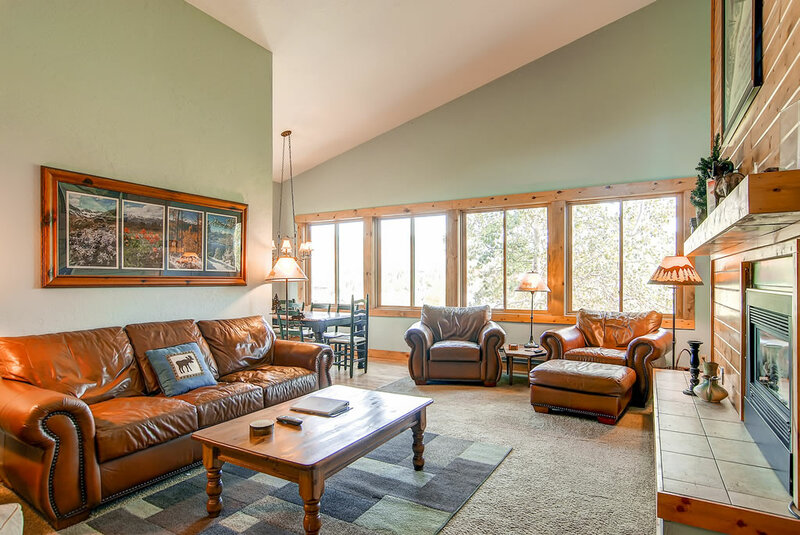 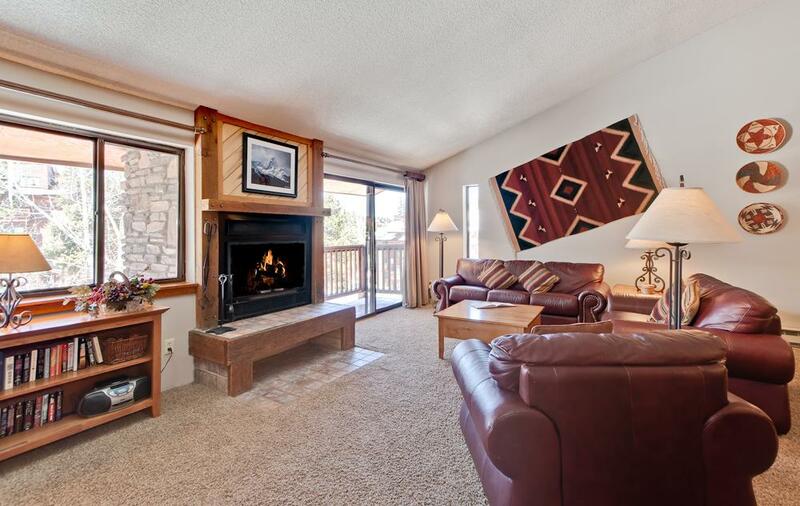 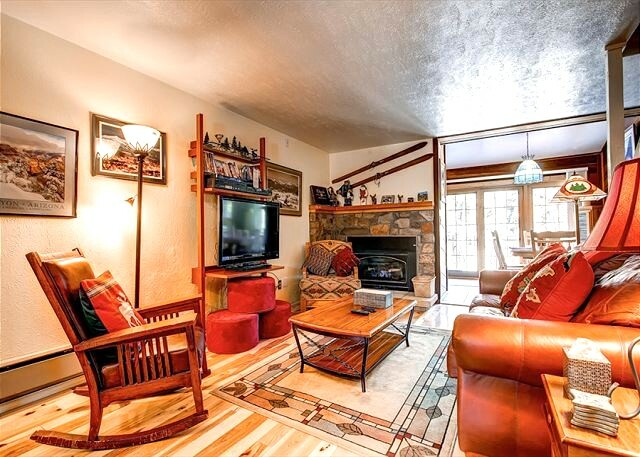 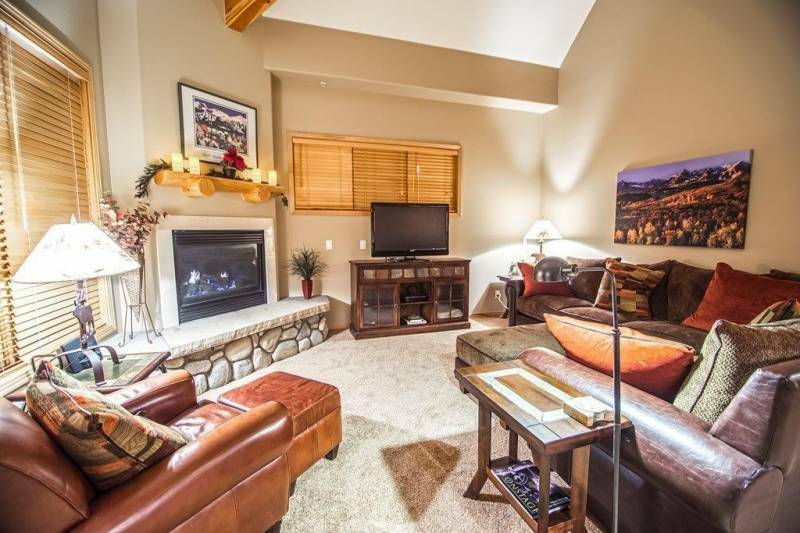 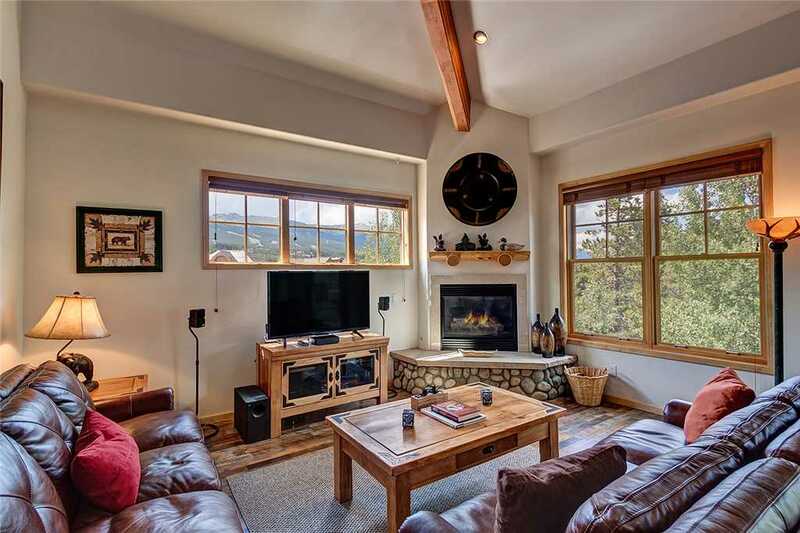 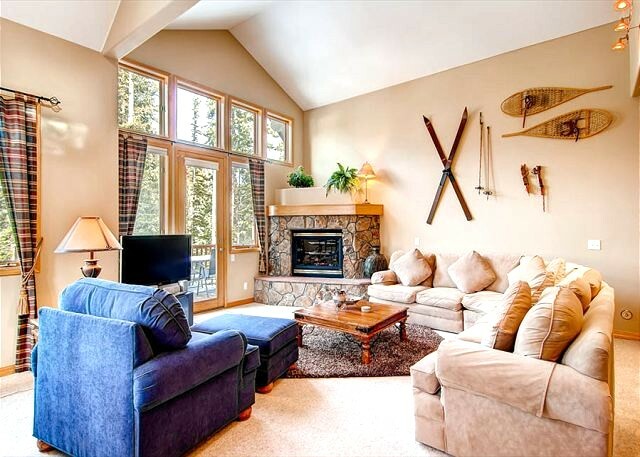 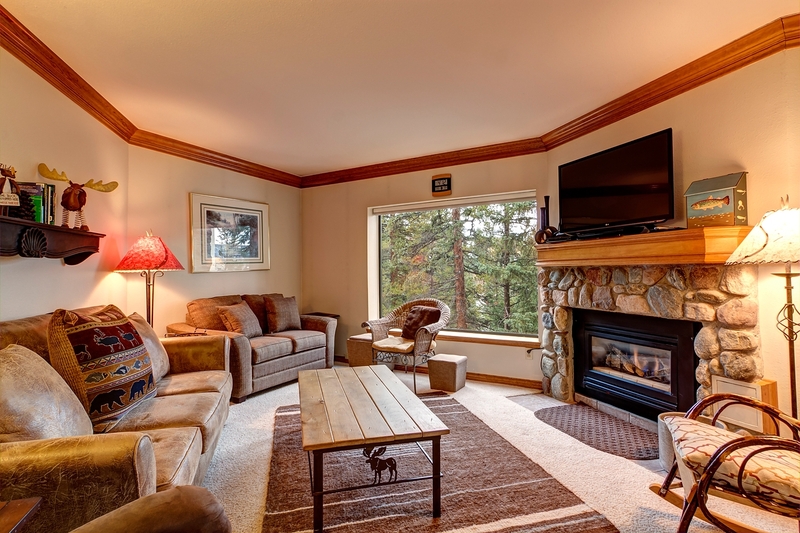 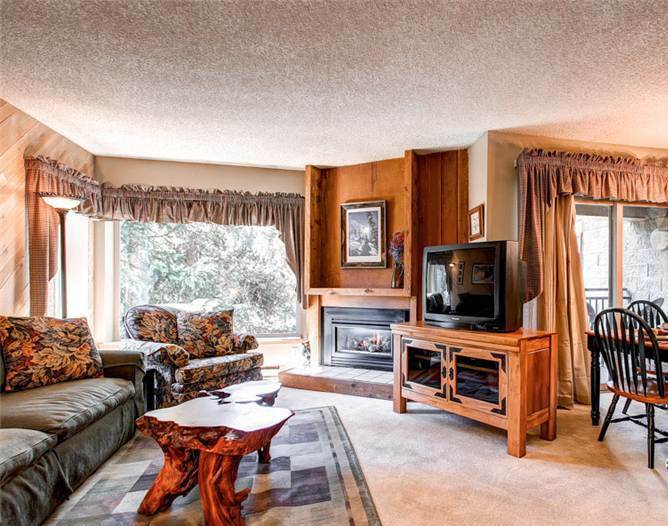 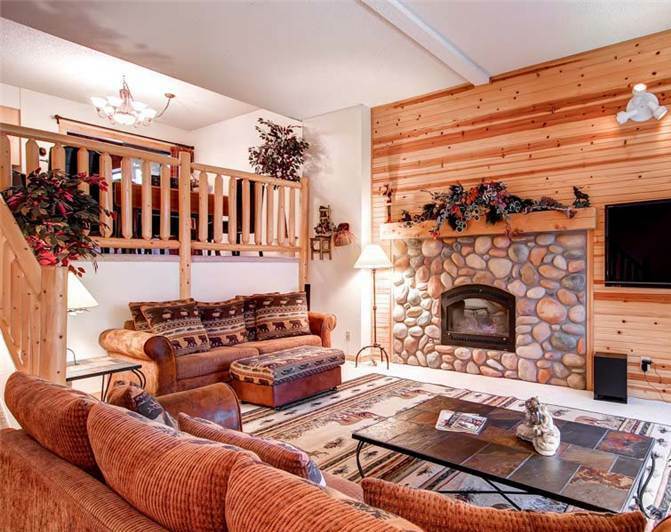 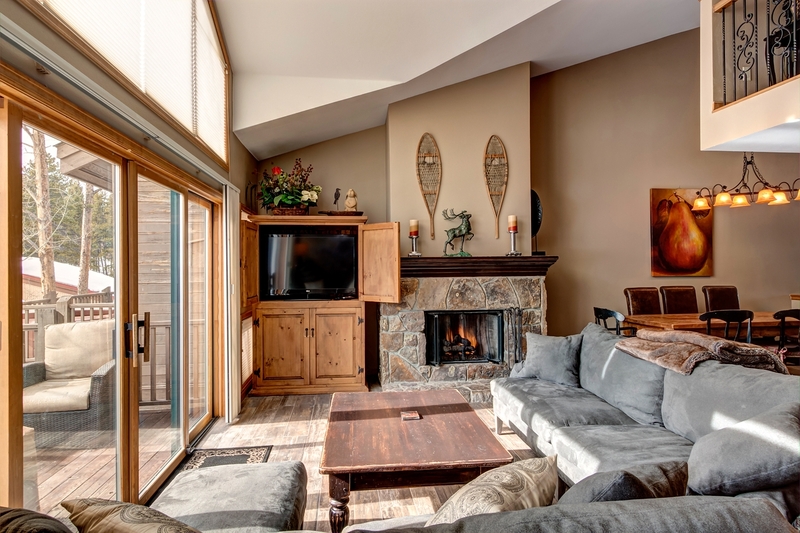 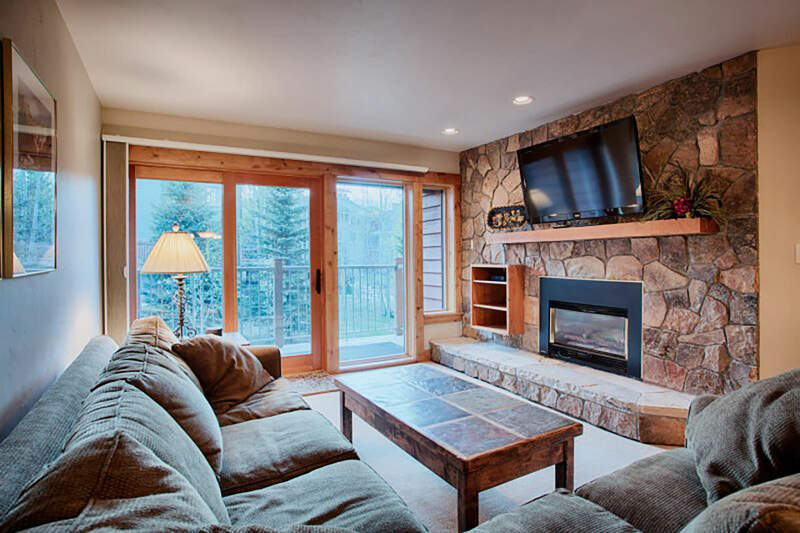 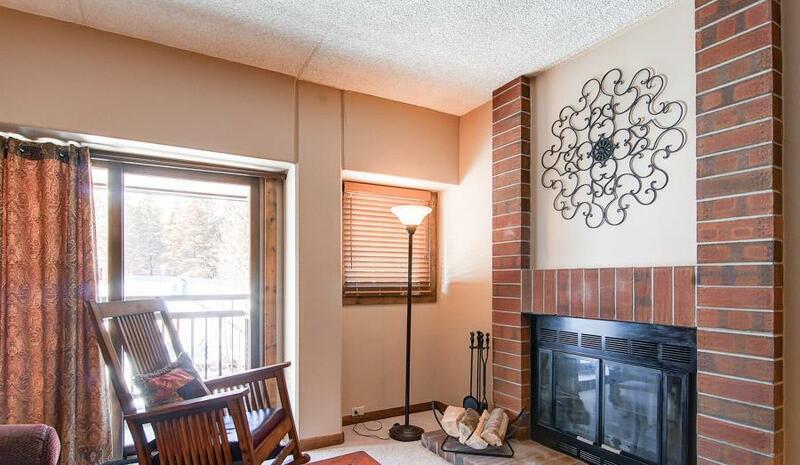 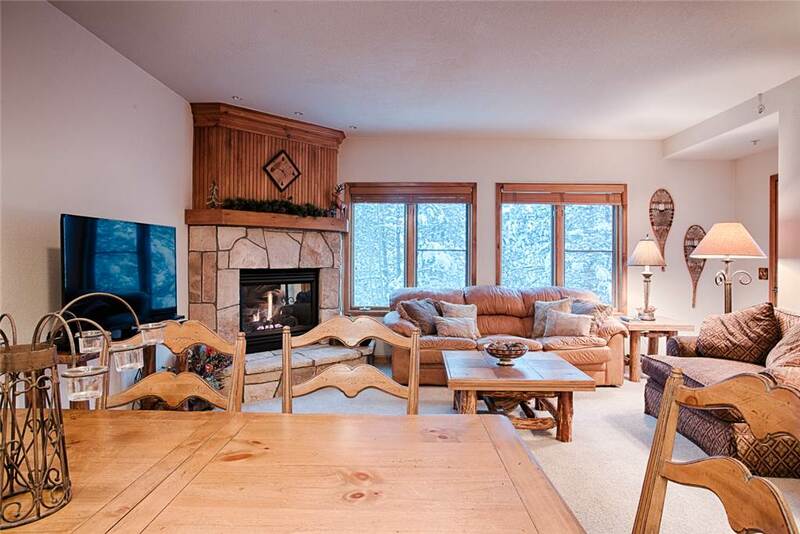 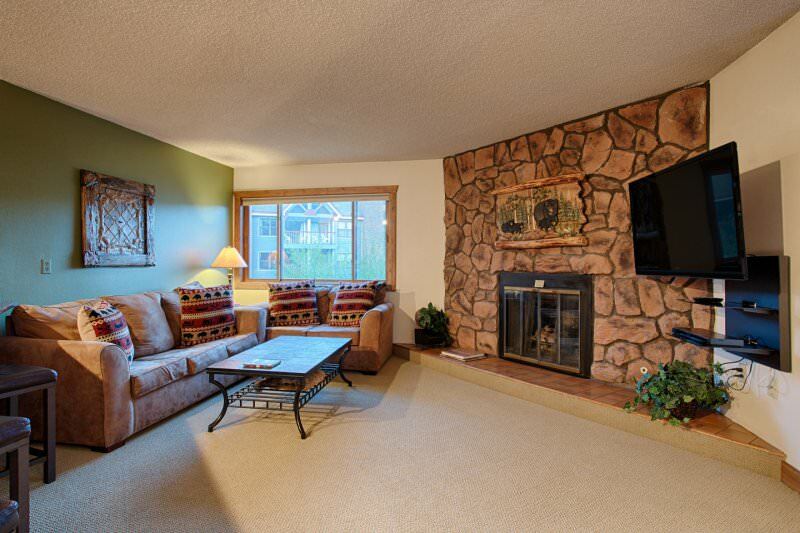 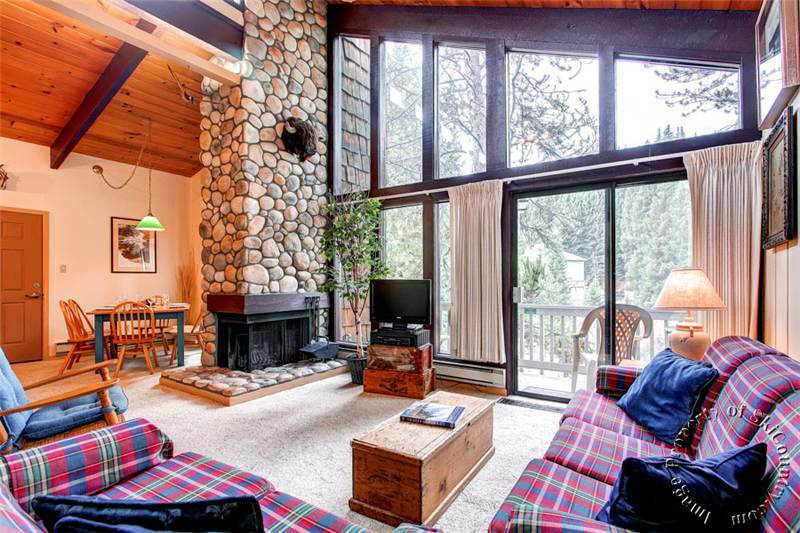 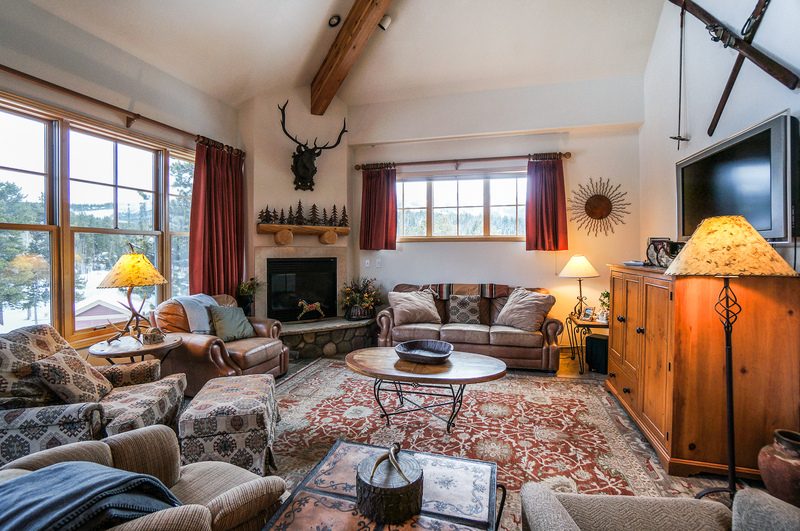 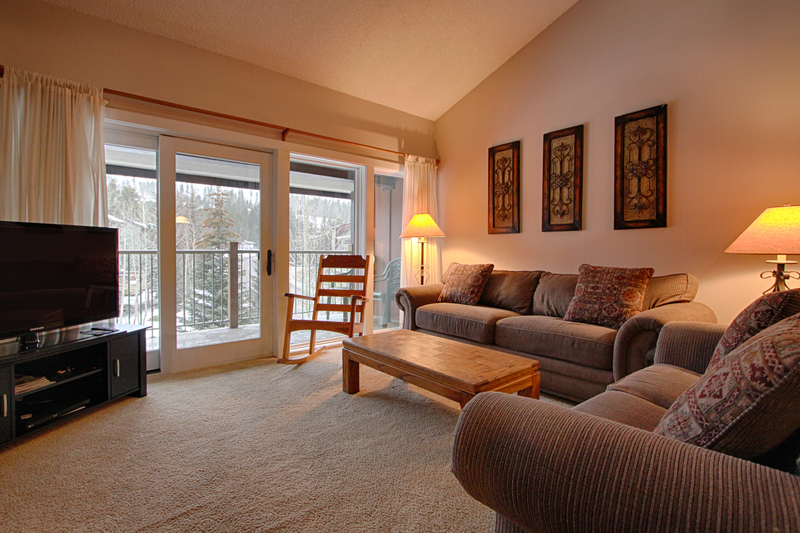 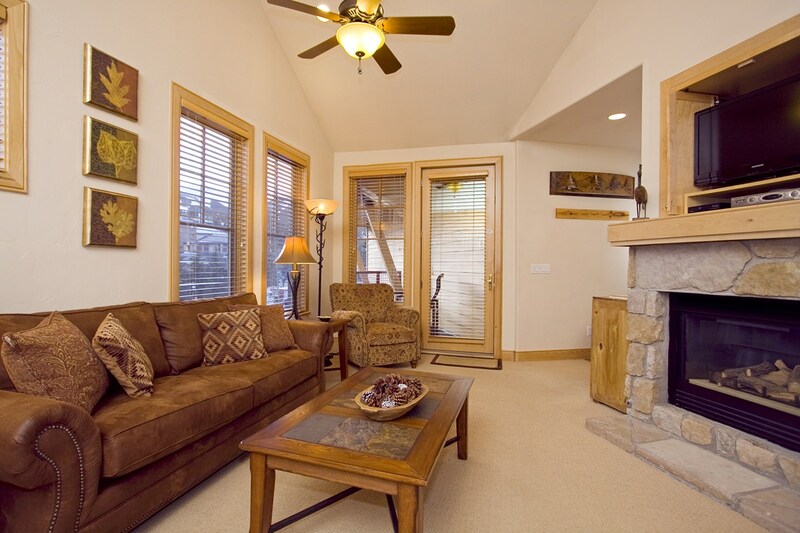 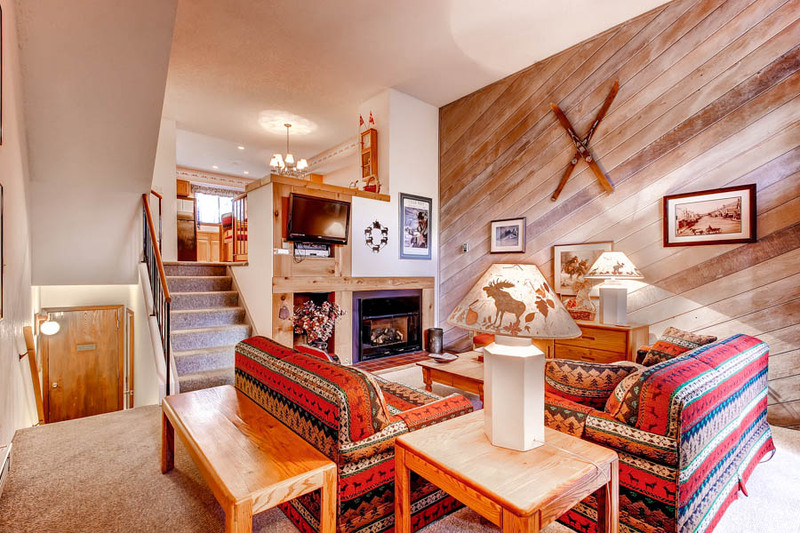 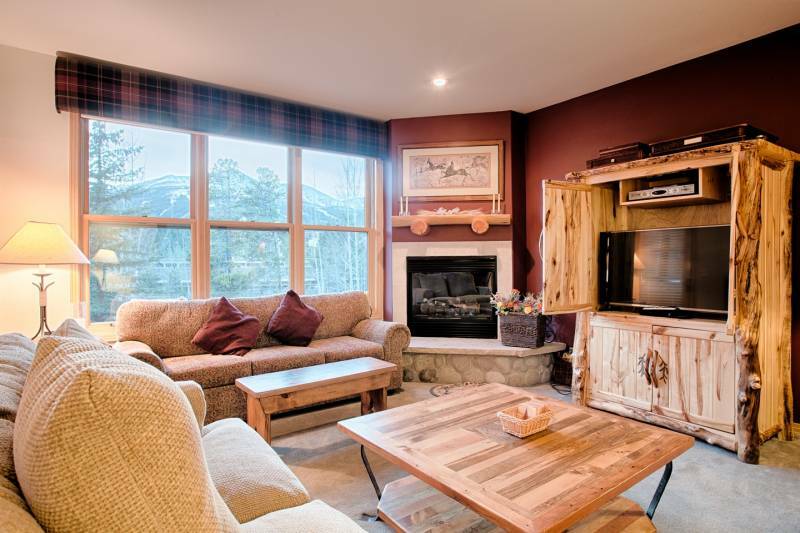 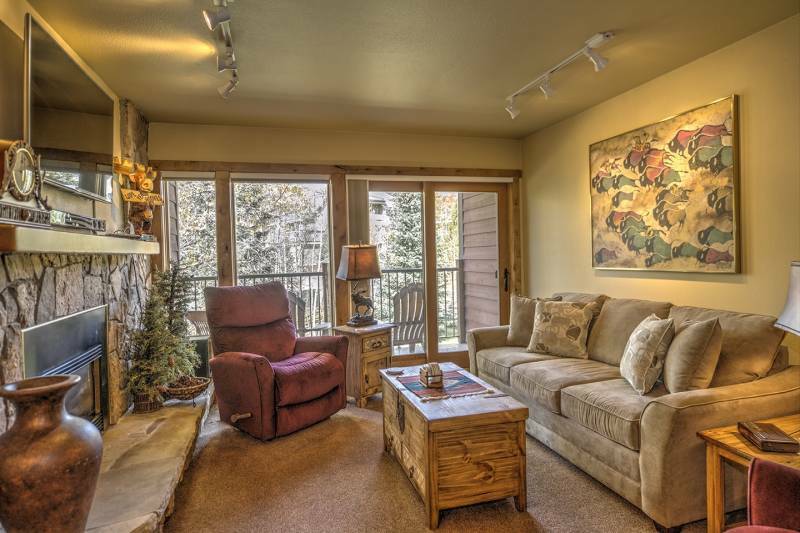 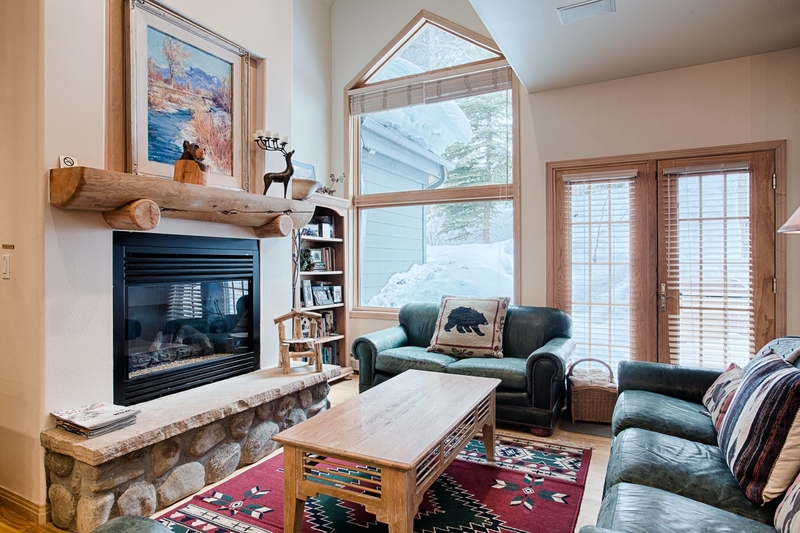 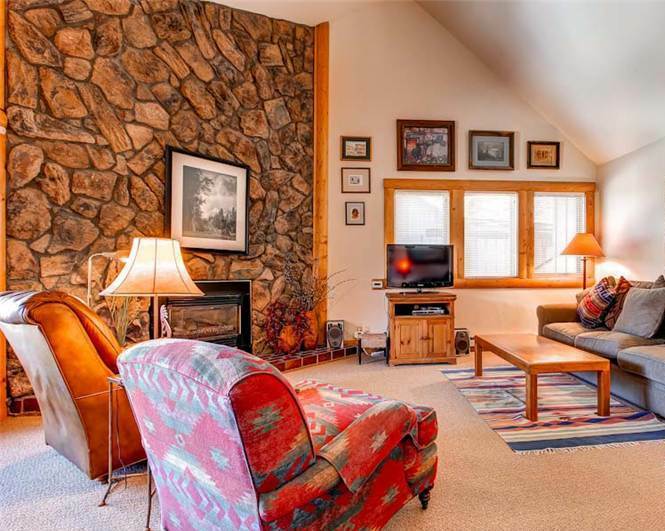 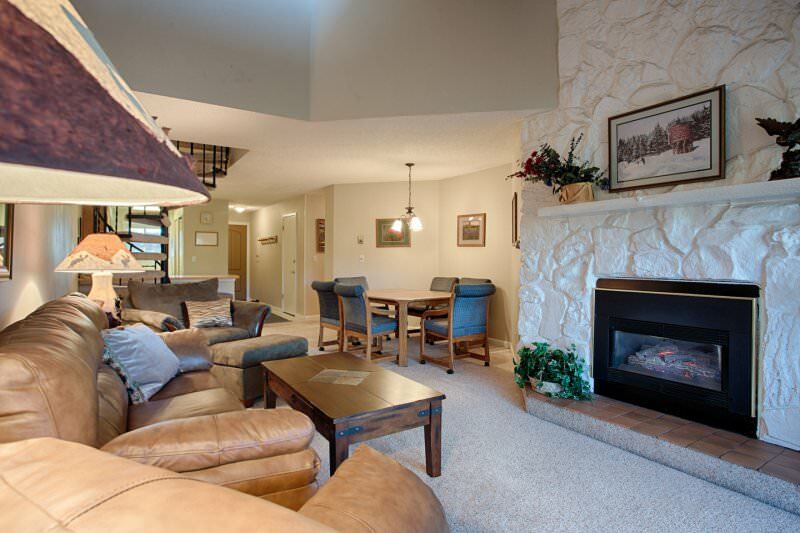 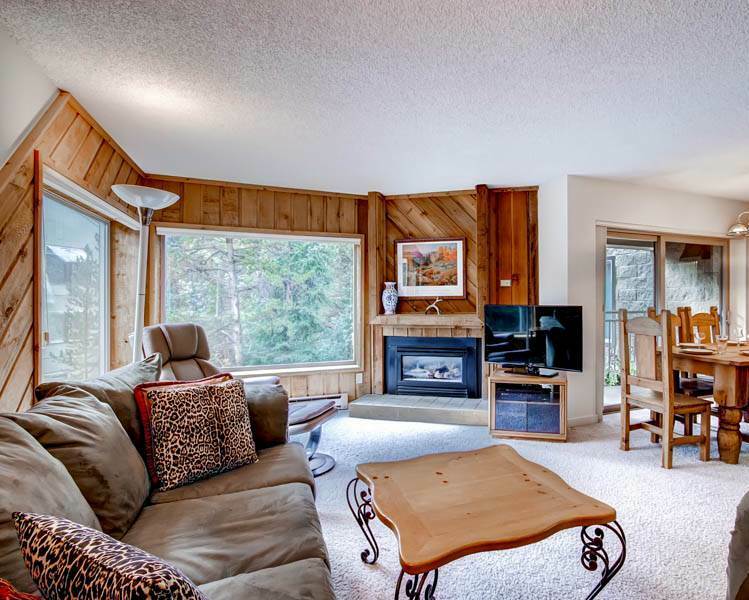 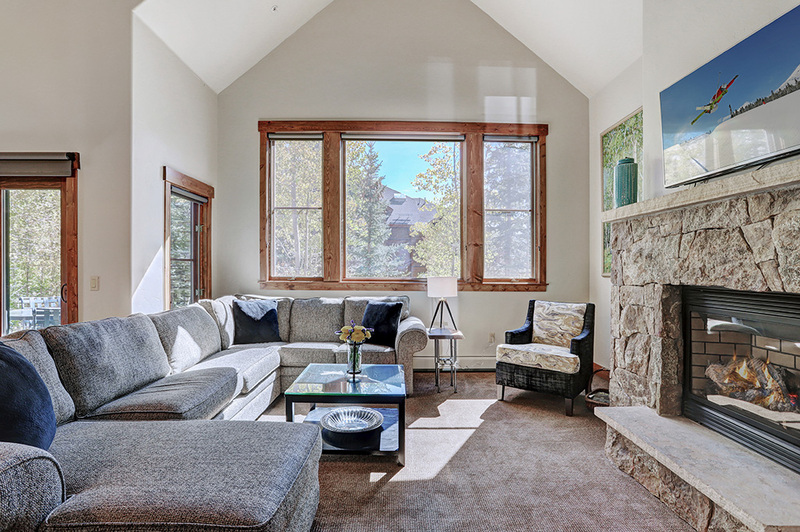 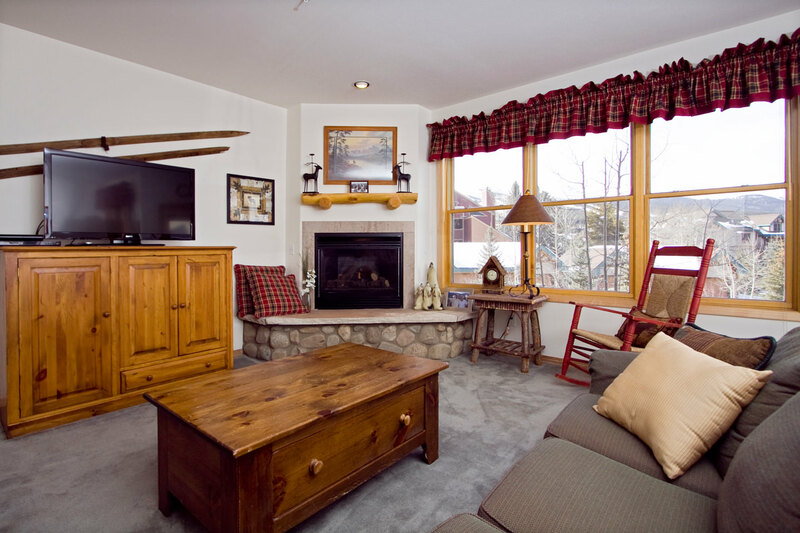 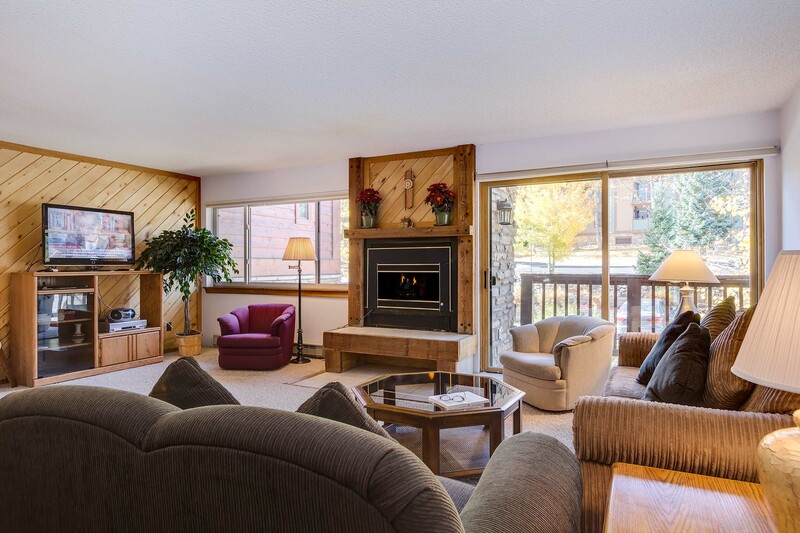 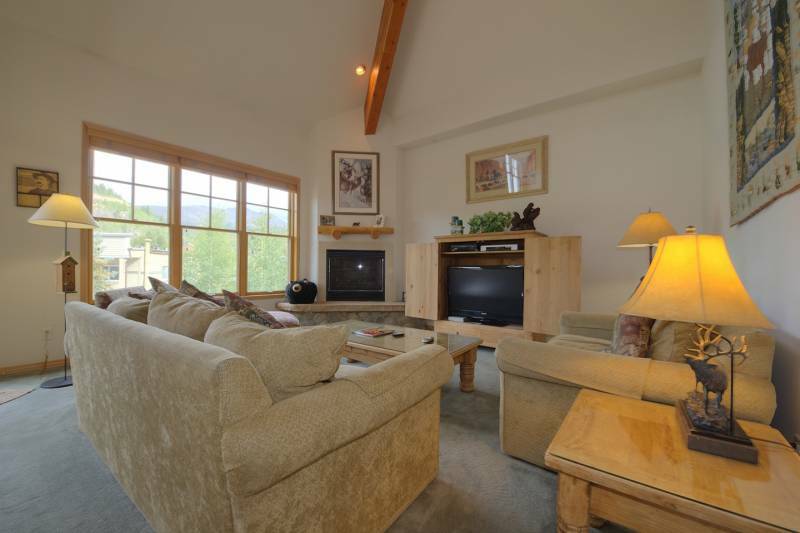 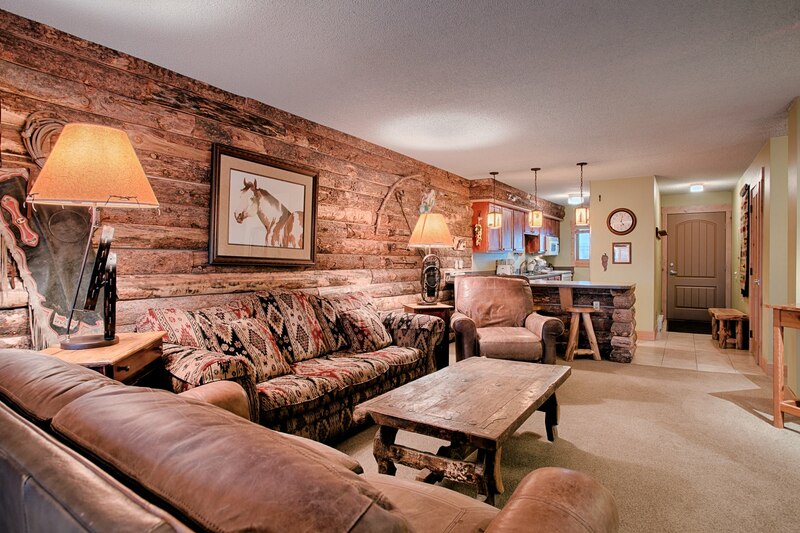 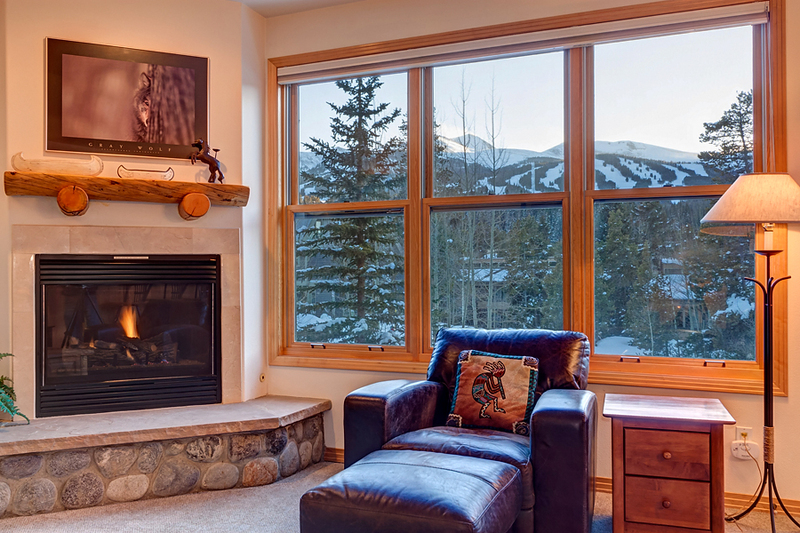 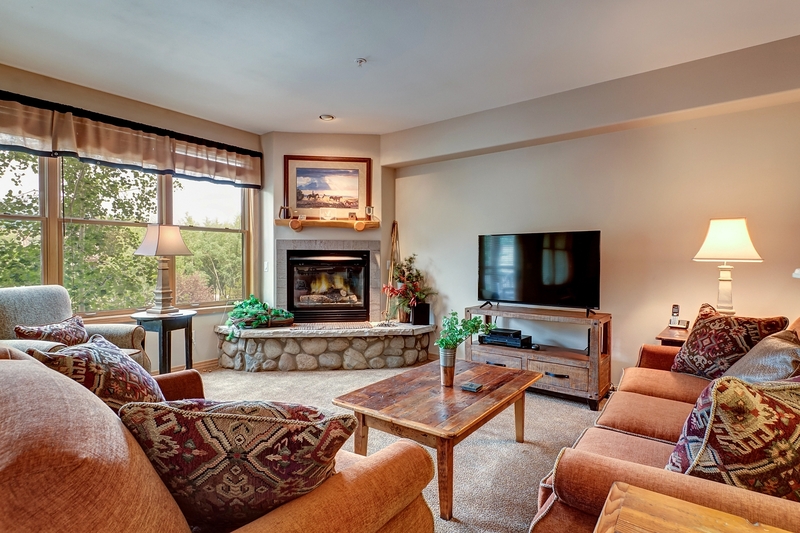 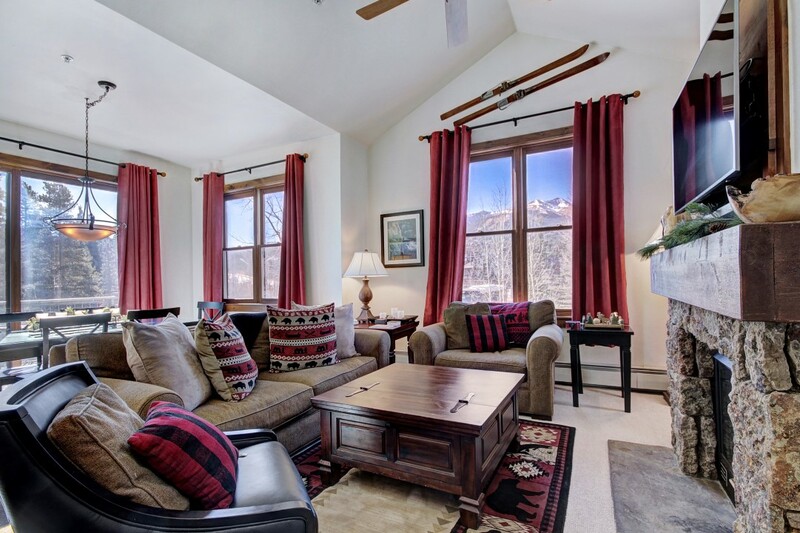 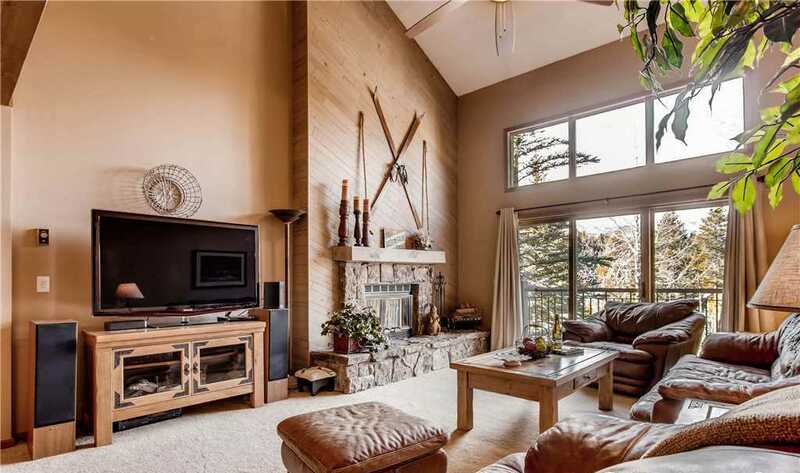 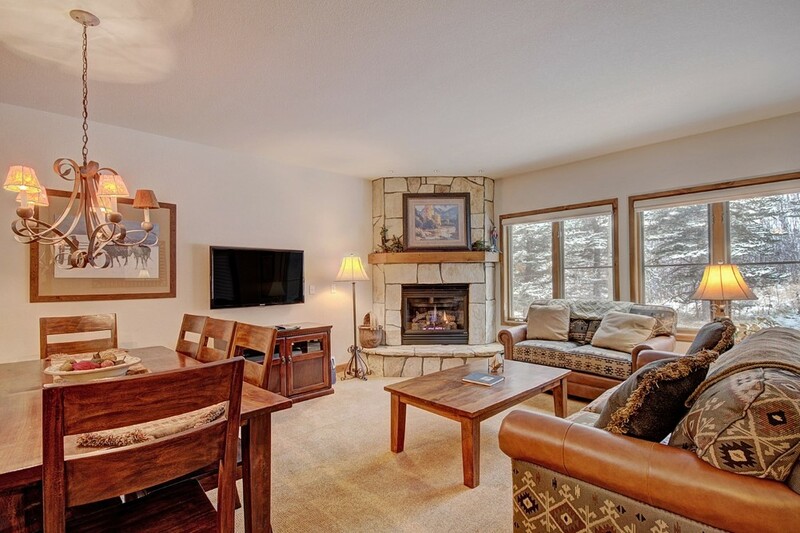 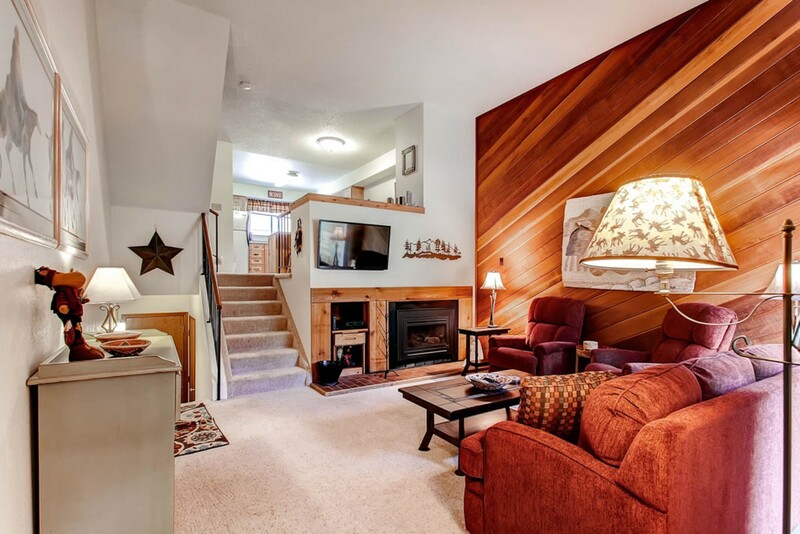 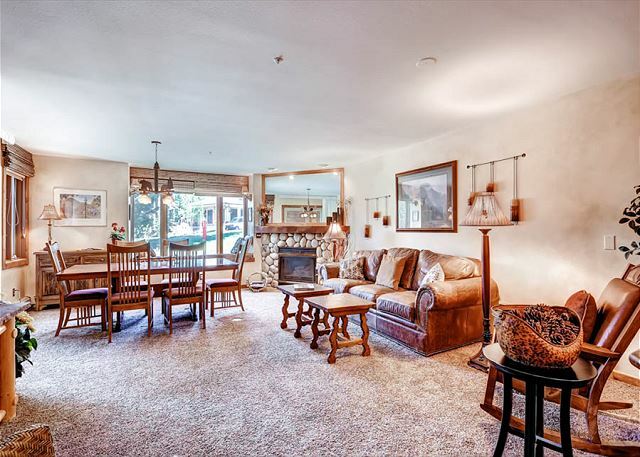 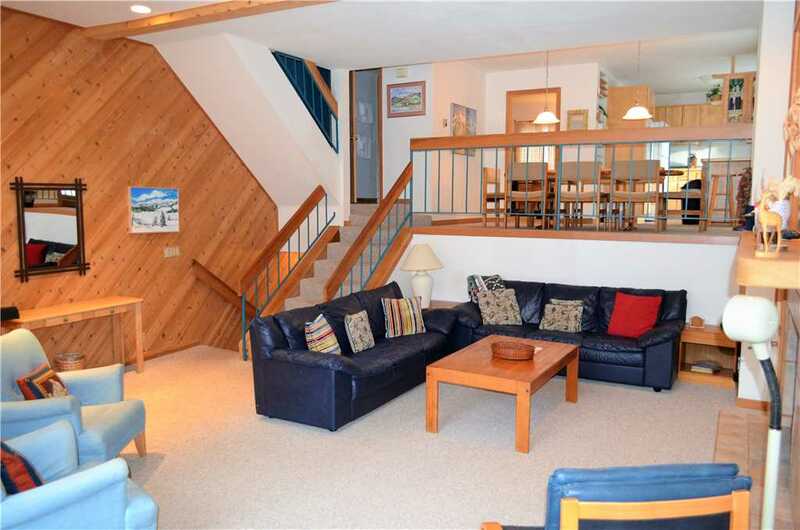 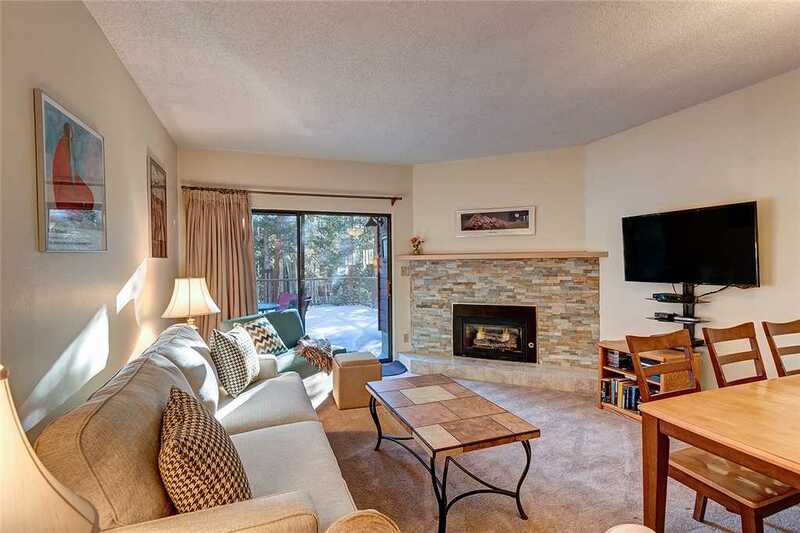 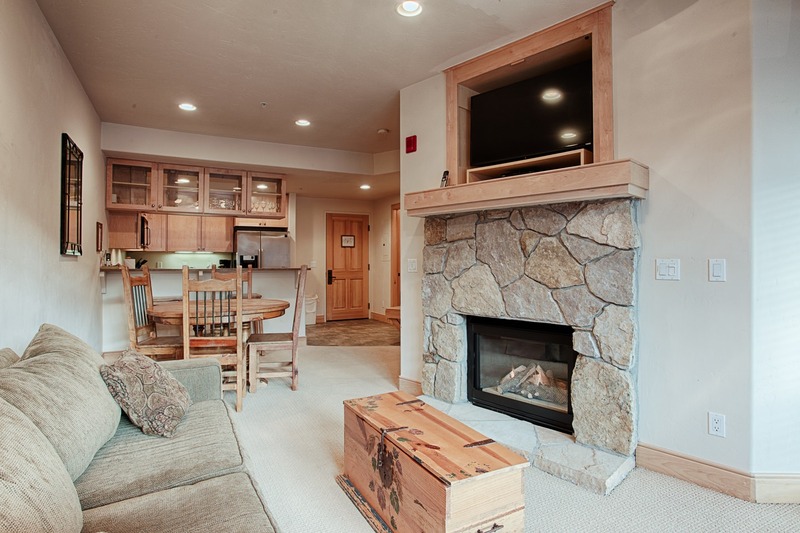 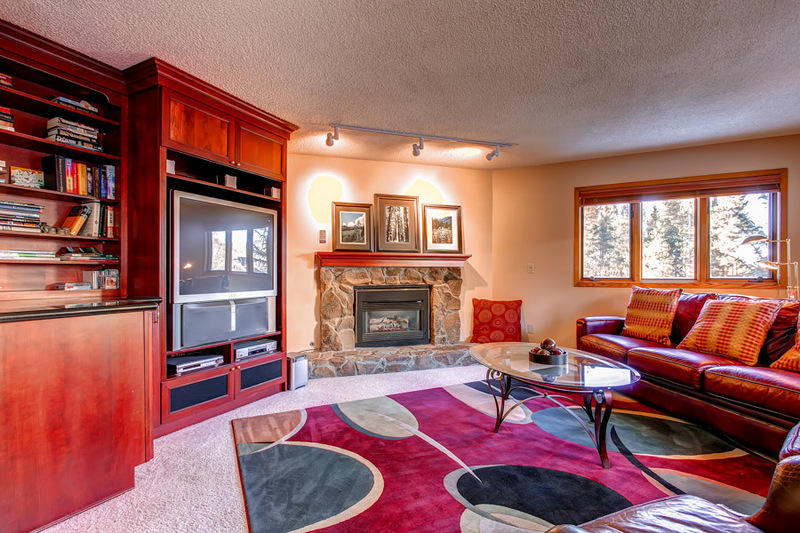 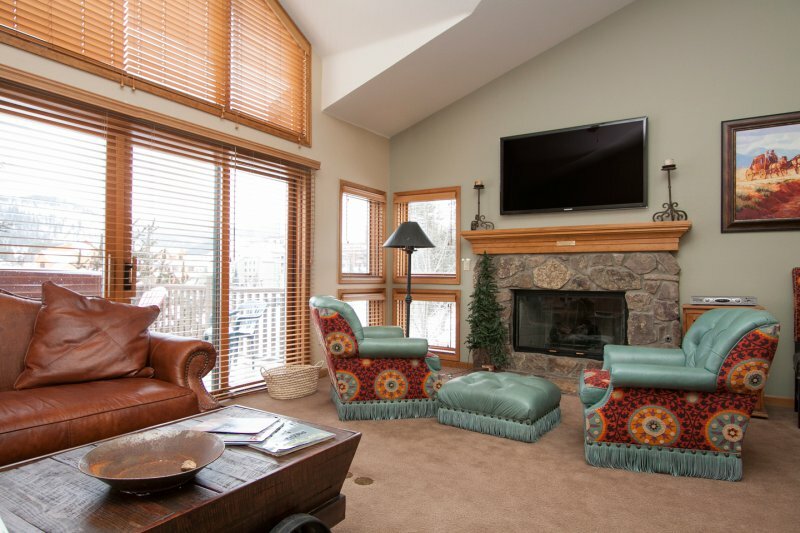 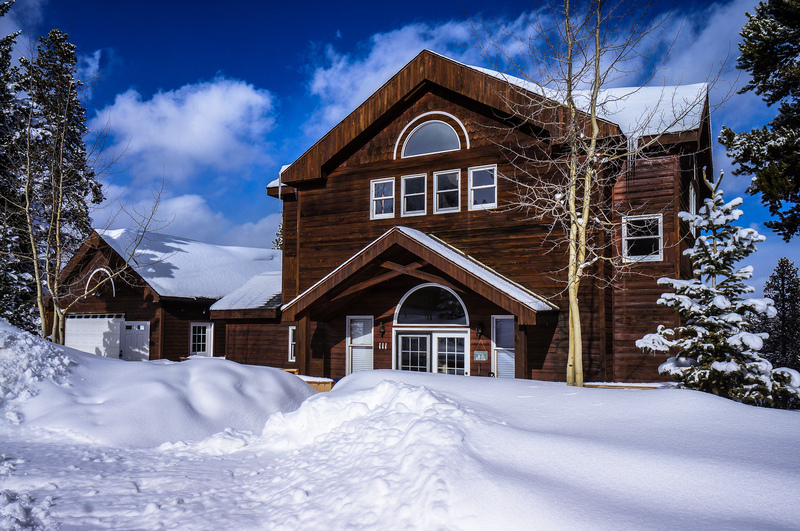 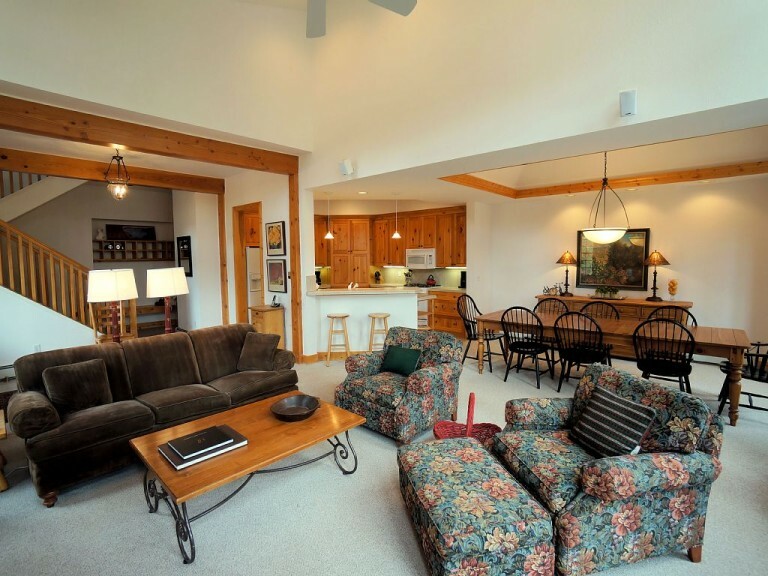 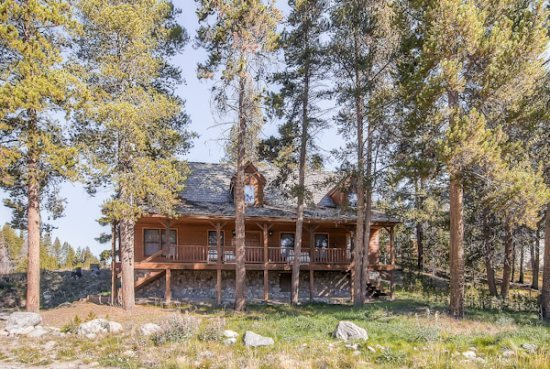 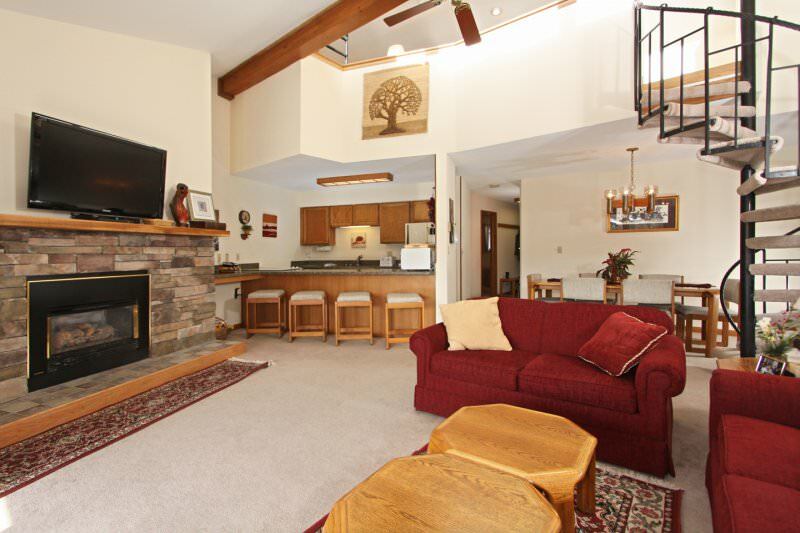 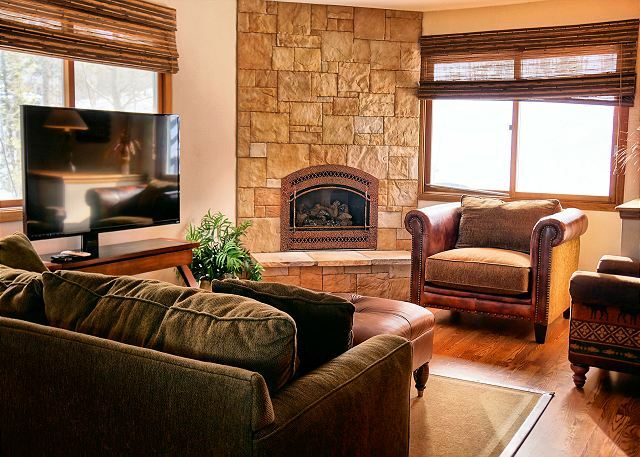 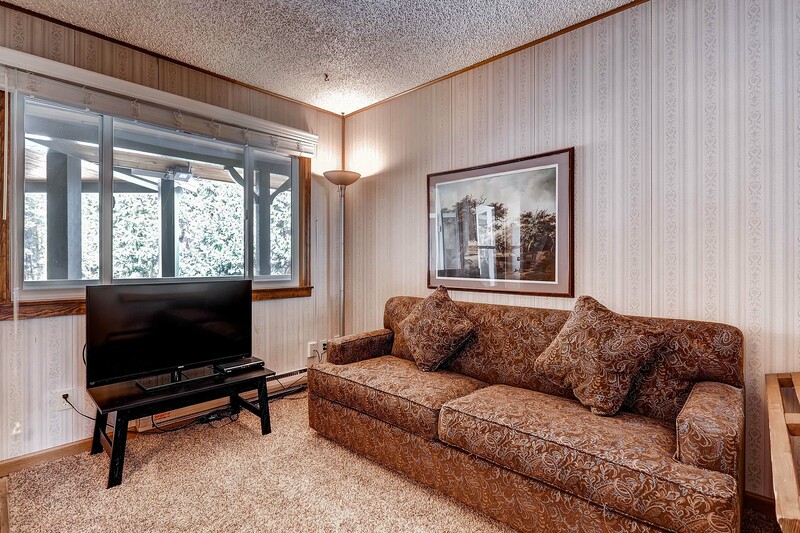 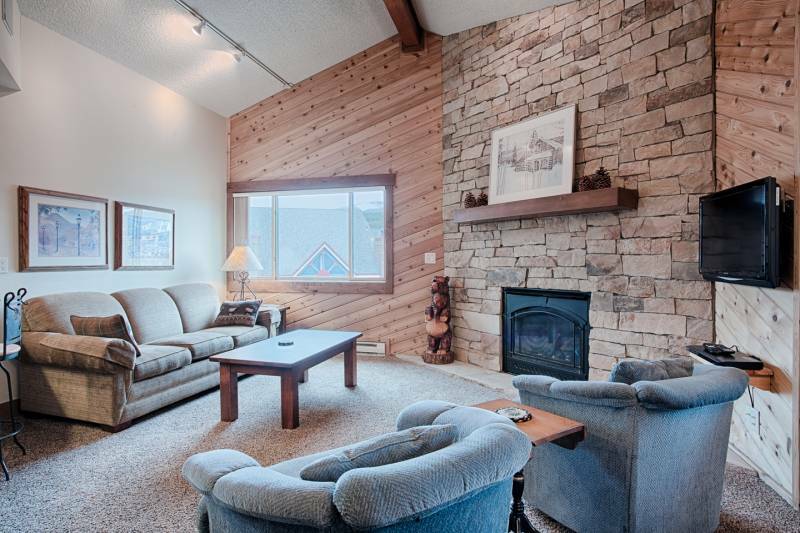 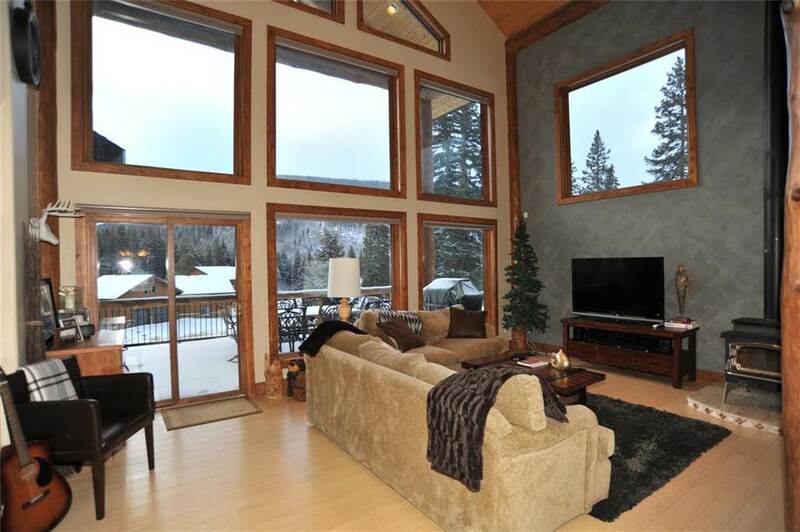 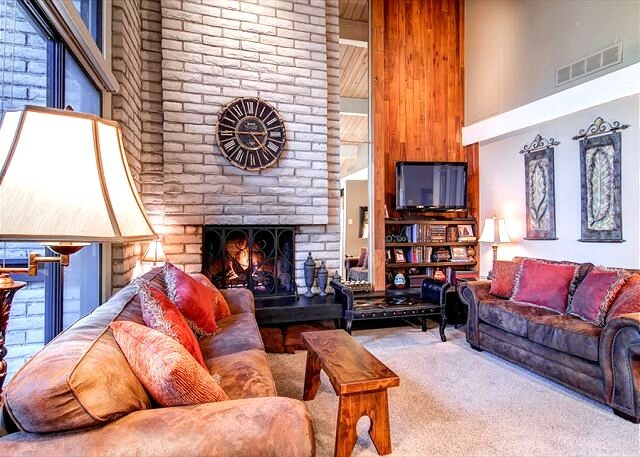 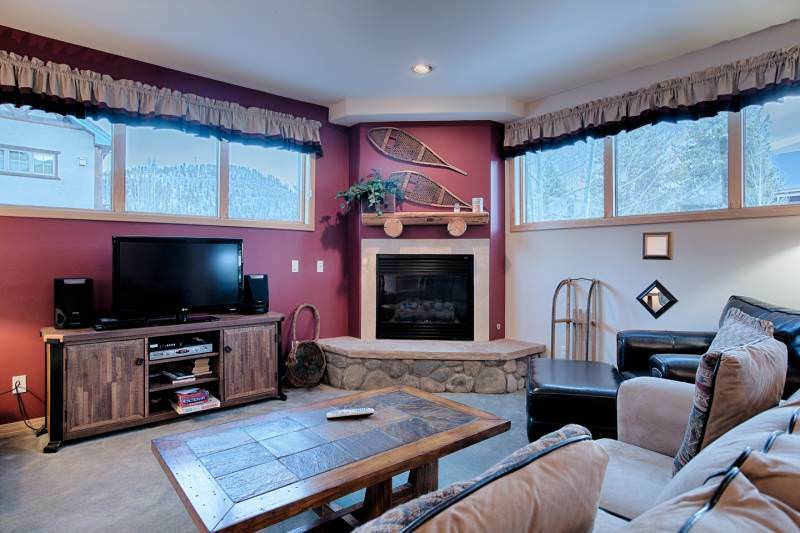 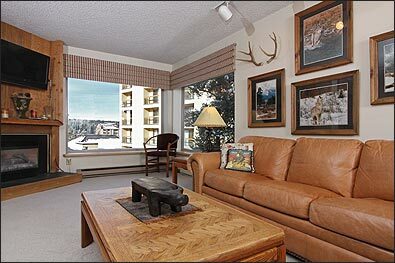 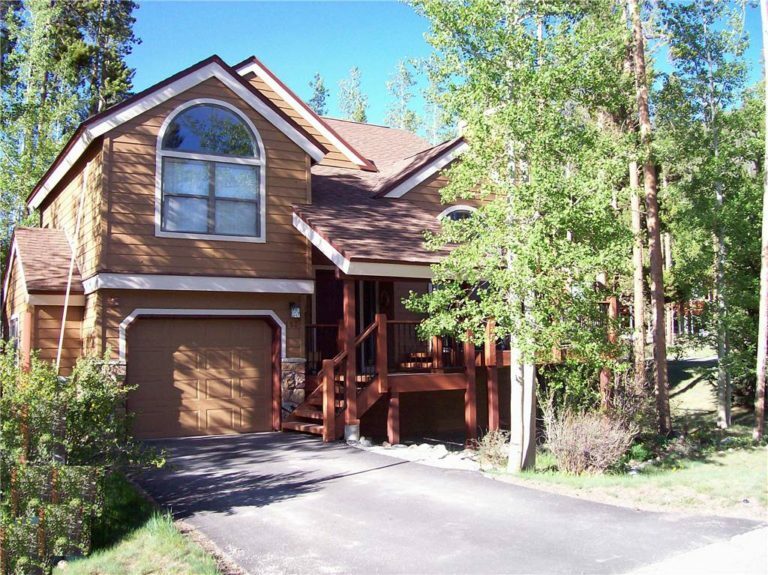 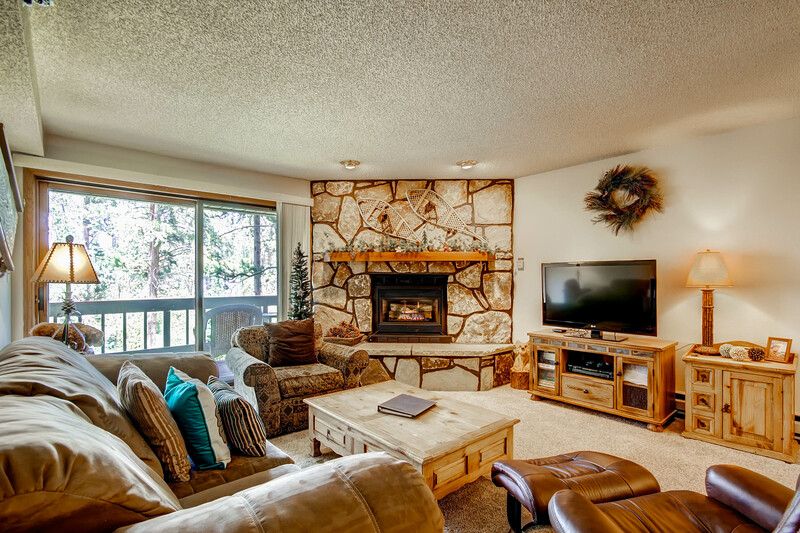 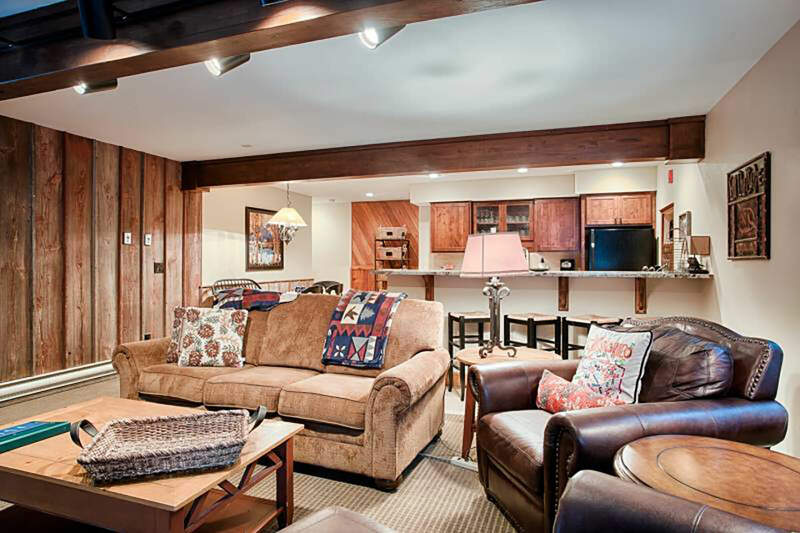 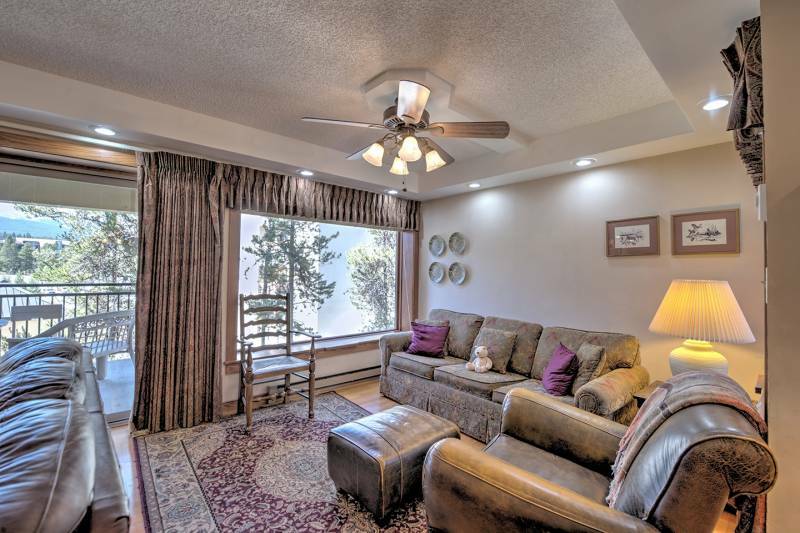 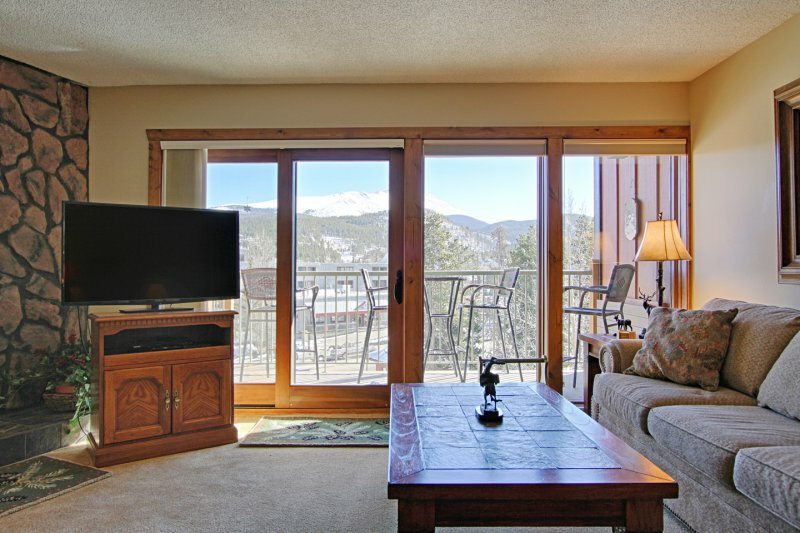 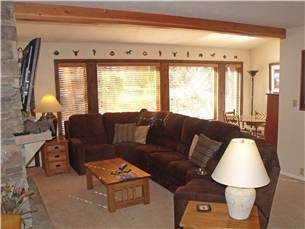 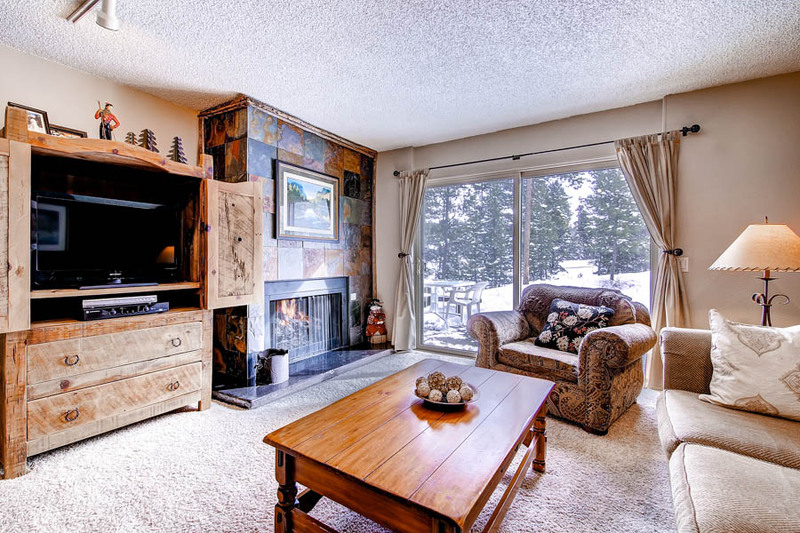 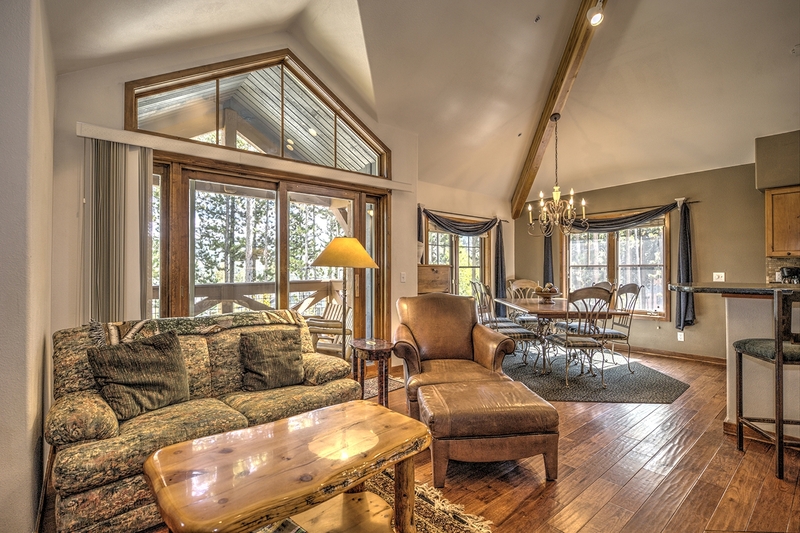 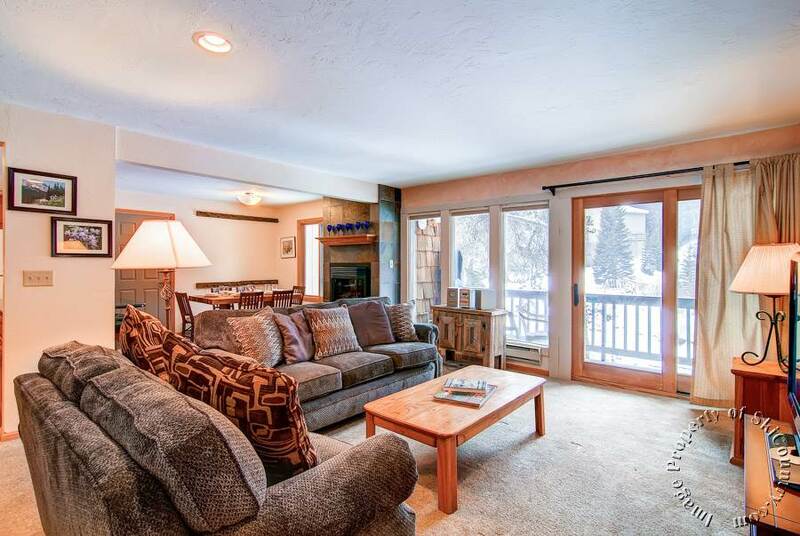 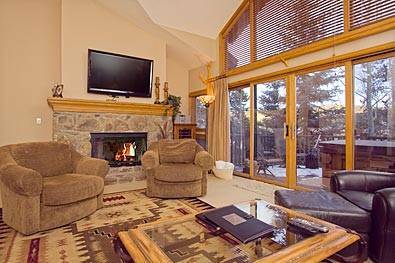 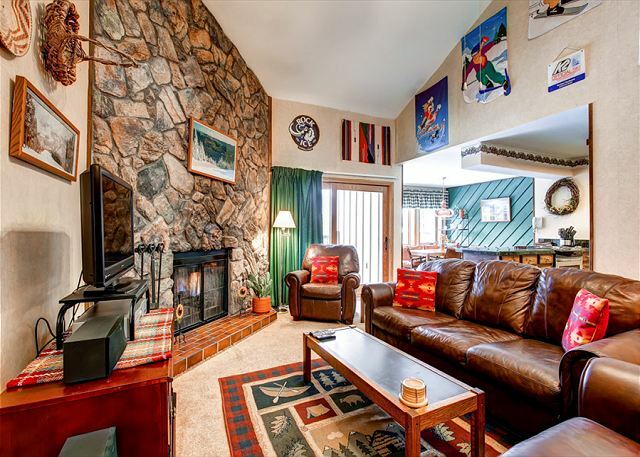 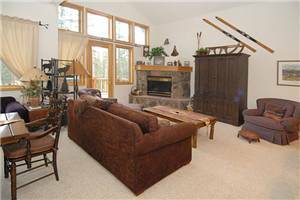 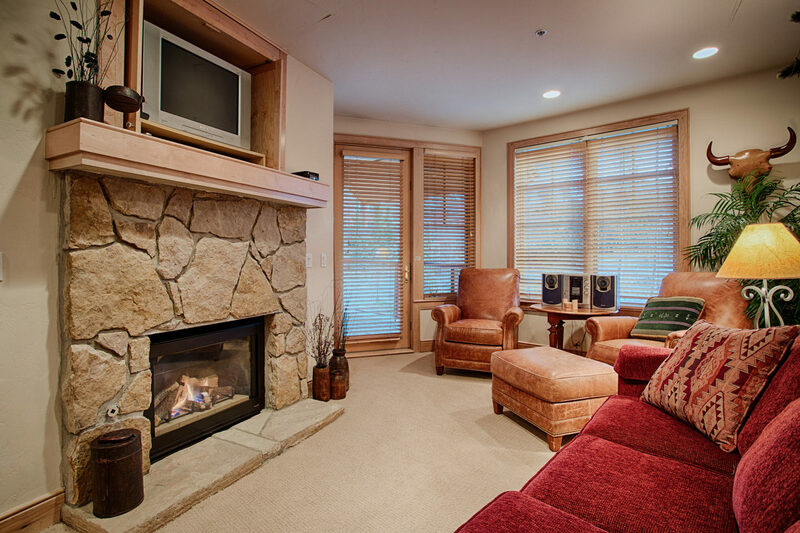 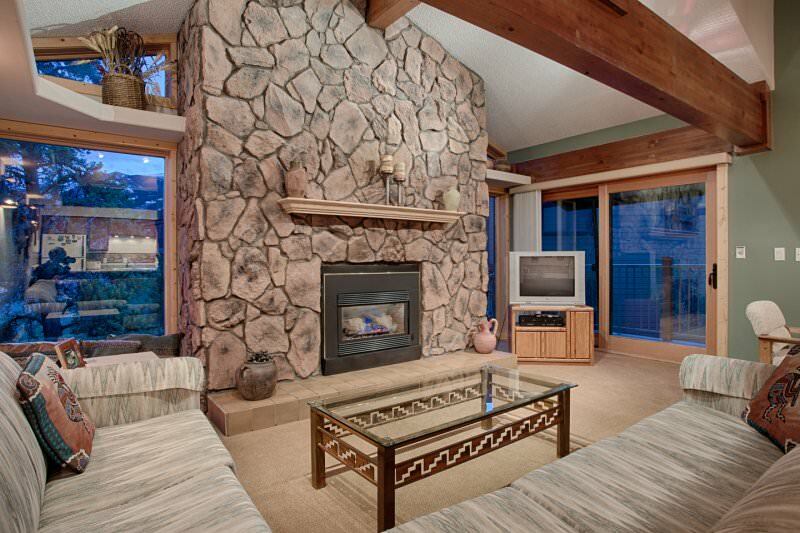 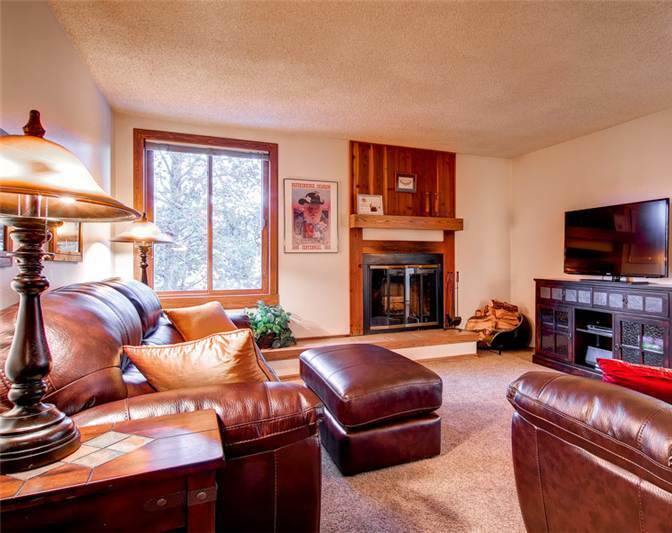 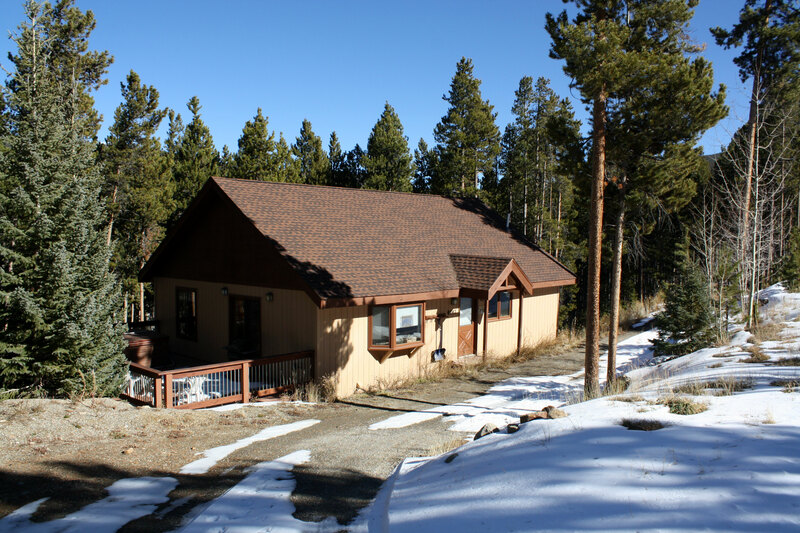 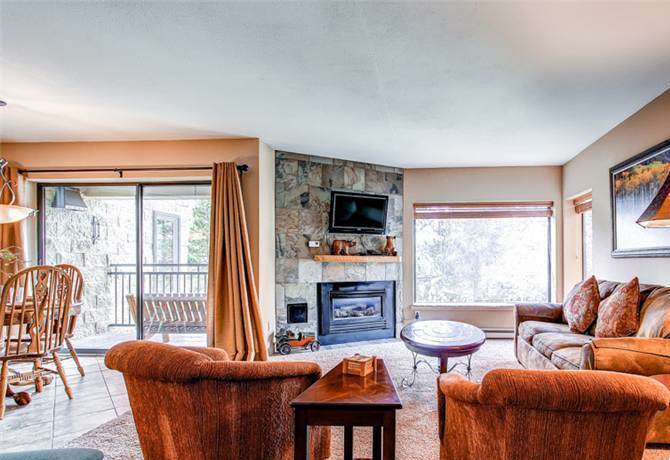 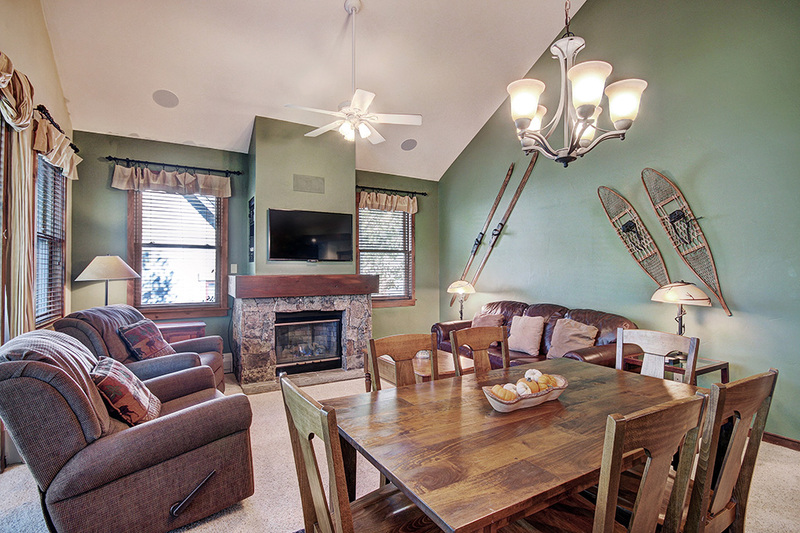 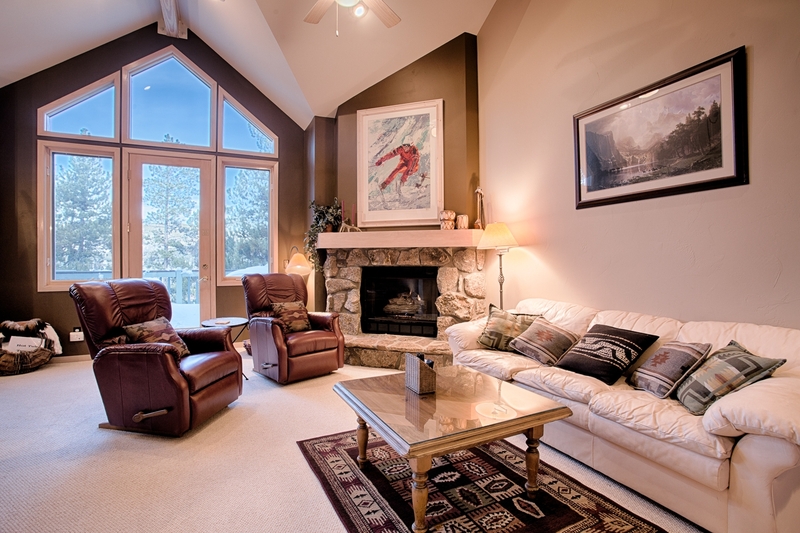 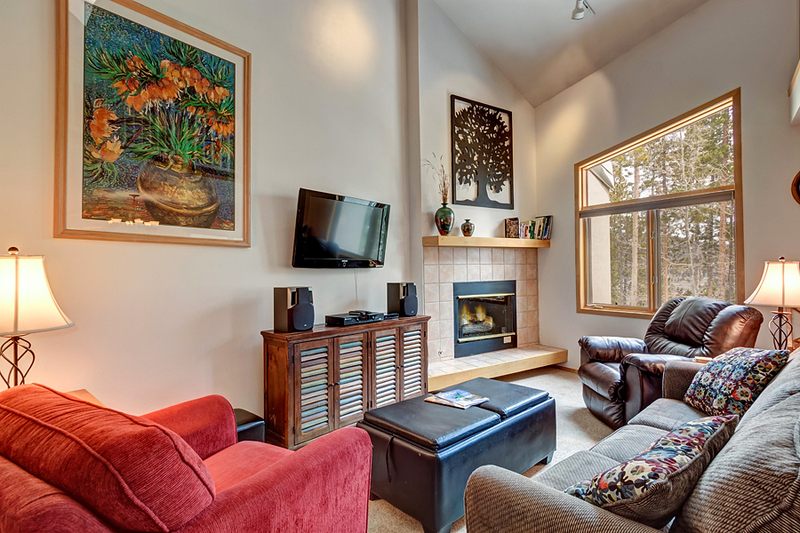 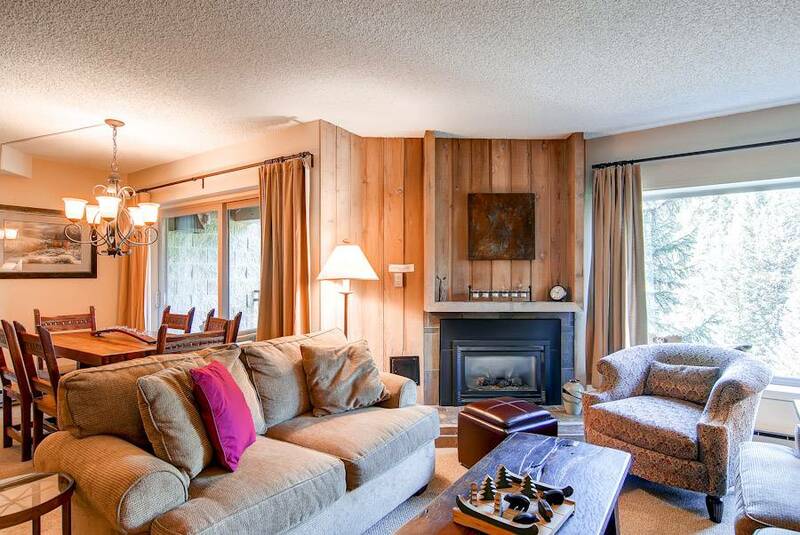 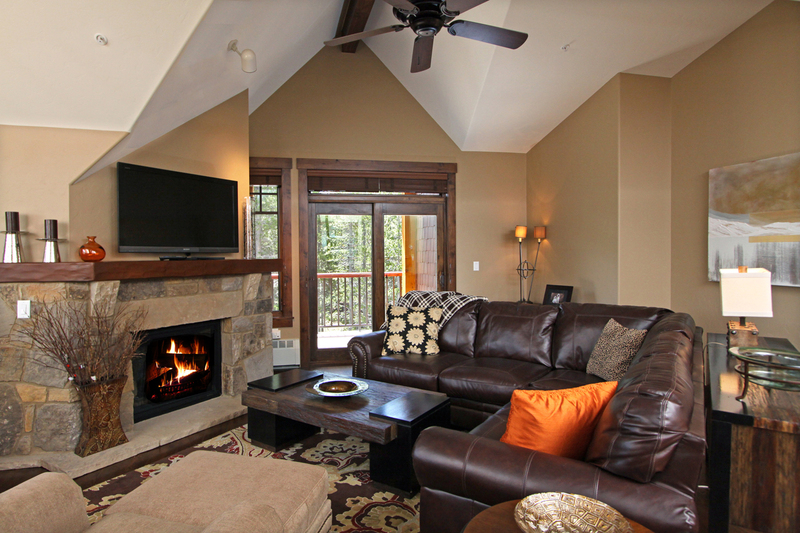 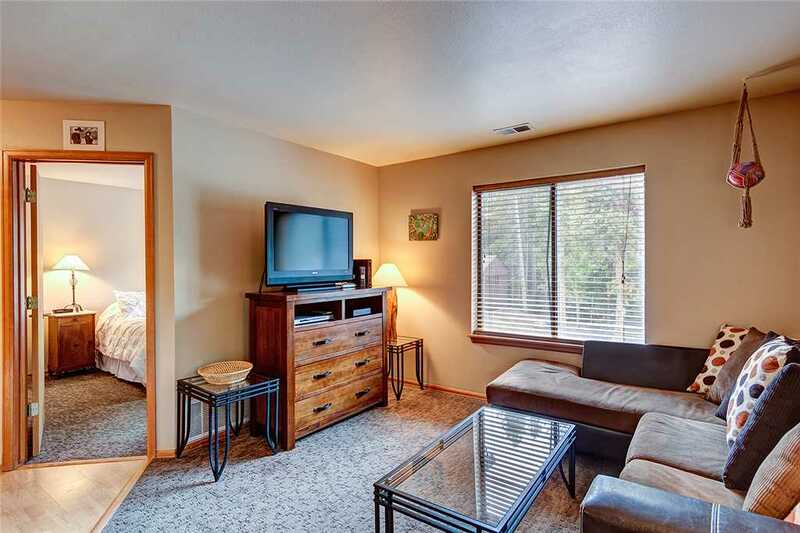 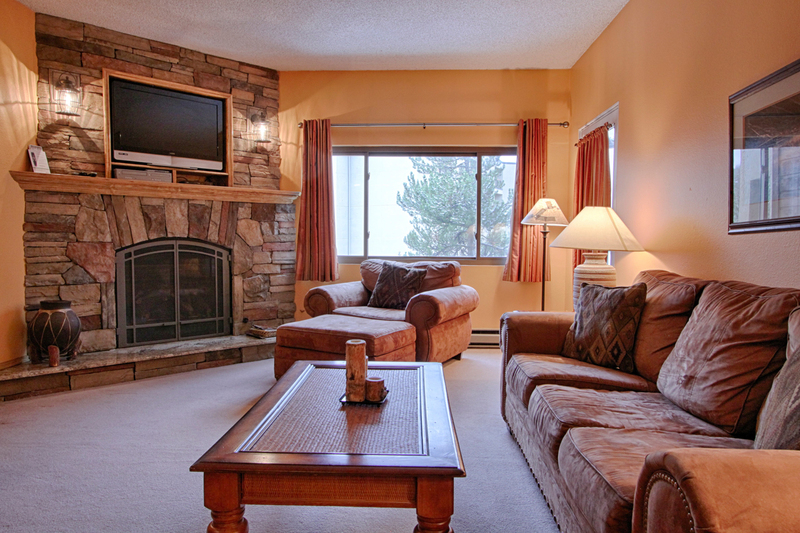 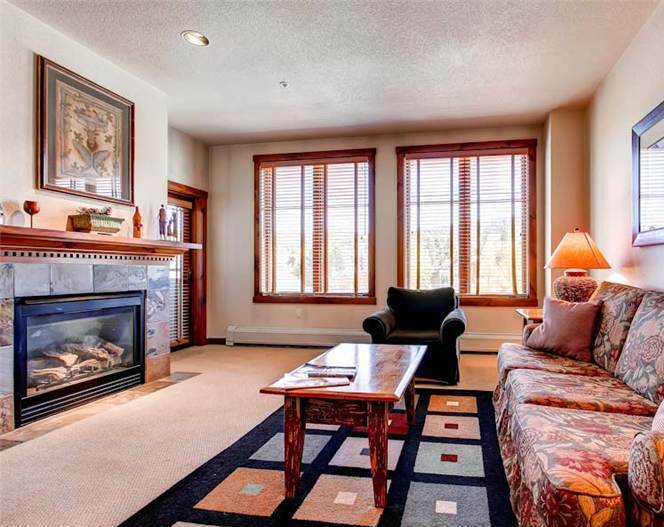 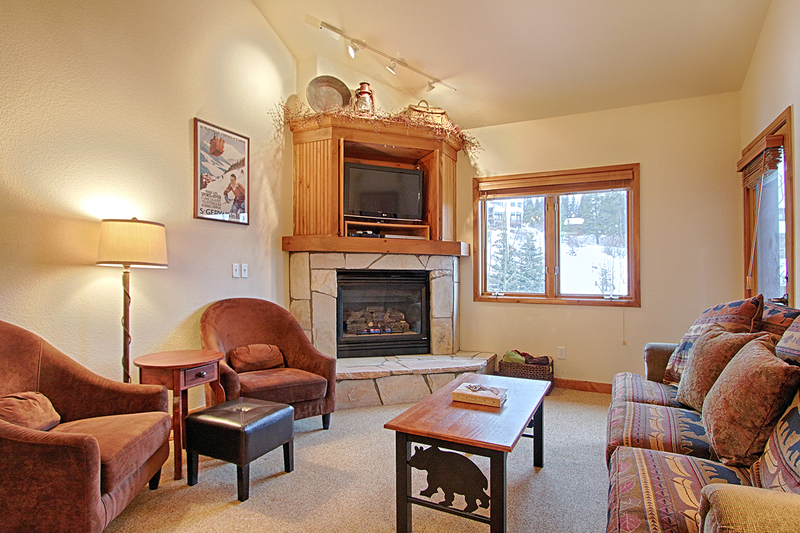 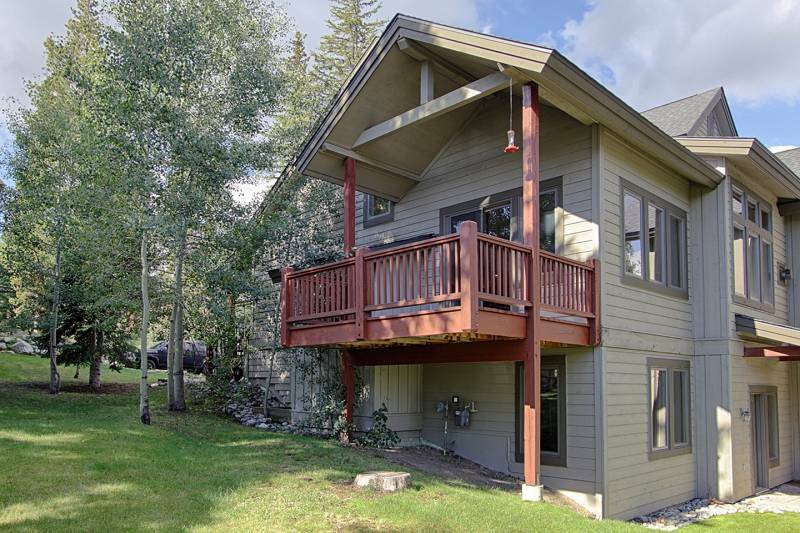 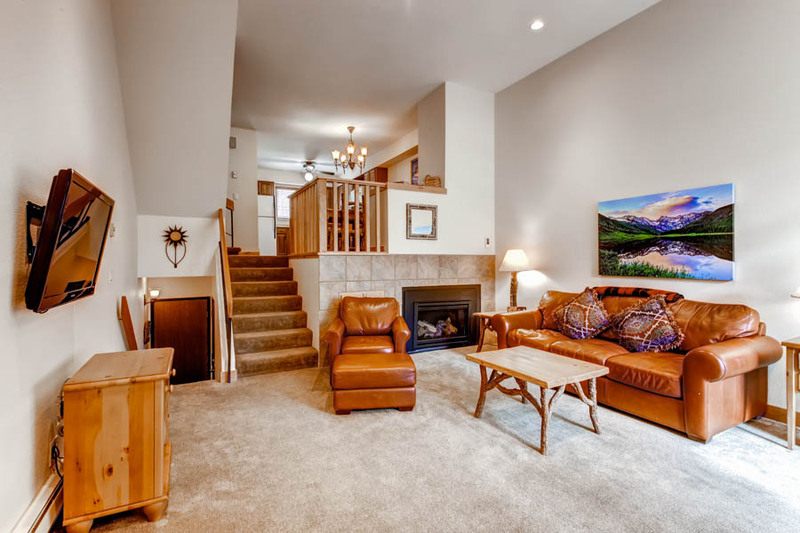 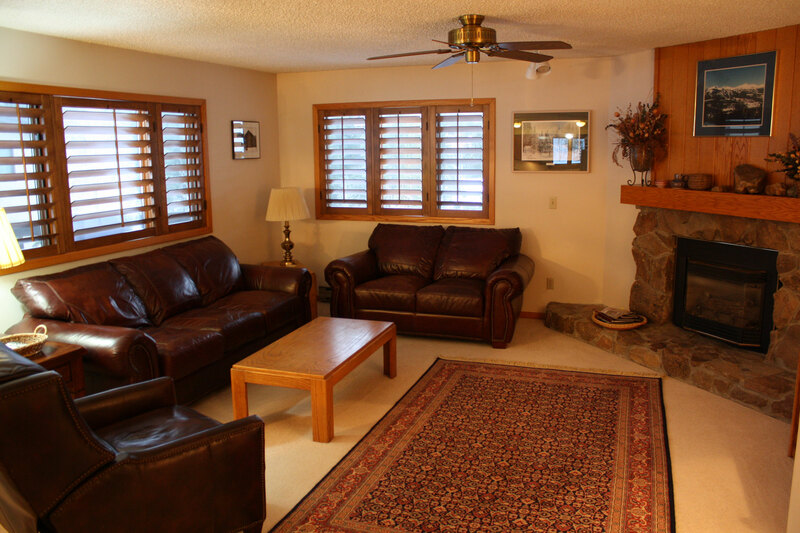 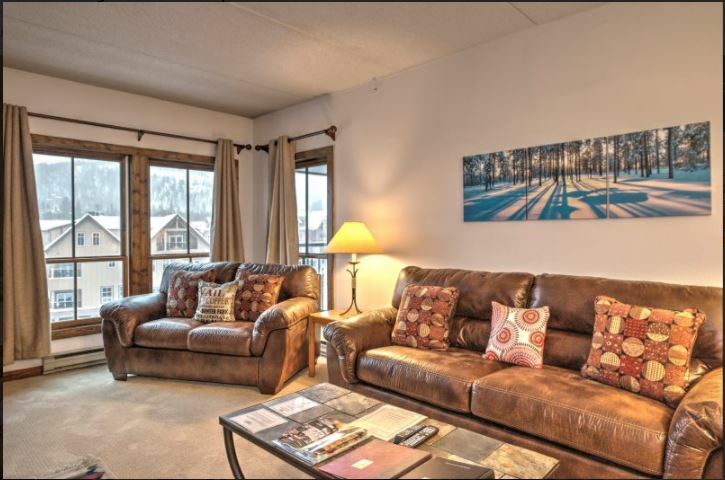 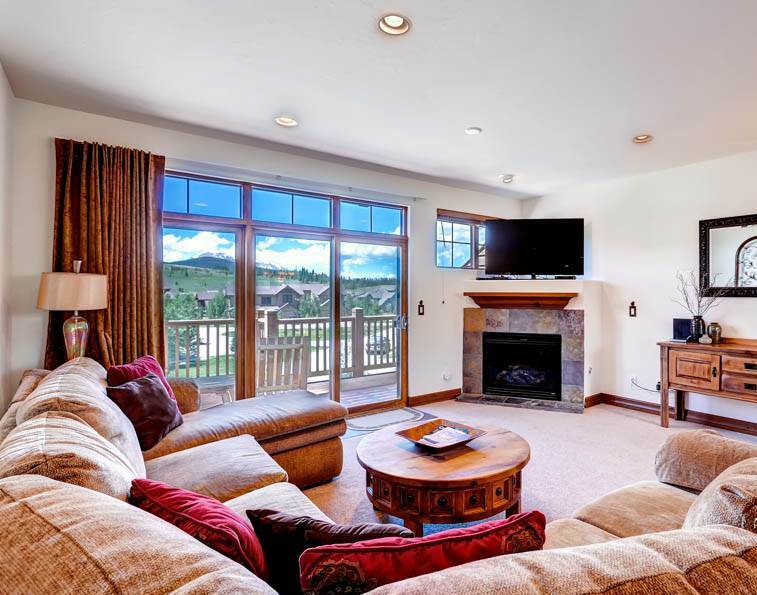 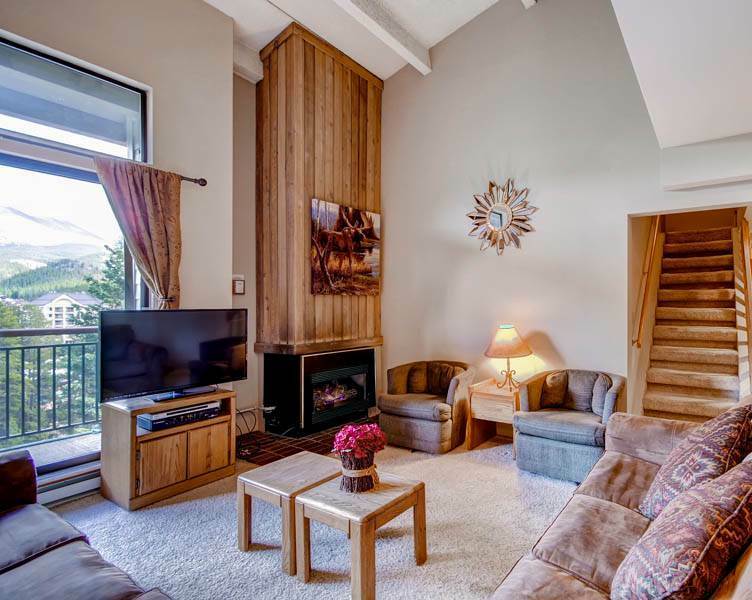 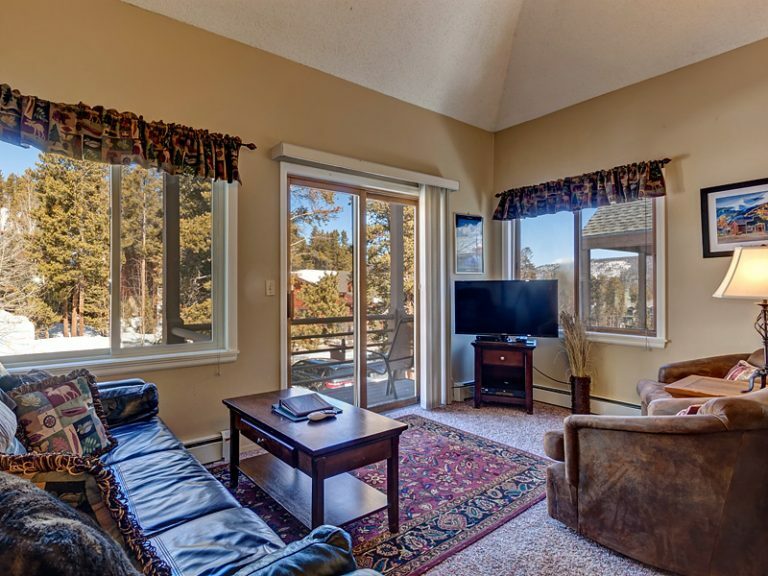 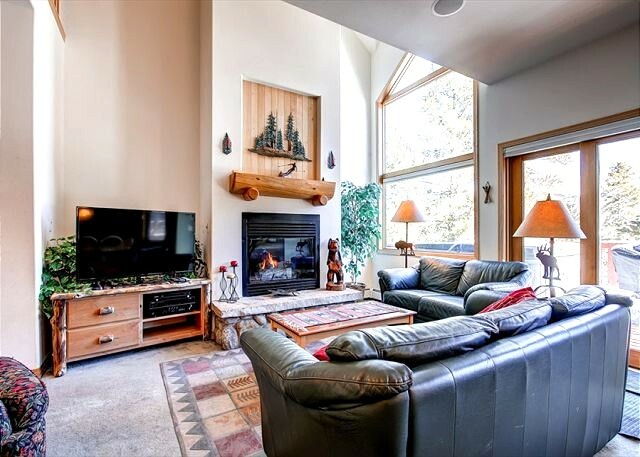 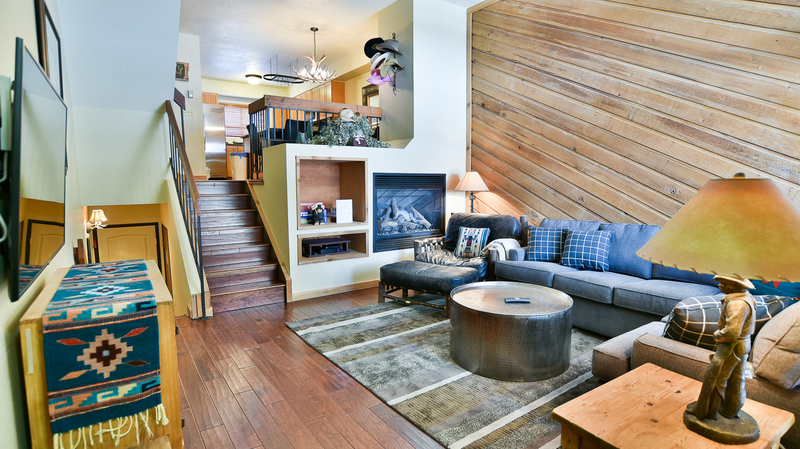 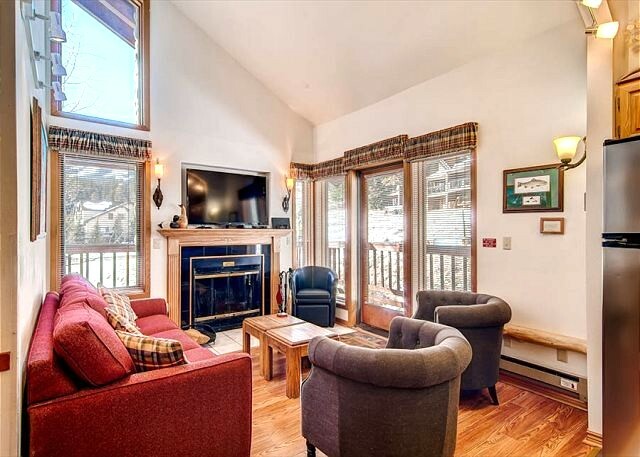 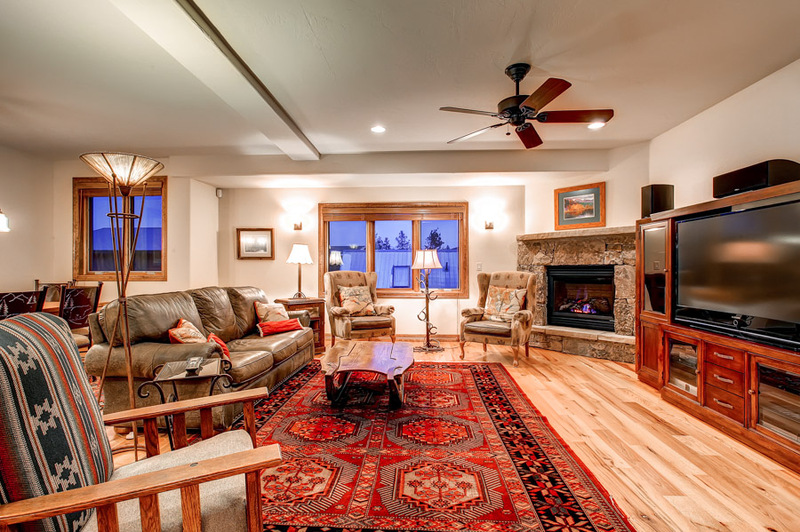 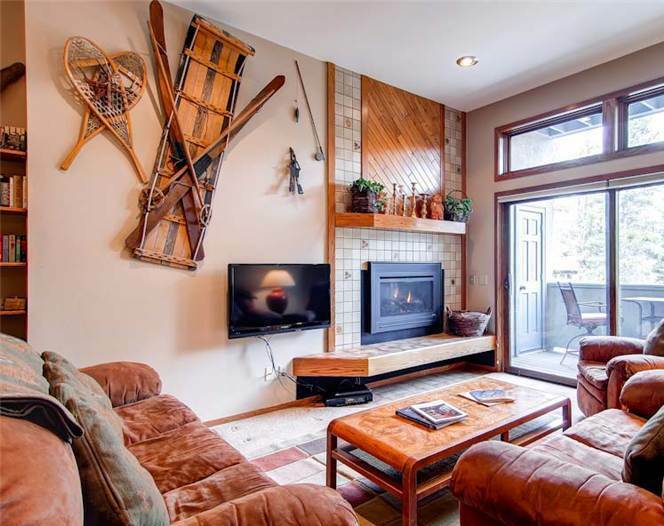 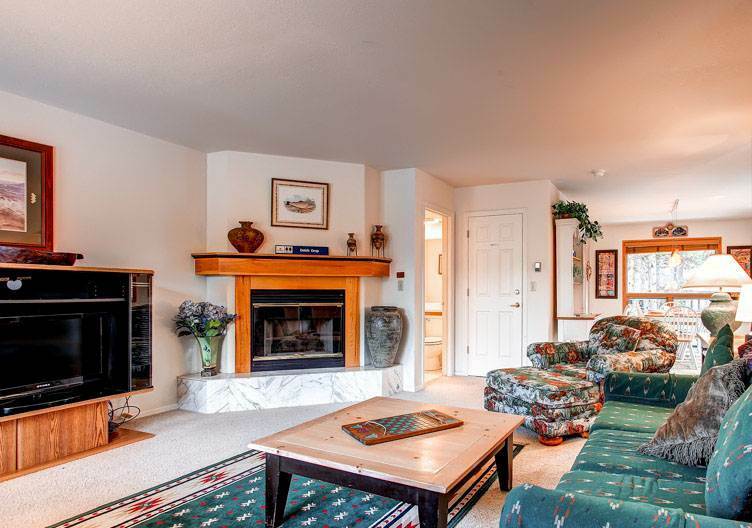 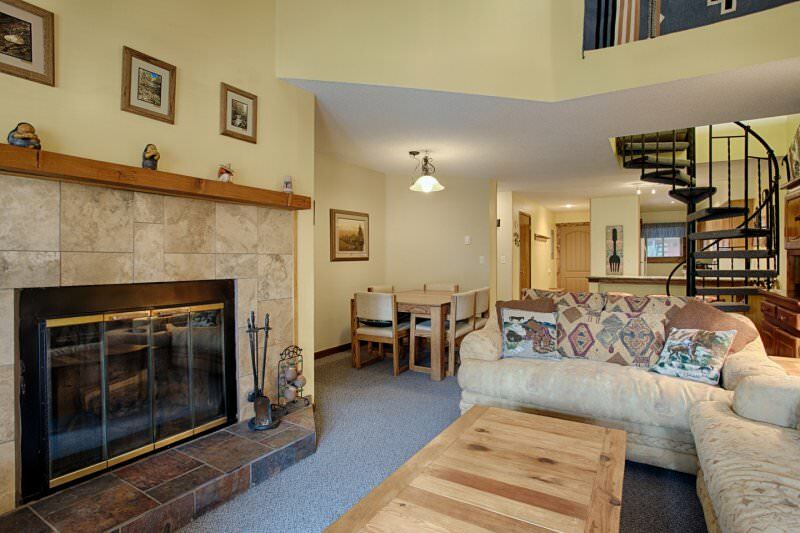 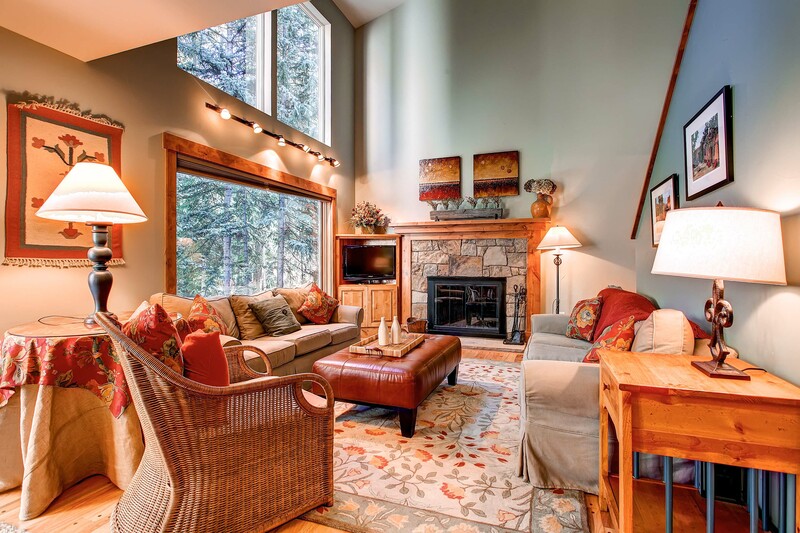 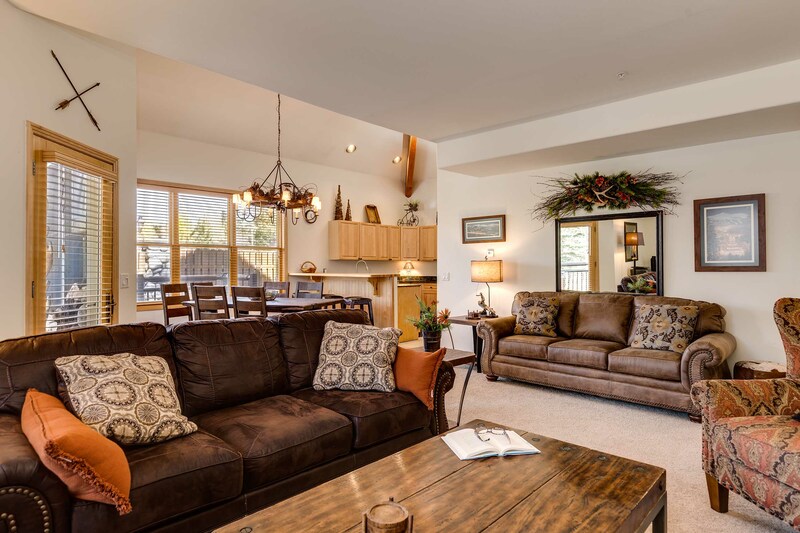 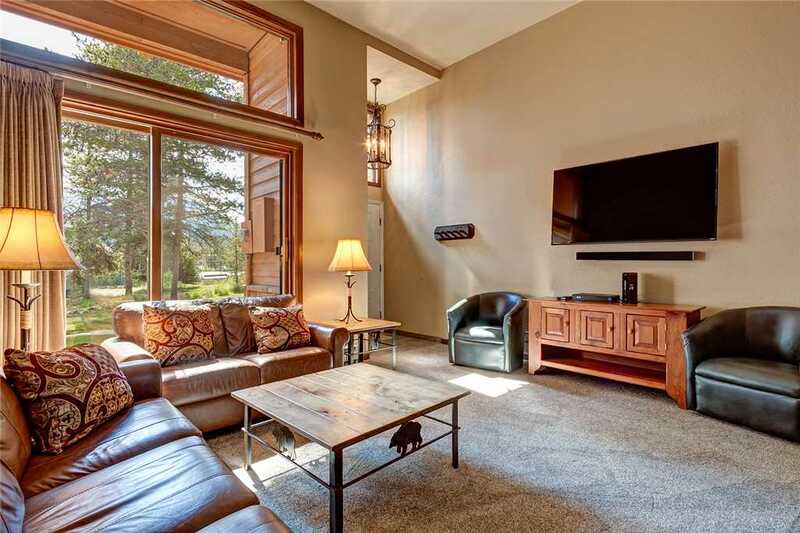 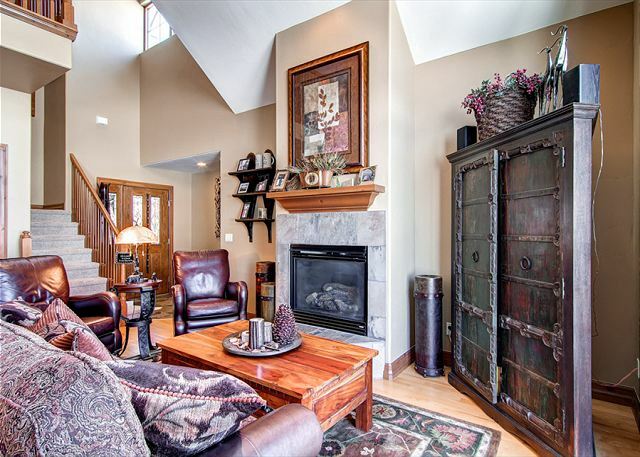 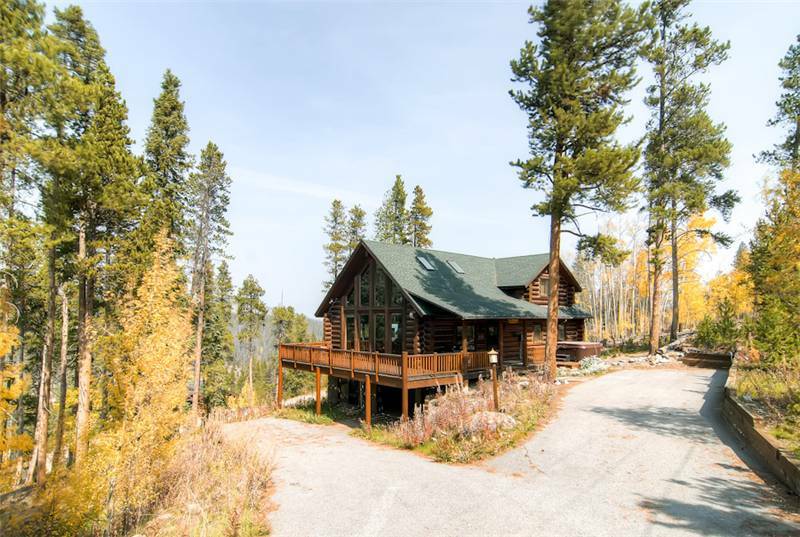 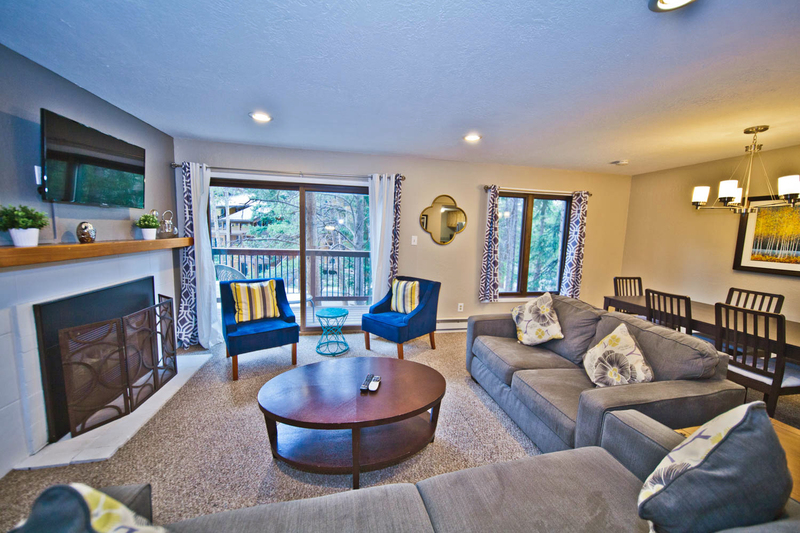 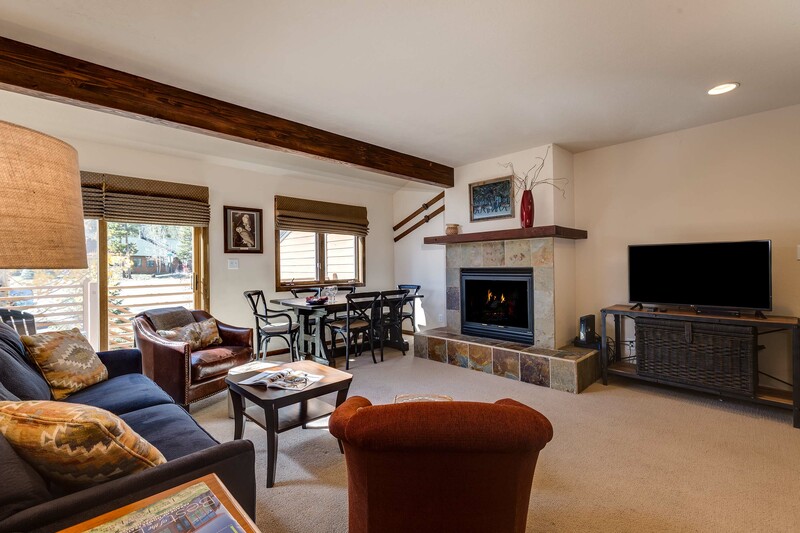 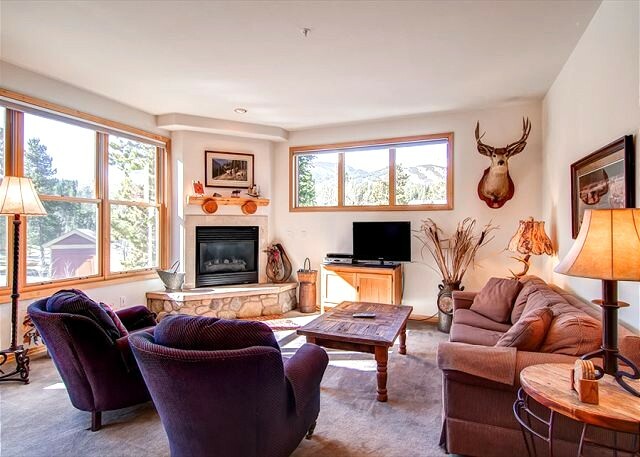 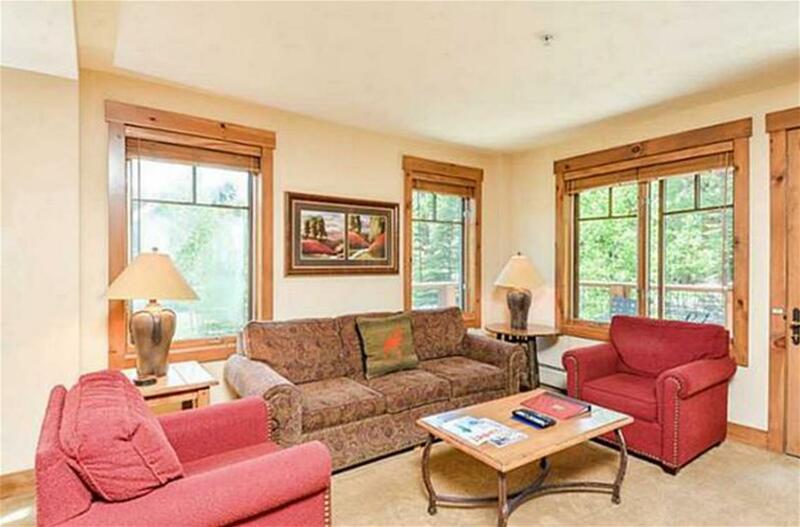 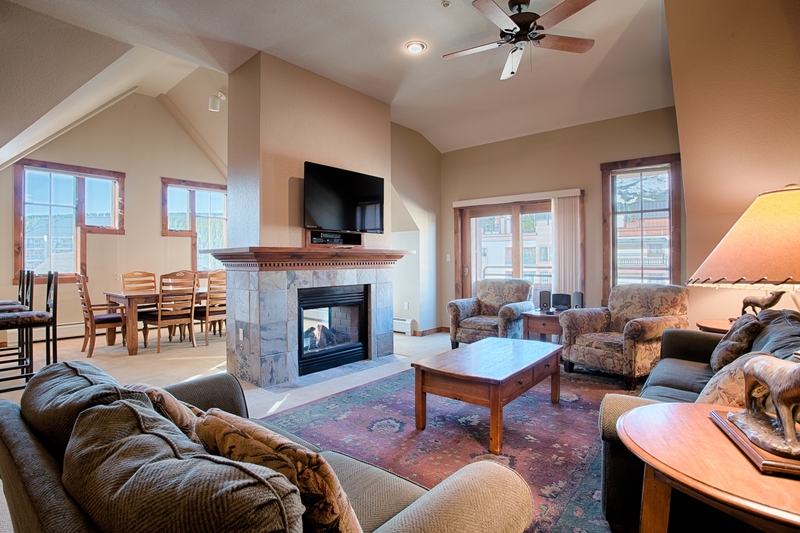 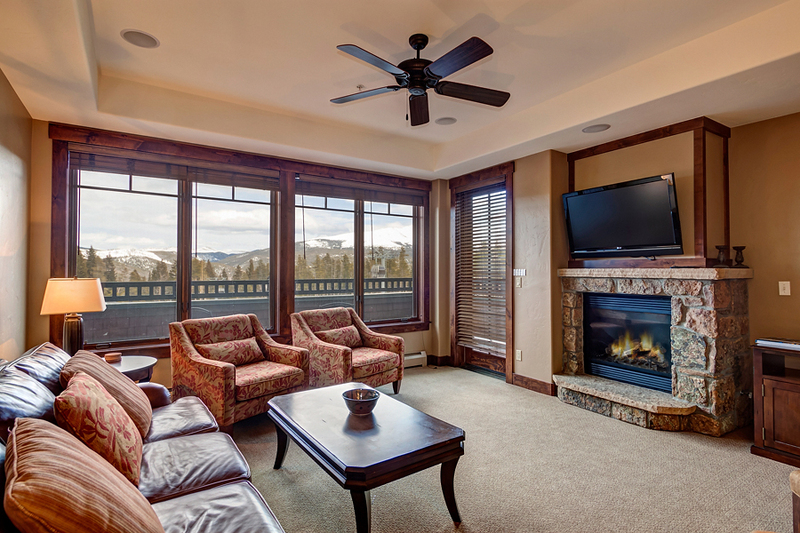 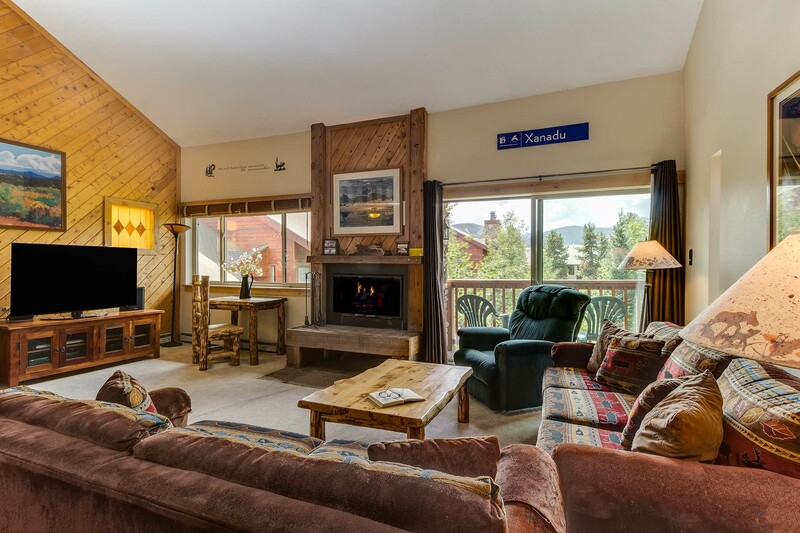 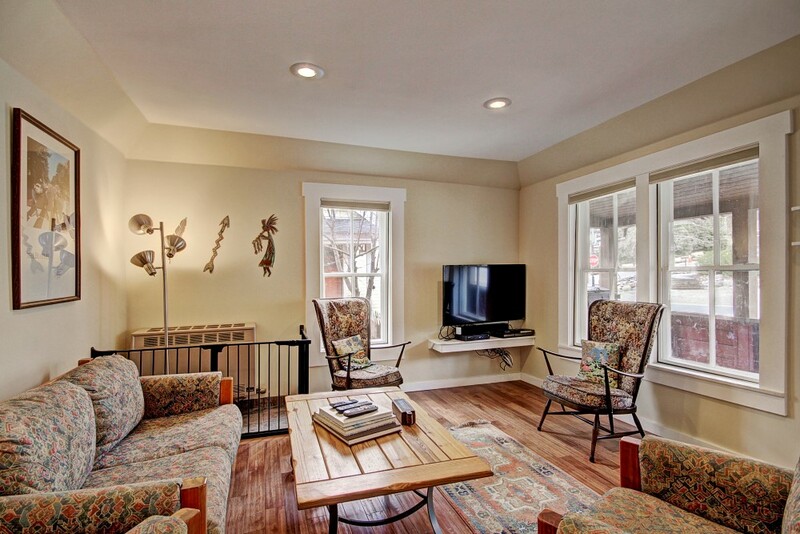 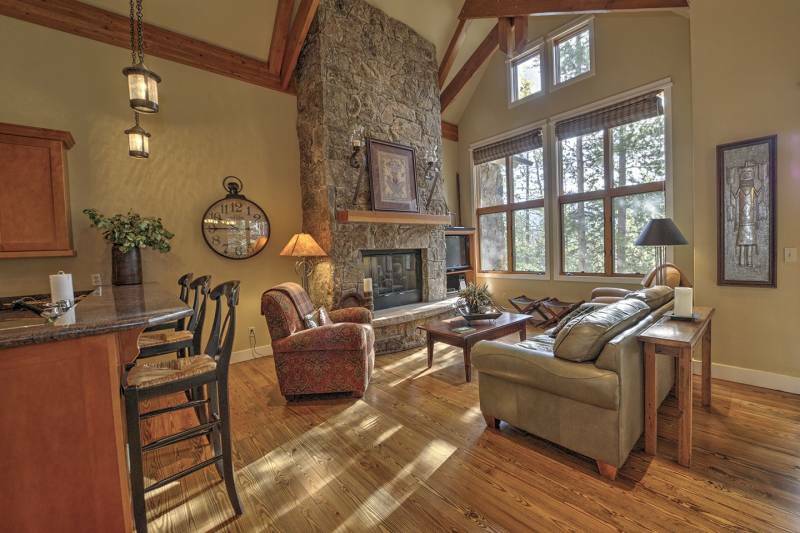 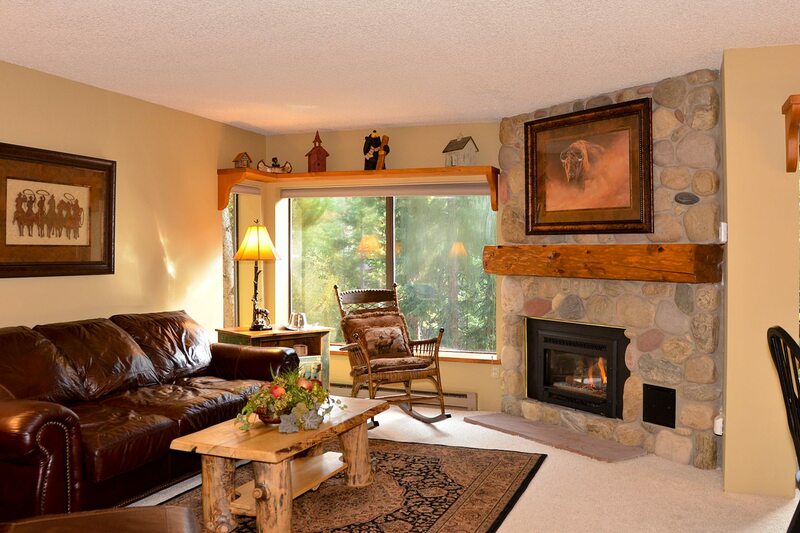 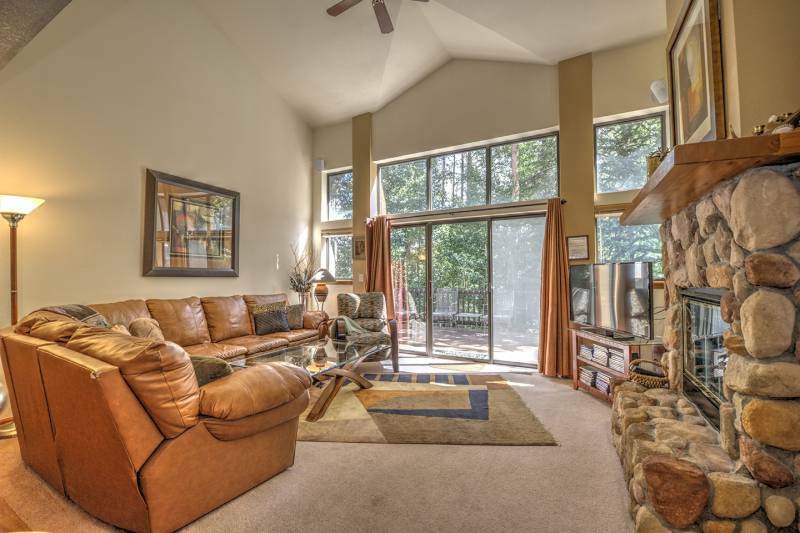 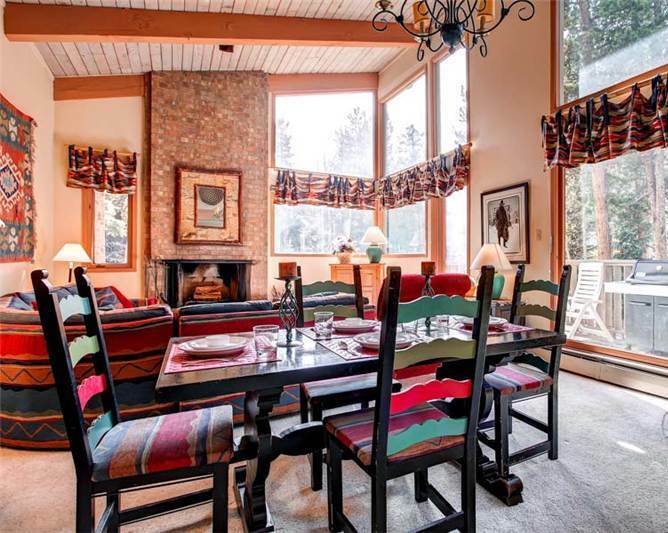 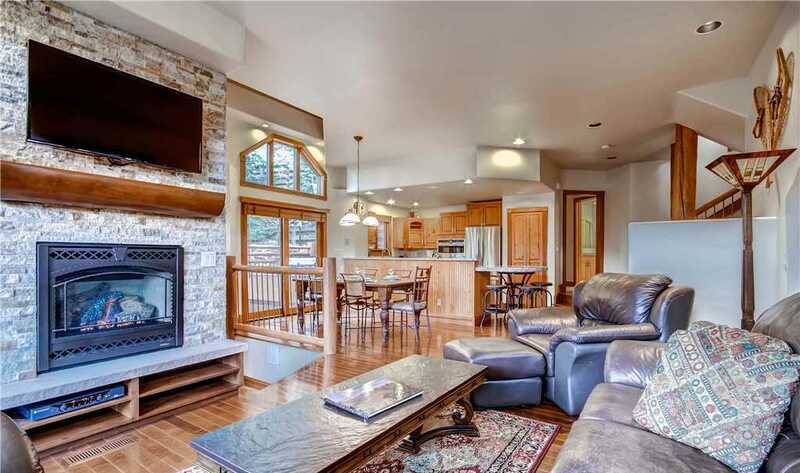 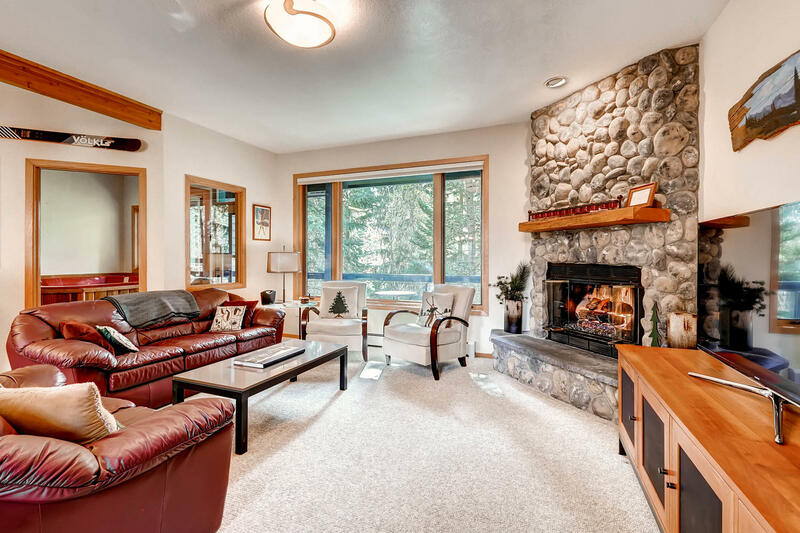 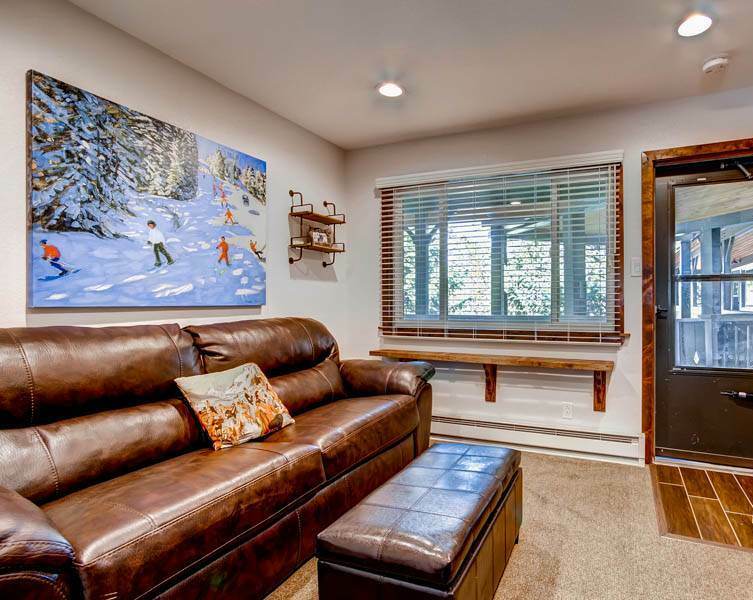 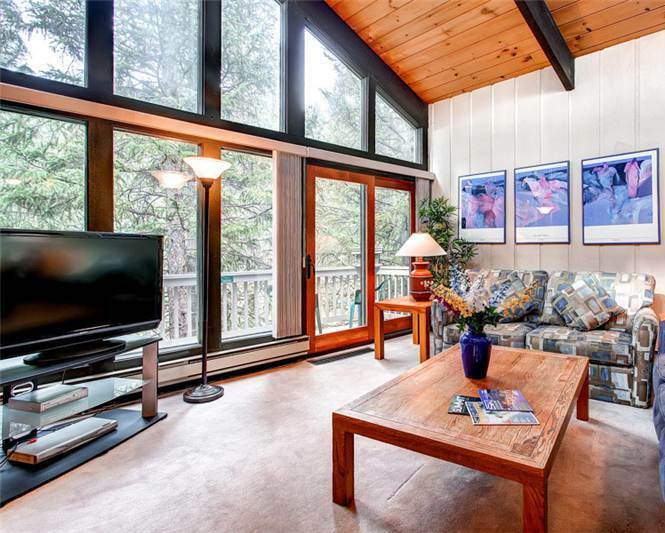 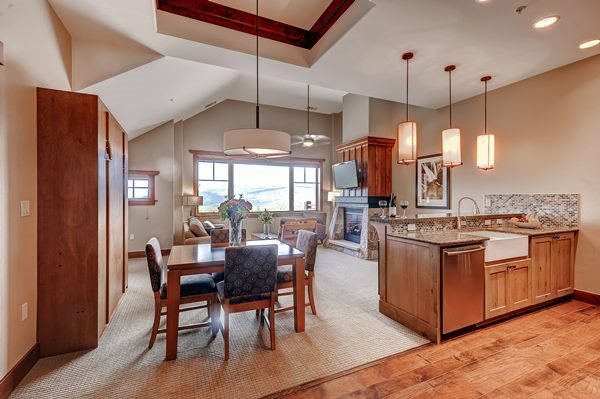 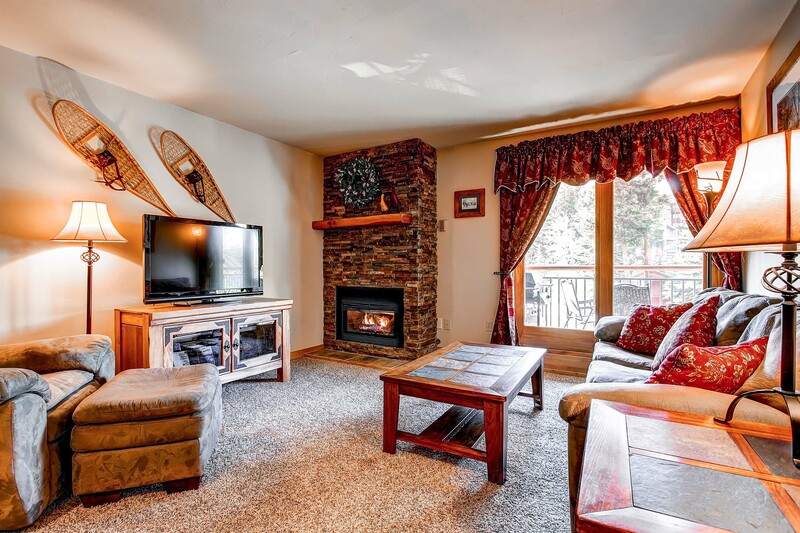 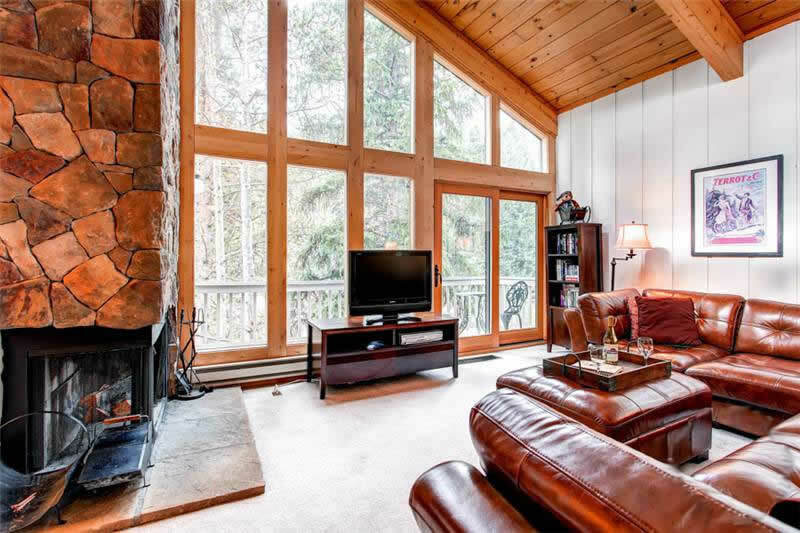 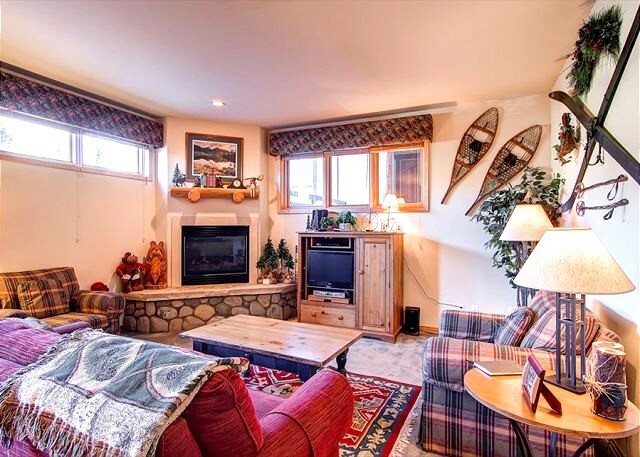 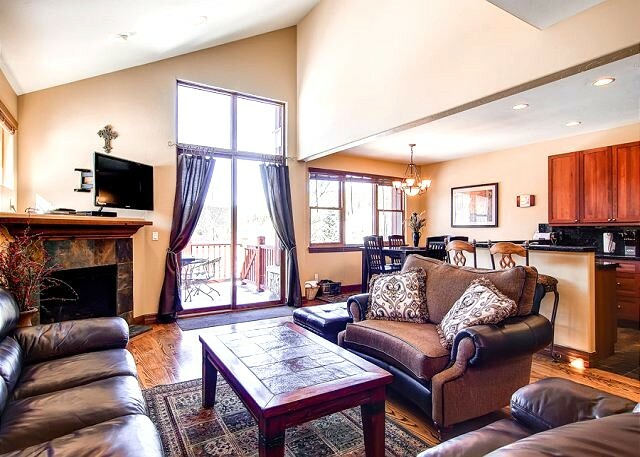 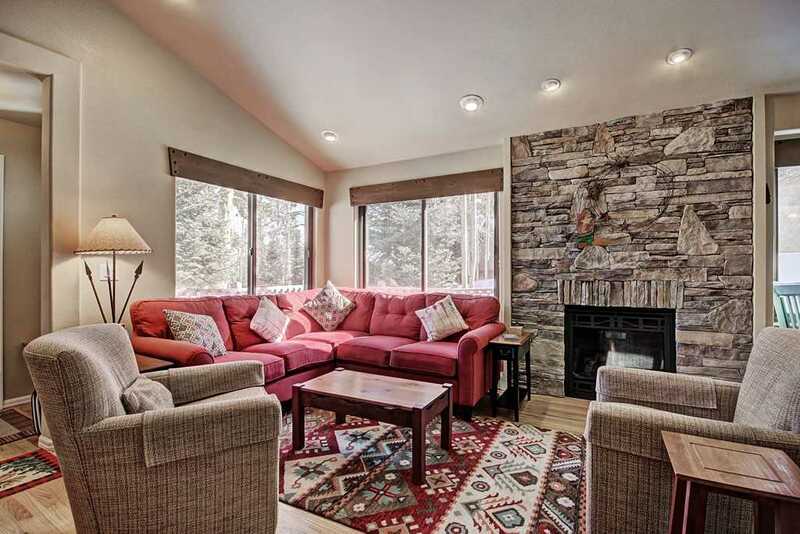 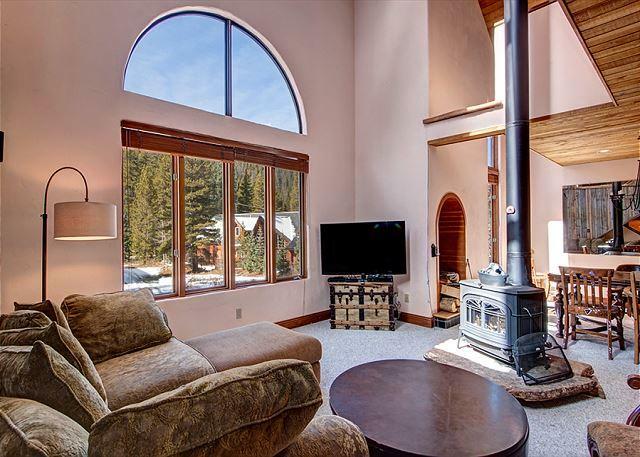 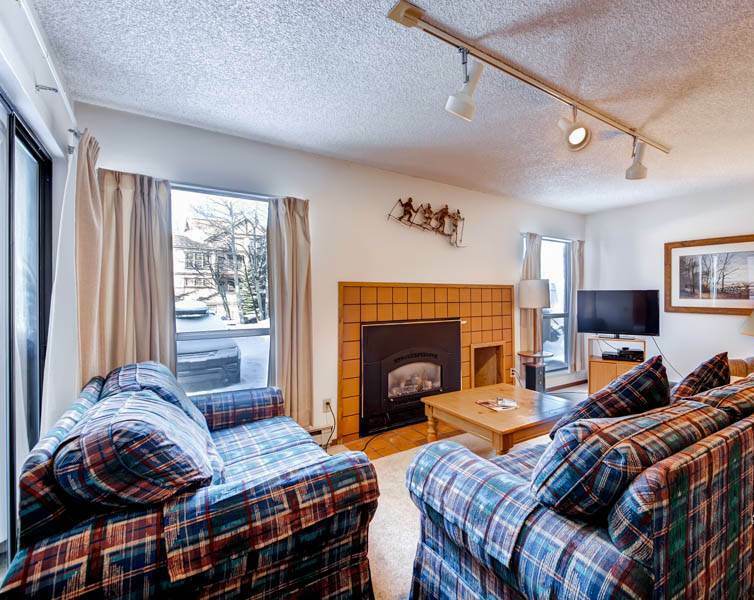 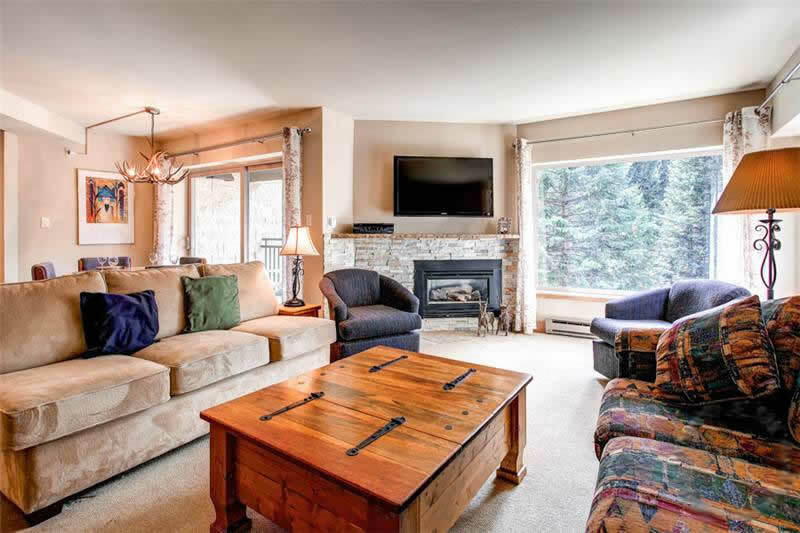 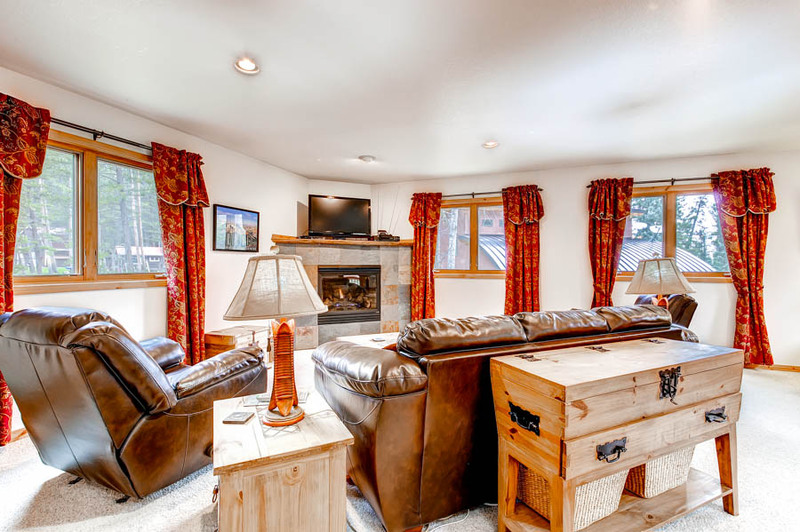 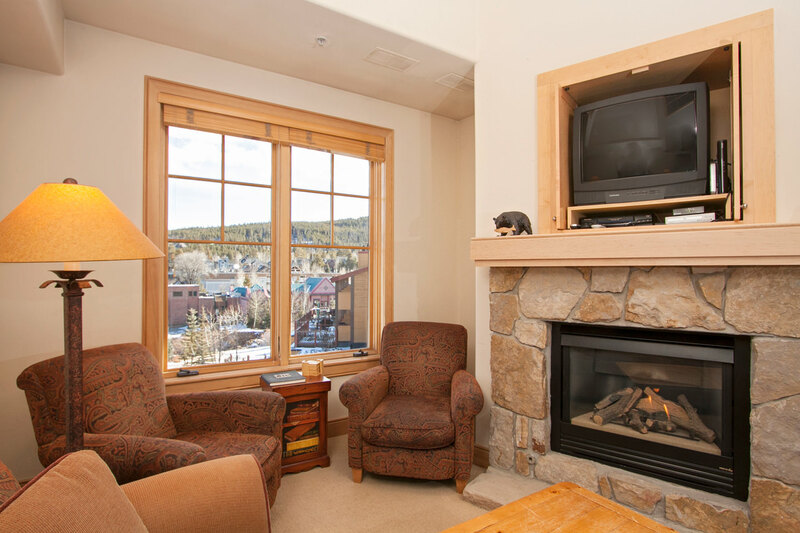 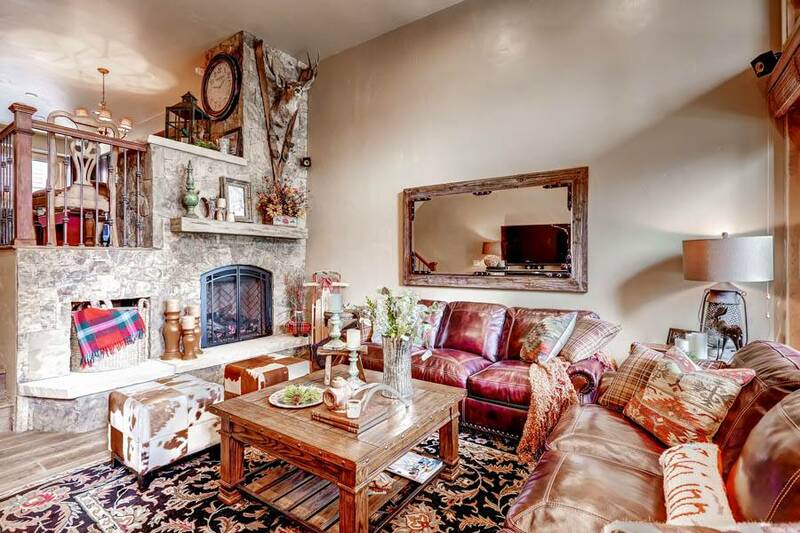 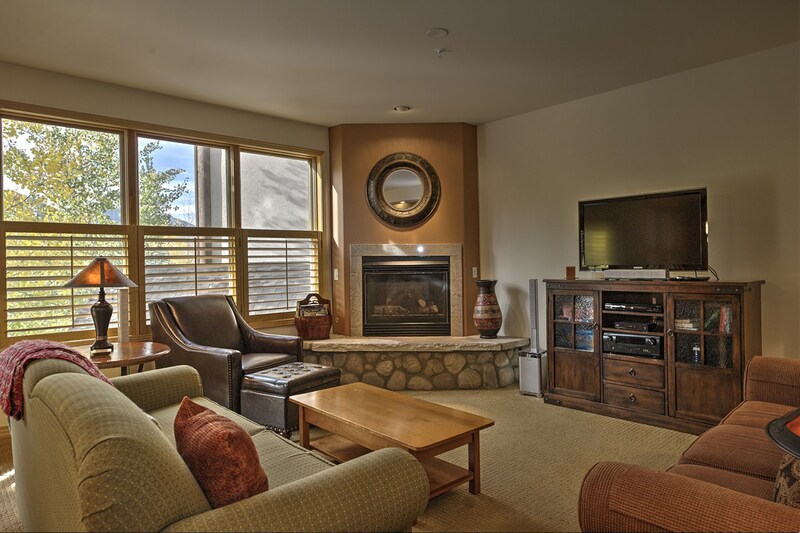 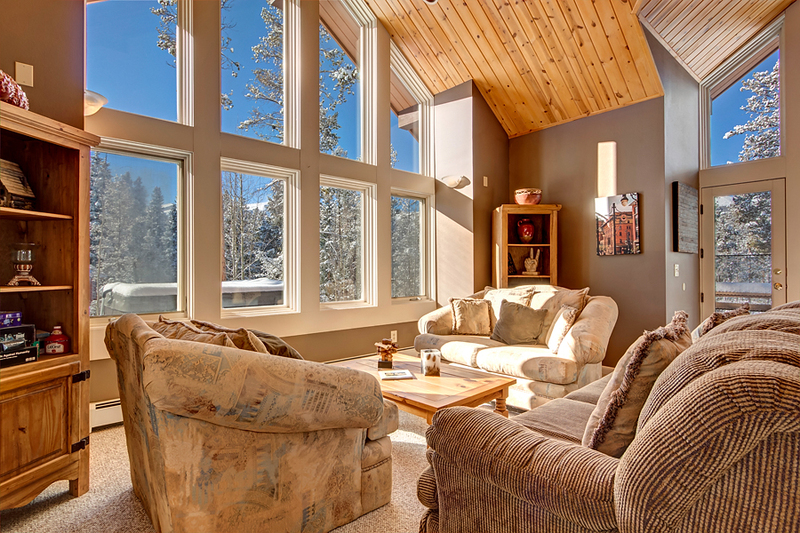 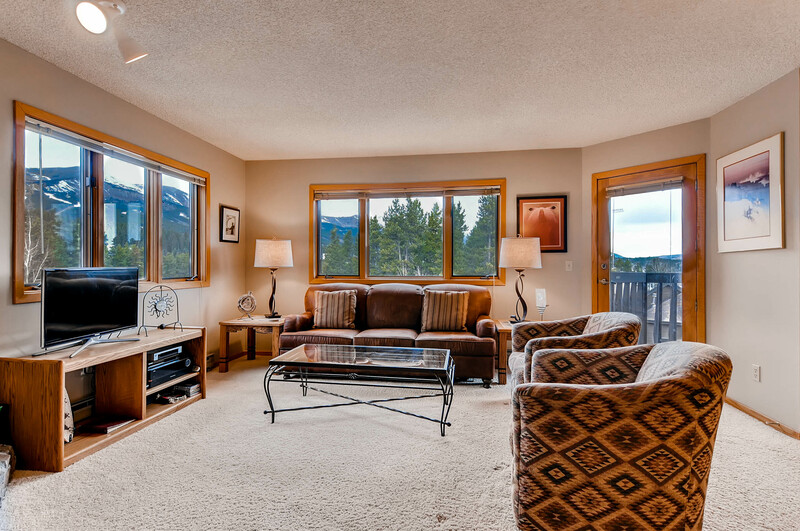 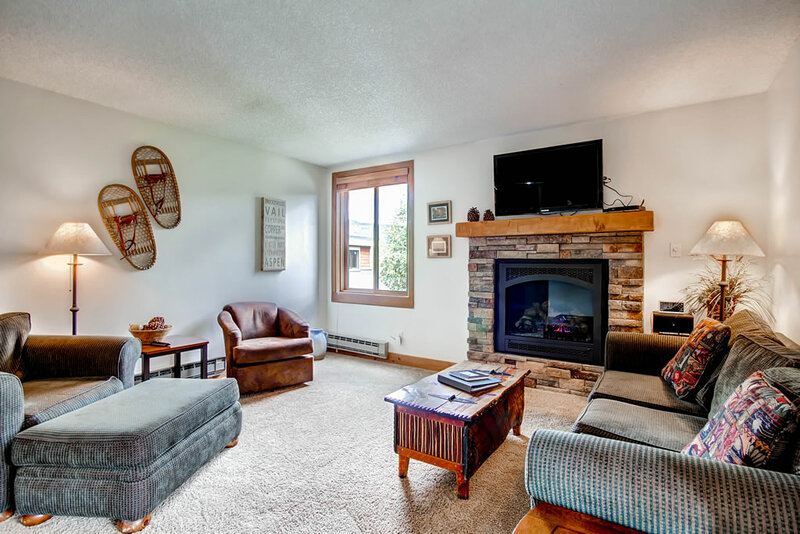 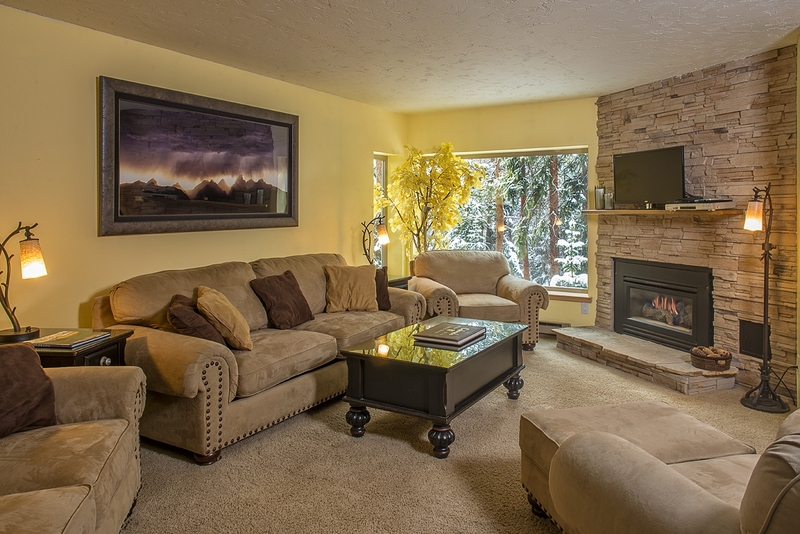 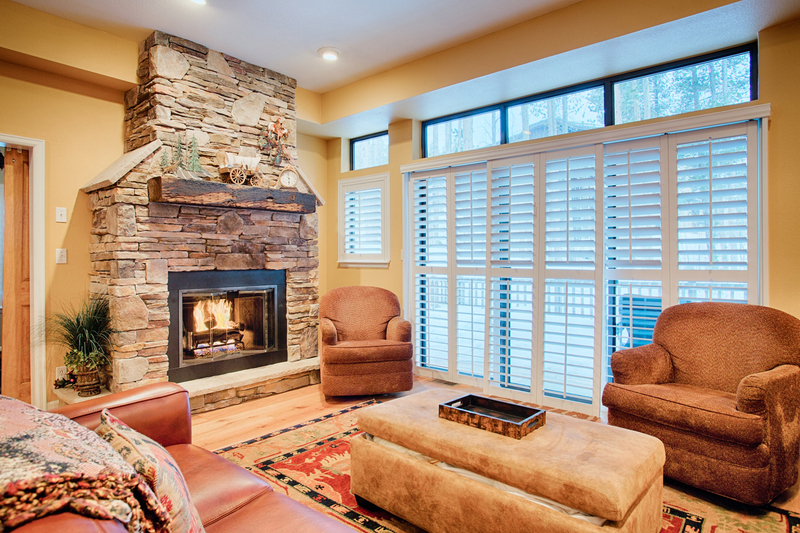 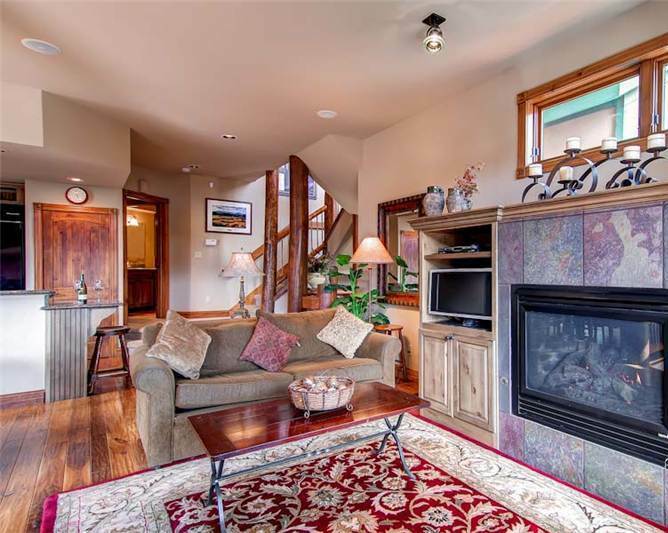 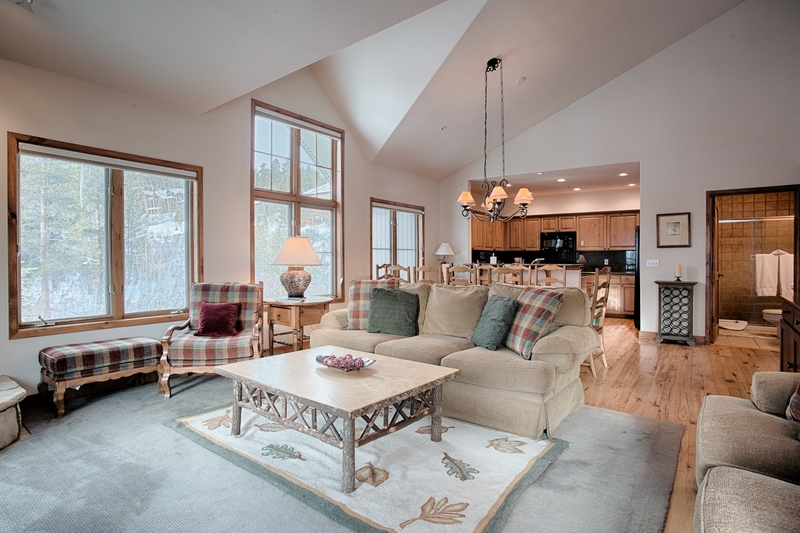 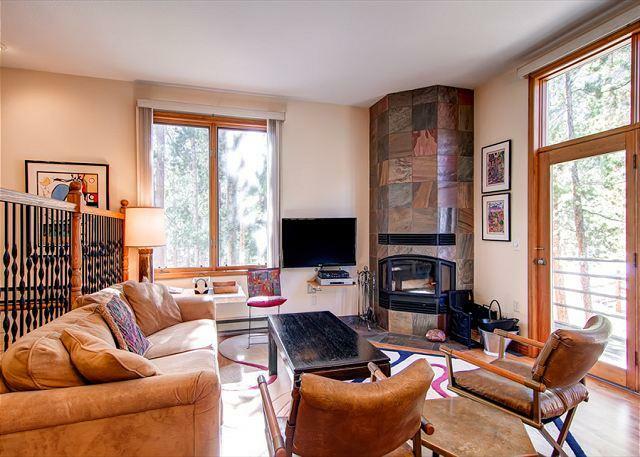 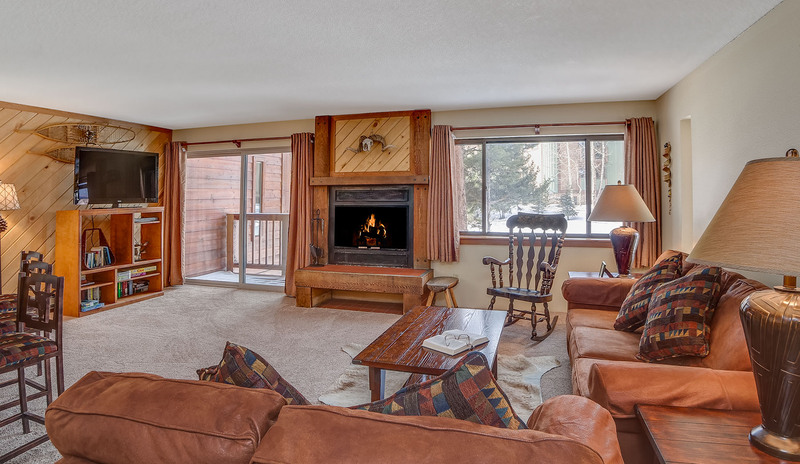 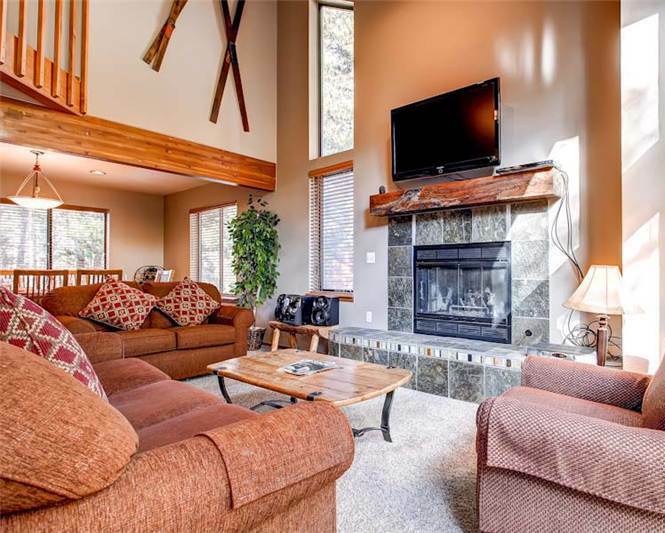 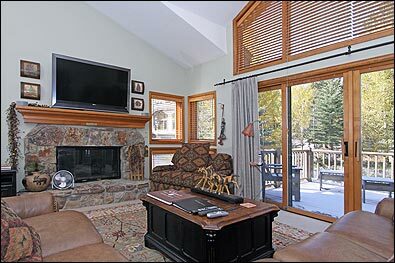 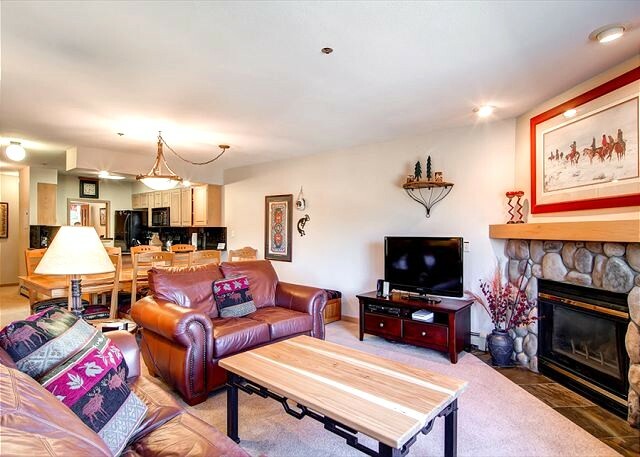 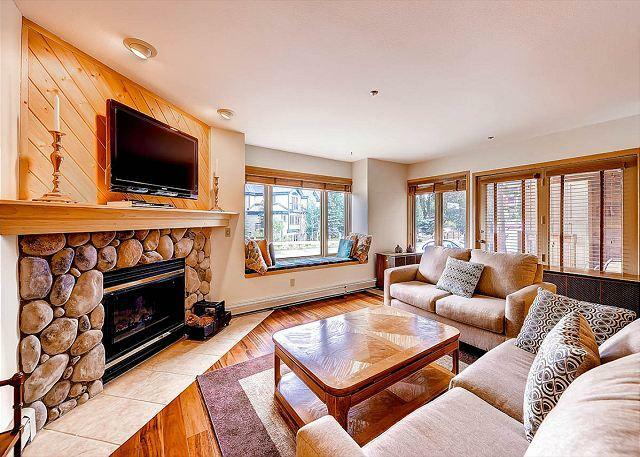 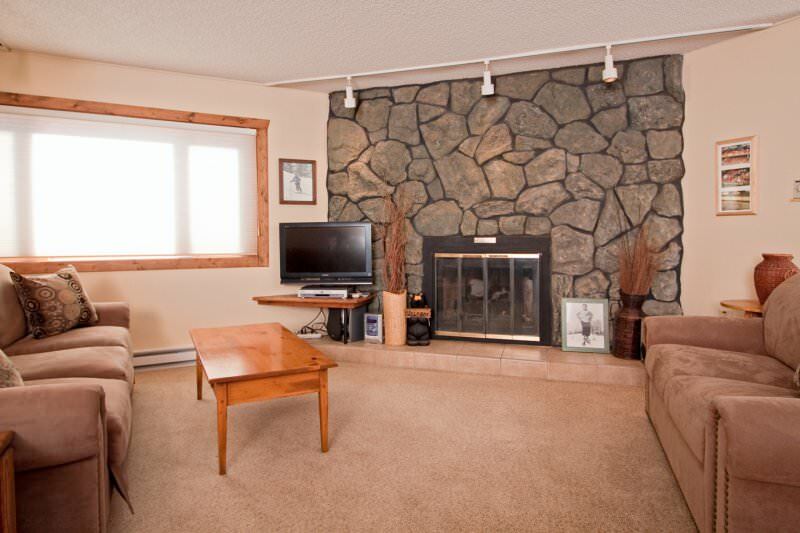 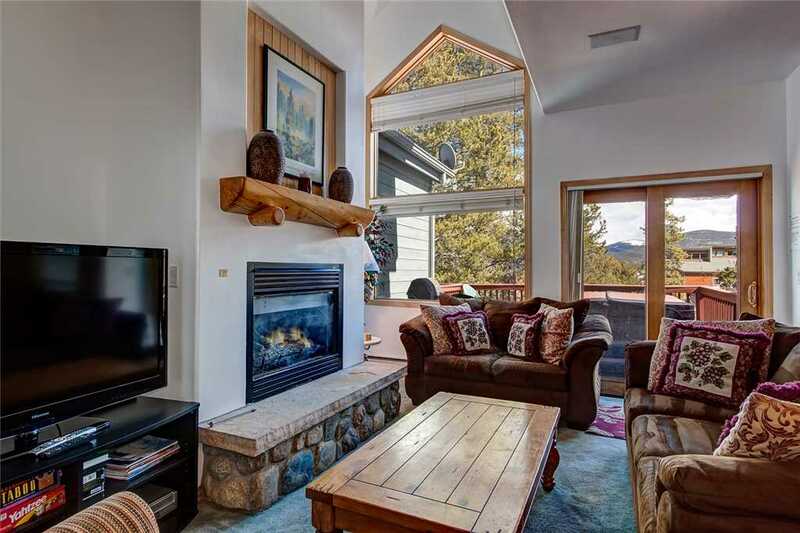 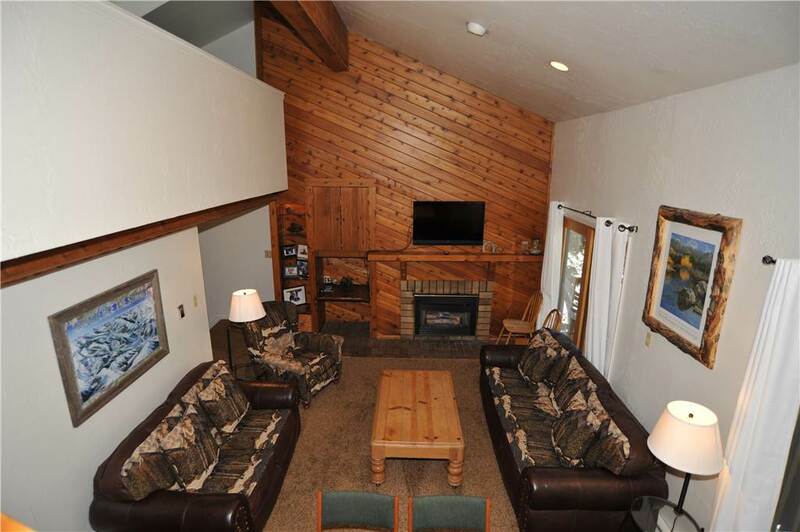 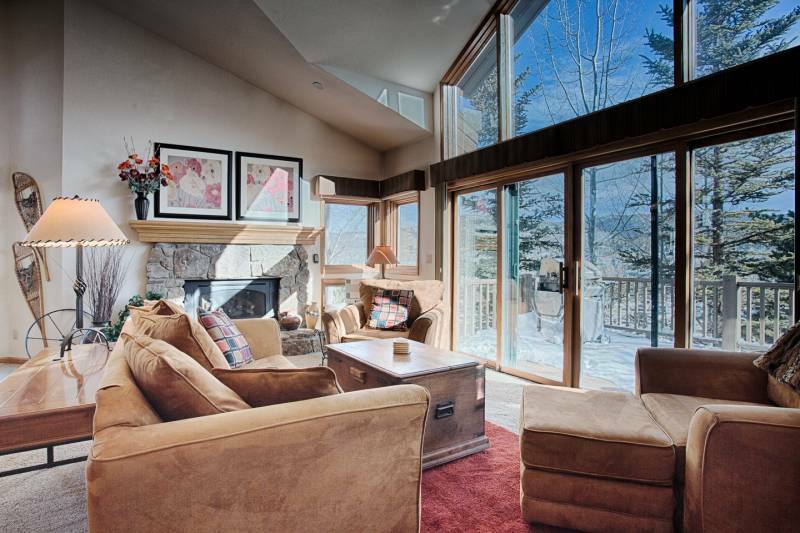 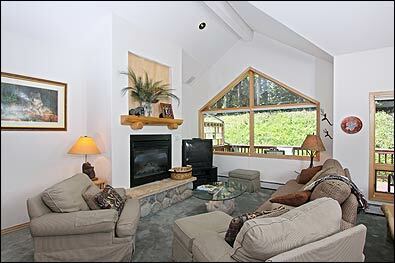 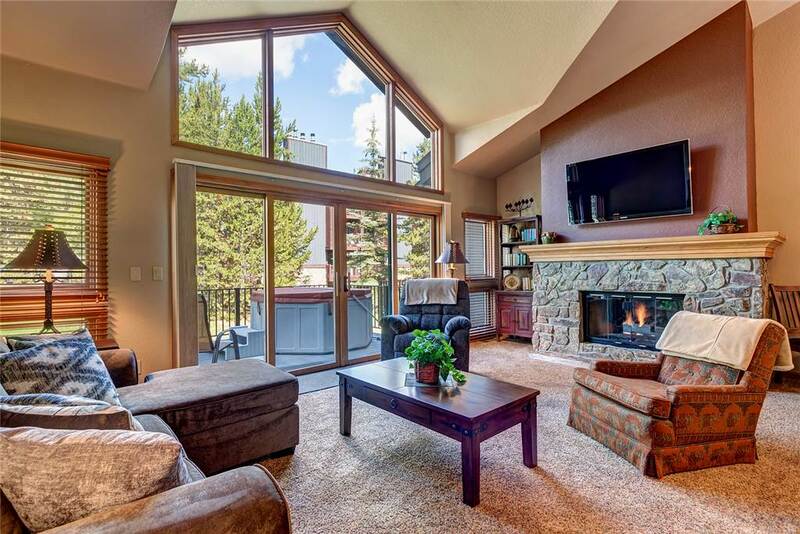 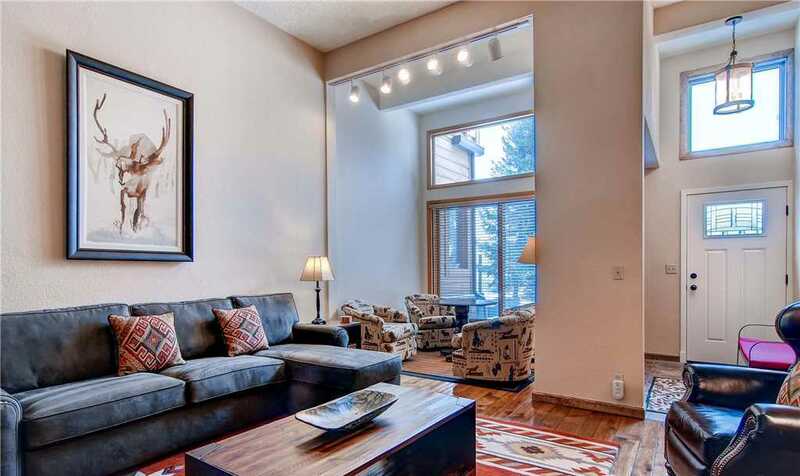 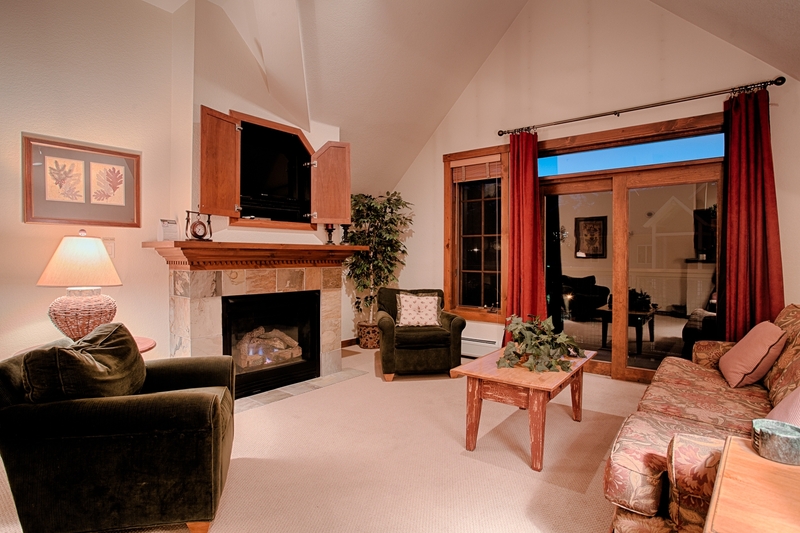 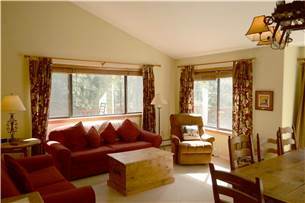 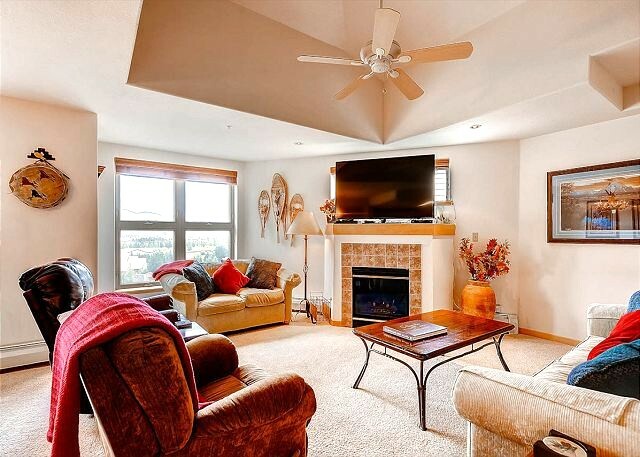 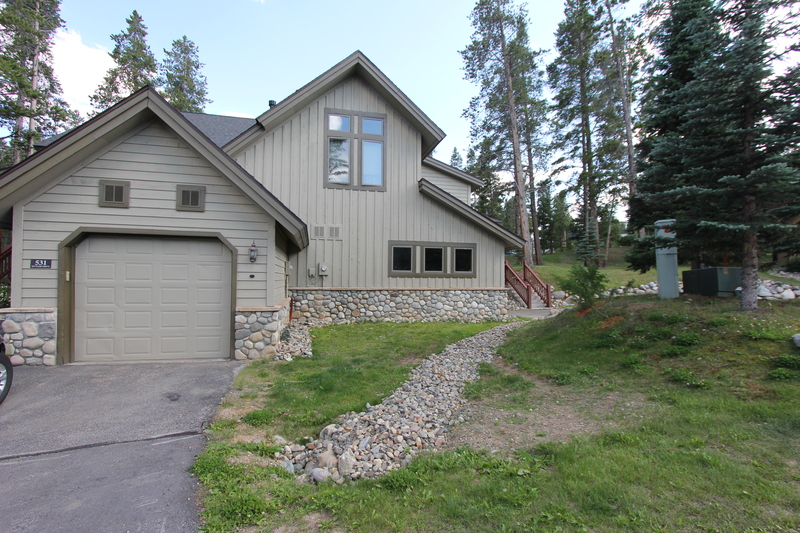 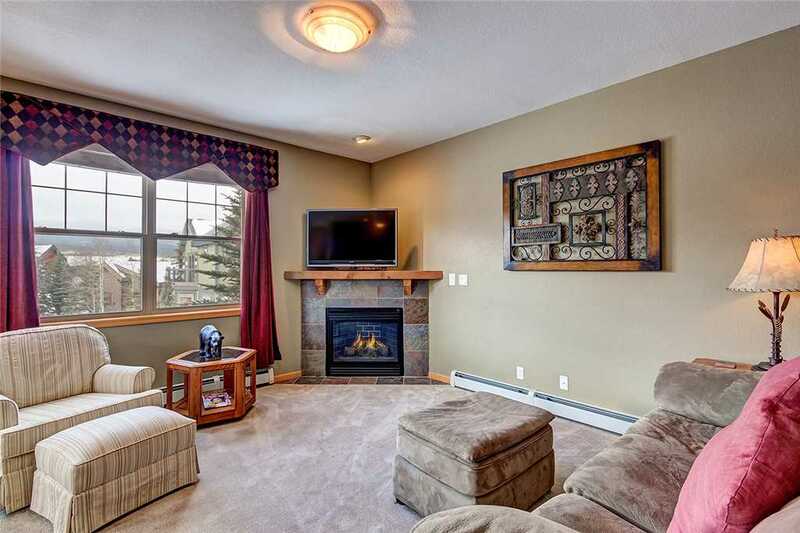 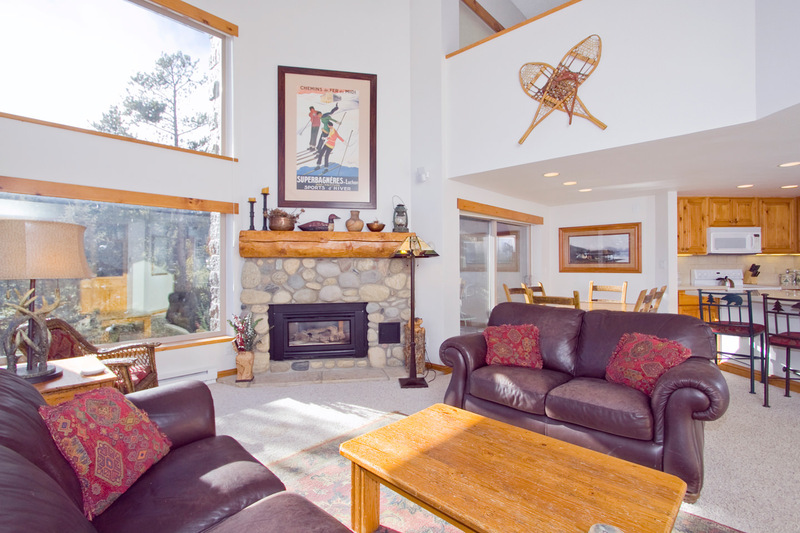 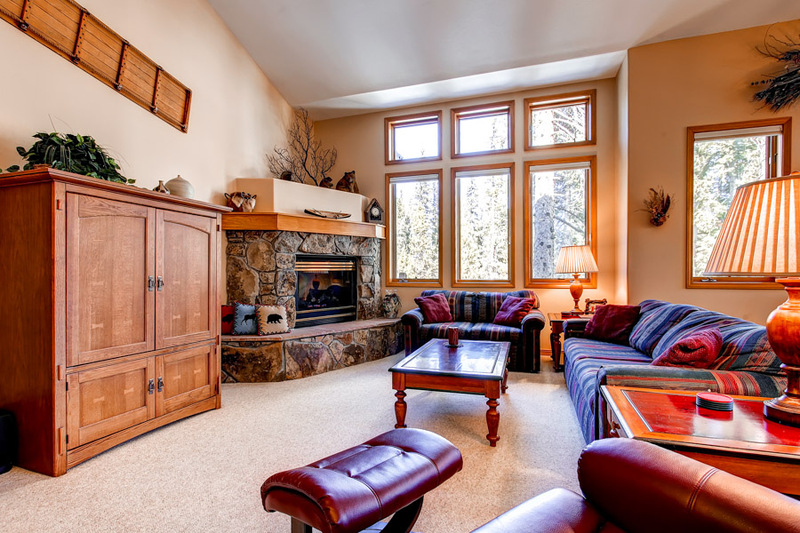 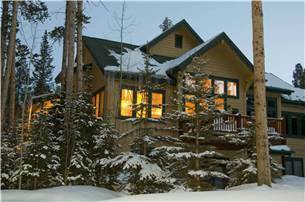 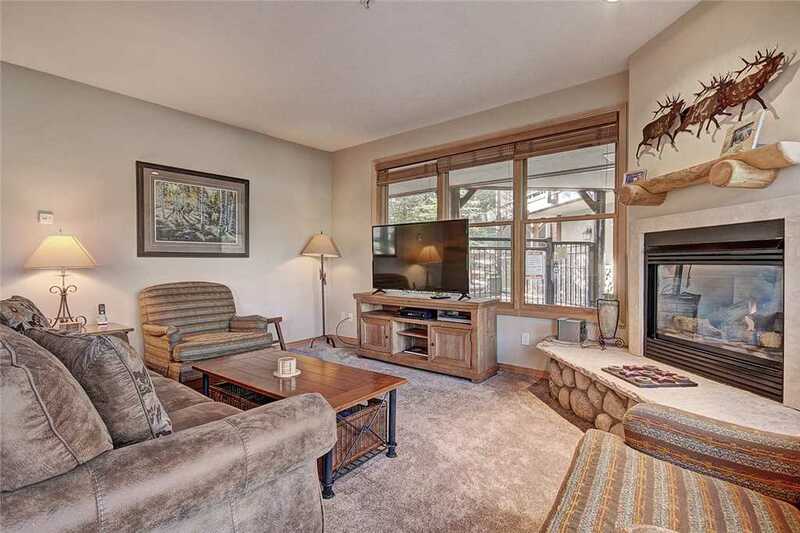 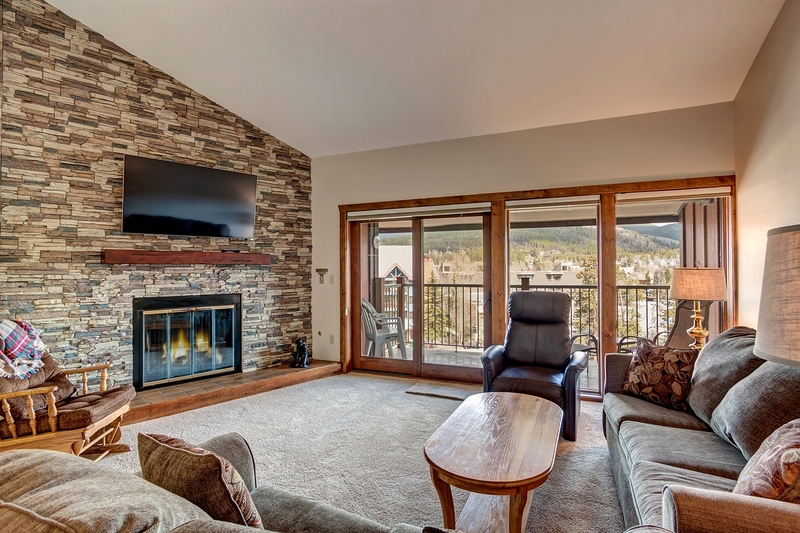 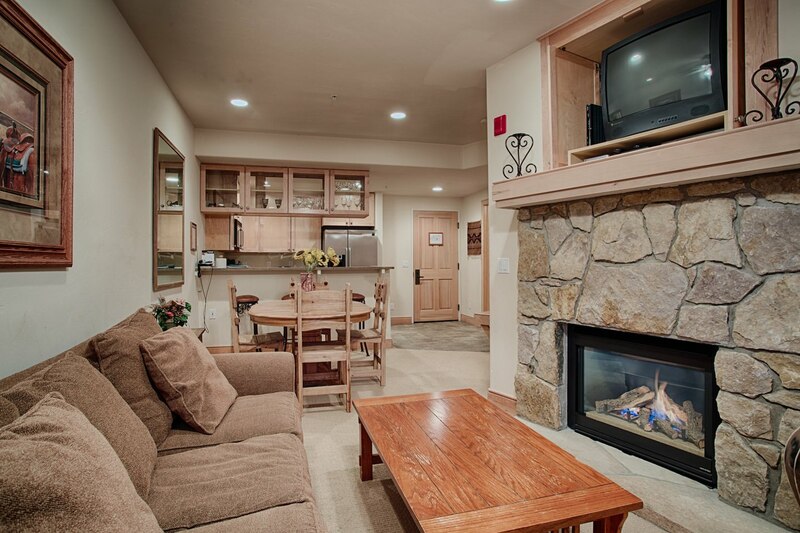 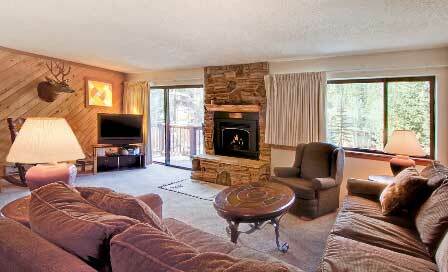 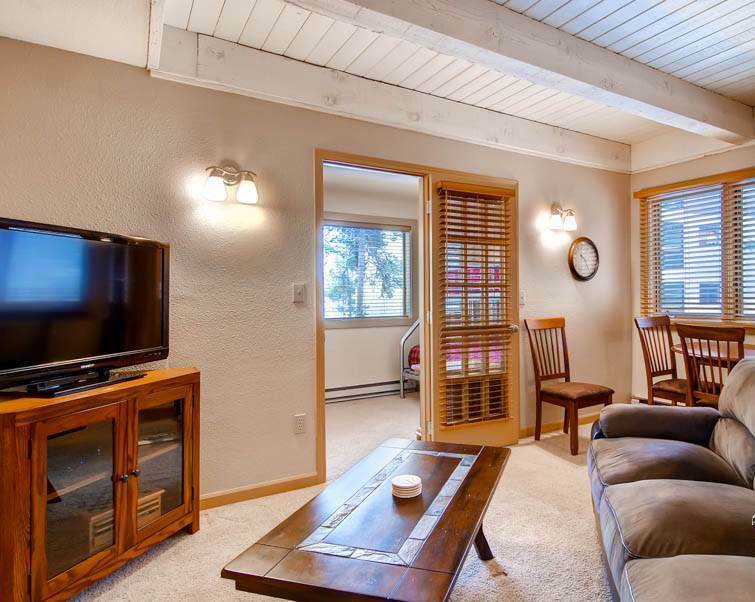 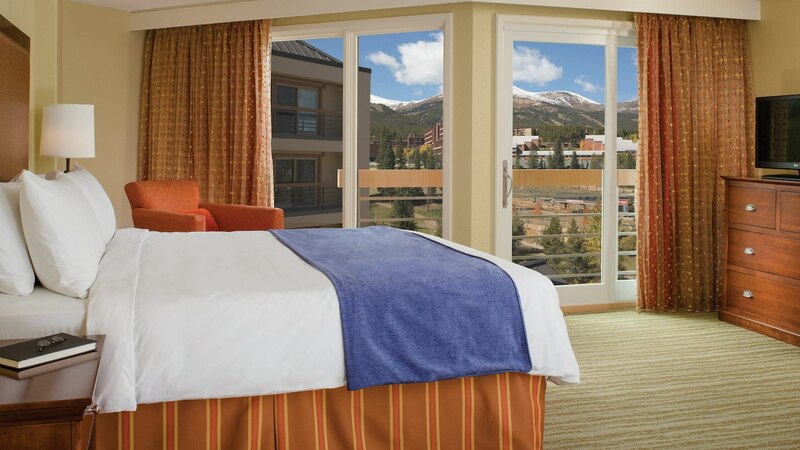 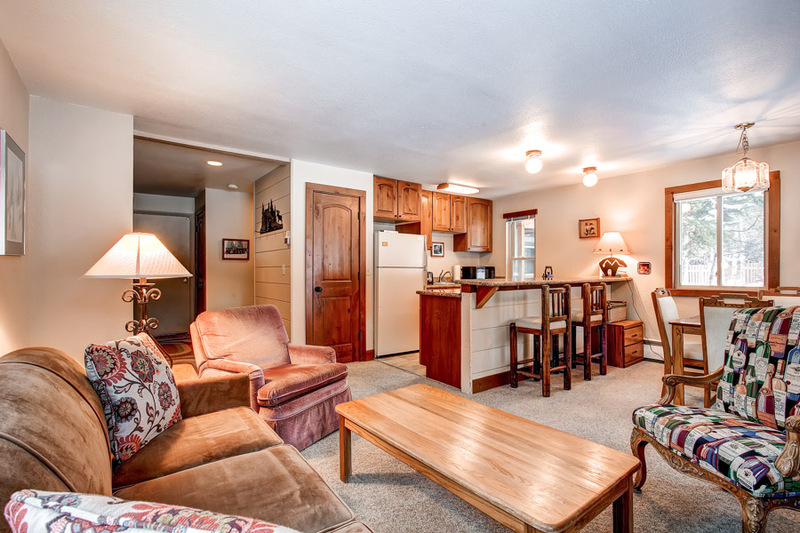 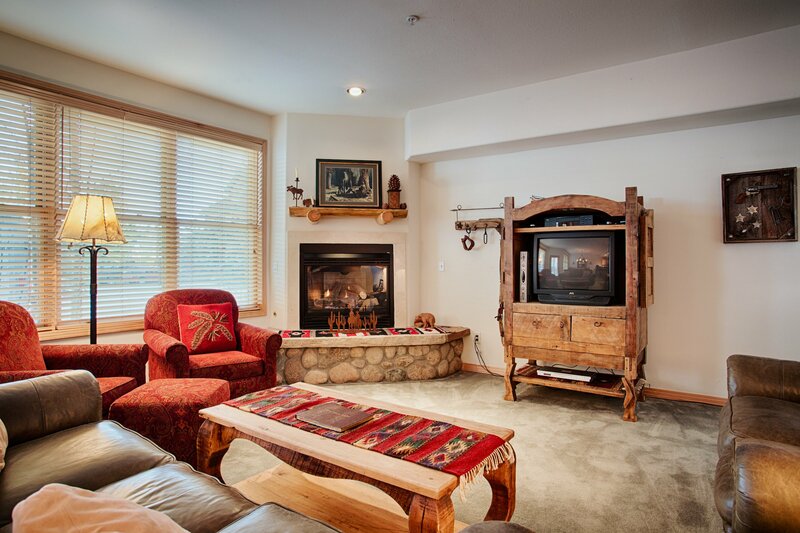 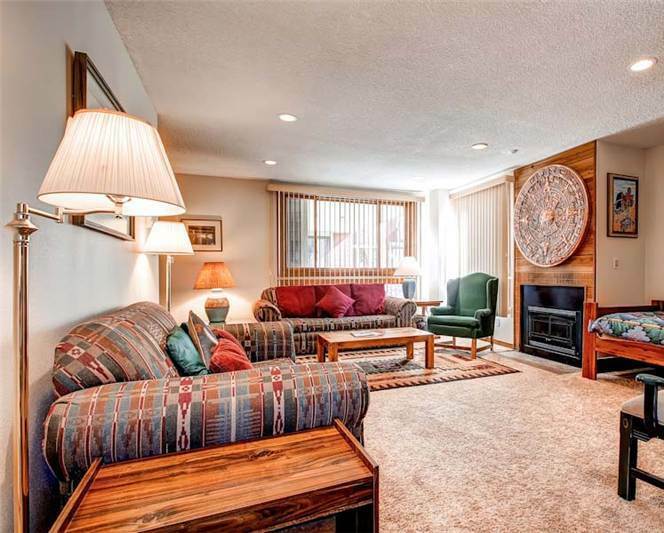 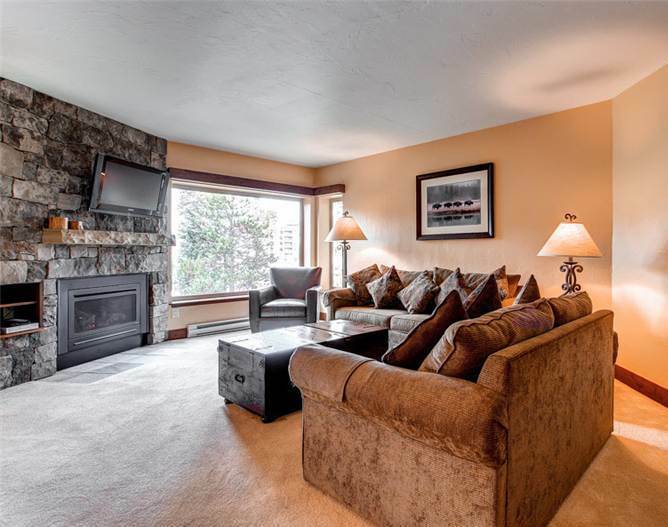 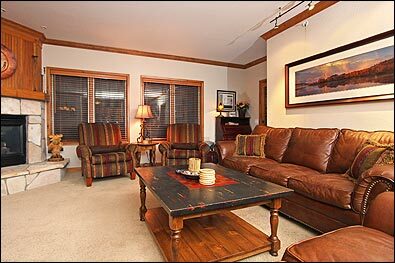 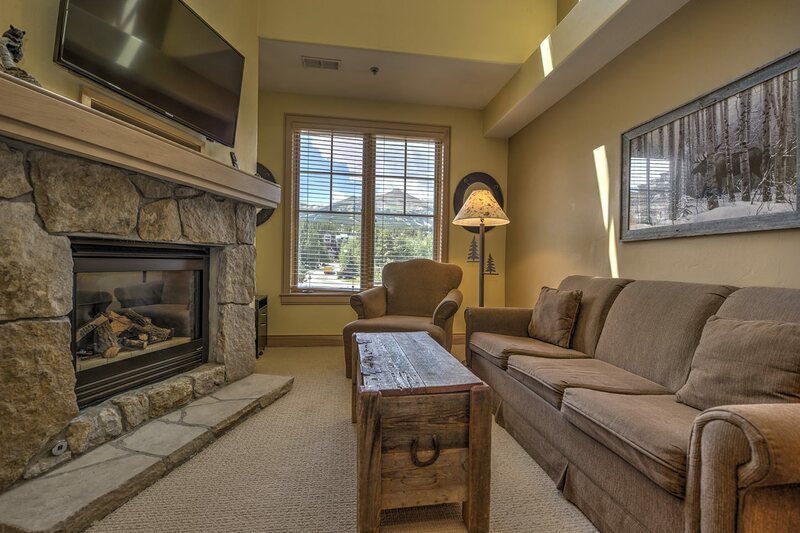 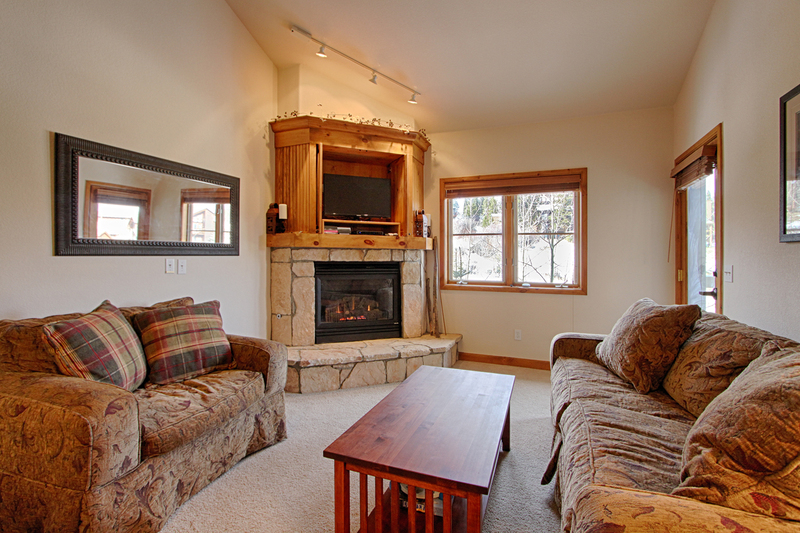 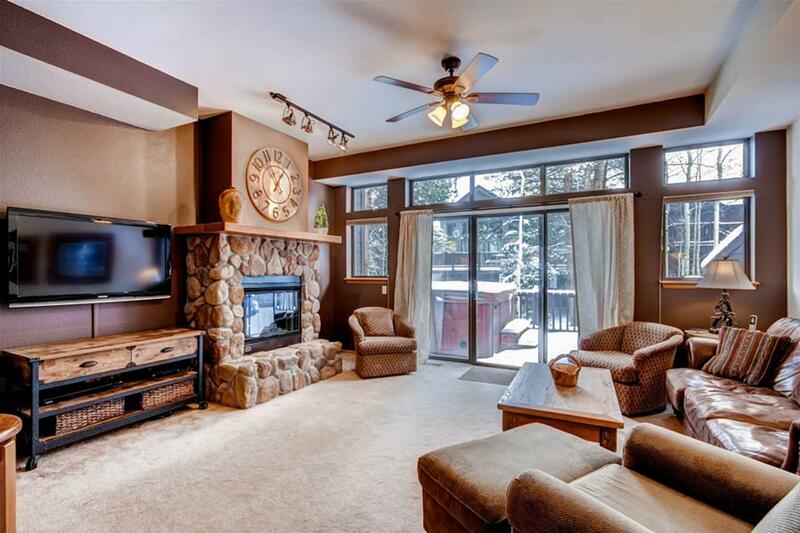 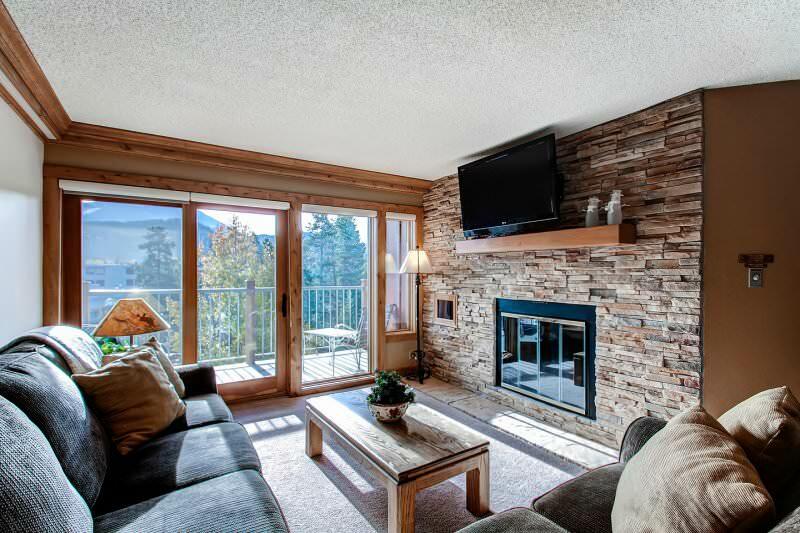 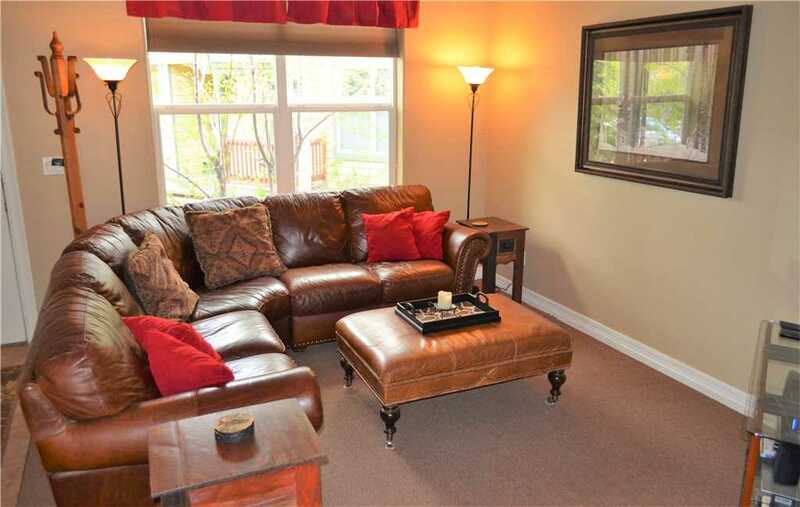 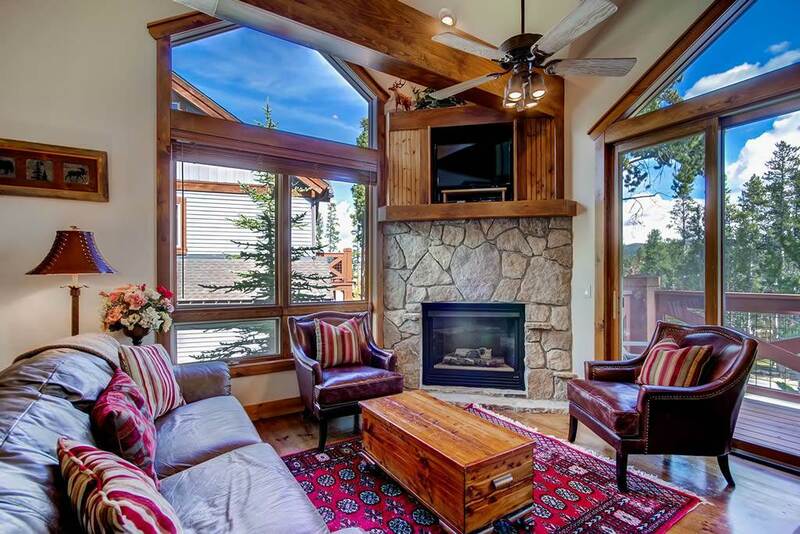 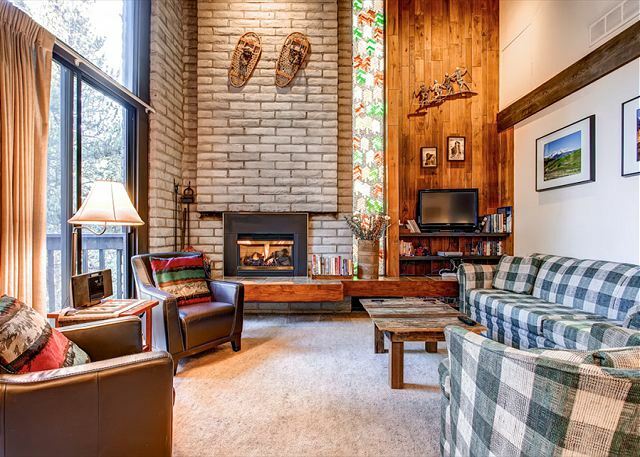 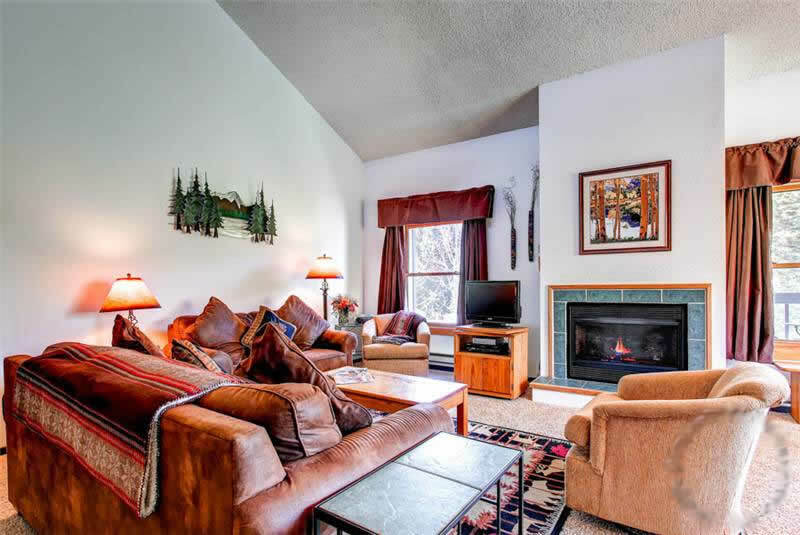 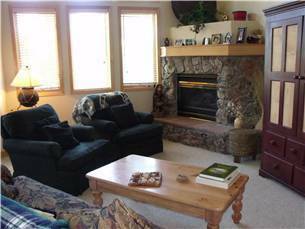 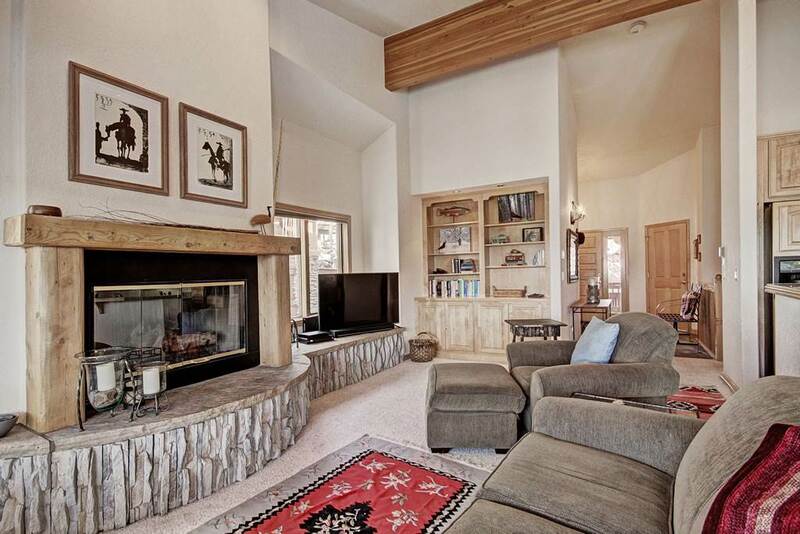 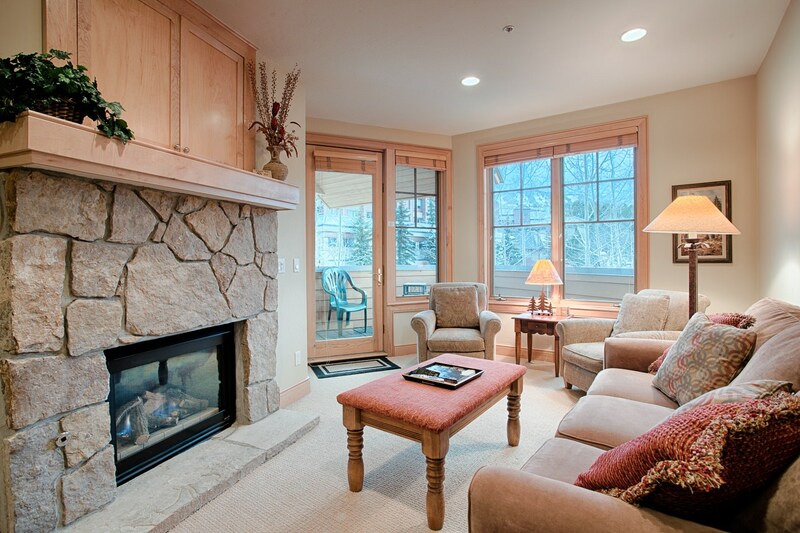 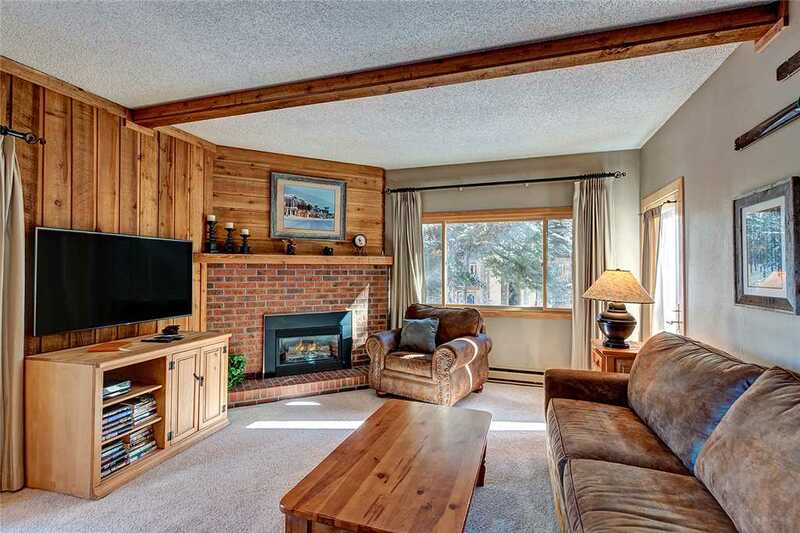 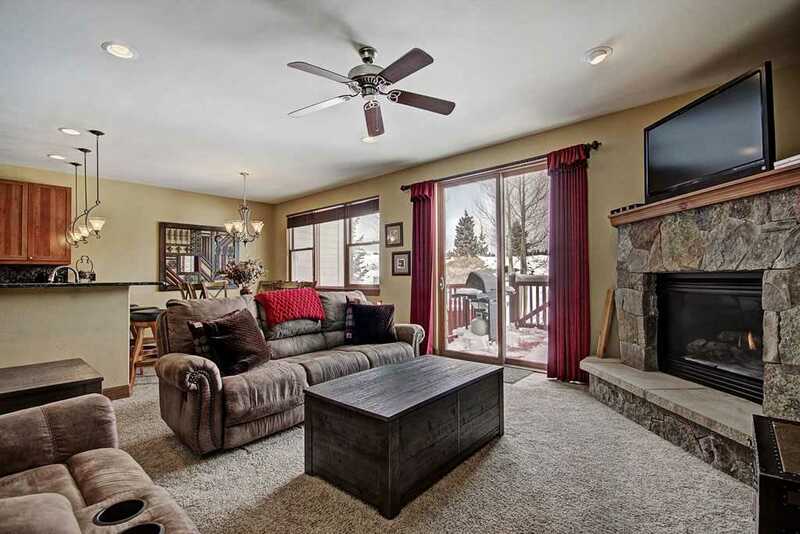 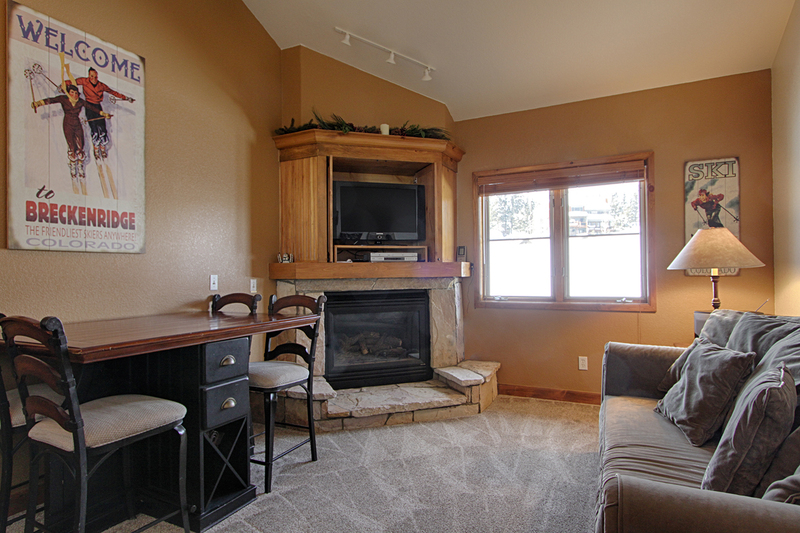 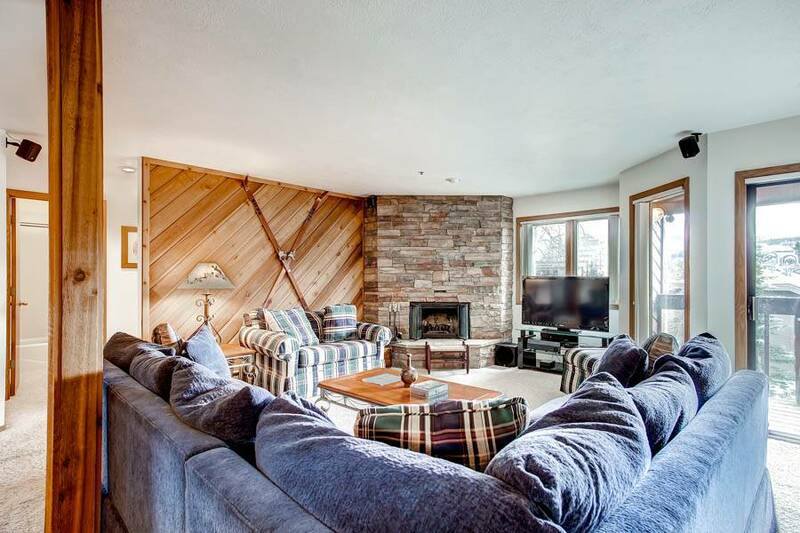 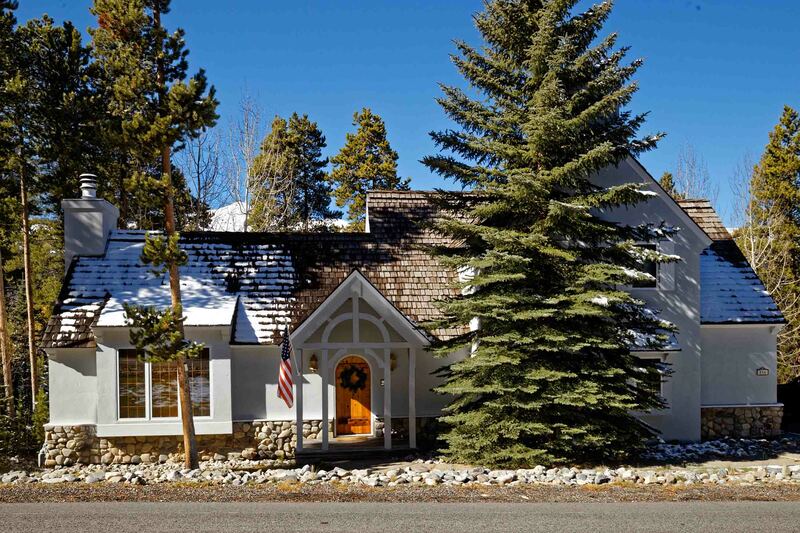 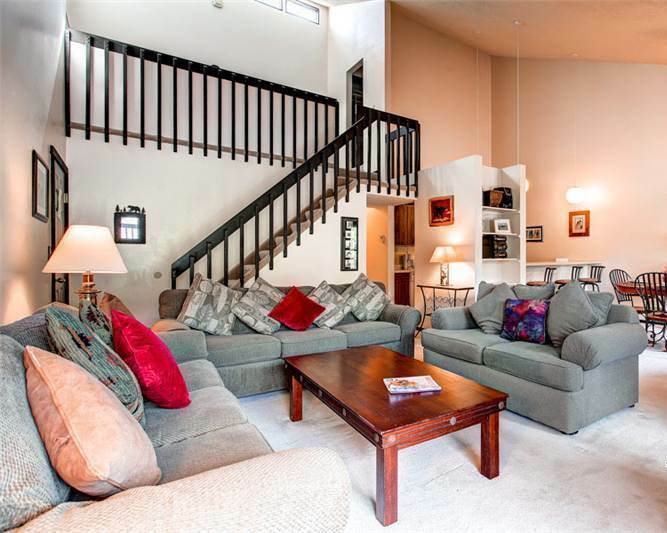 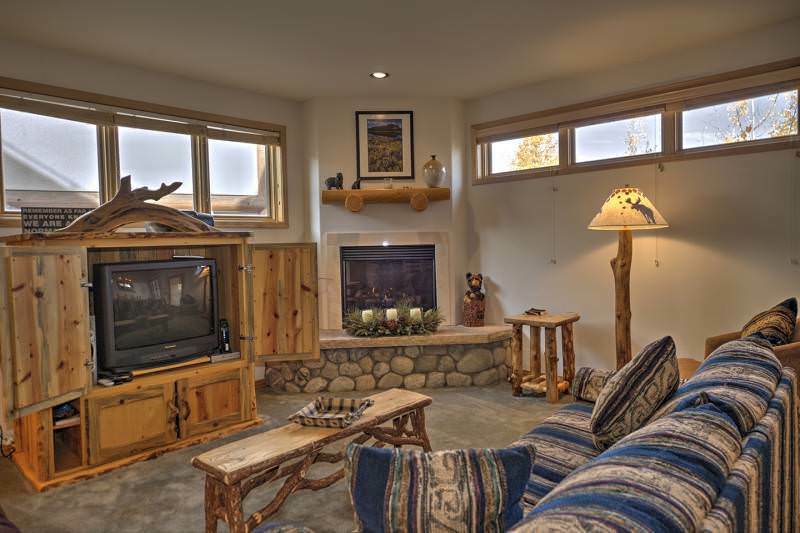 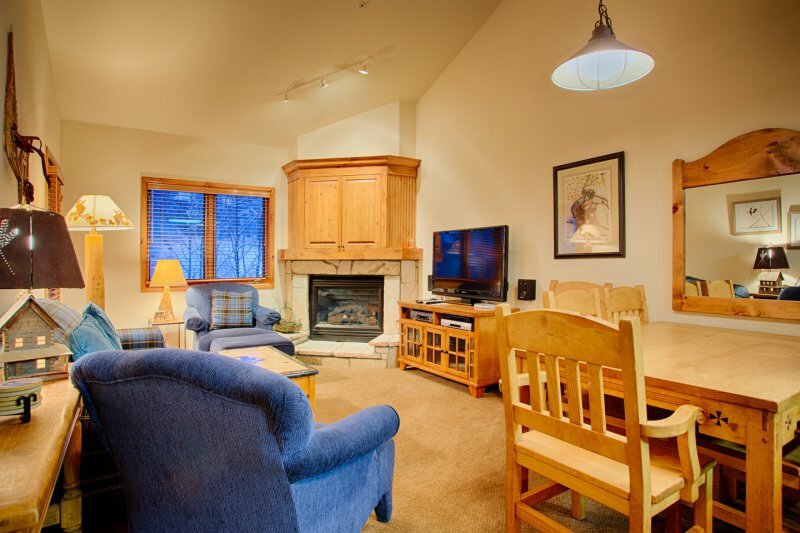 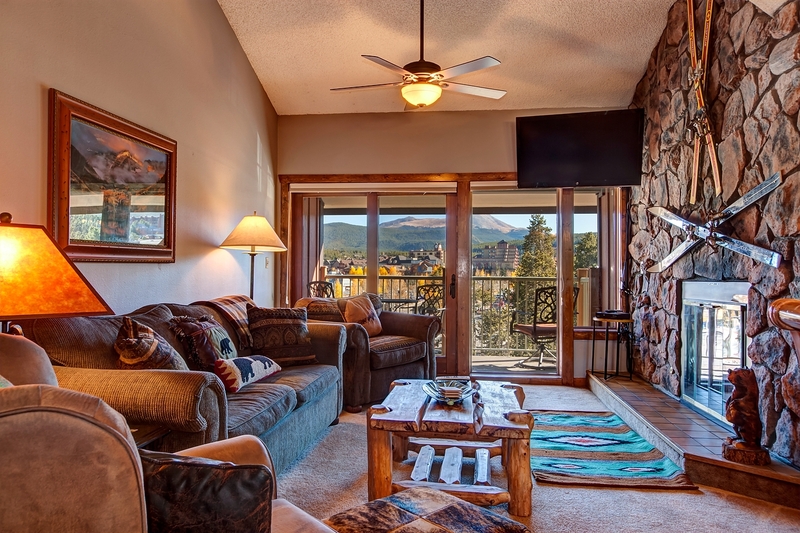 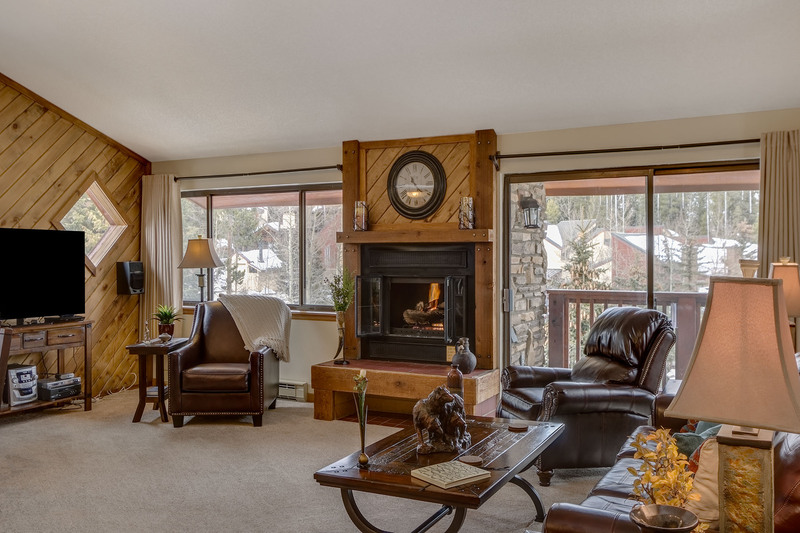 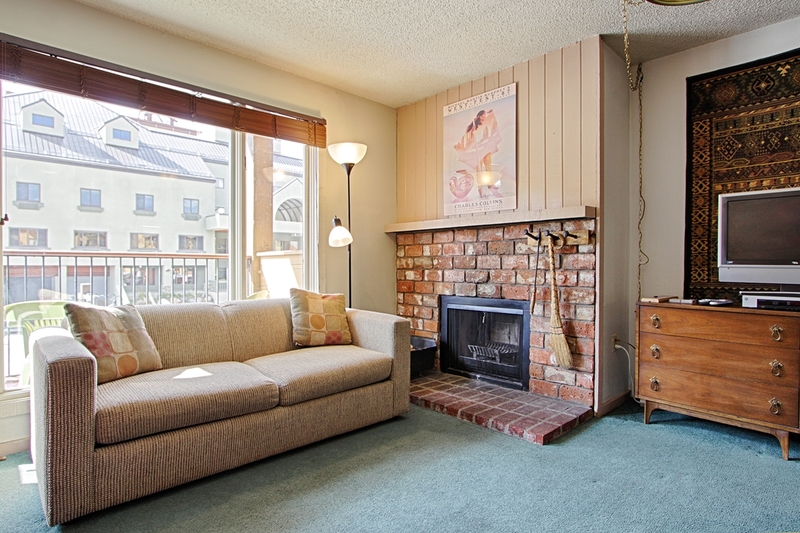 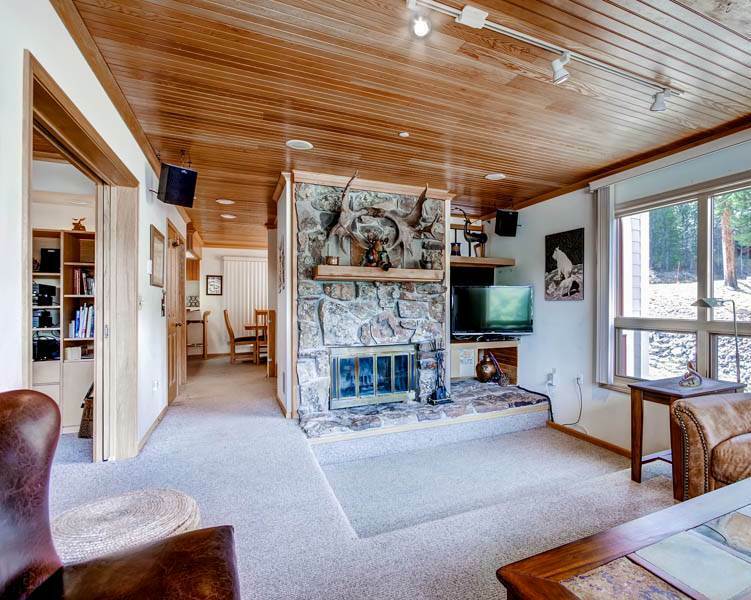 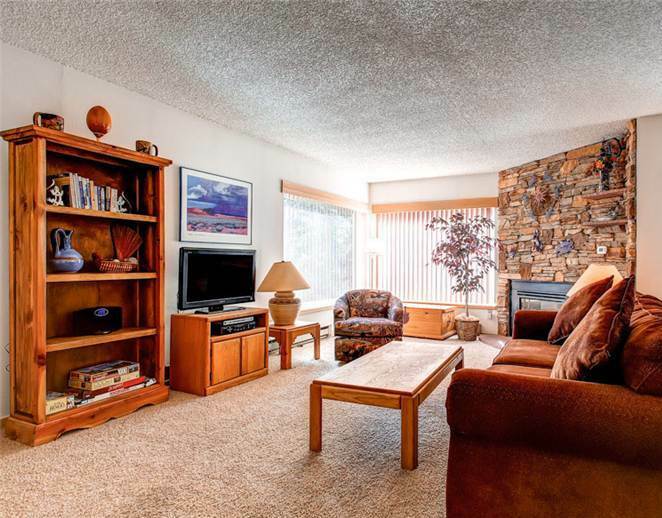 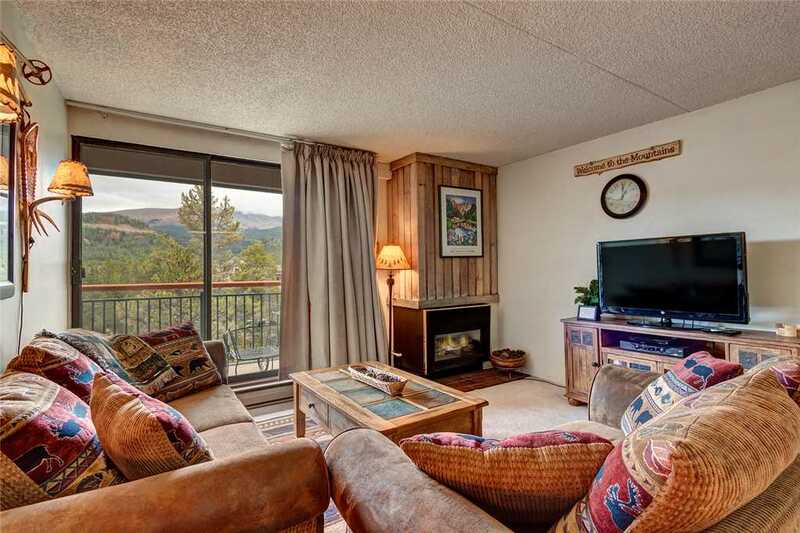 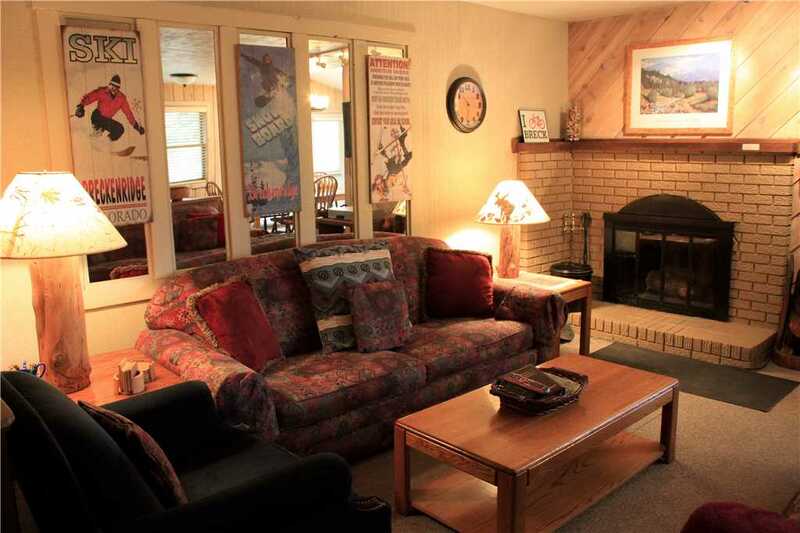 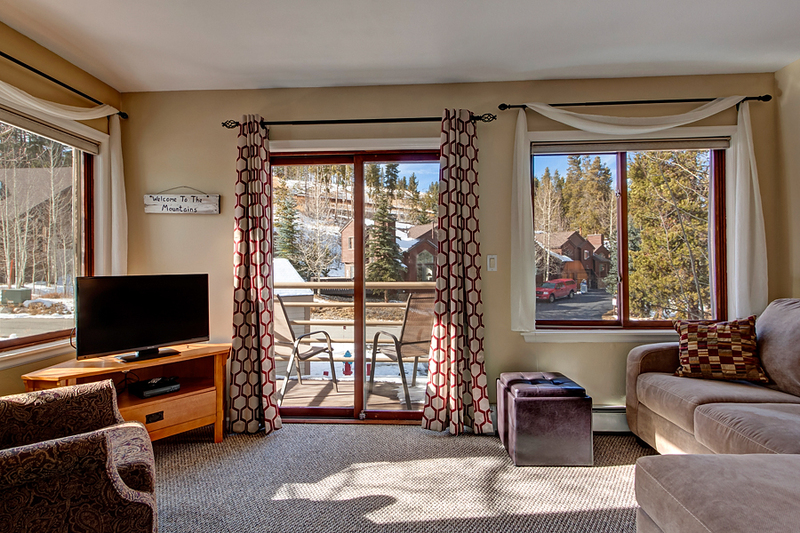 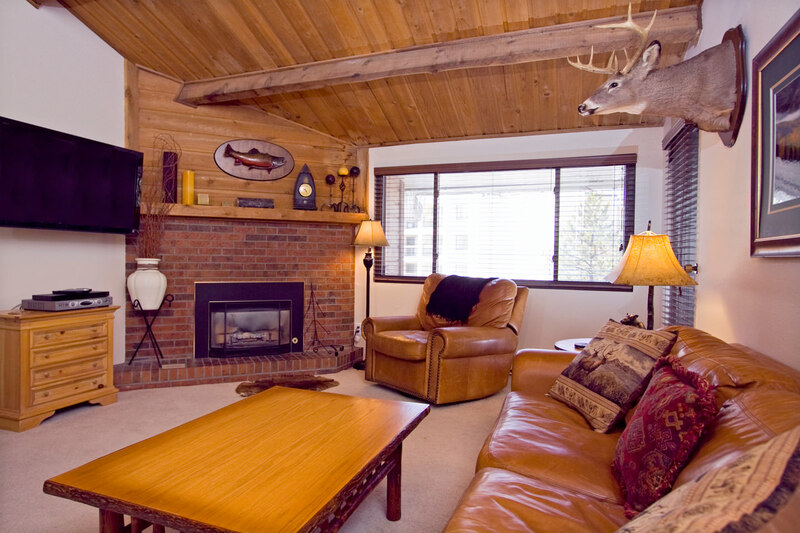 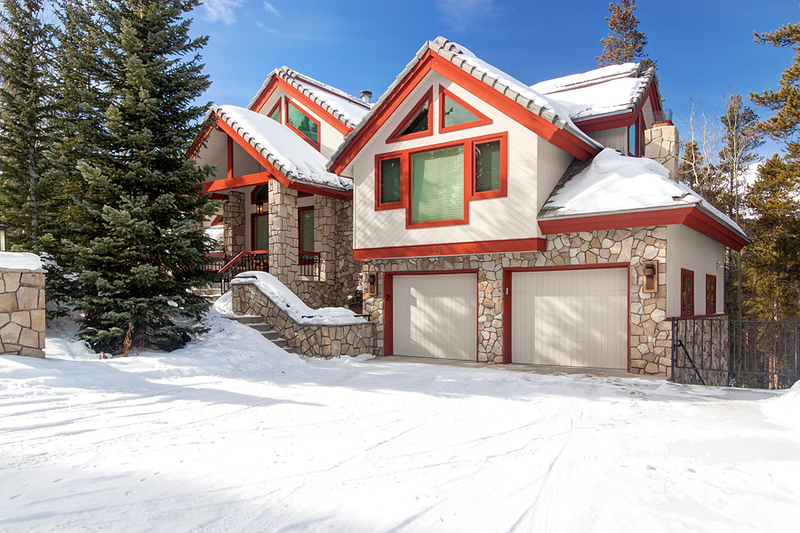 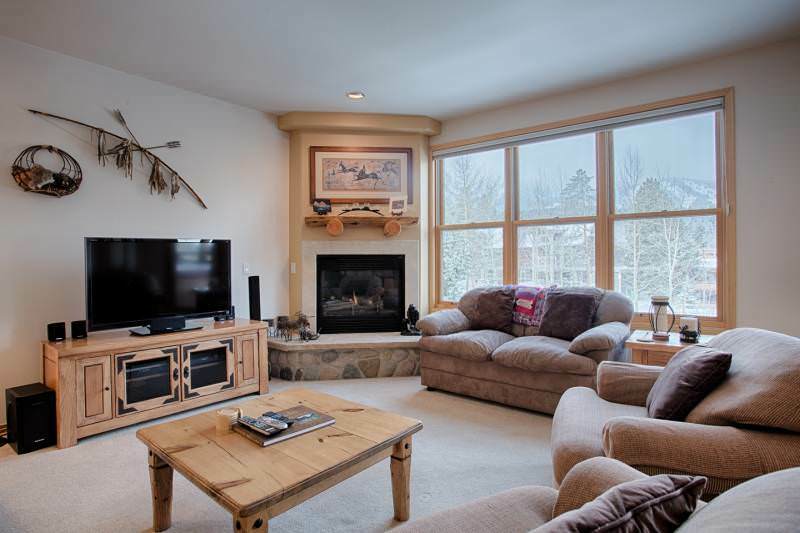 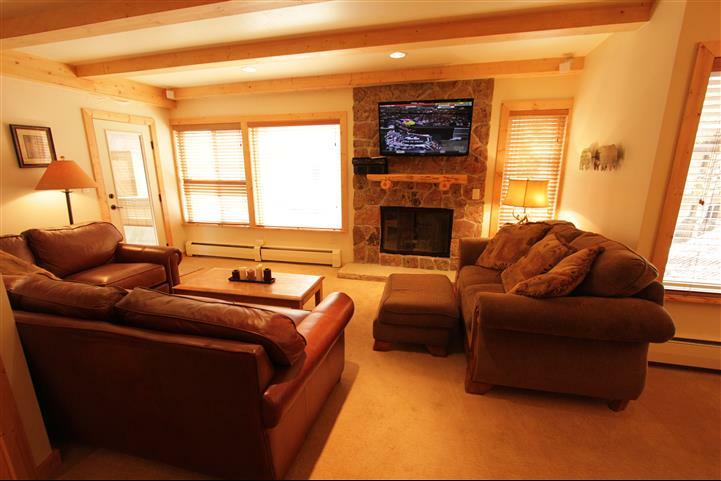 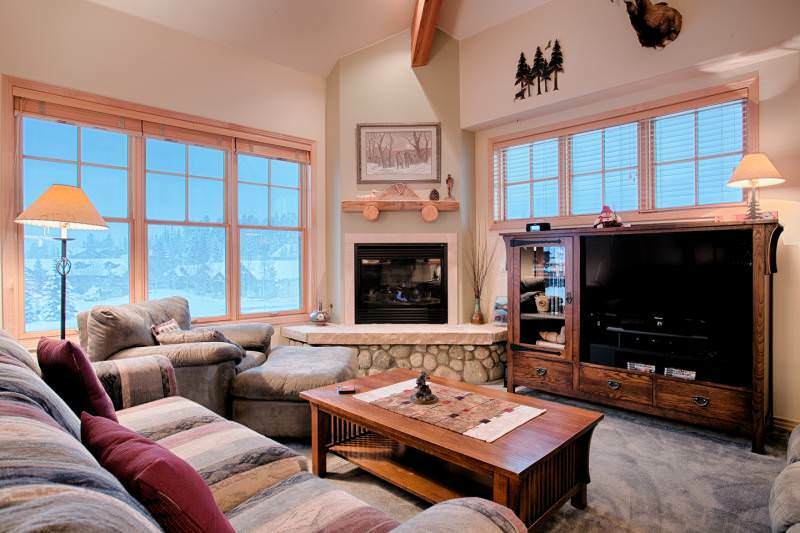 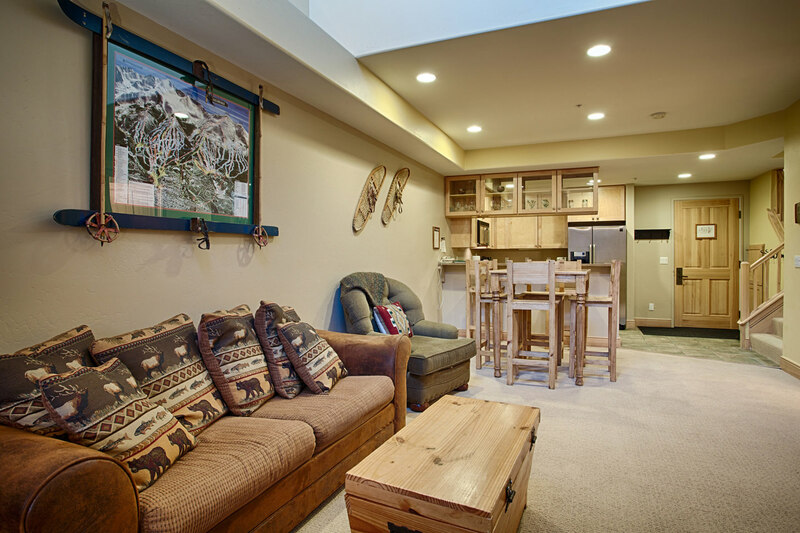 The spacious living room looks out to the slopes through big windows and a private balcony. 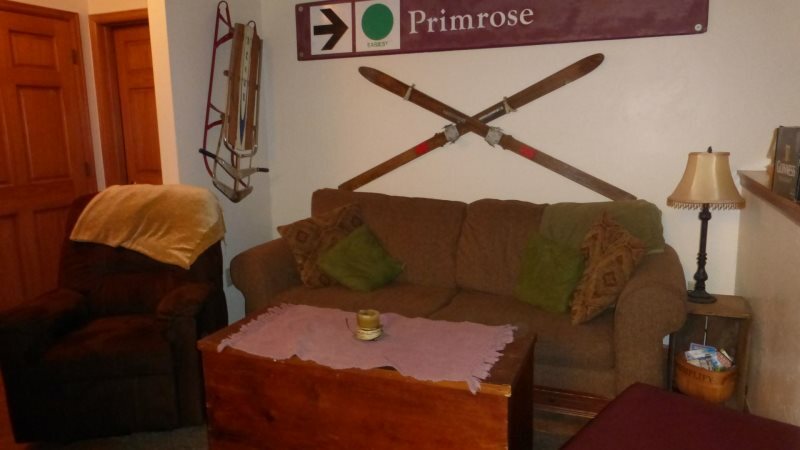 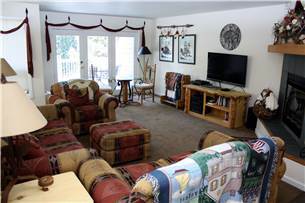 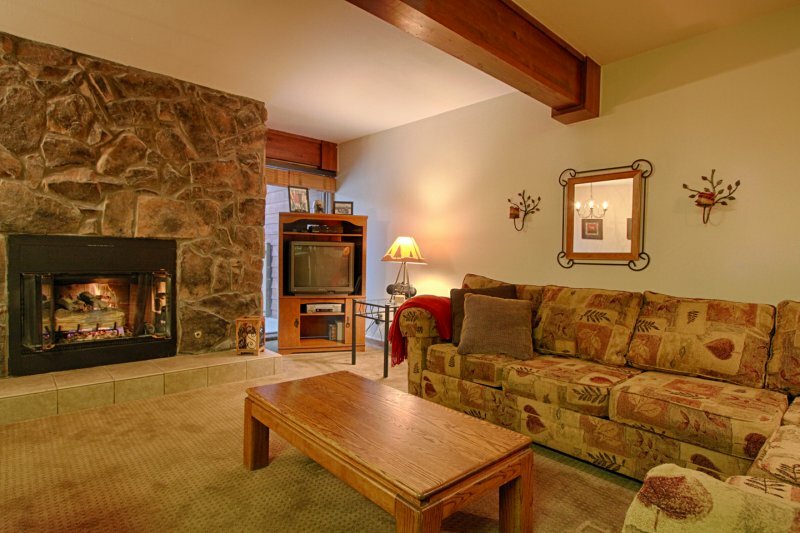 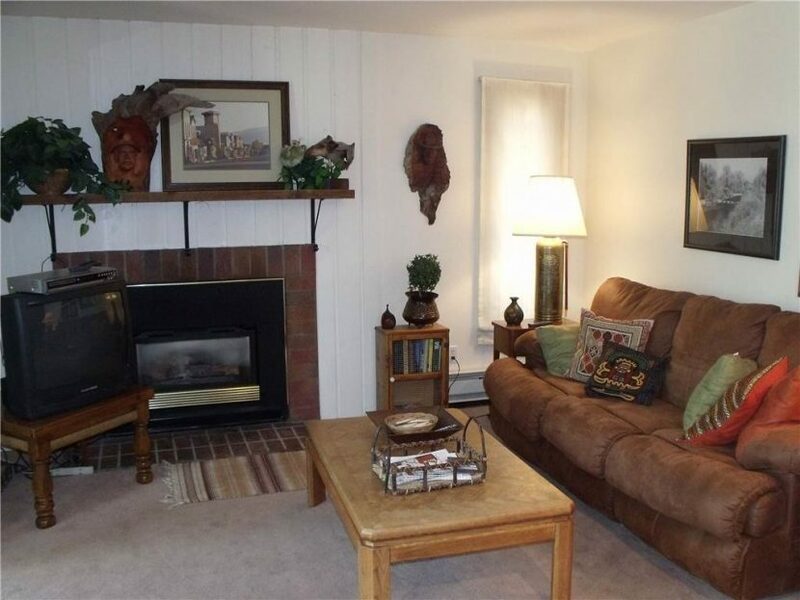 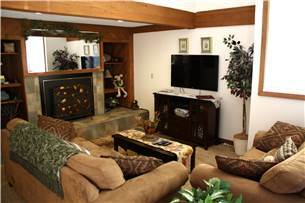 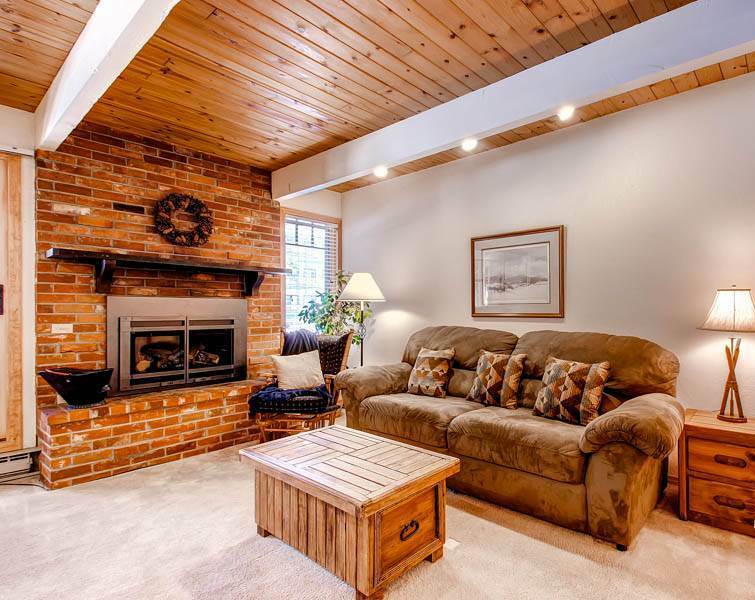 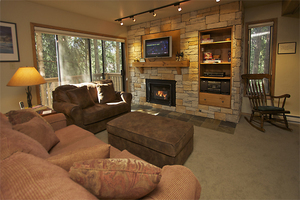 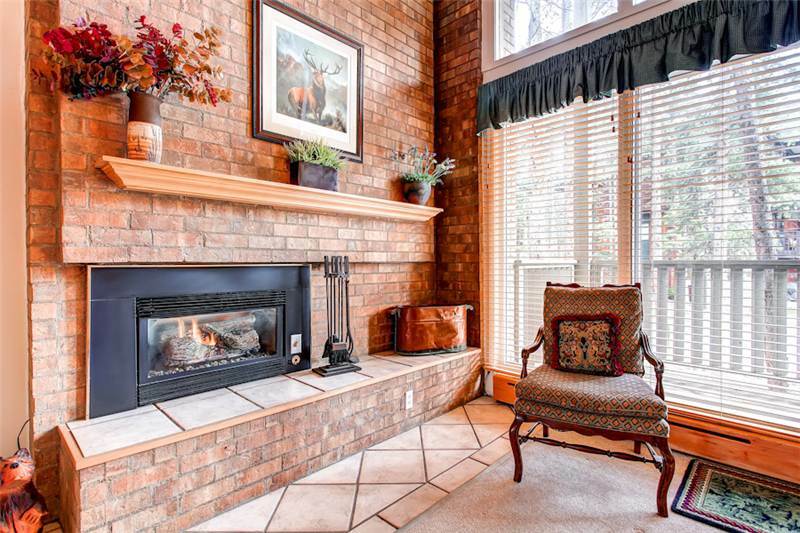 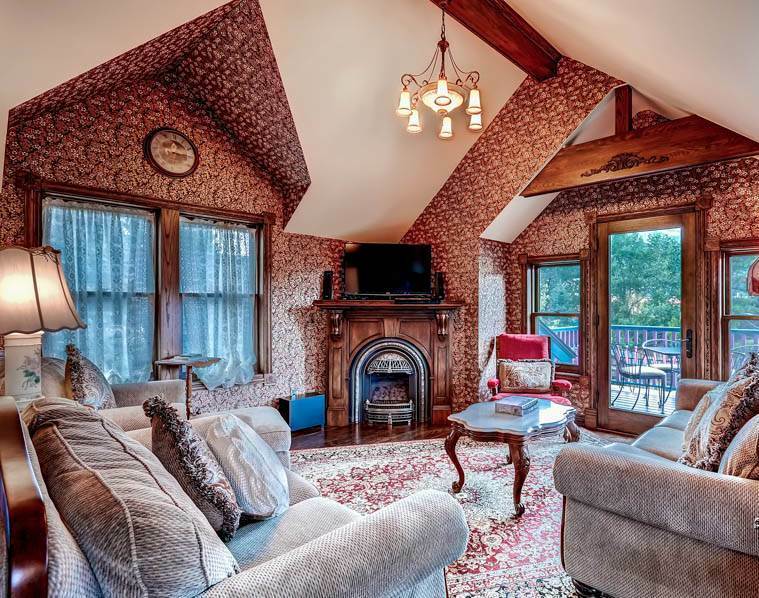 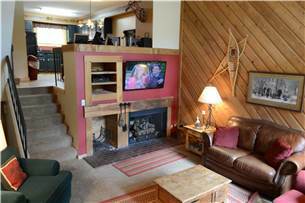 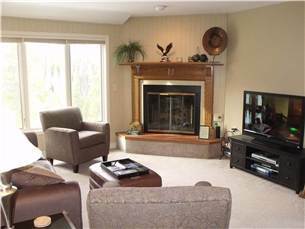 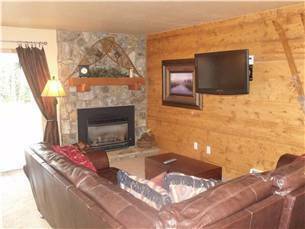 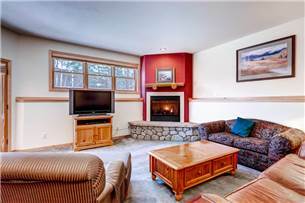 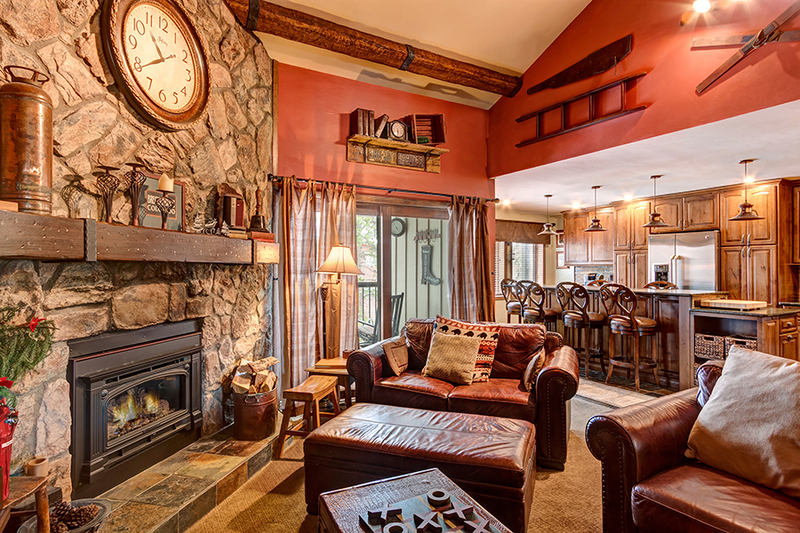 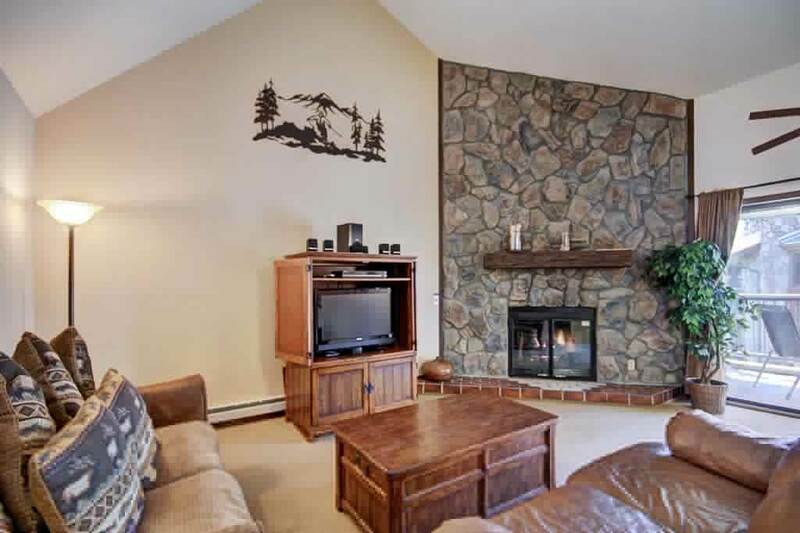 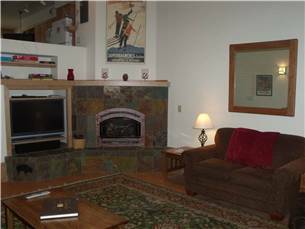 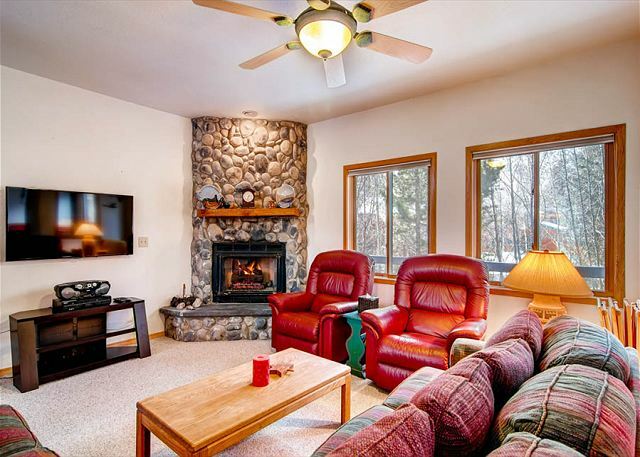 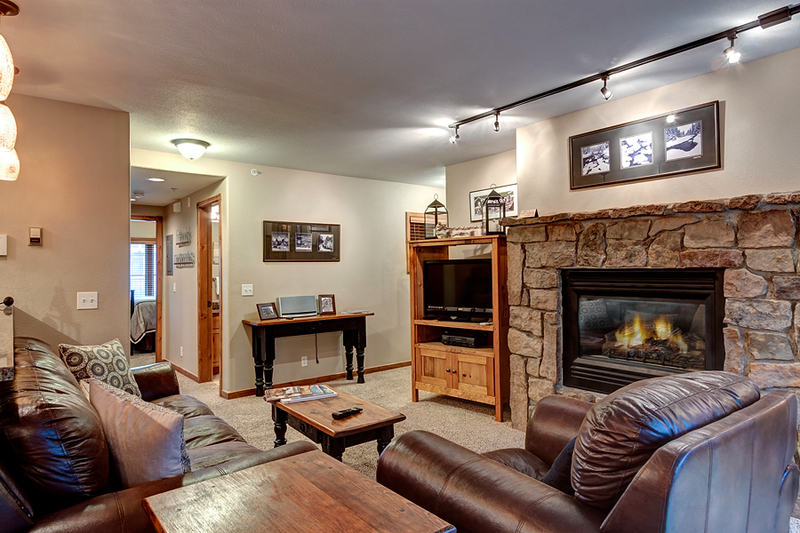 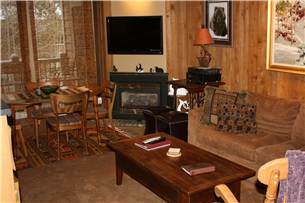 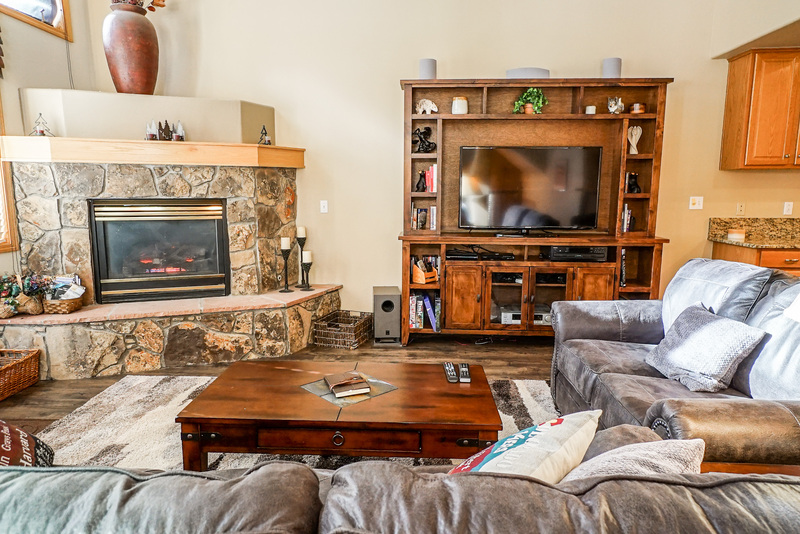 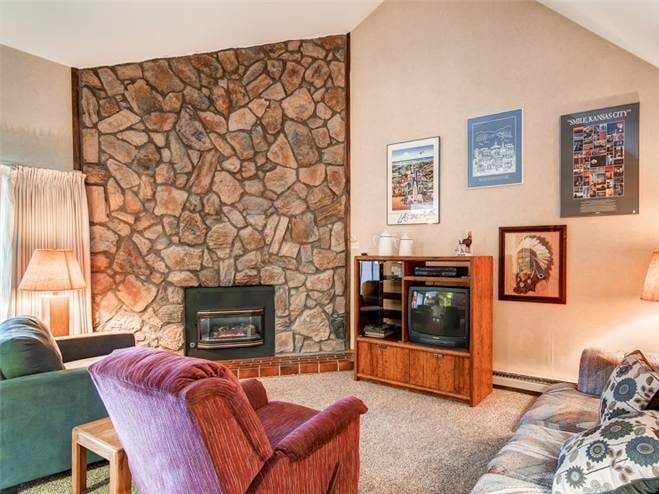 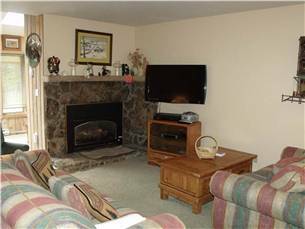 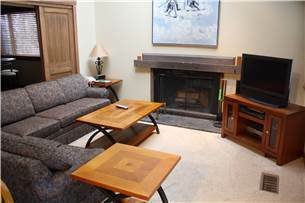 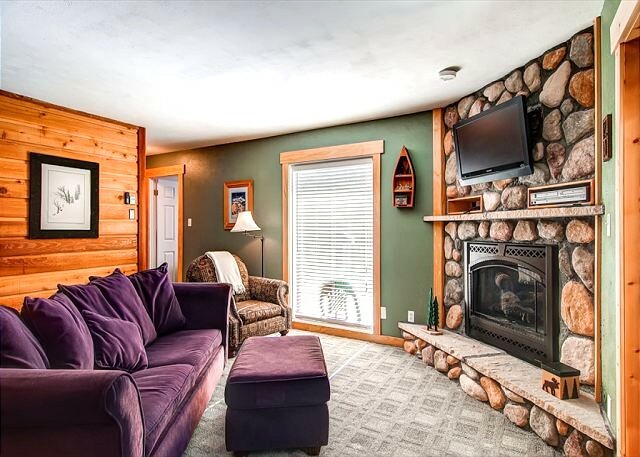 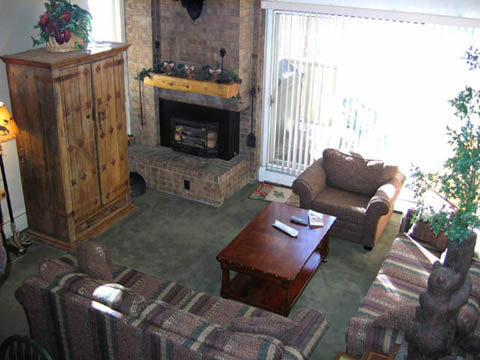 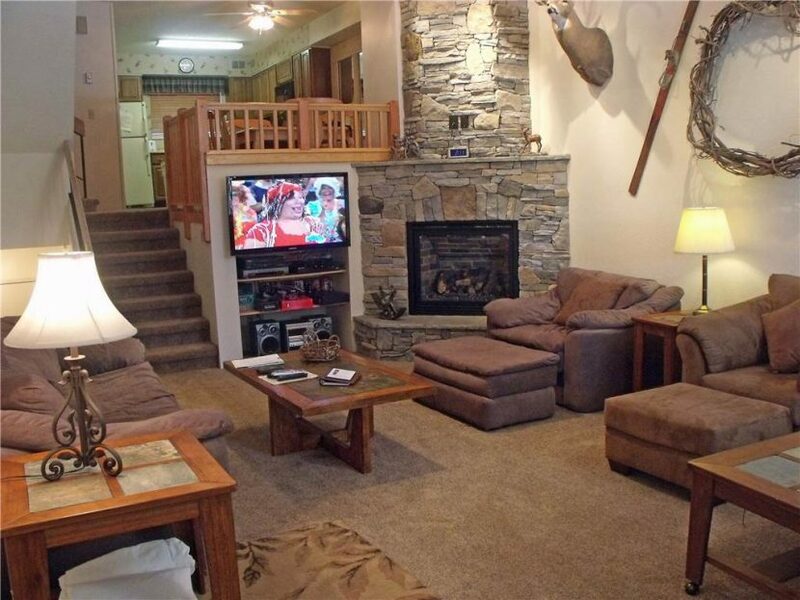 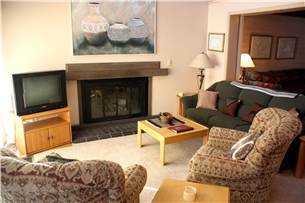 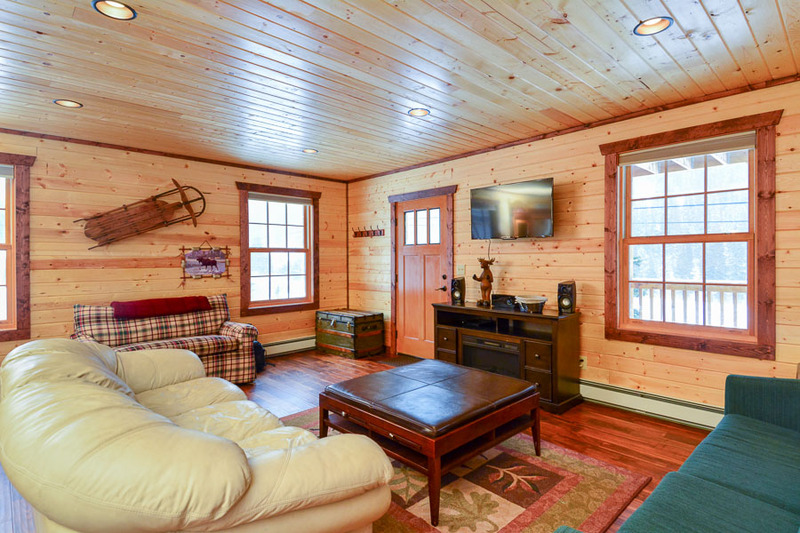 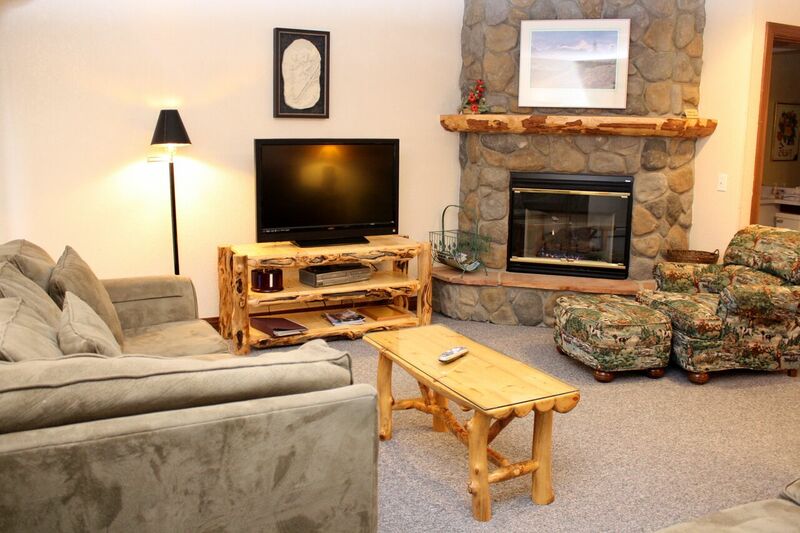 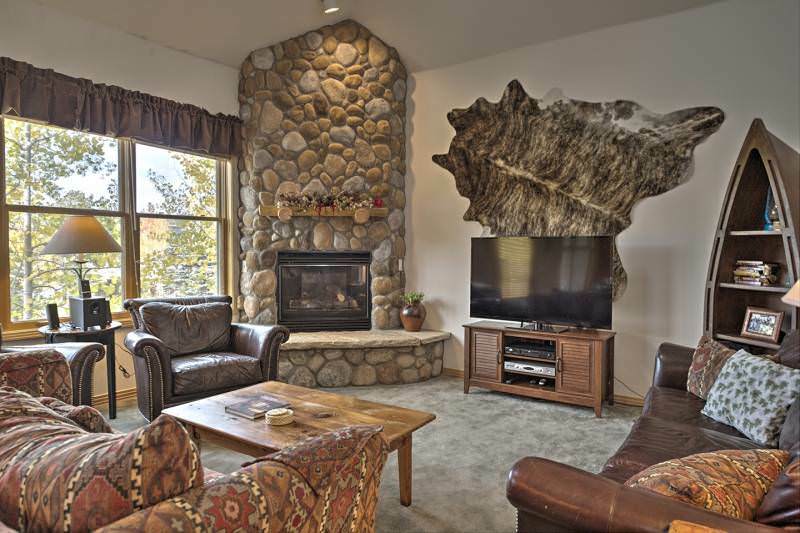 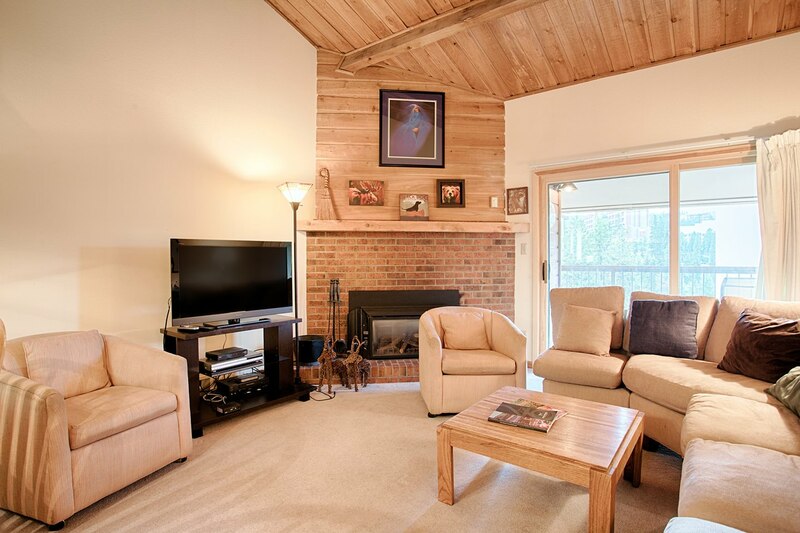 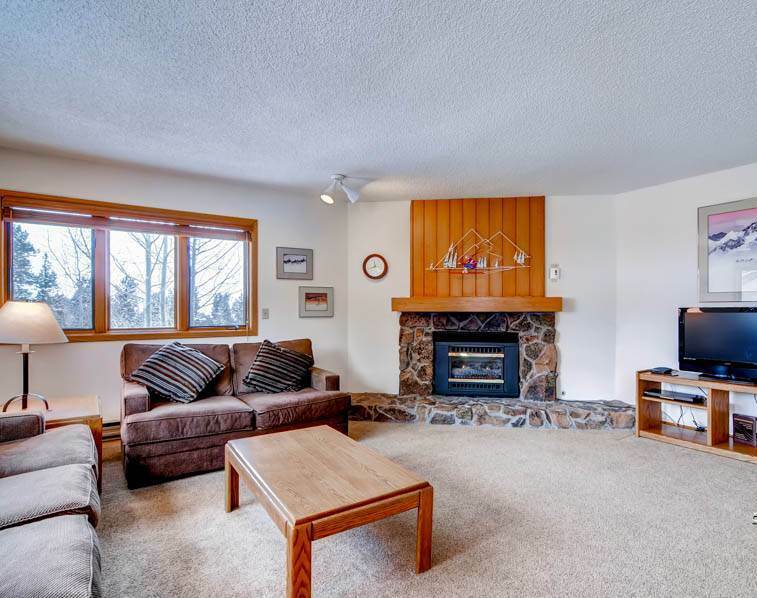 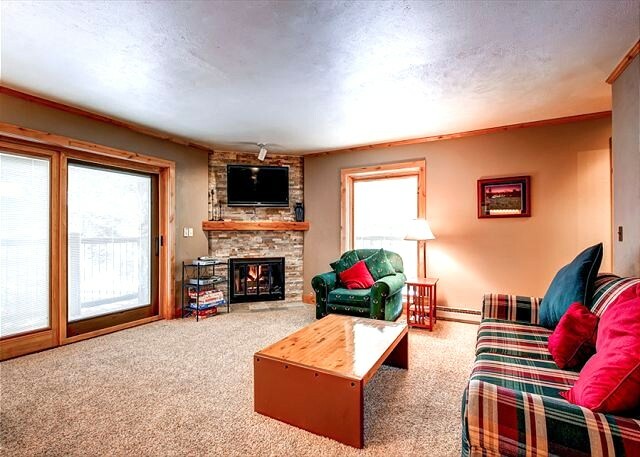 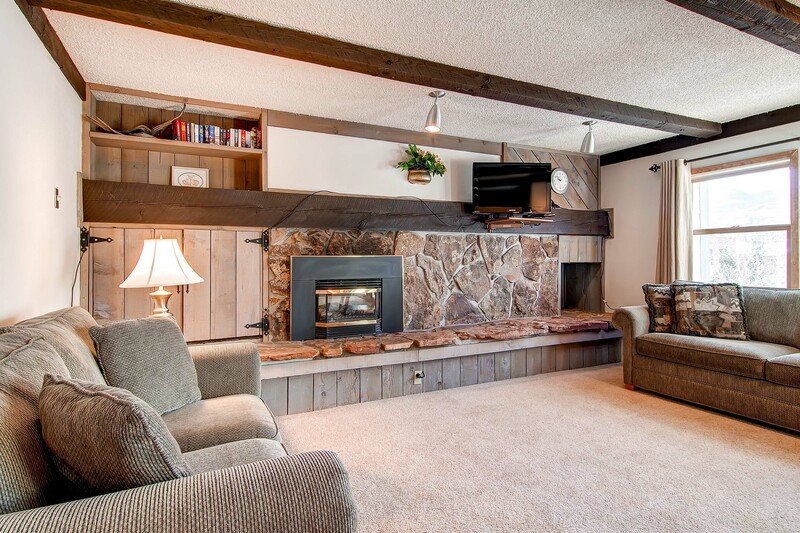 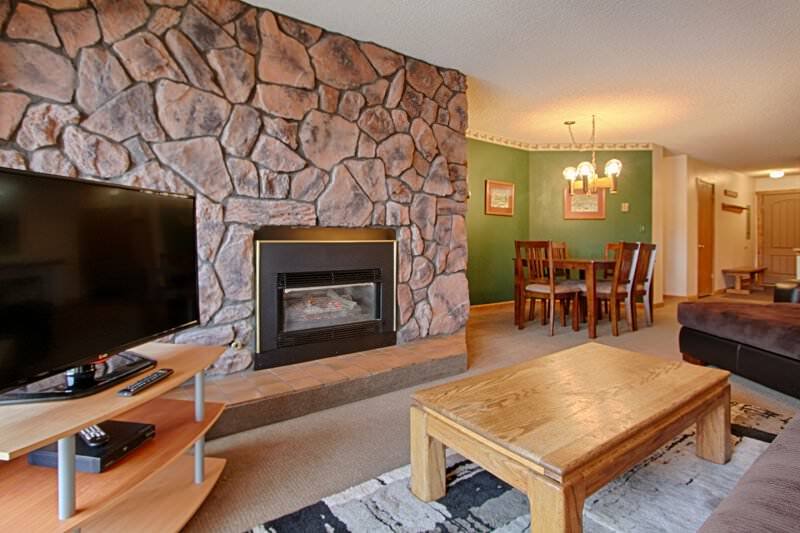 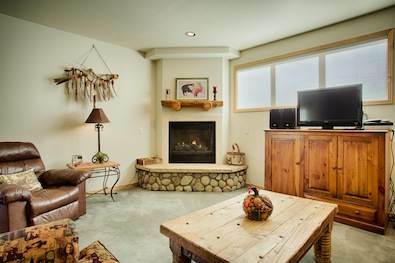 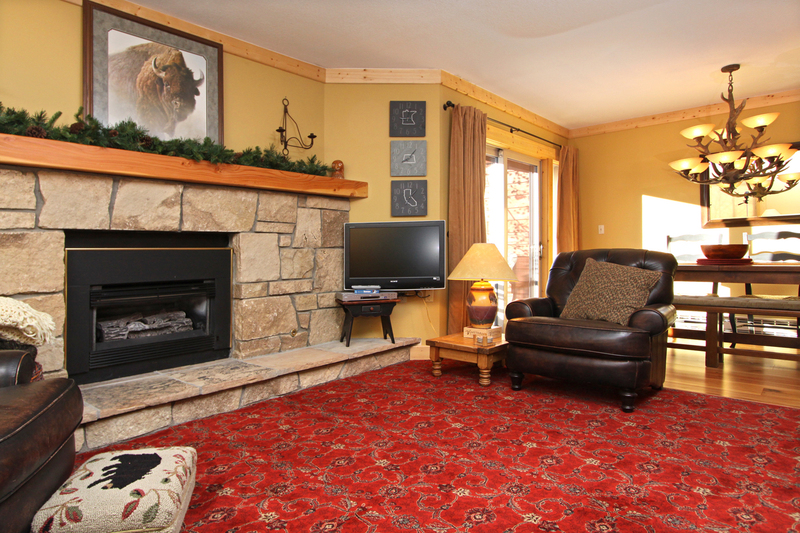 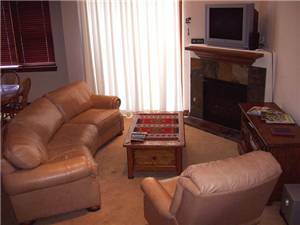 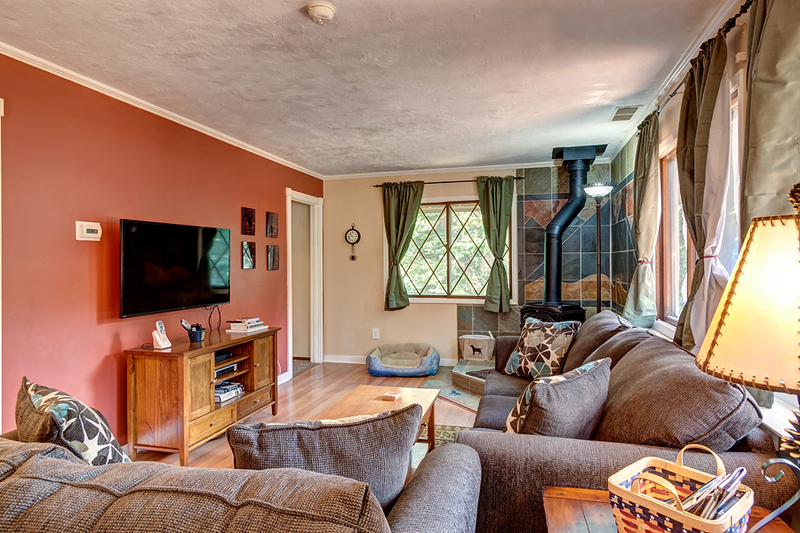 A large flatscreen TV with DVD and a selection of family games are available to pass the time warmed by a blazing fire in the wood-burning fireplace (firewood provided). 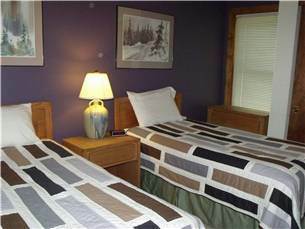 Blackout curtains block out both light and noise. 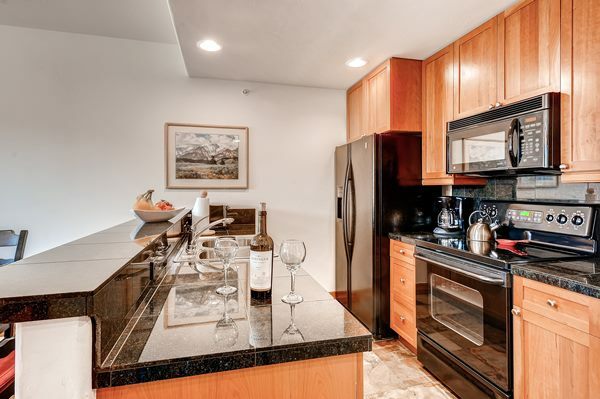 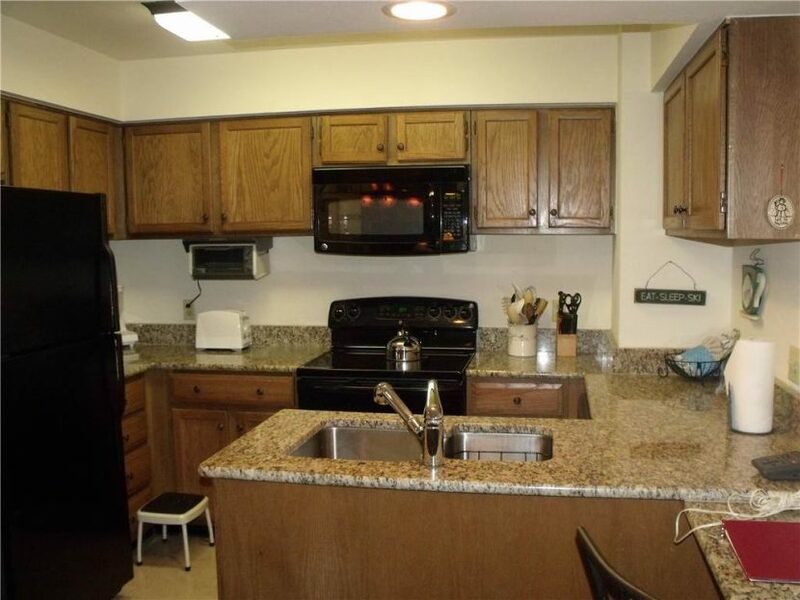 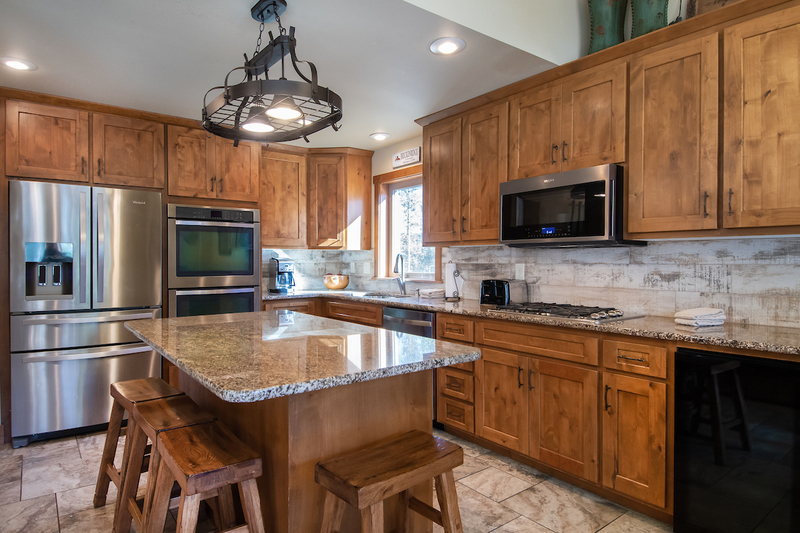 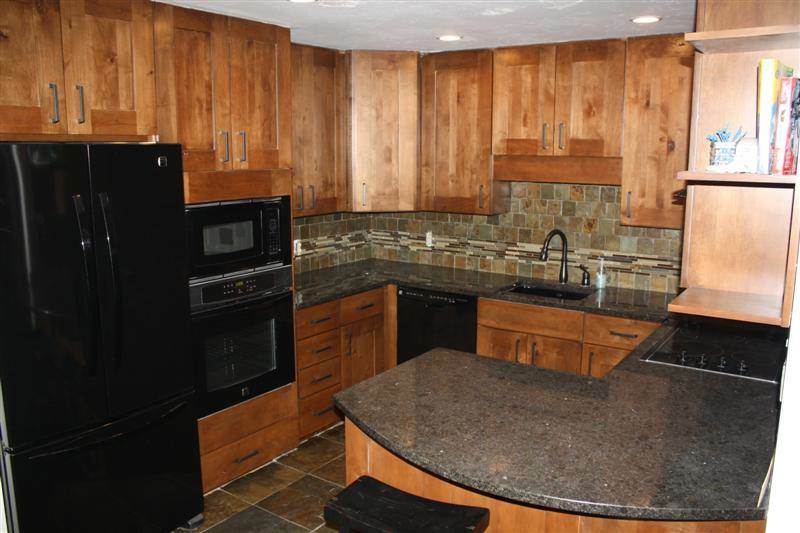 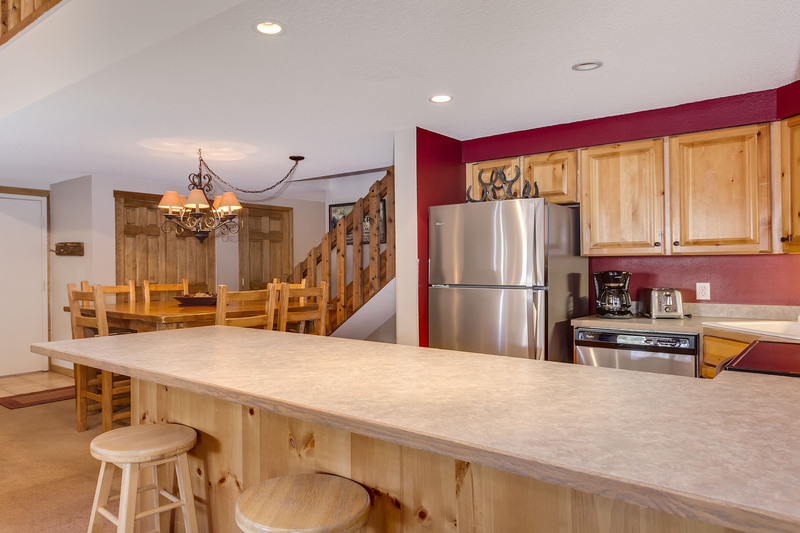 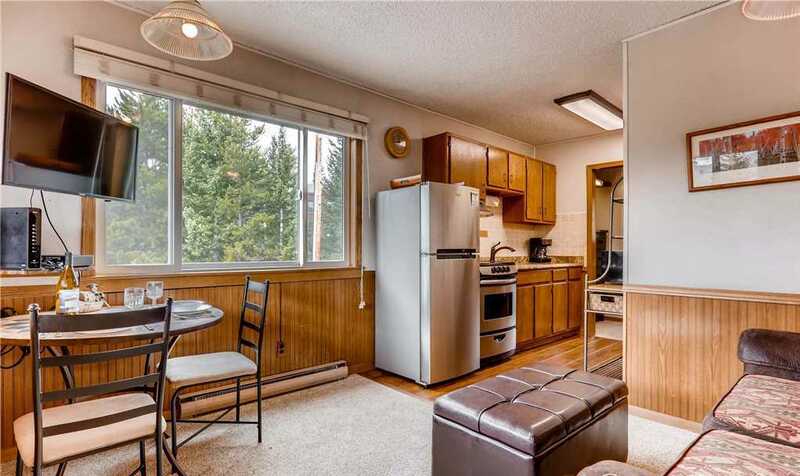 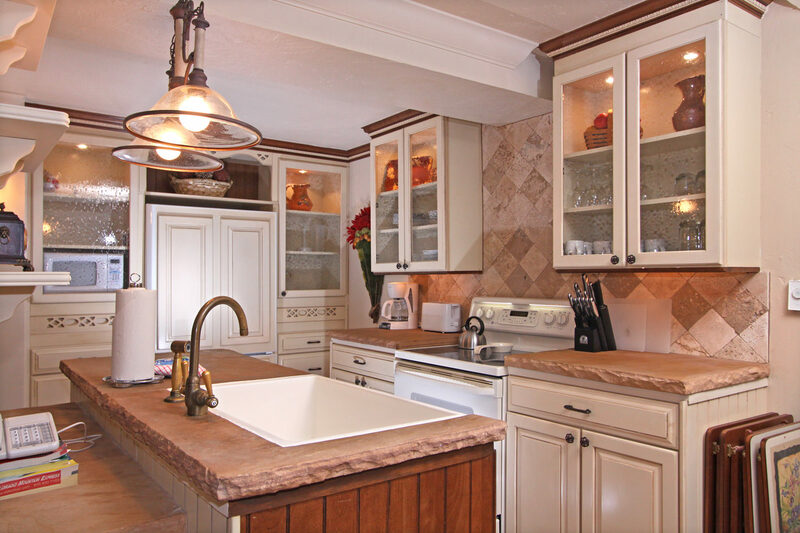 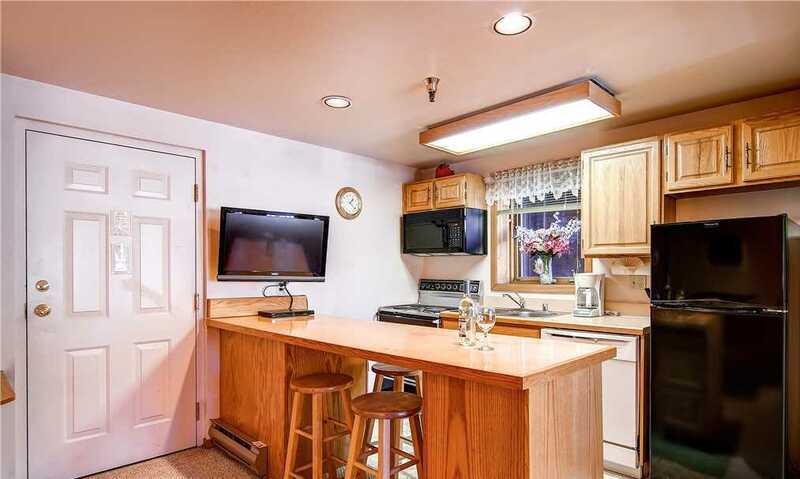 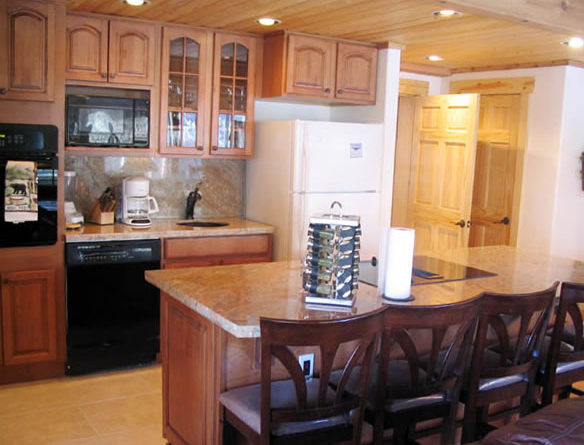 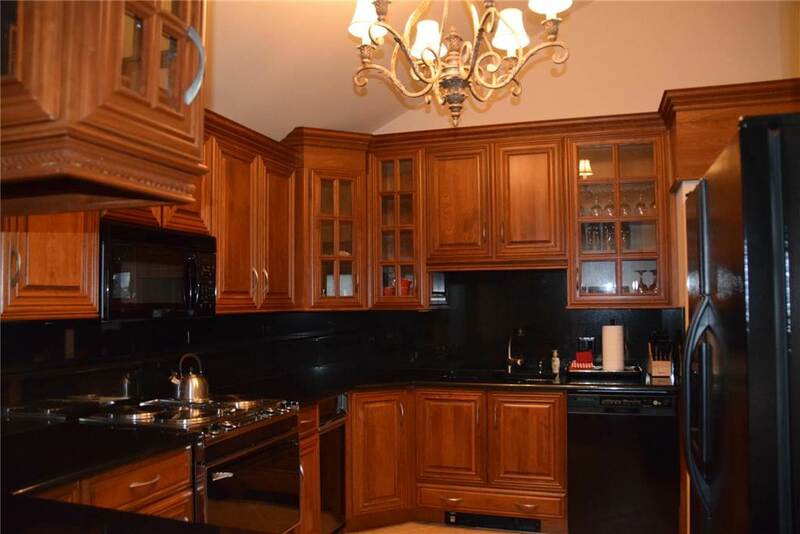 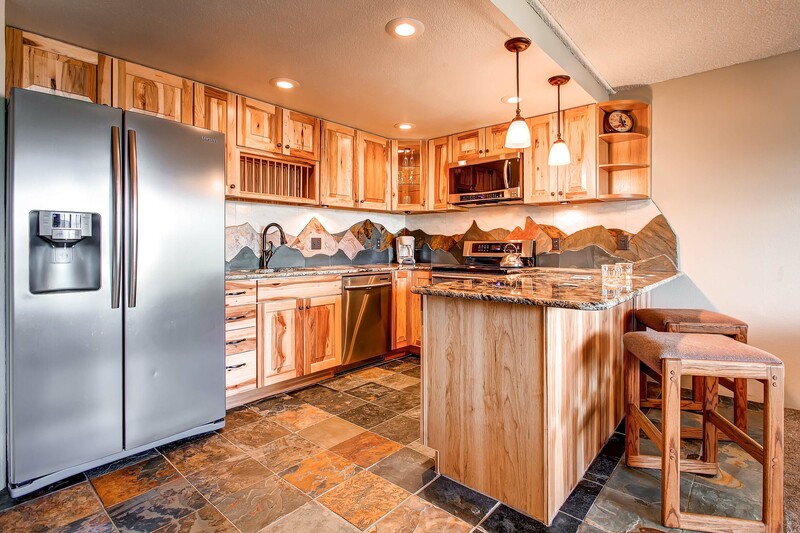 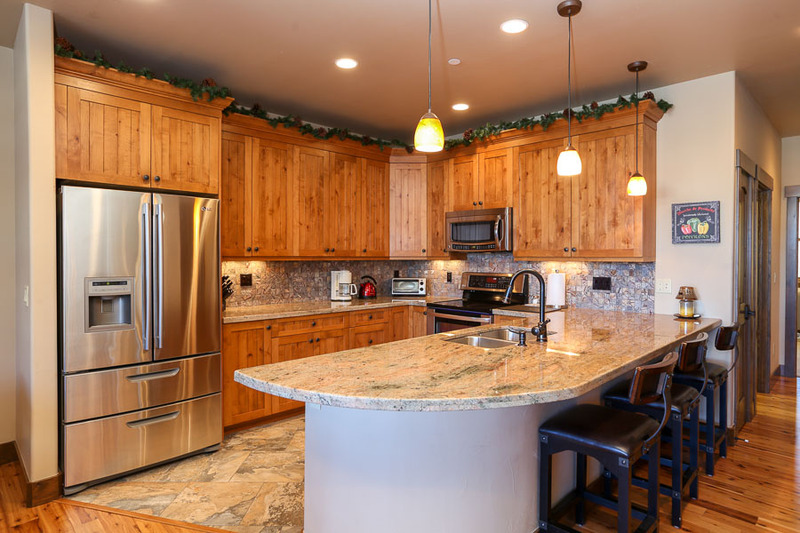 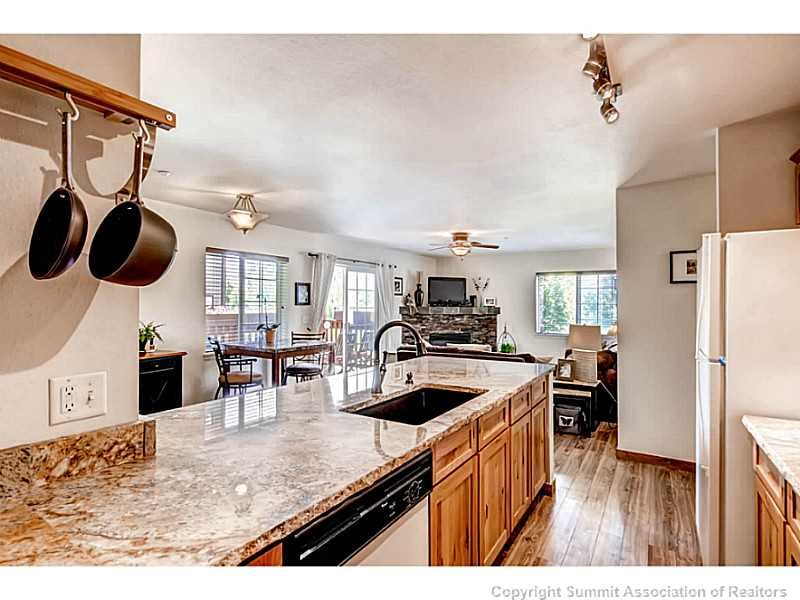 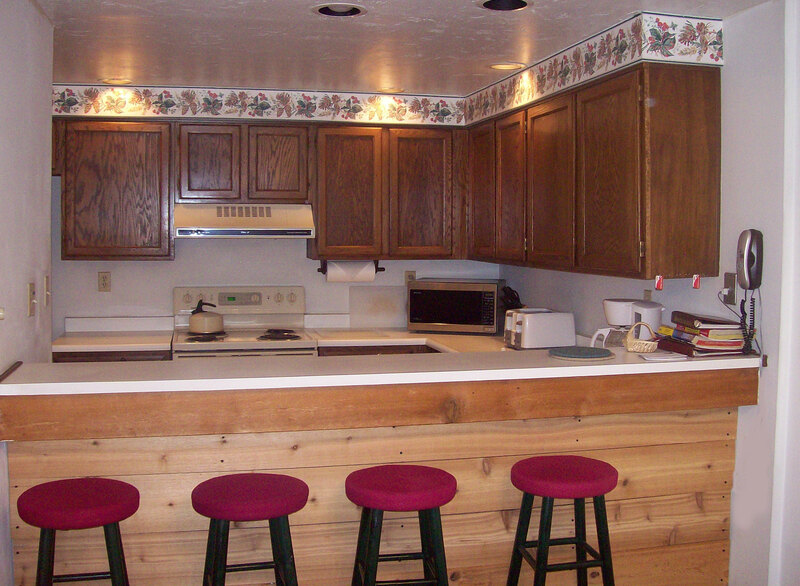 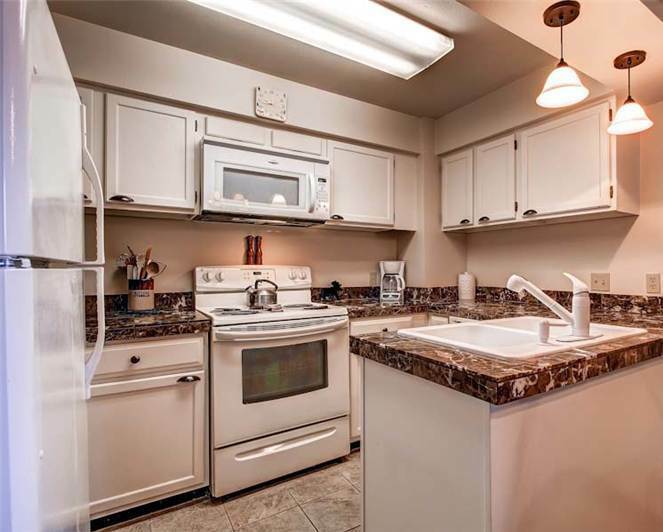 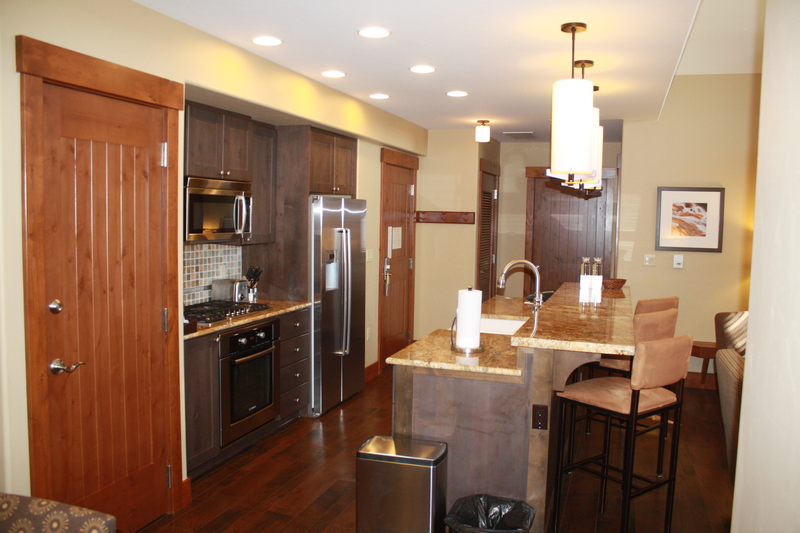 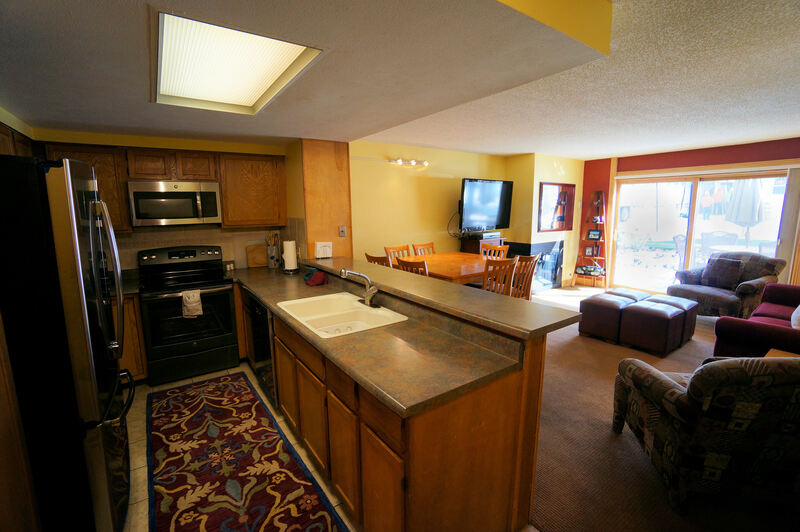 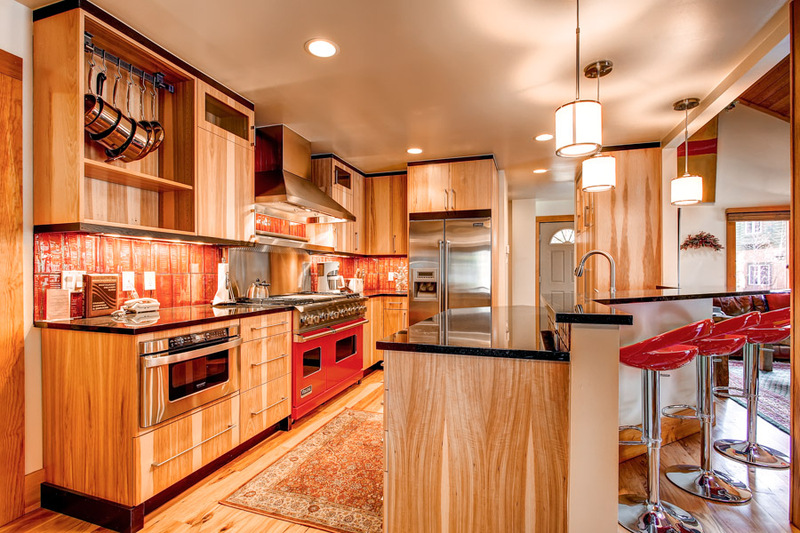 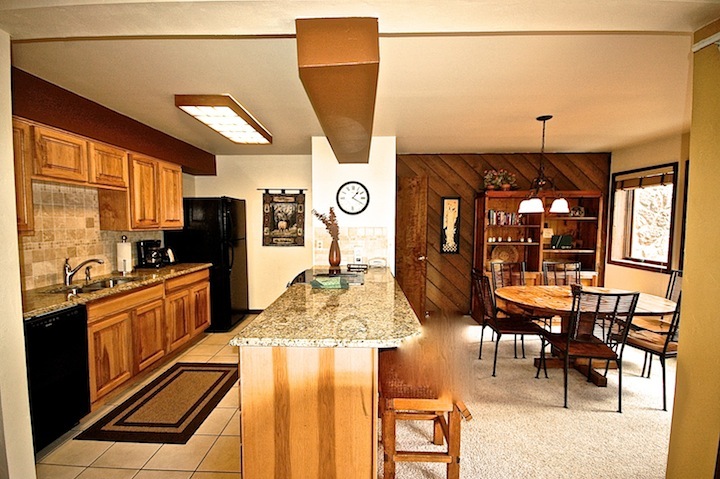 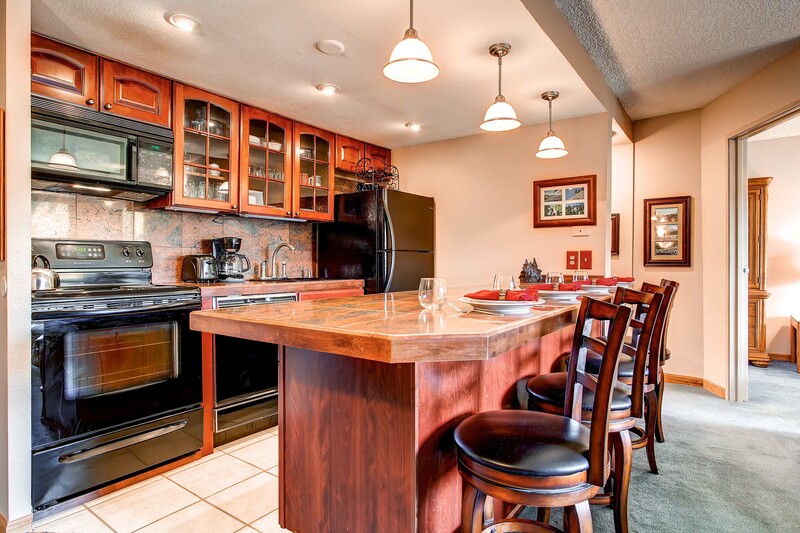 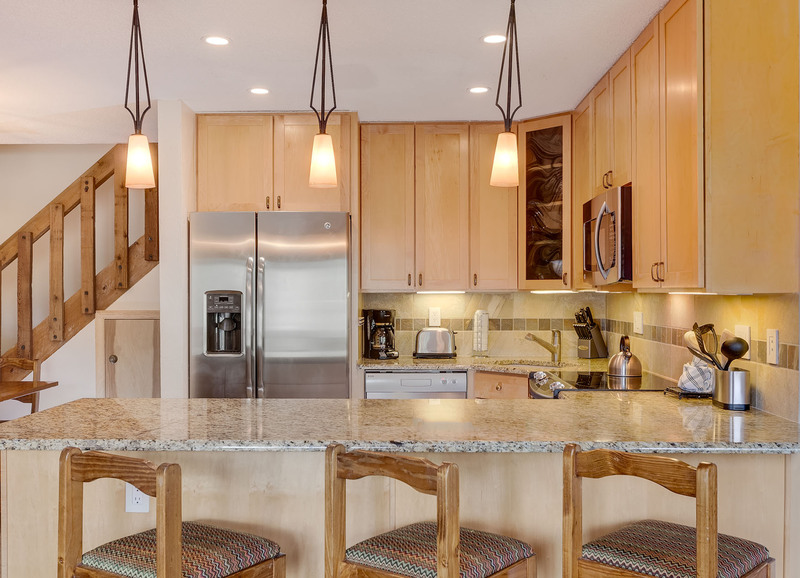 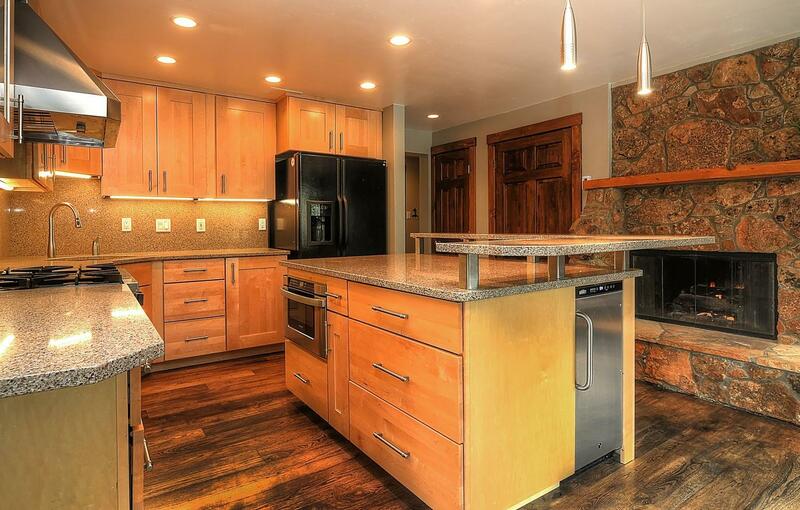 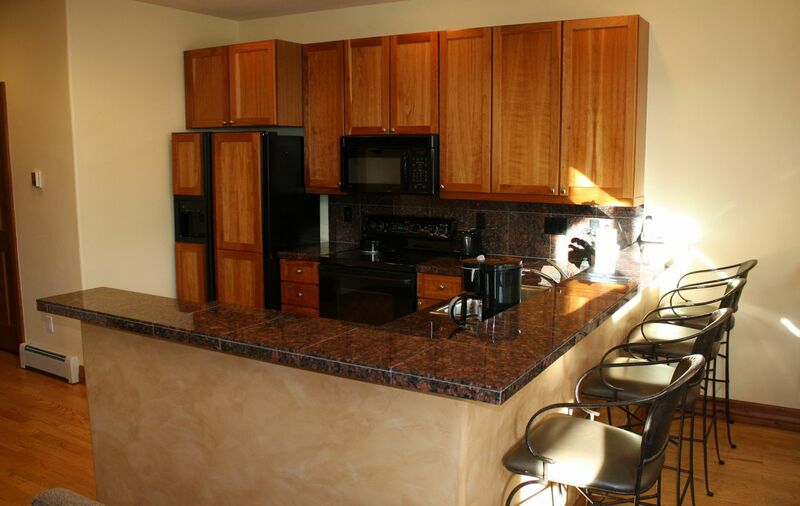 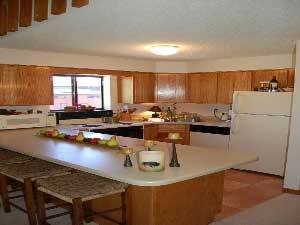 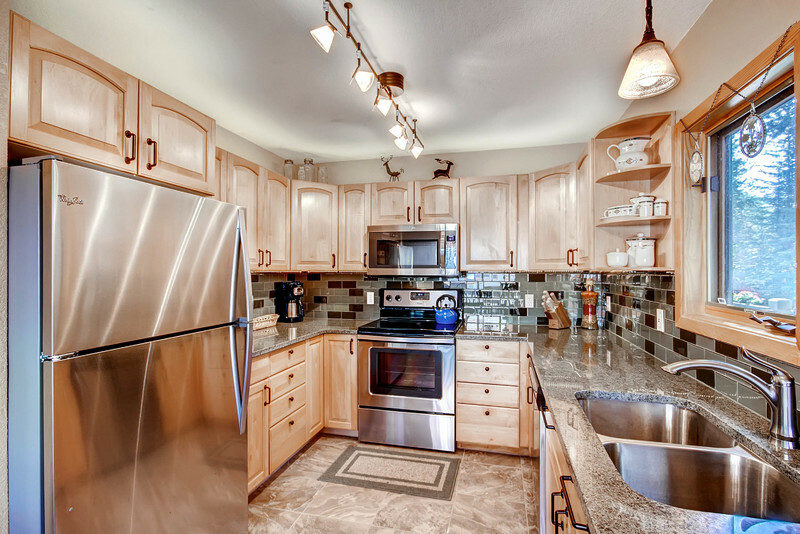 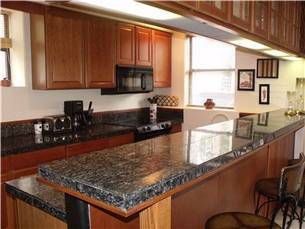 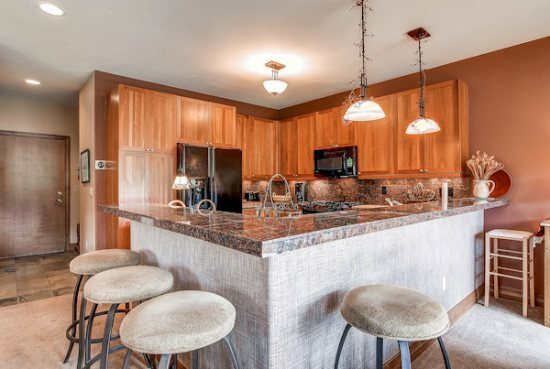 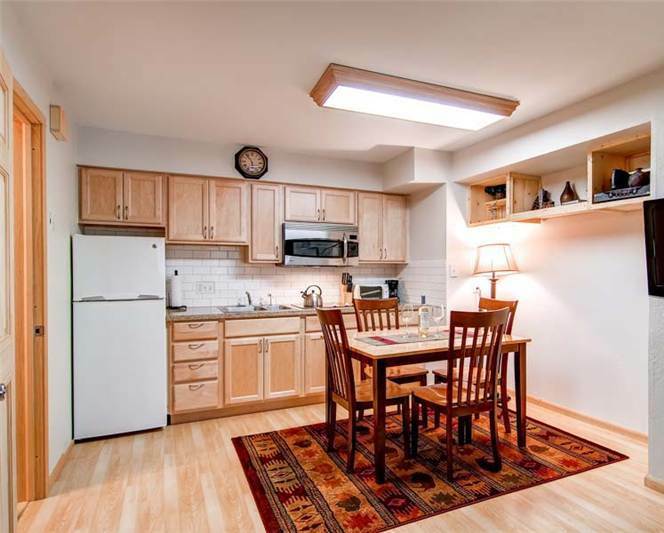 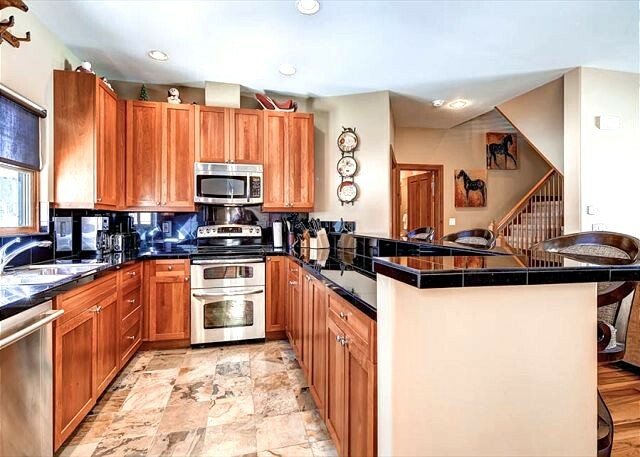 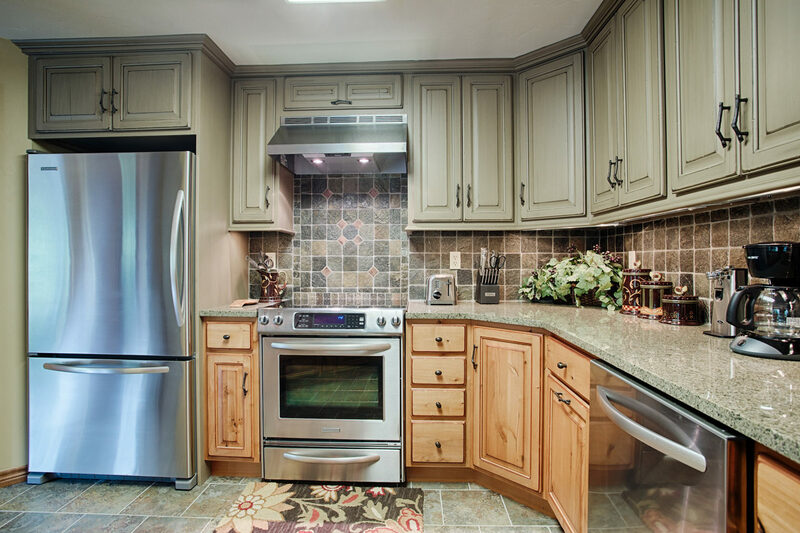 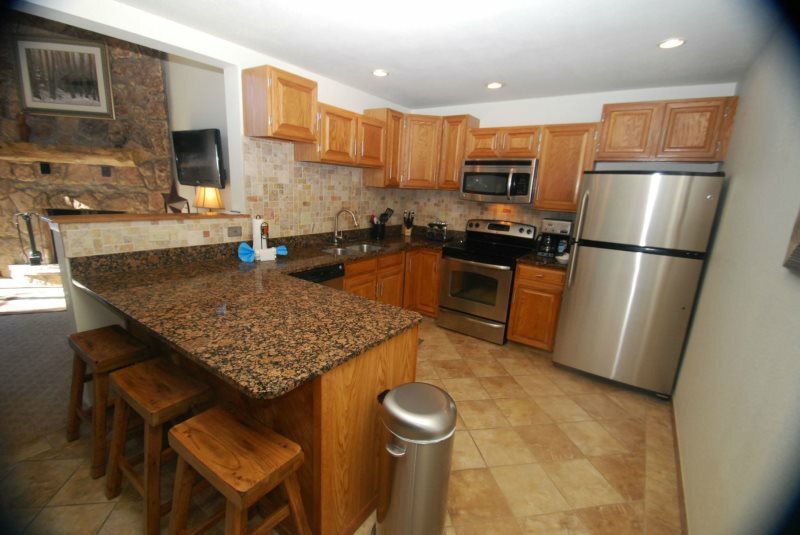 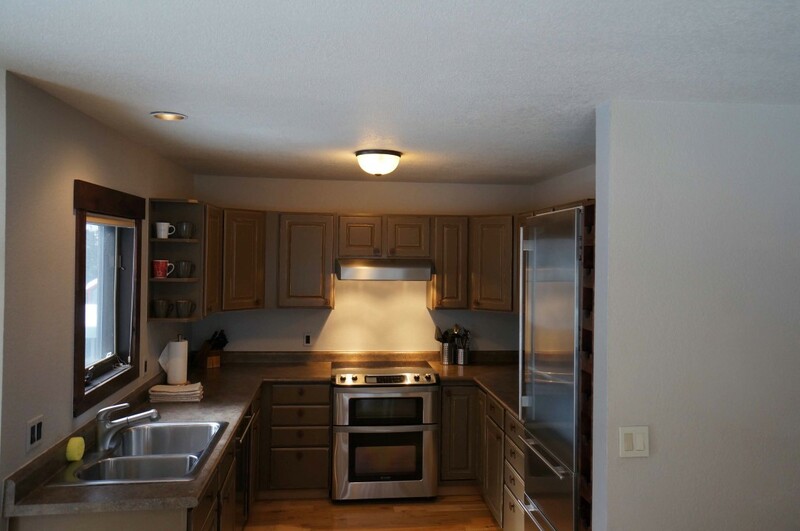 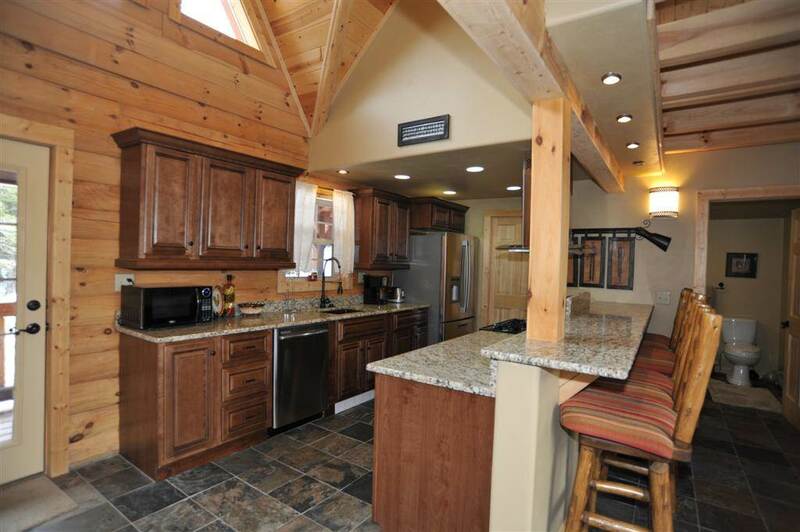 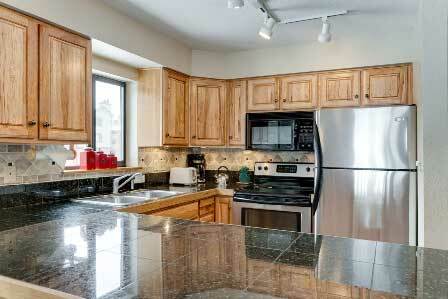 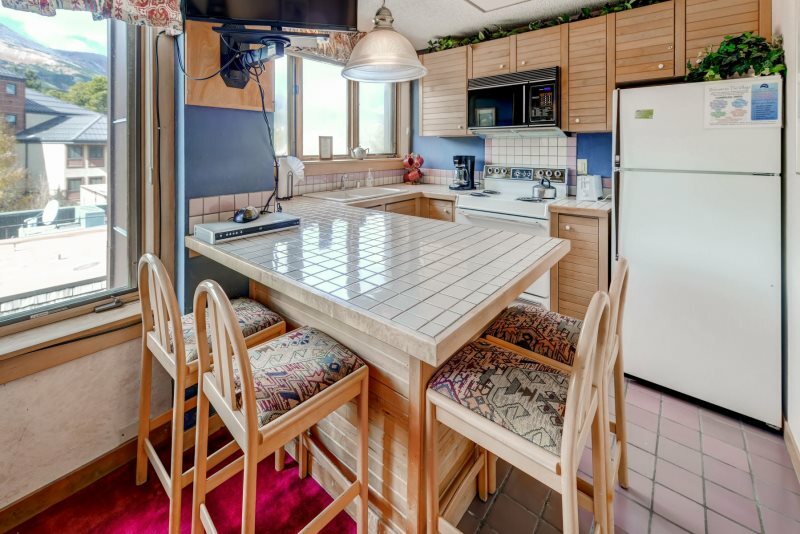 The updated kitchen features a new tile floor, cabinetry and a breakfast bar with seating for three people. 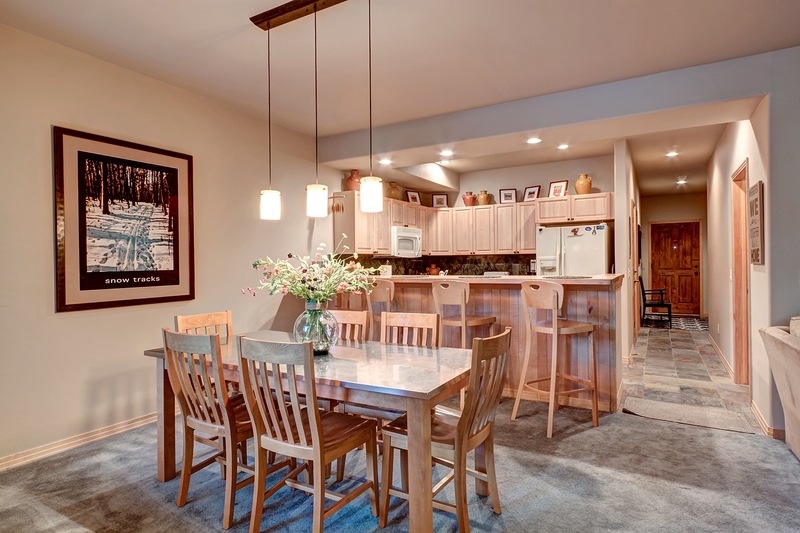 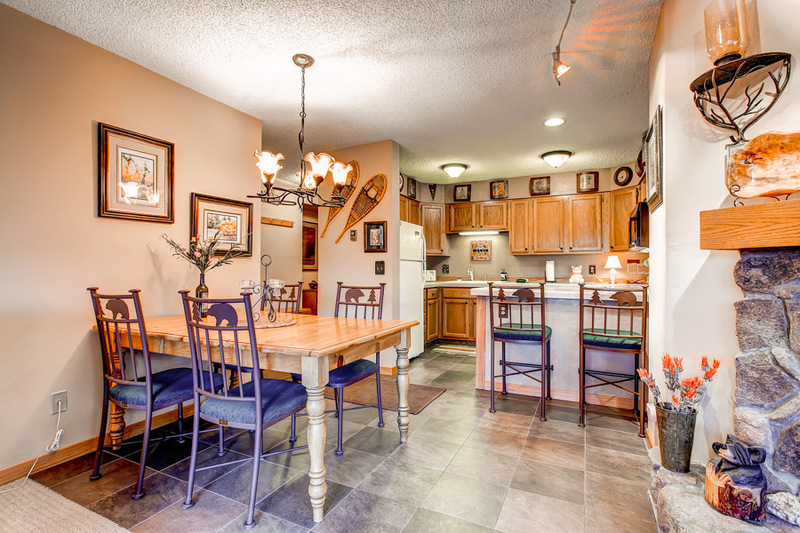 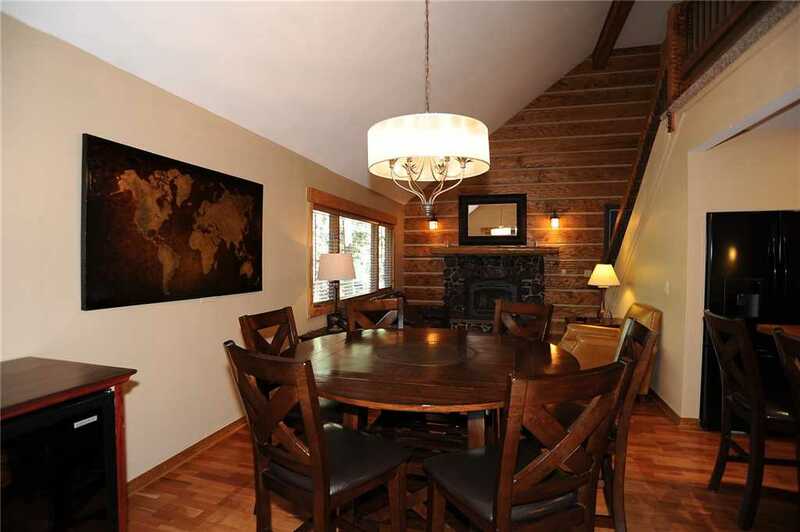 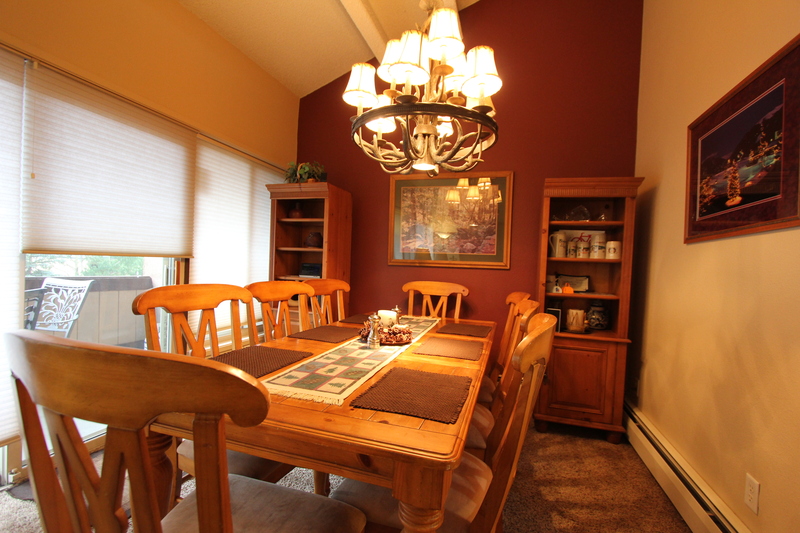 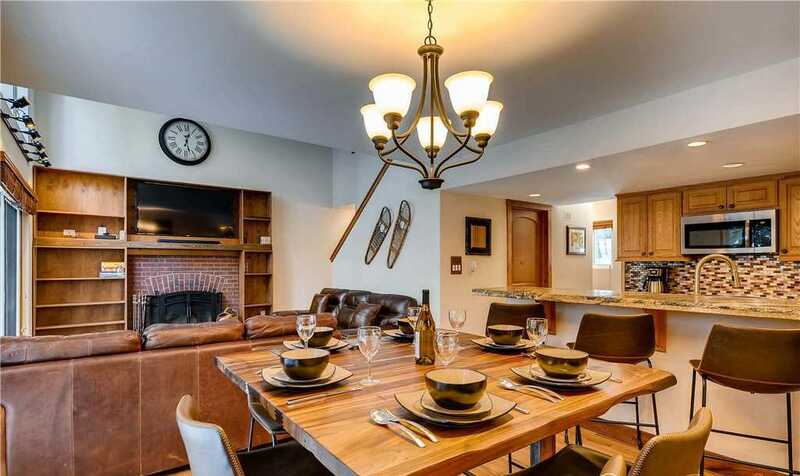 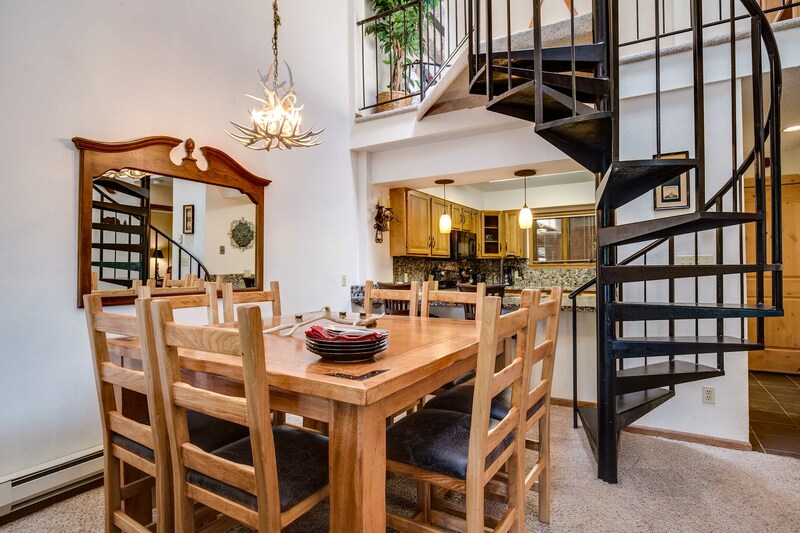 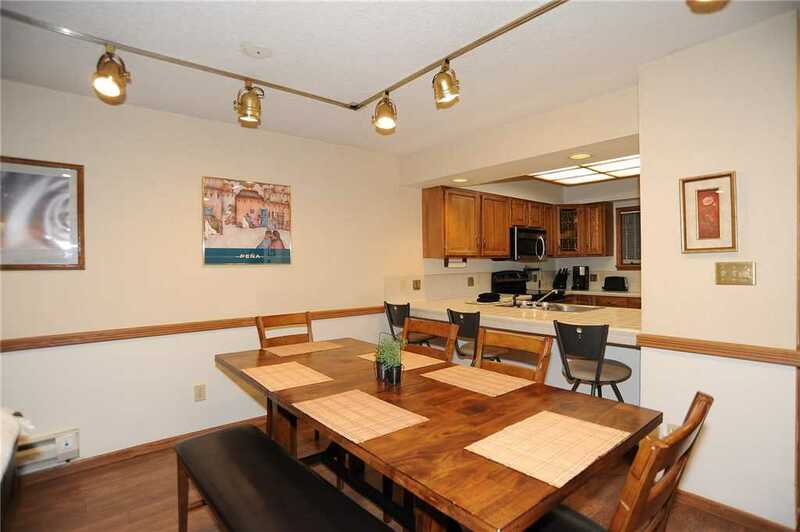 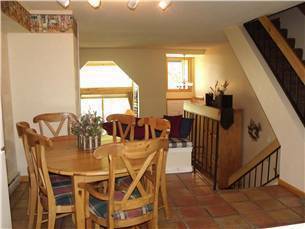 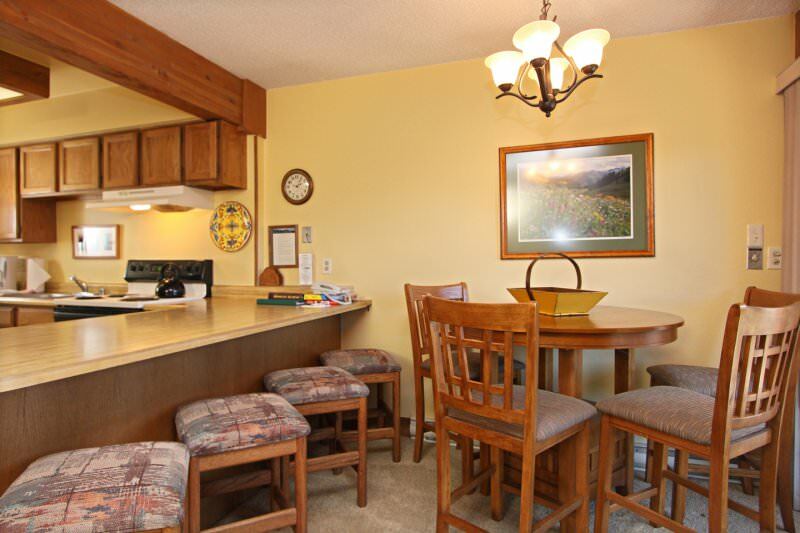 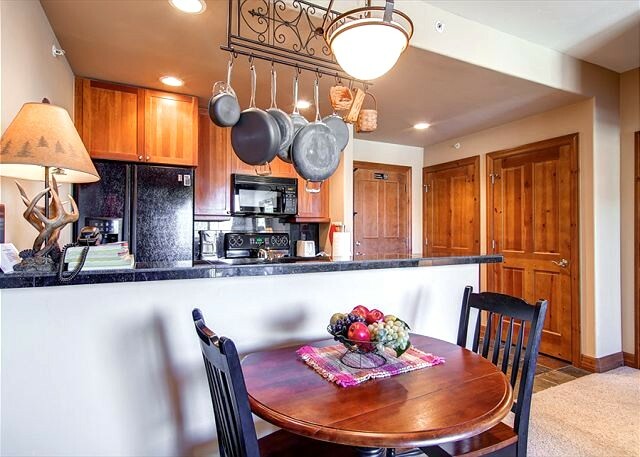 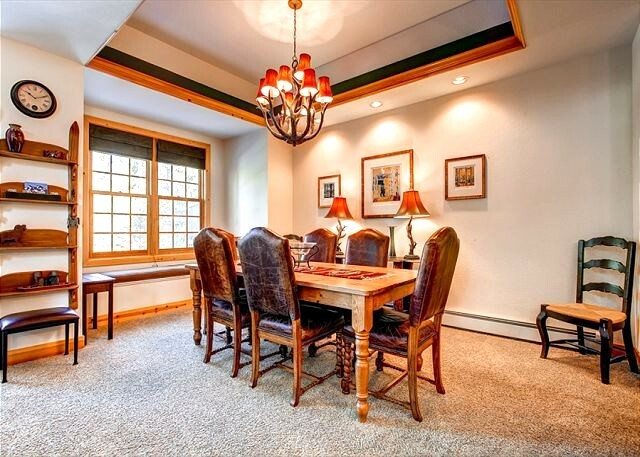 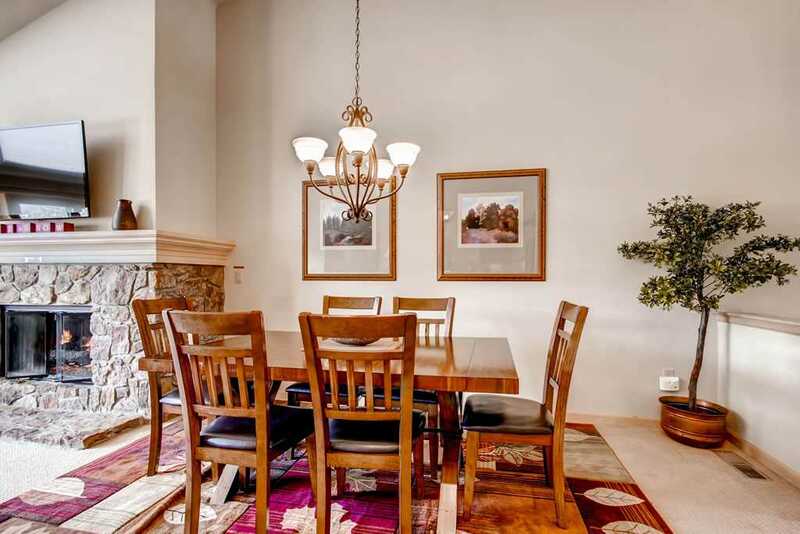 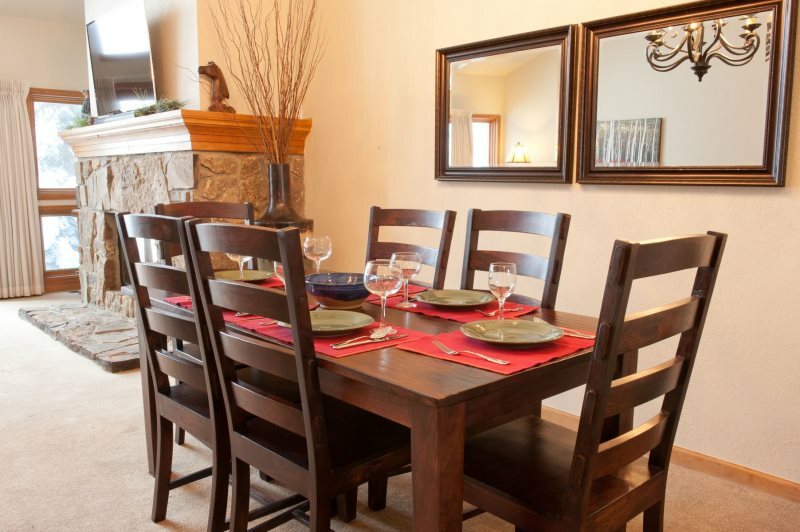 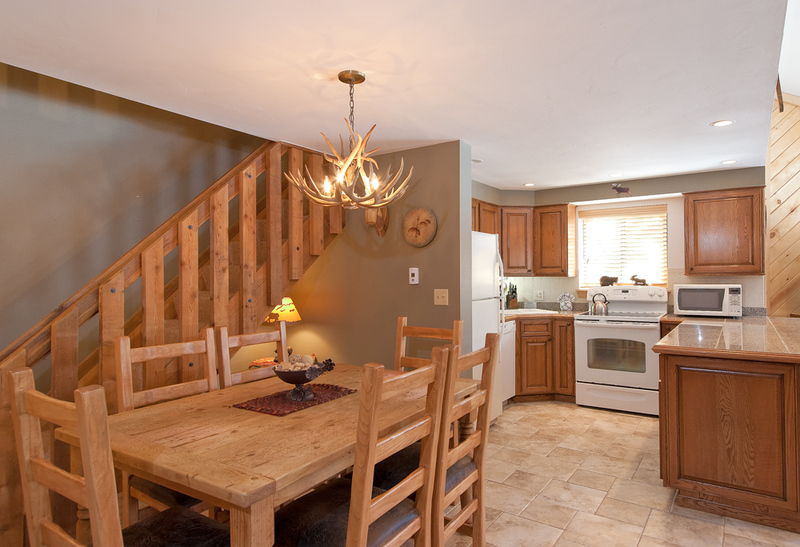 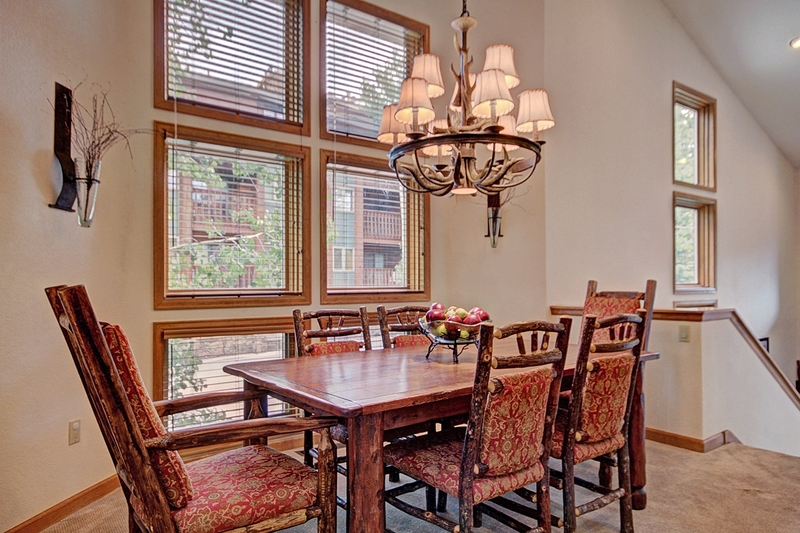 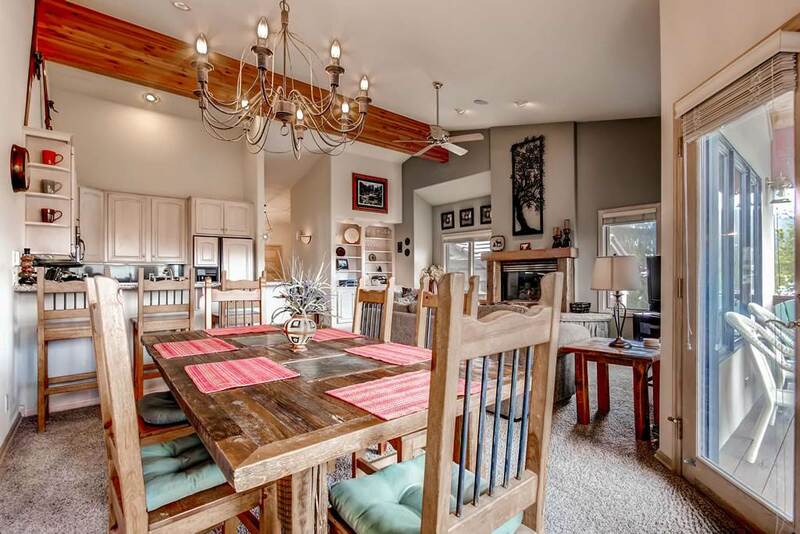 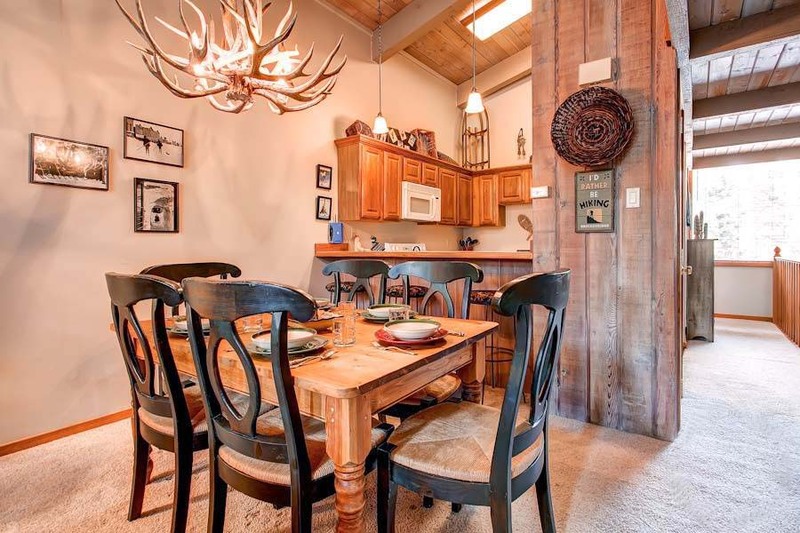 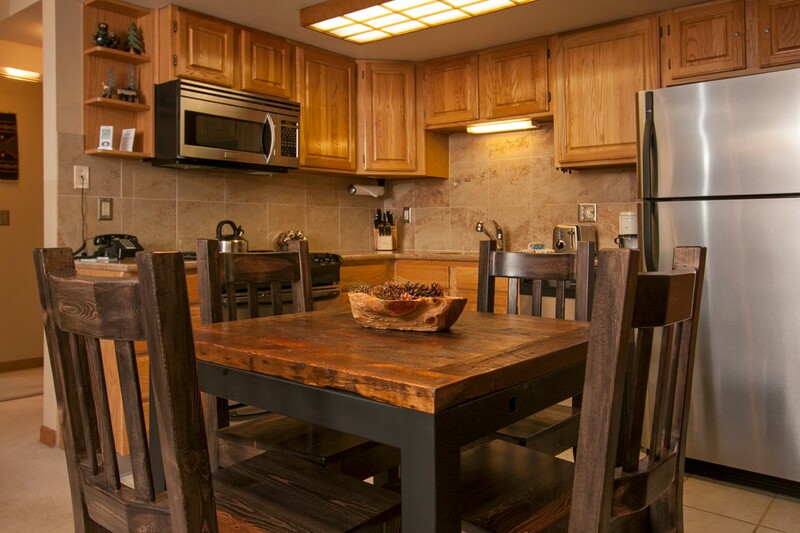 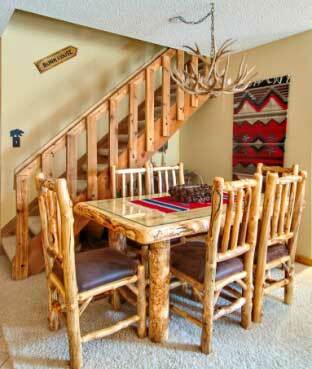 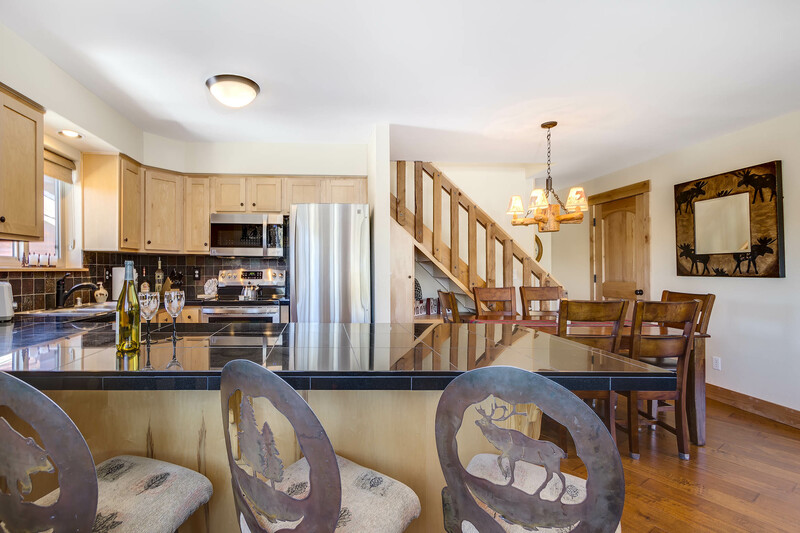 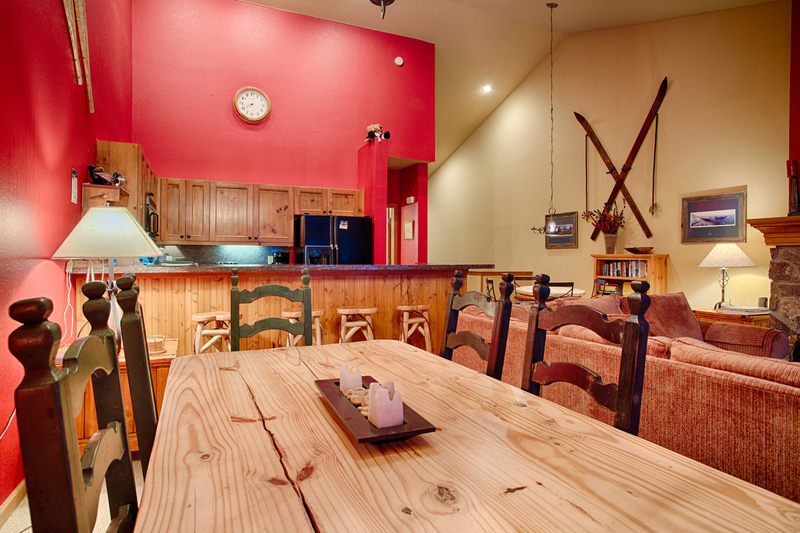 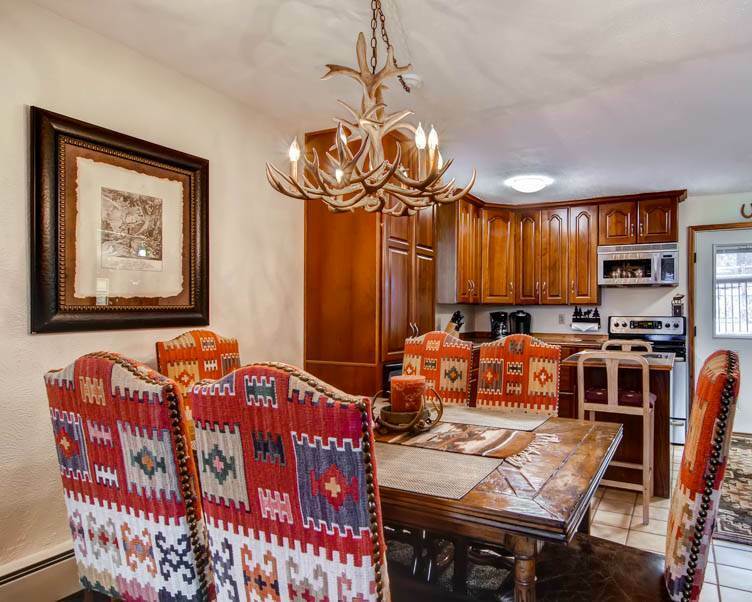 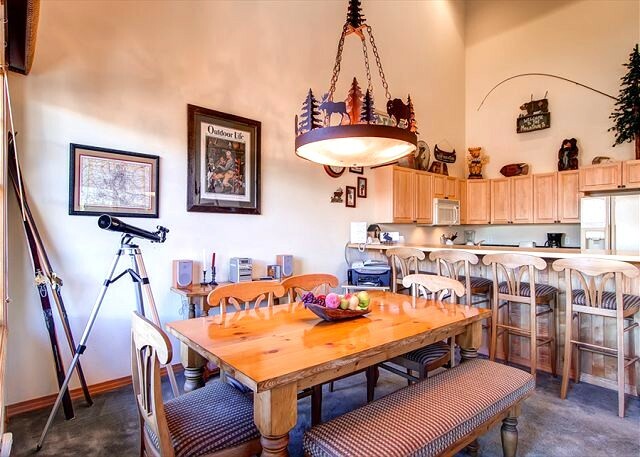 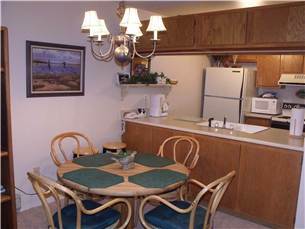 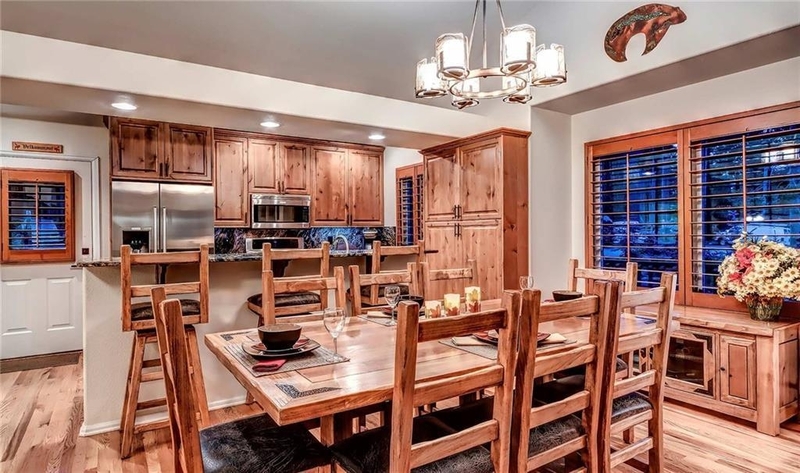 Right next to the kitchen is a lovely wood and iron dining set with seating for six people. 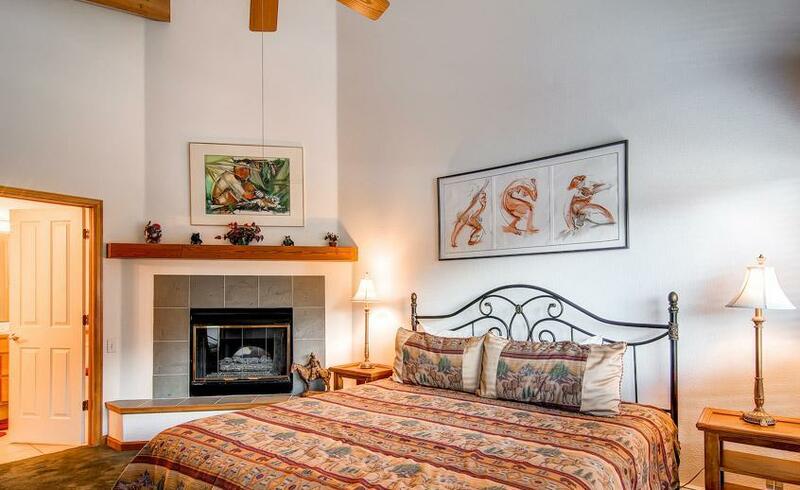 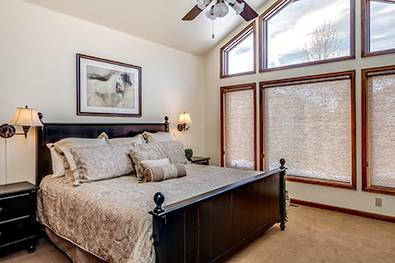 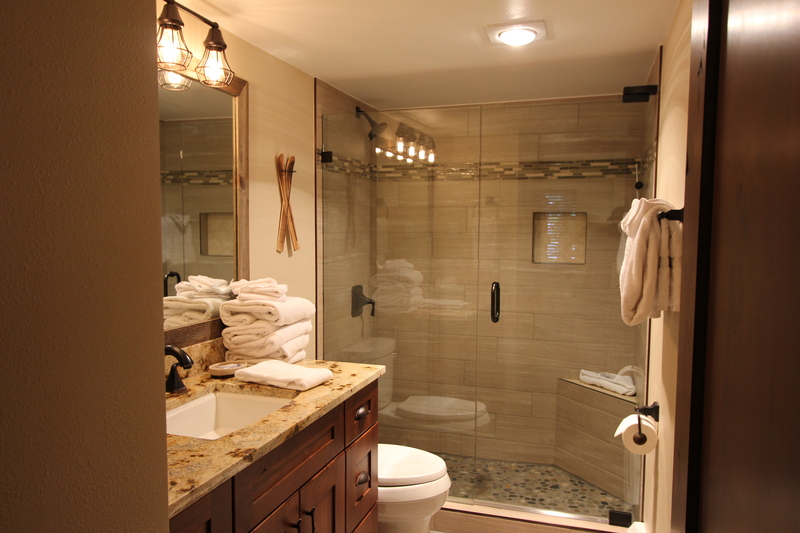 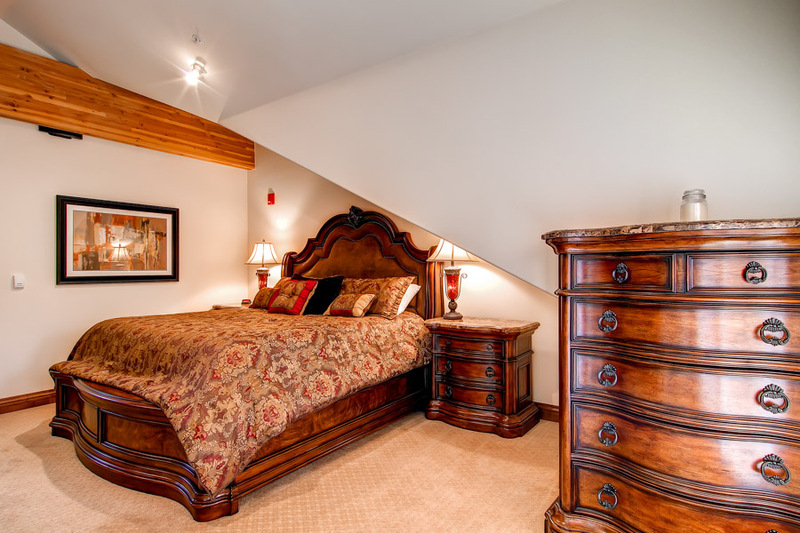 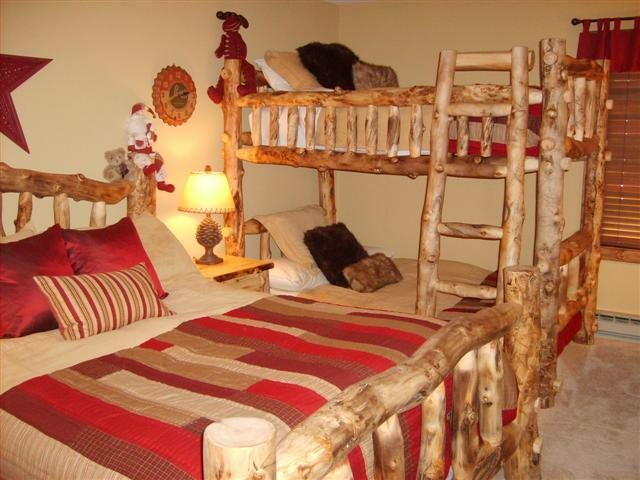 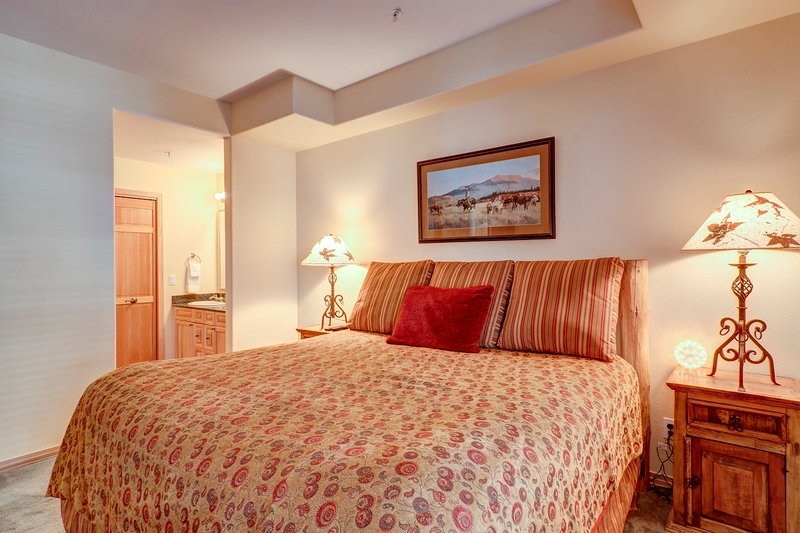 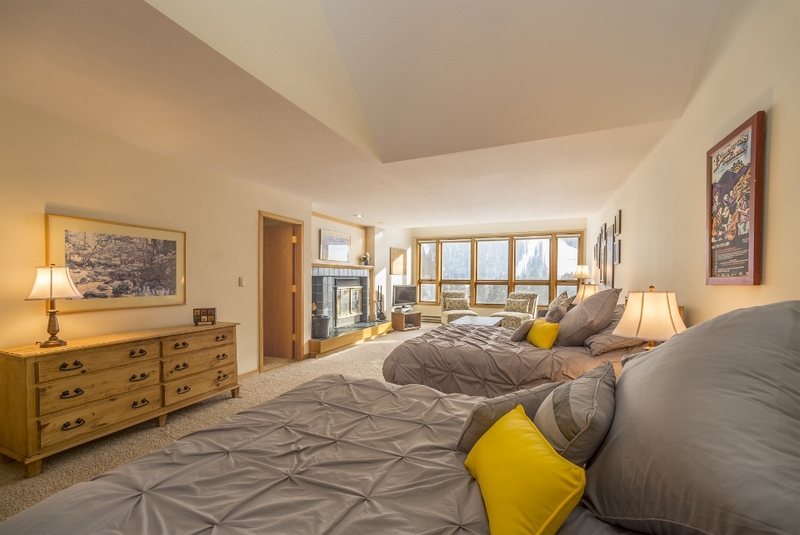 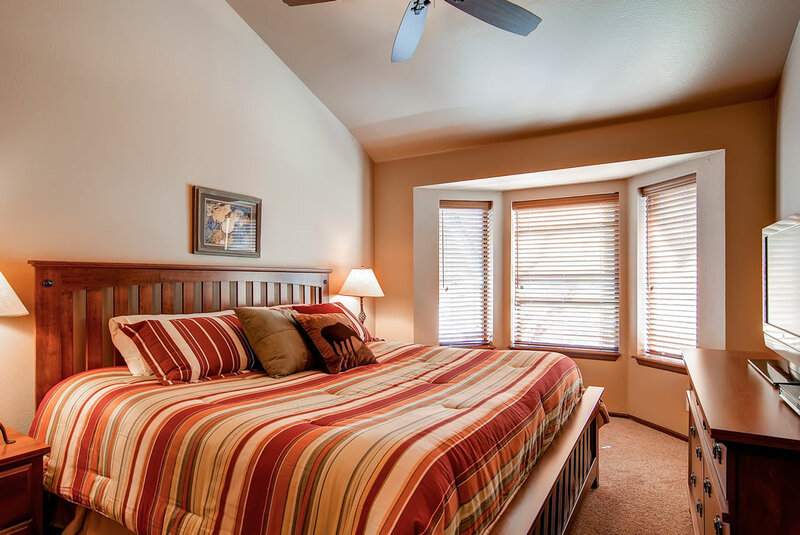 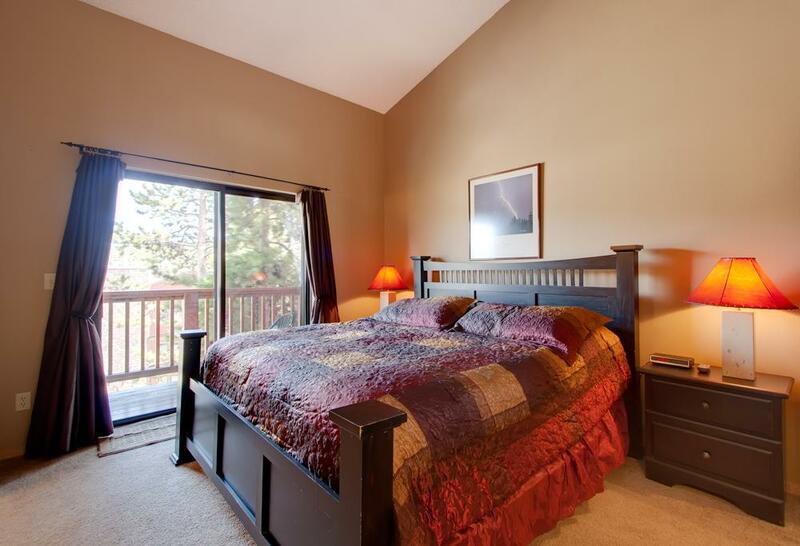 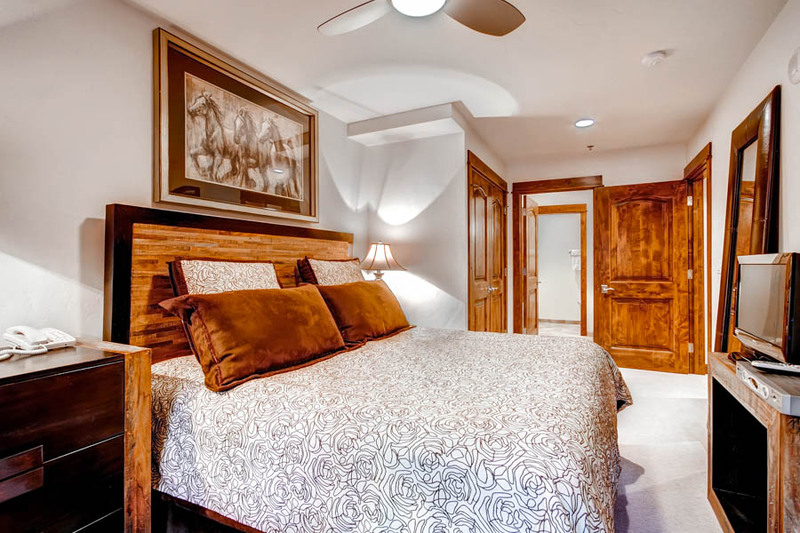 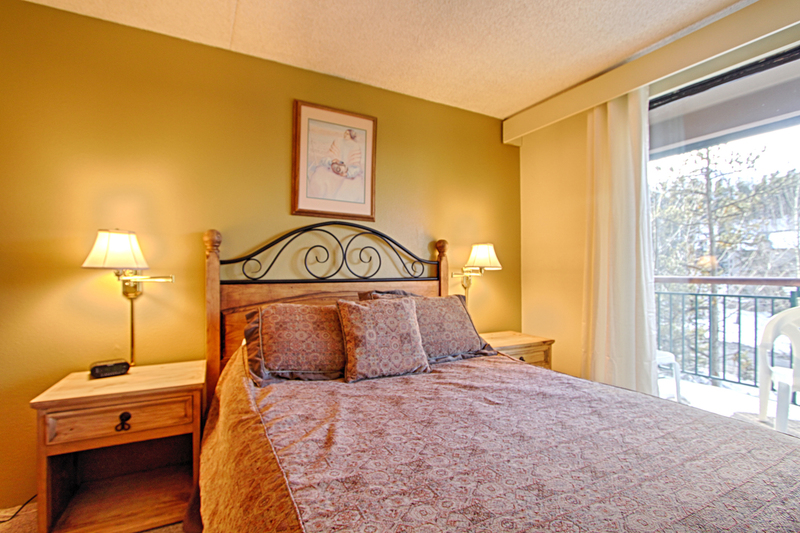 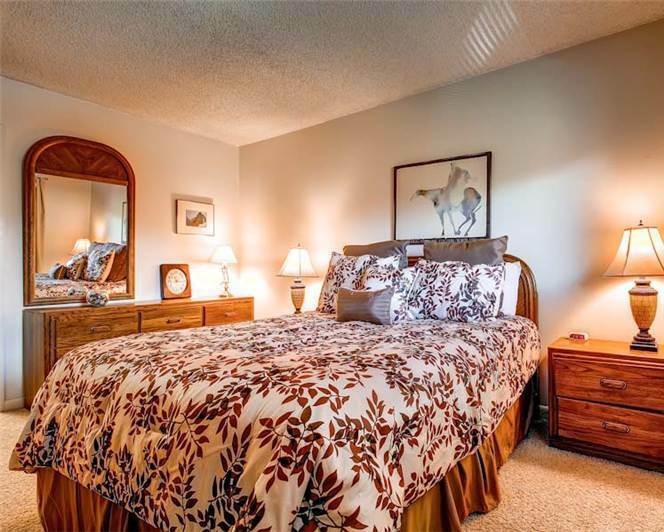 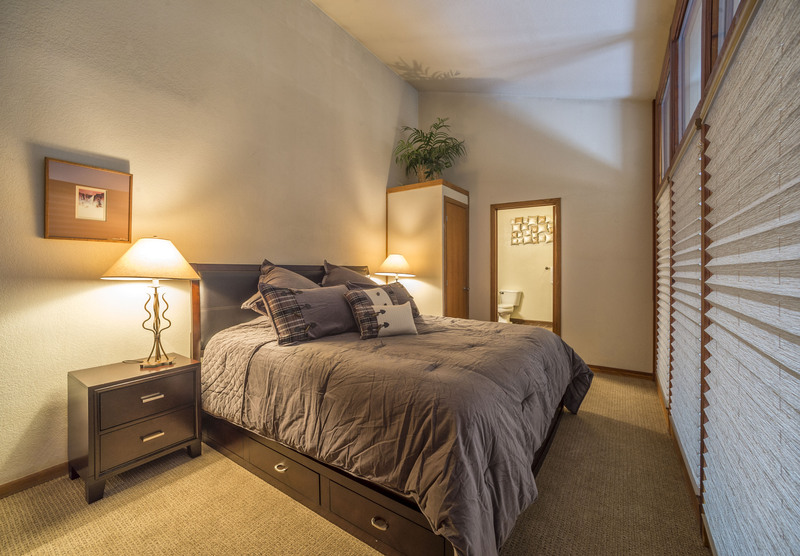 The spacious master suite has a big King bed, private balcony, second TV and a private safe for valuables.